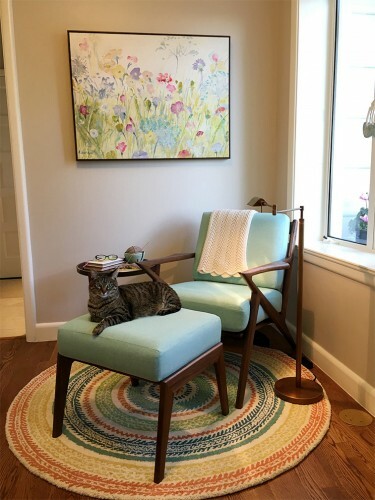 Got a high-traffic home? 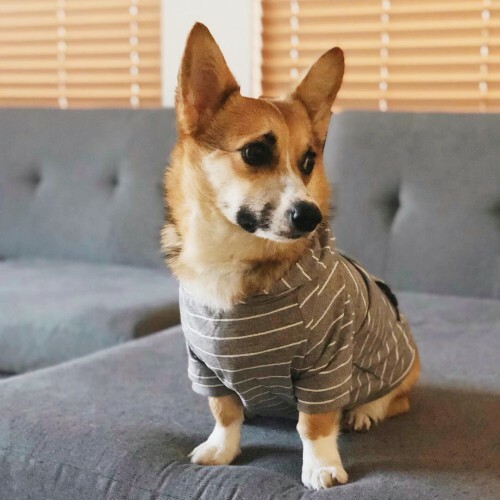 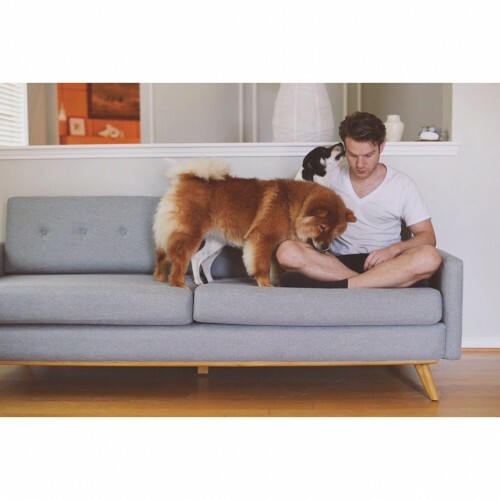 Our durable, family and pet-friendly fabrics are built to handle whatever life sends your way. 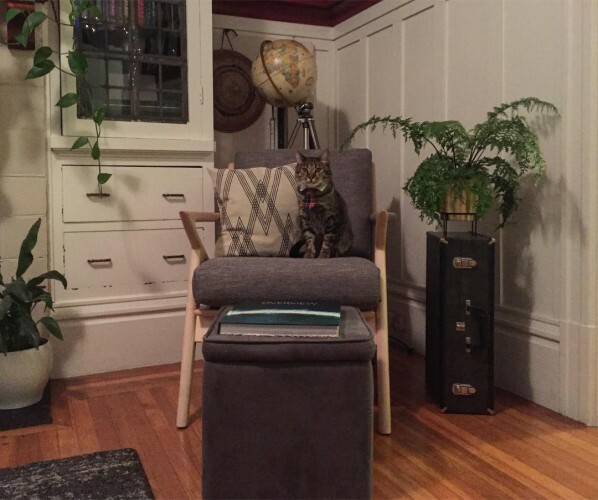 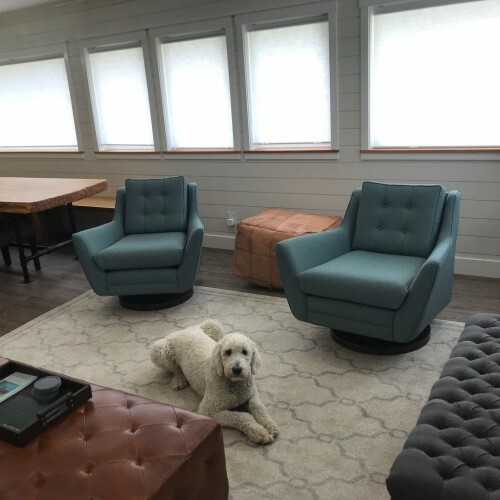 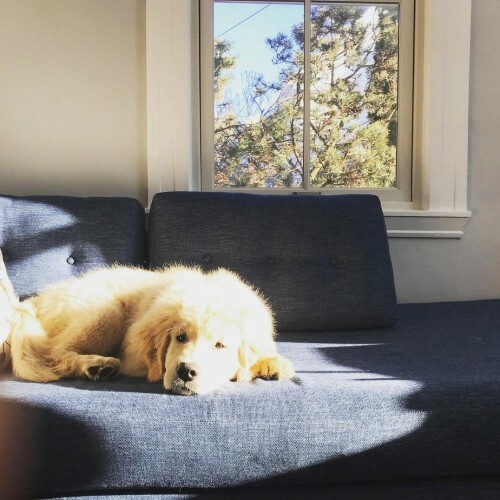 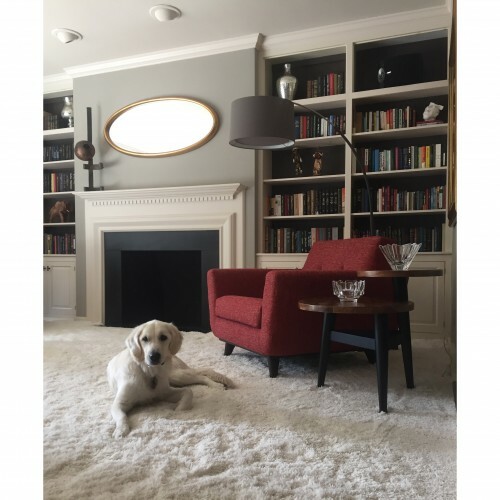 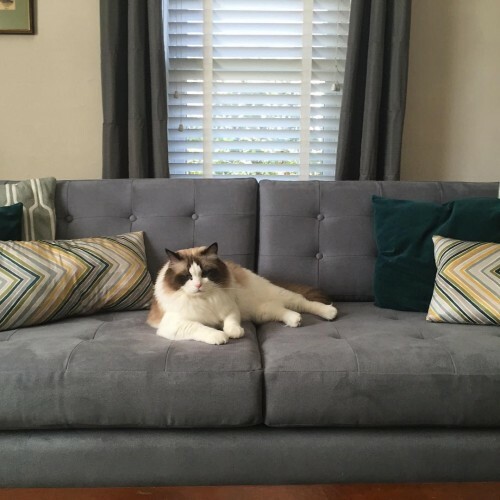 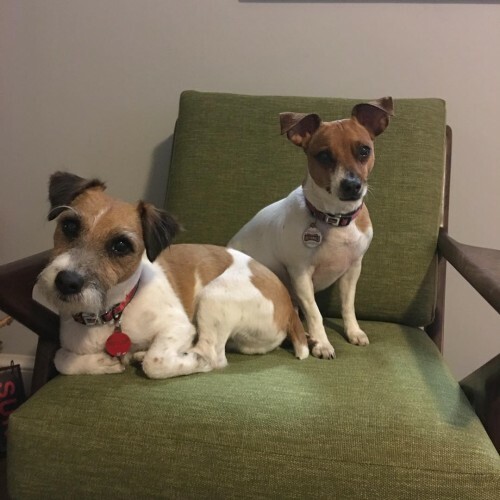 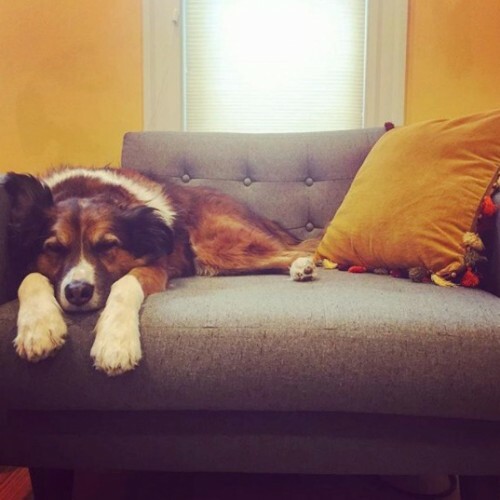 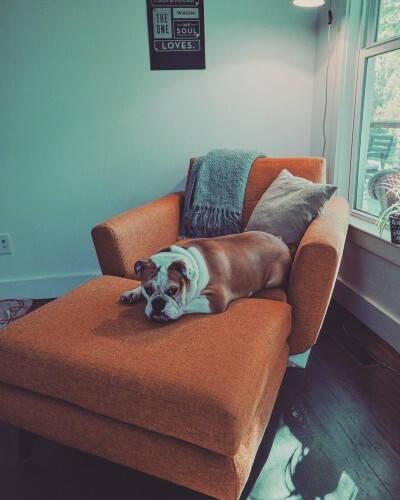 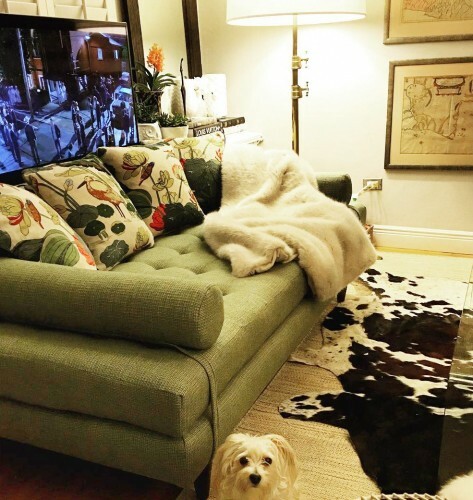 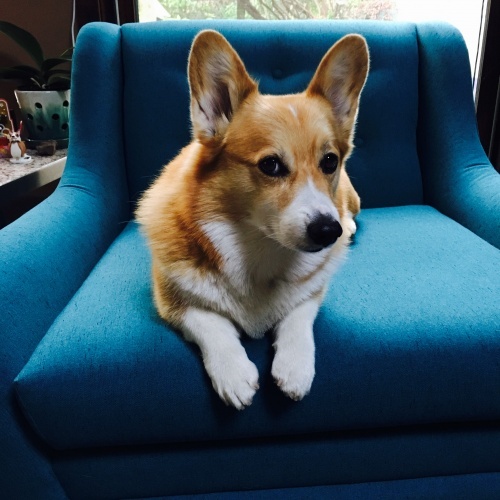 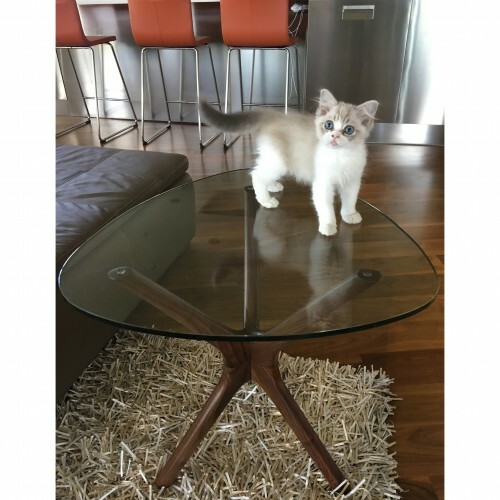 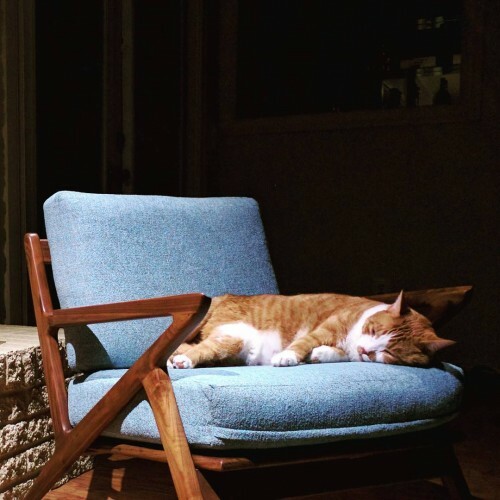 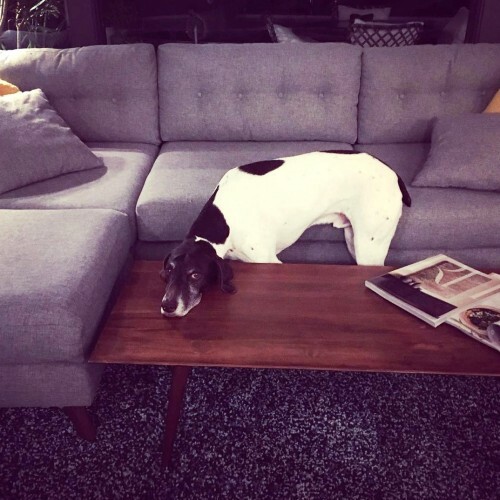 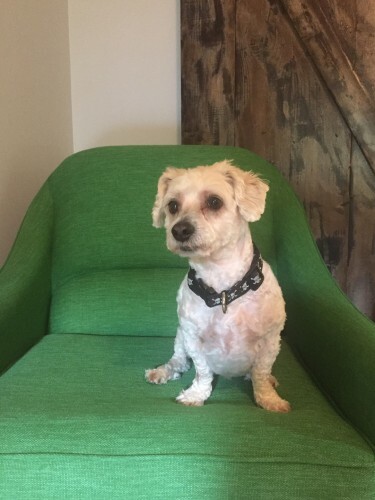 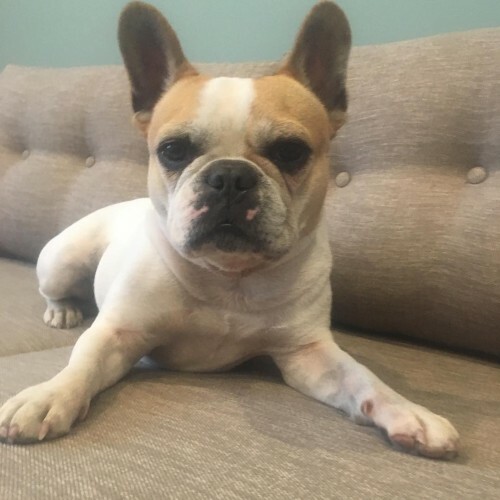 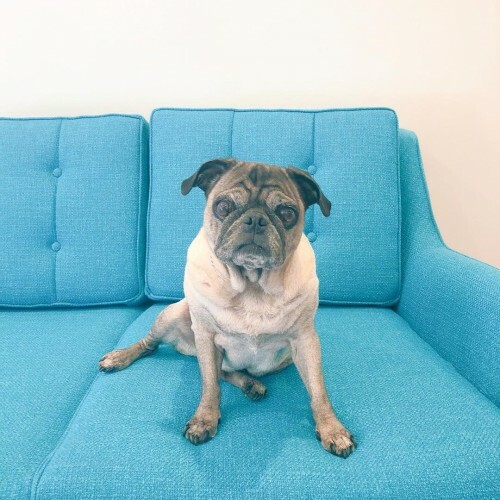 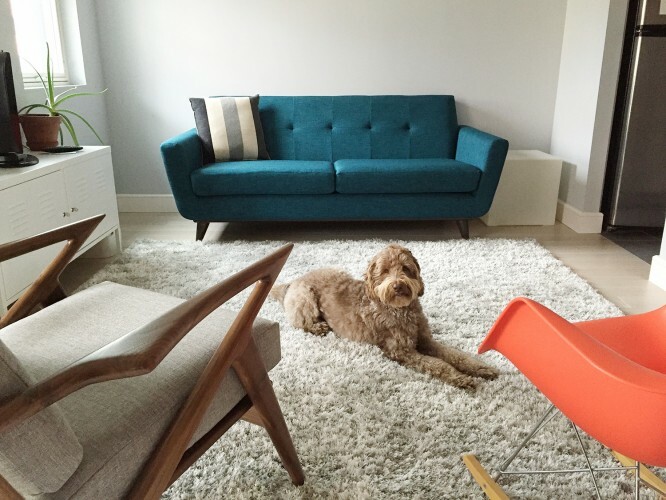 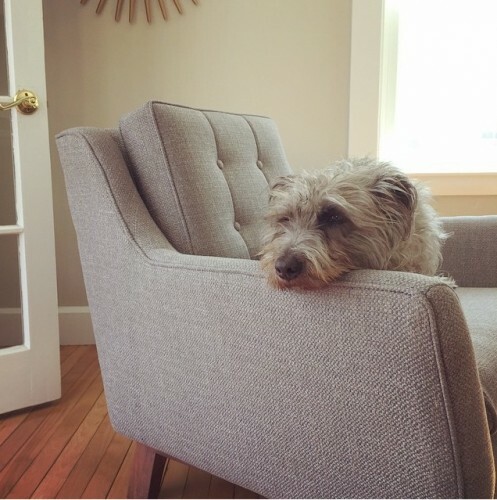 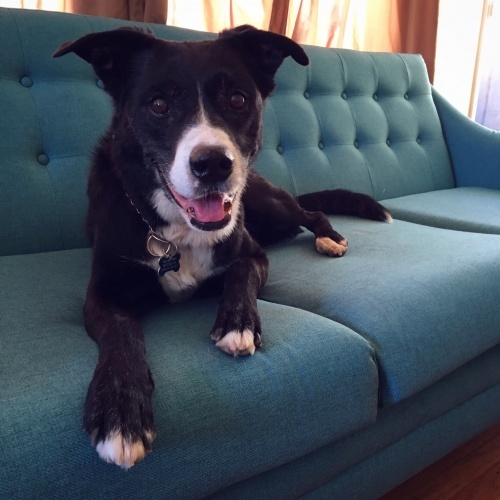 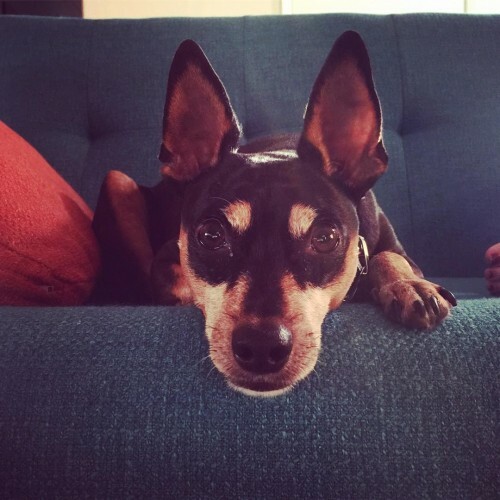 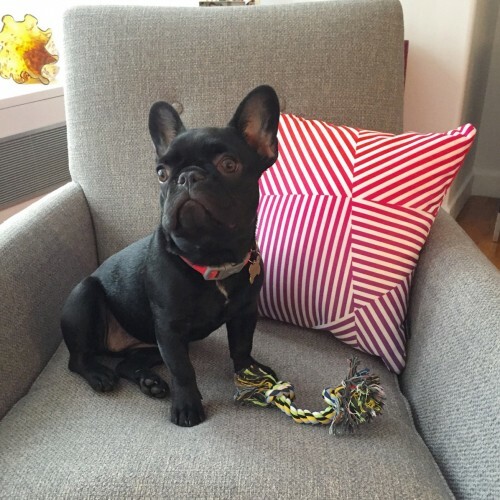 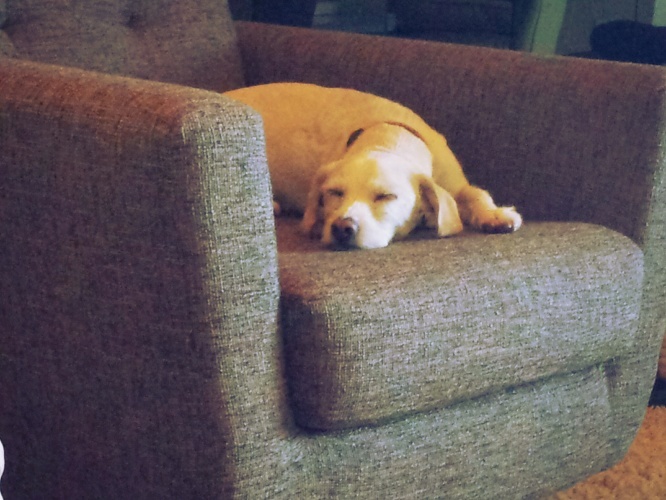 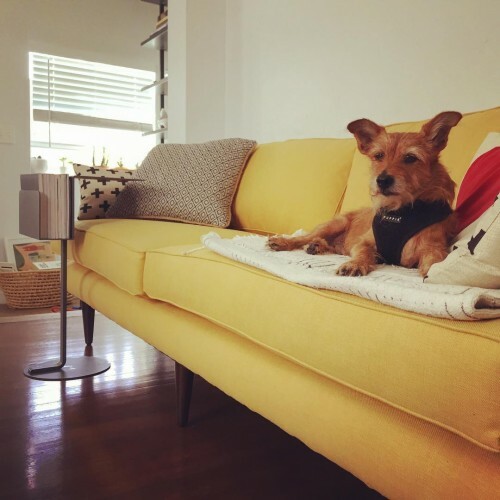 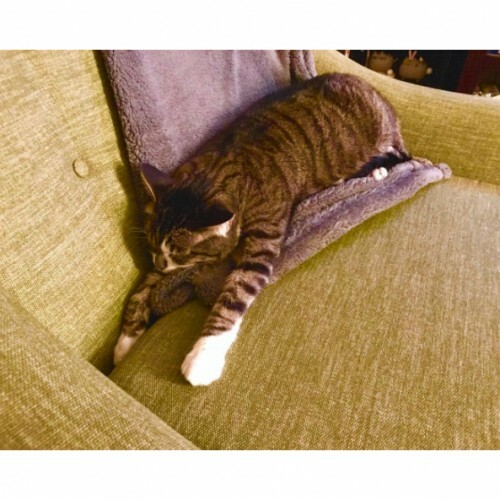 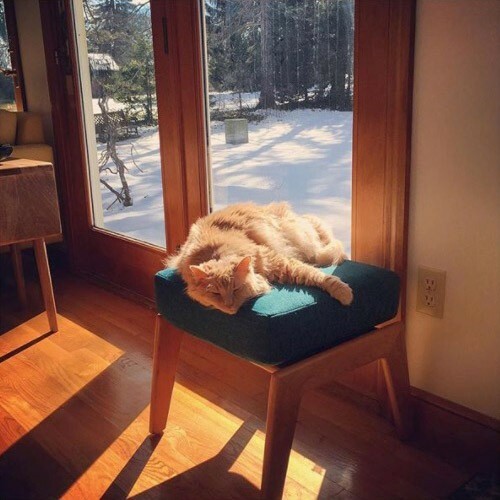 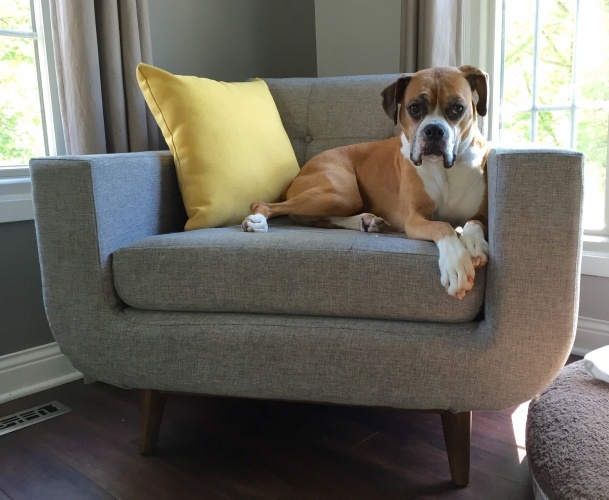 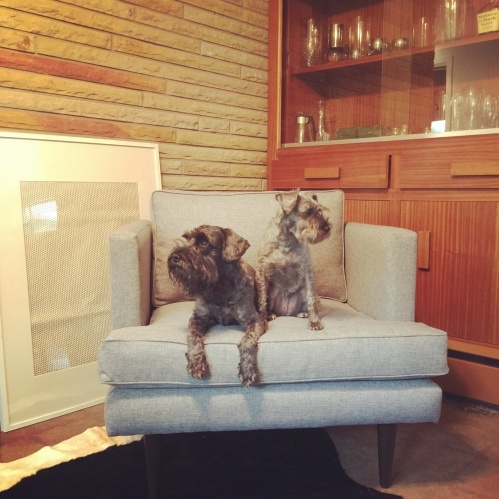 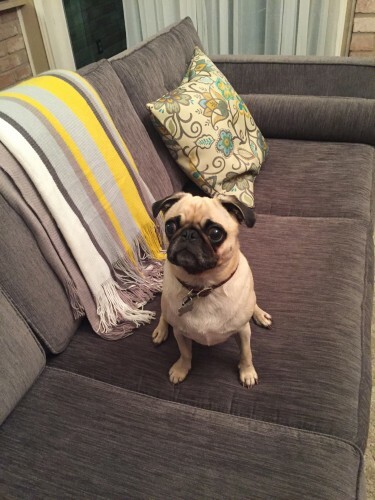 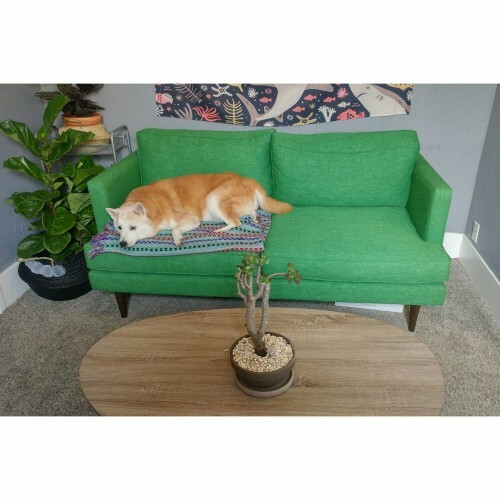 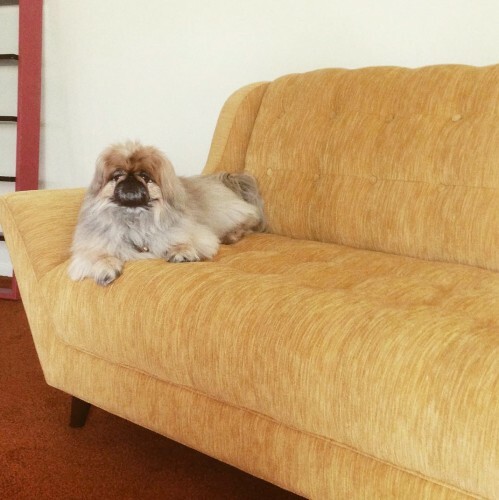 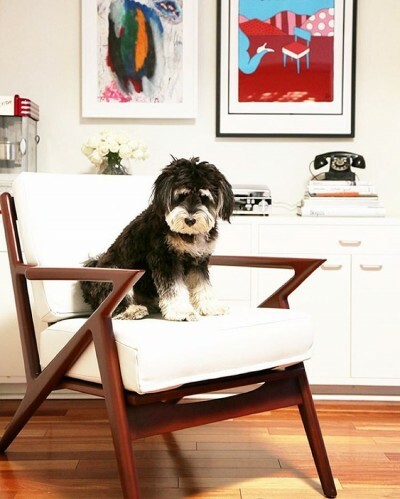 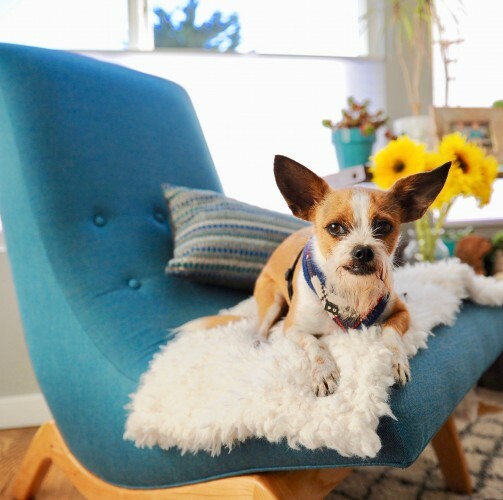 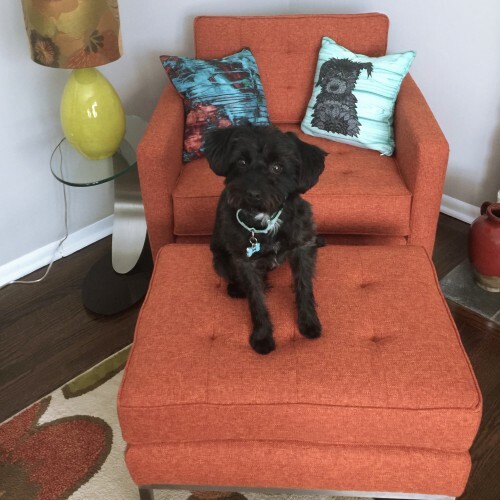 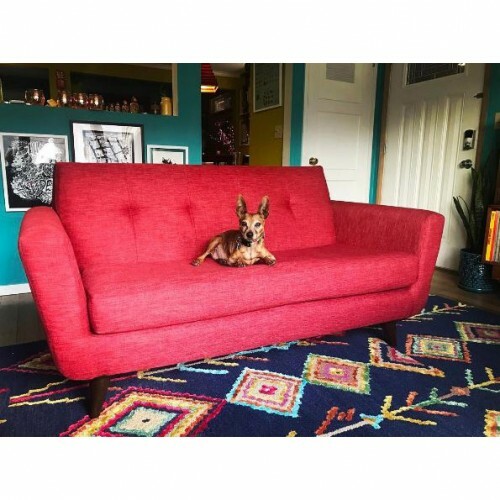 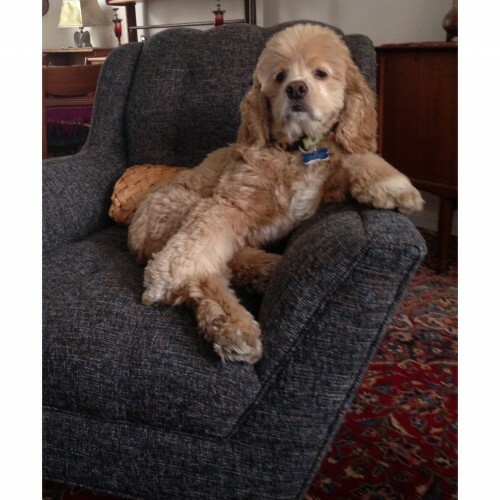 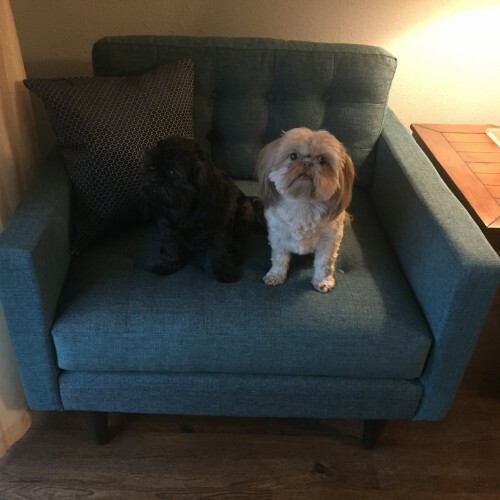 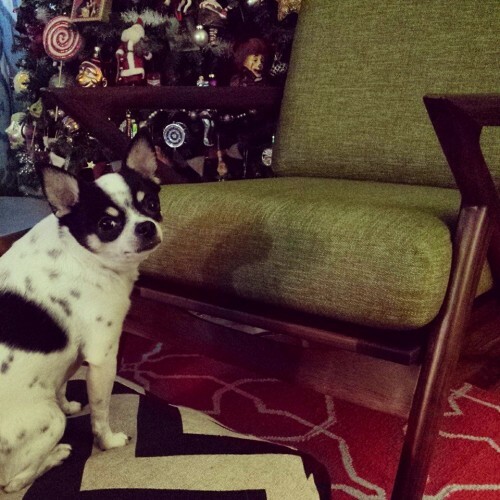 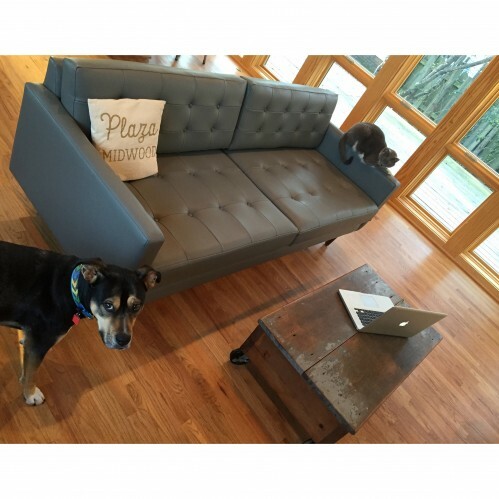 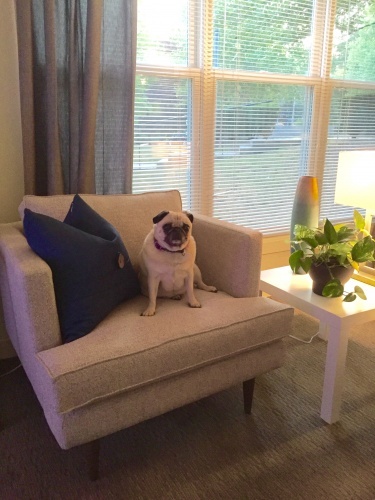 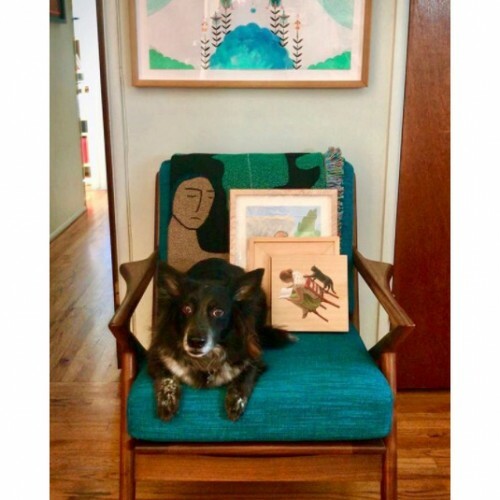 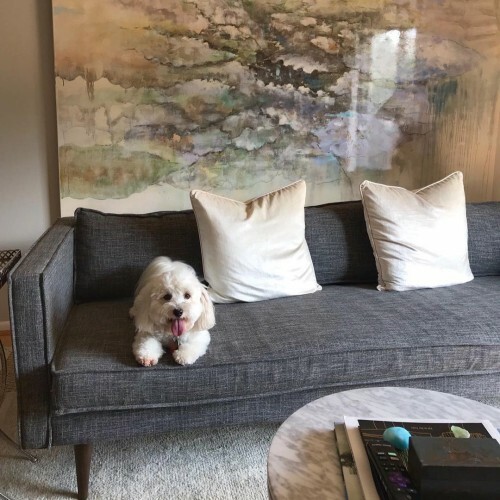 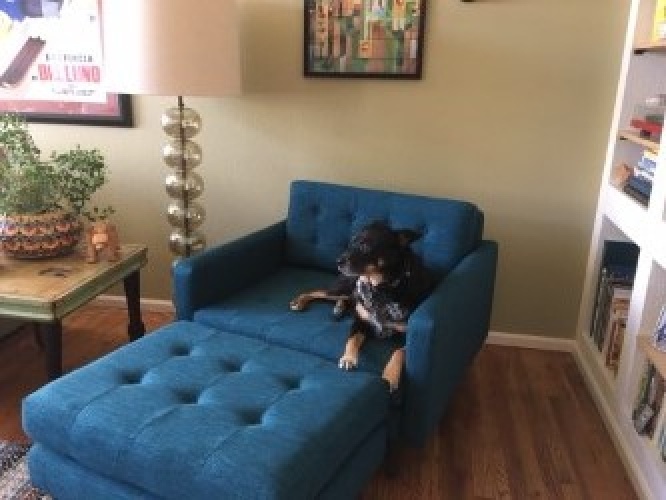 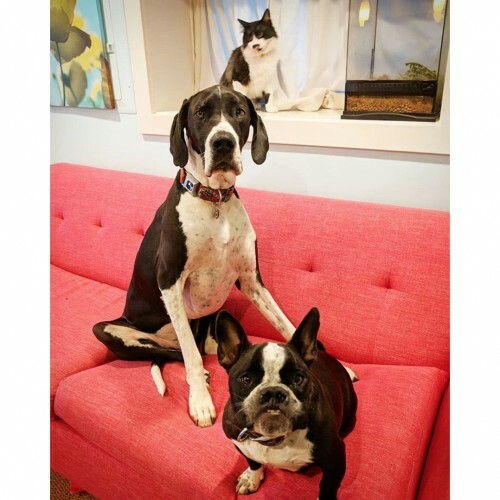 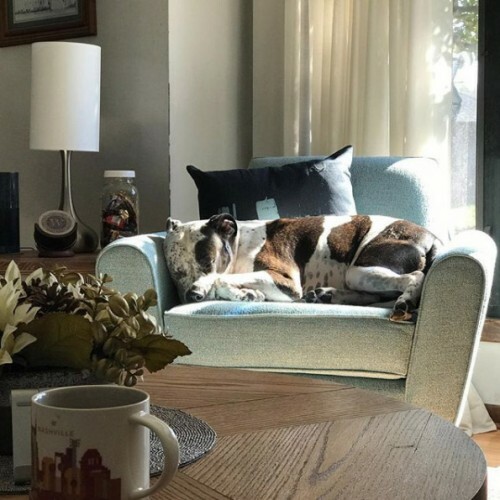 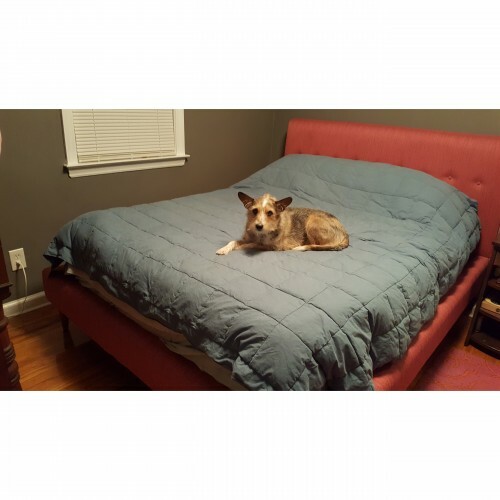 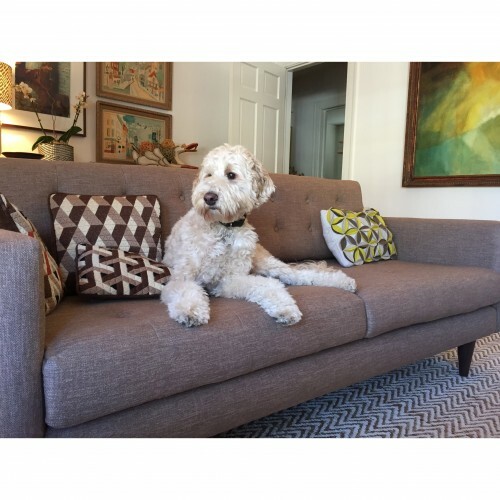 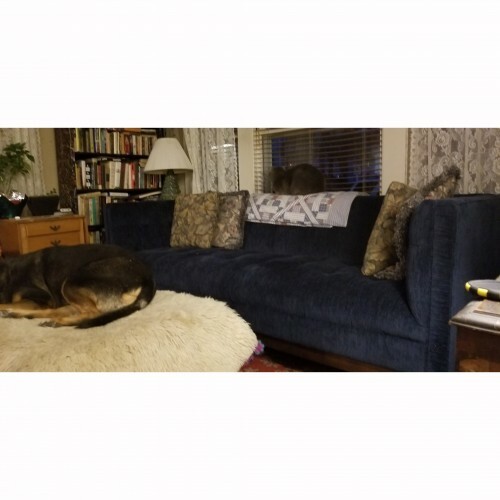 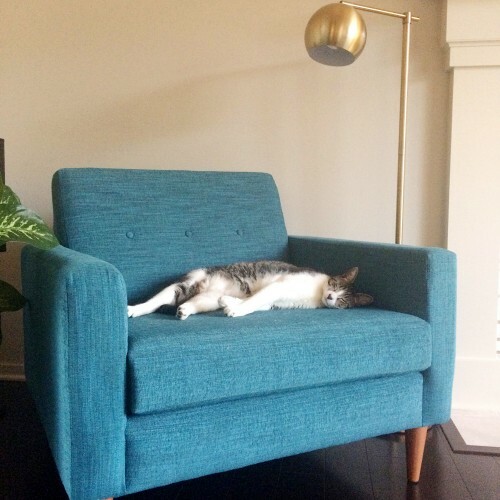 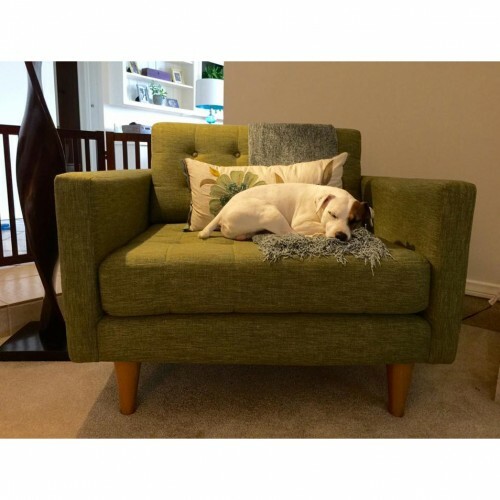 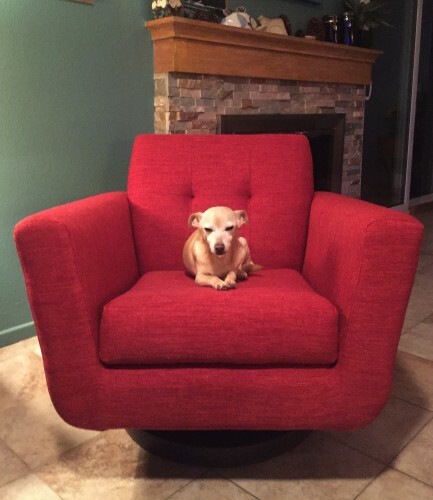 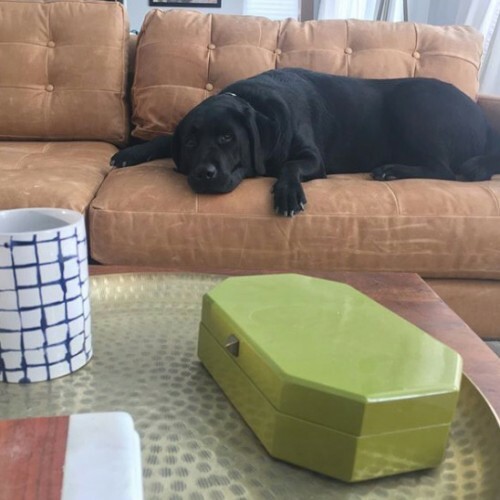 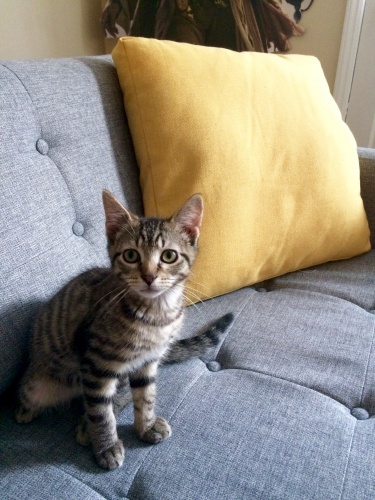 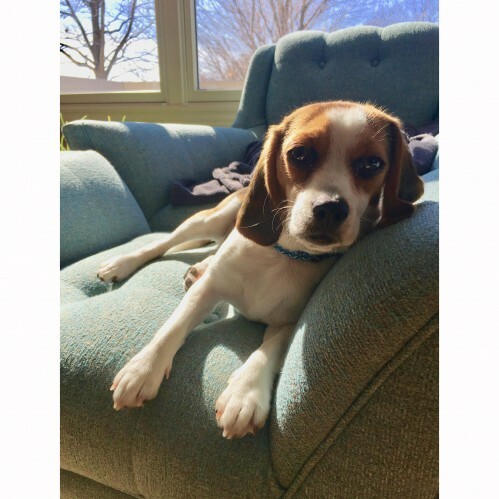 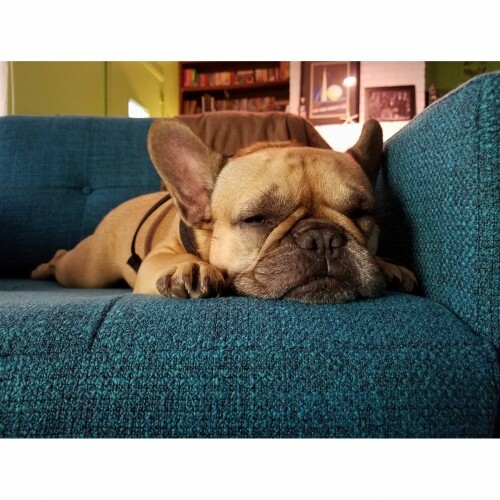 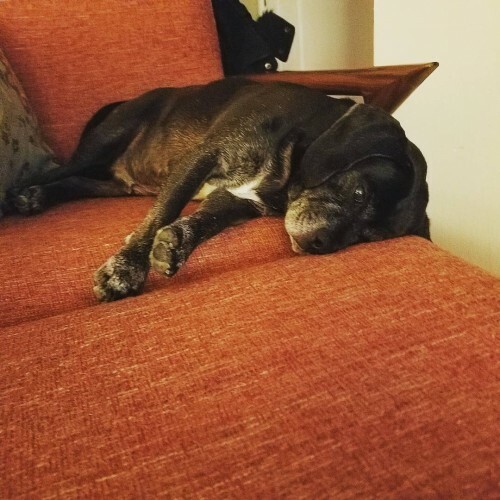 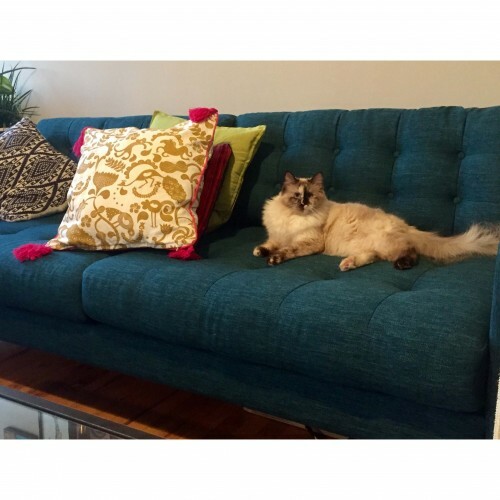 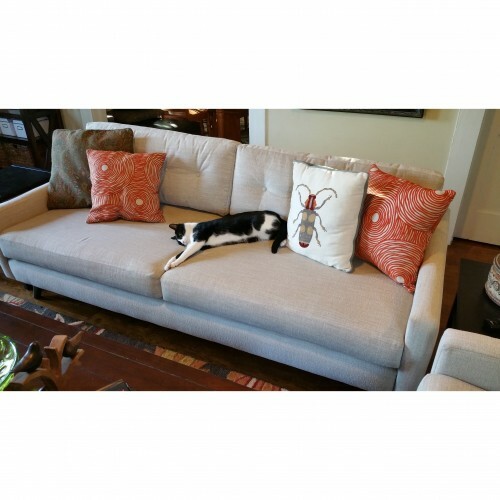 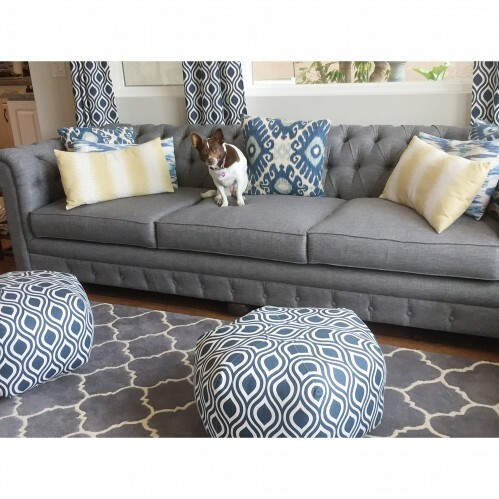 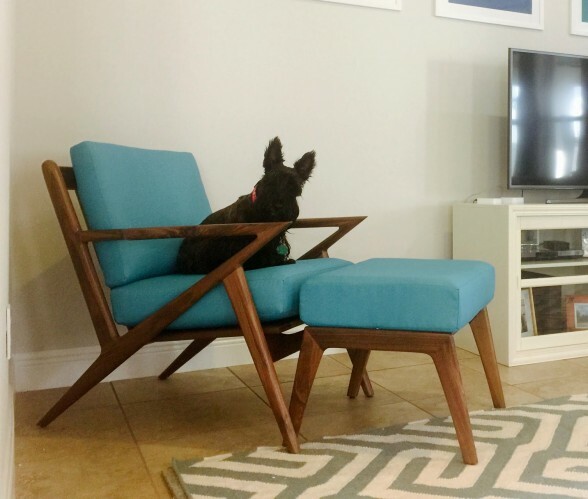 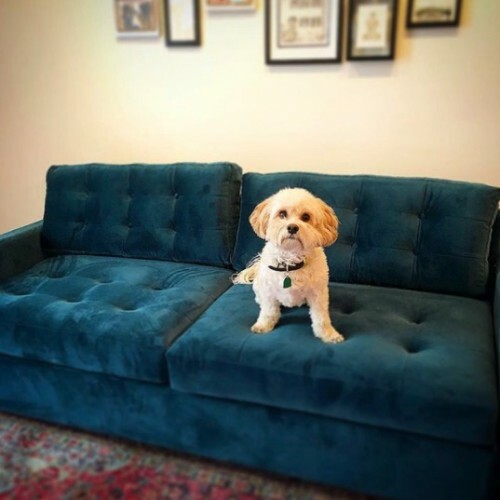 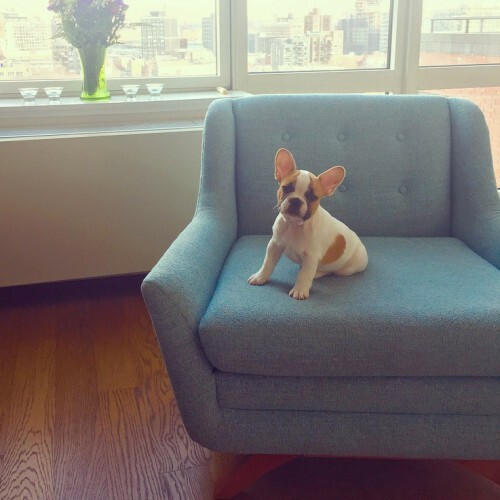 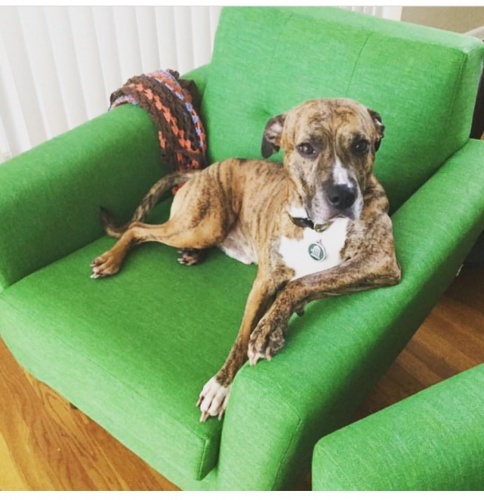 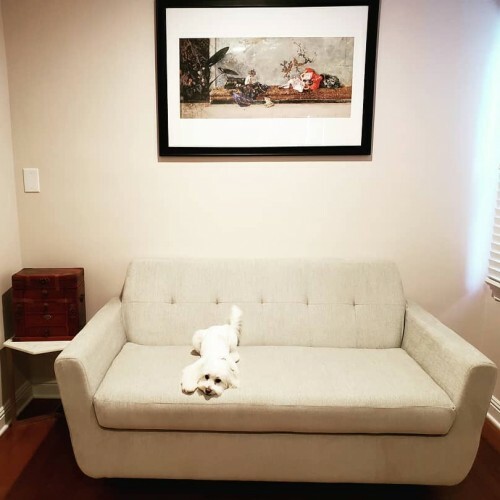 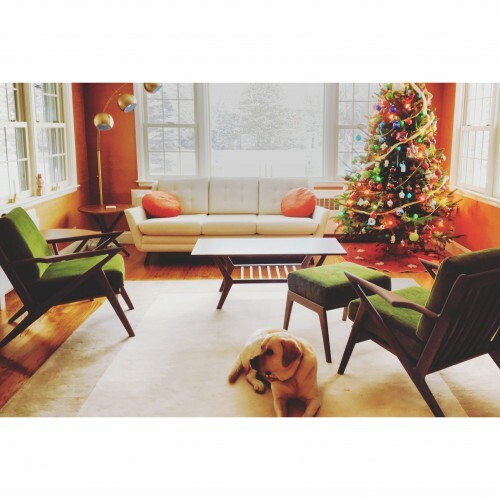 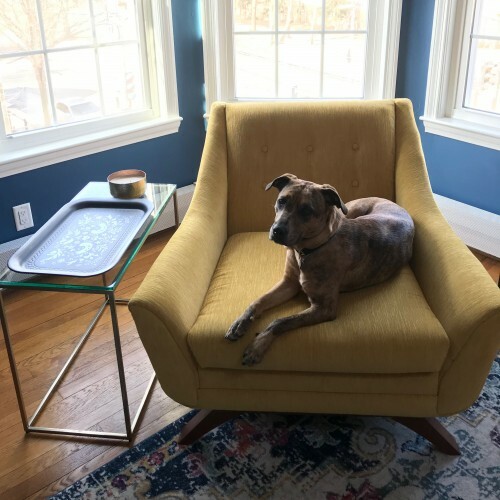 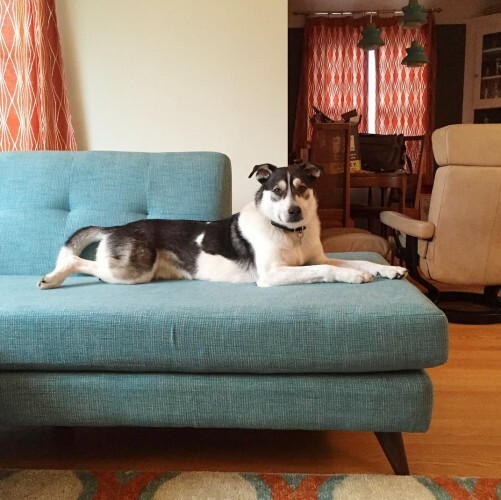 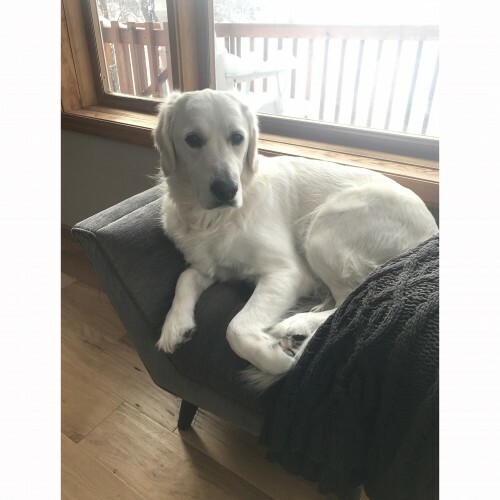 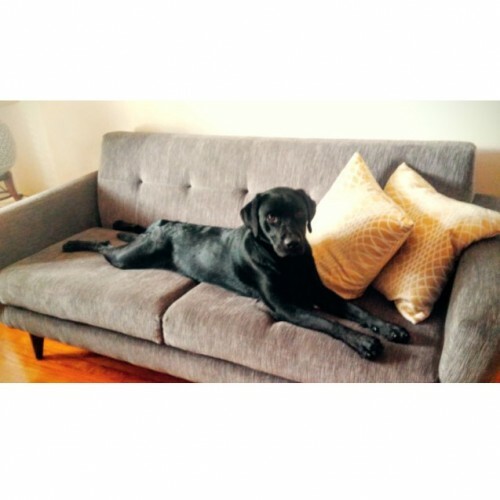 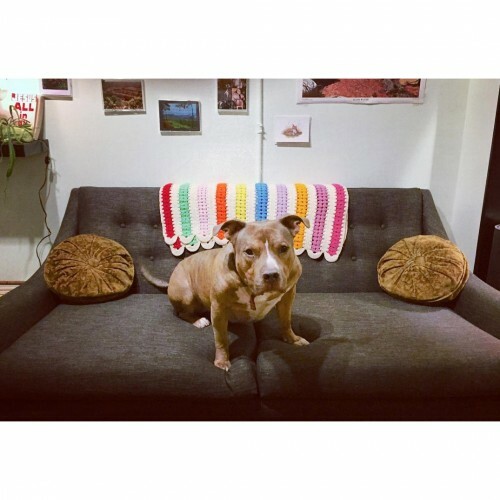 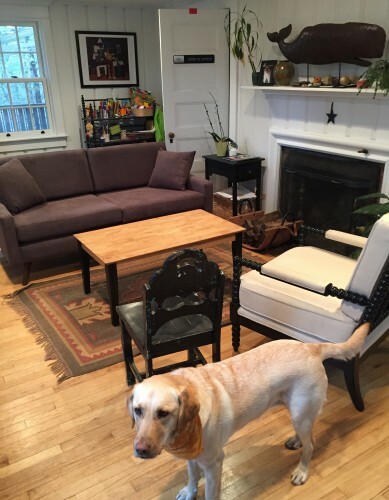 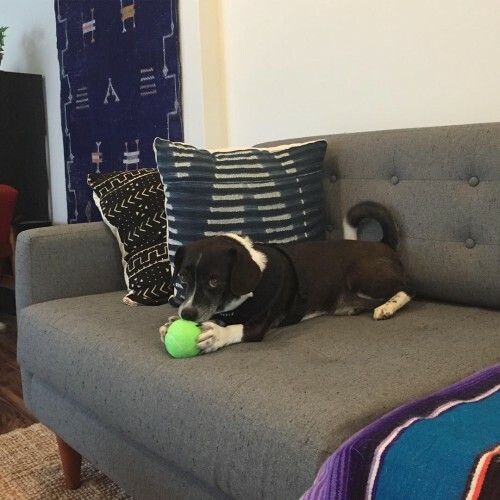 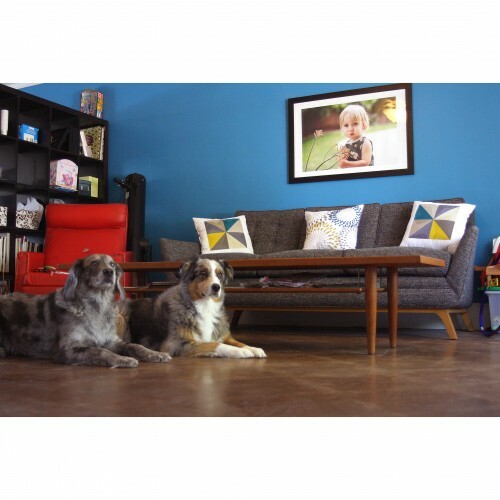 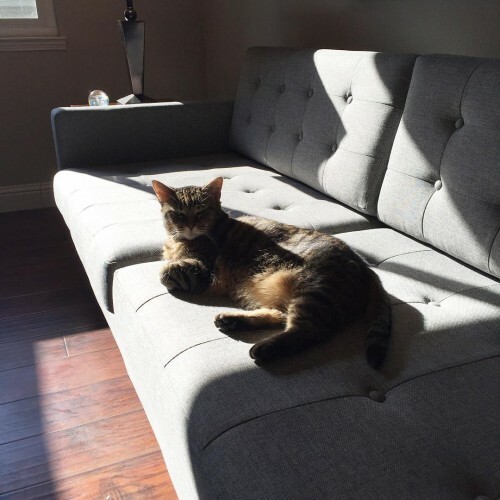 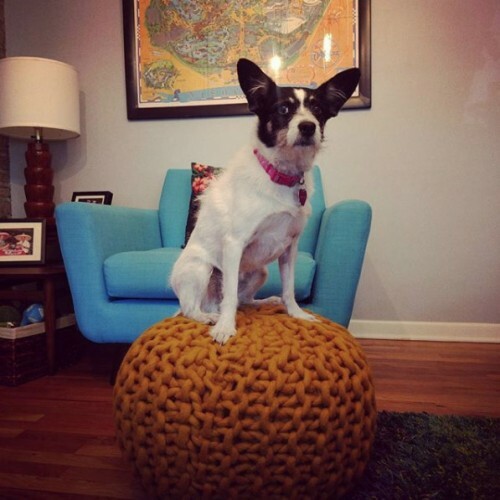 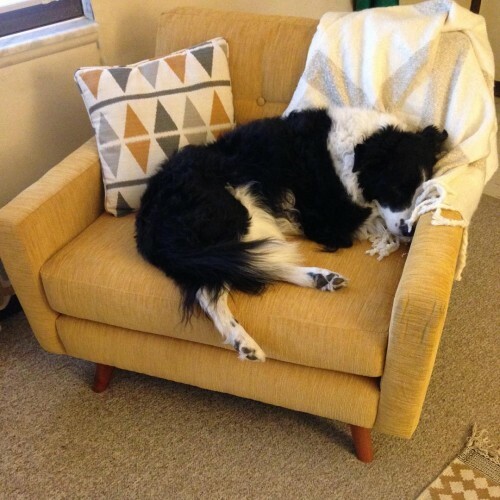 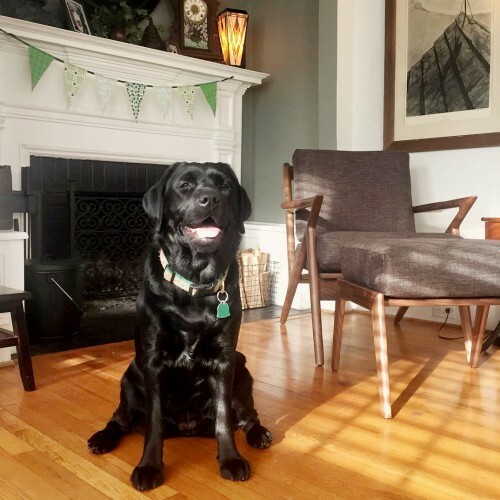 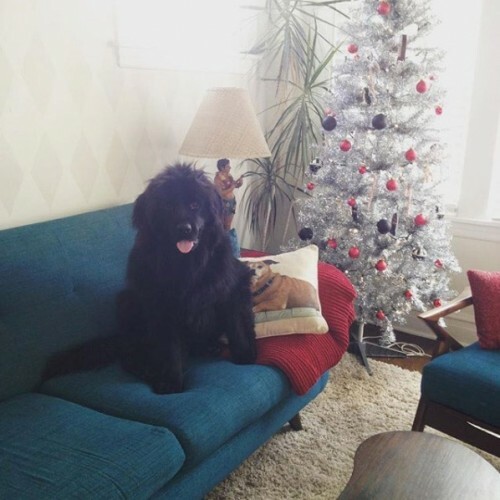 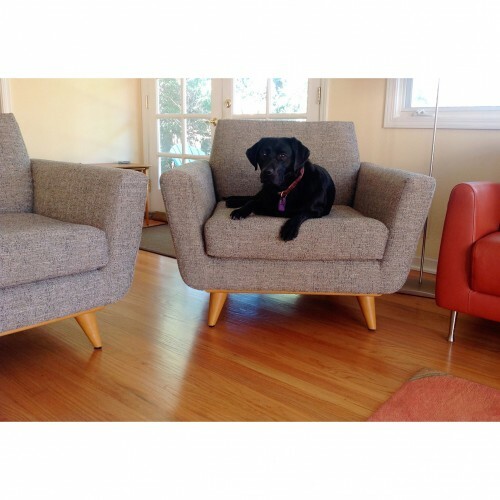 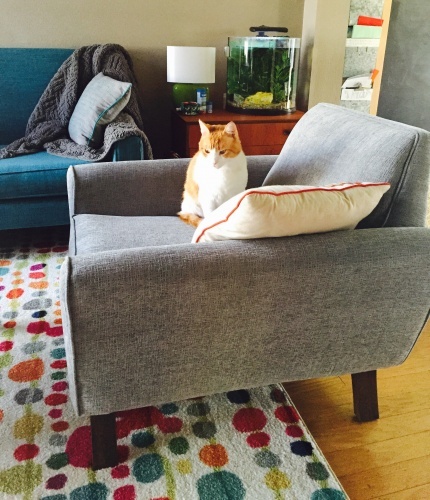 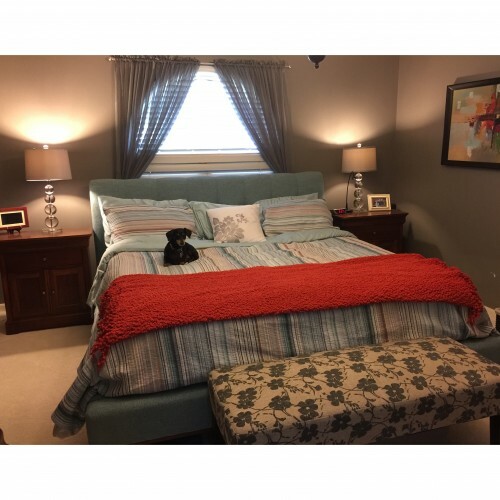 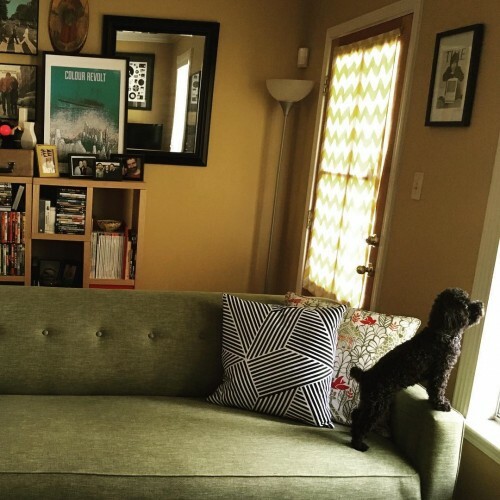 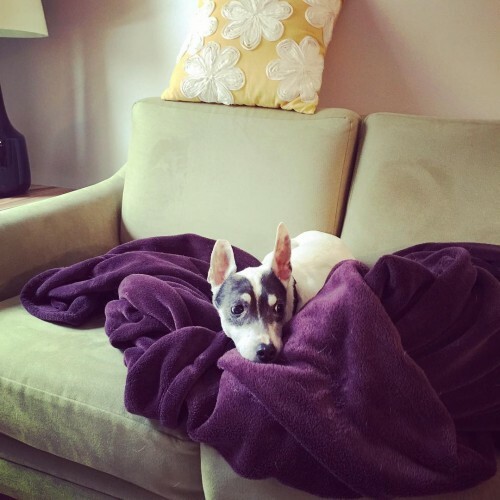 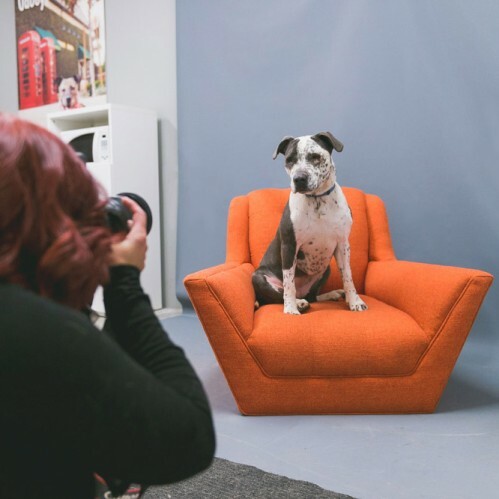 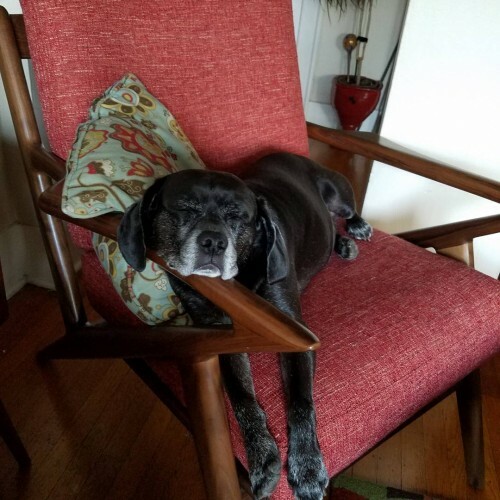 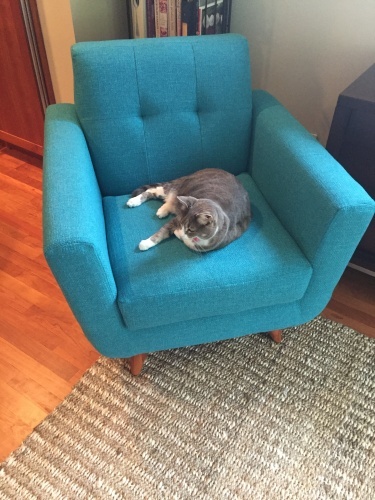 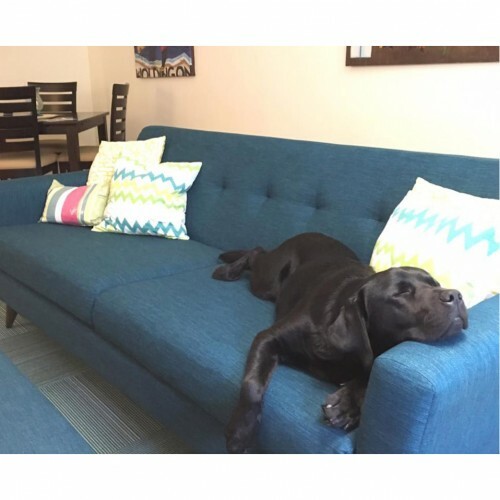 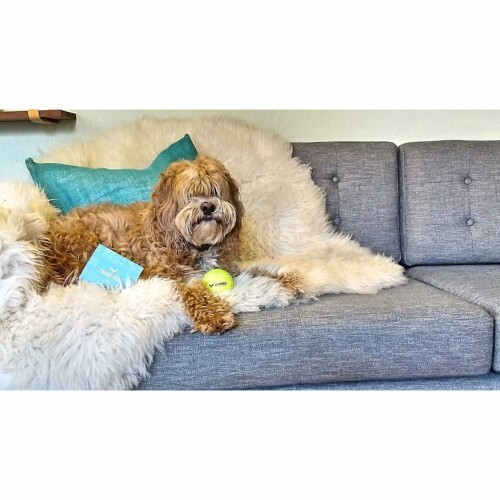 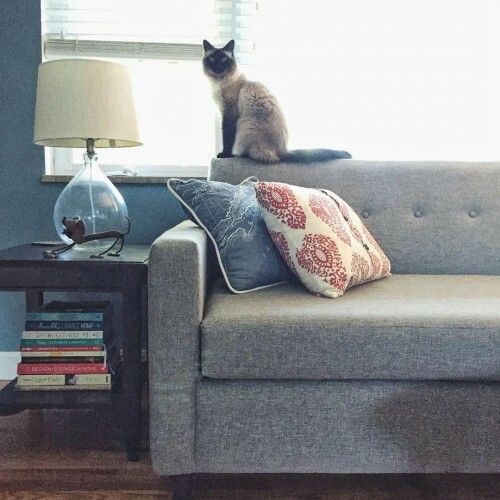 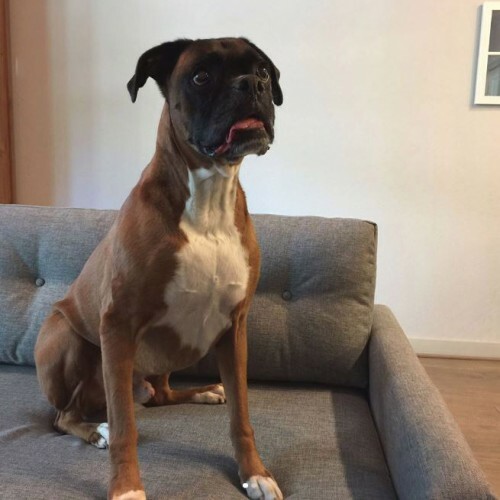 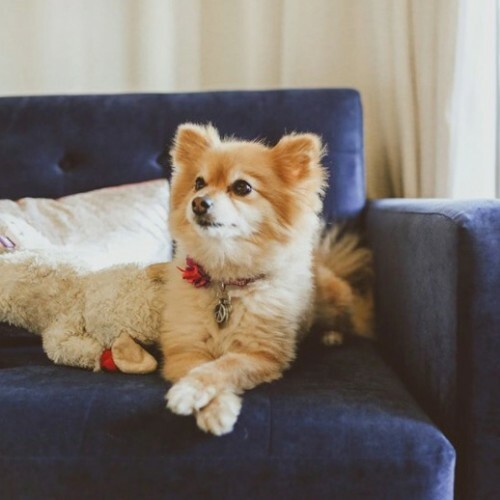 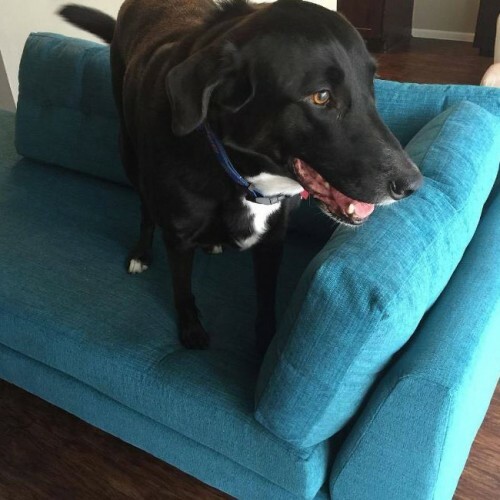 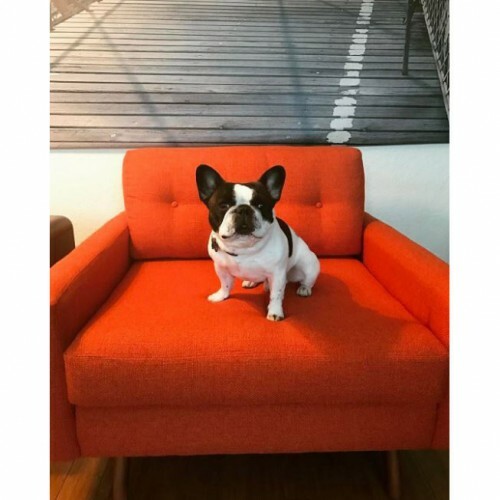 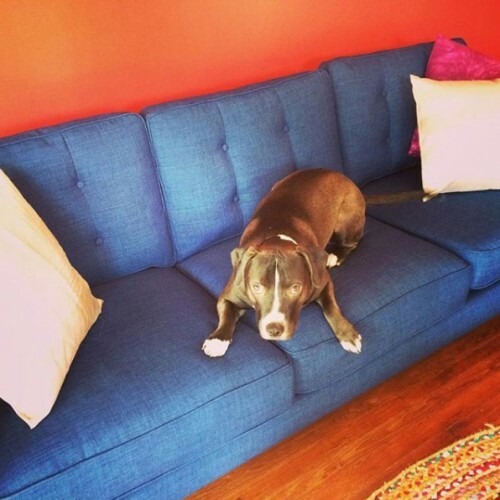 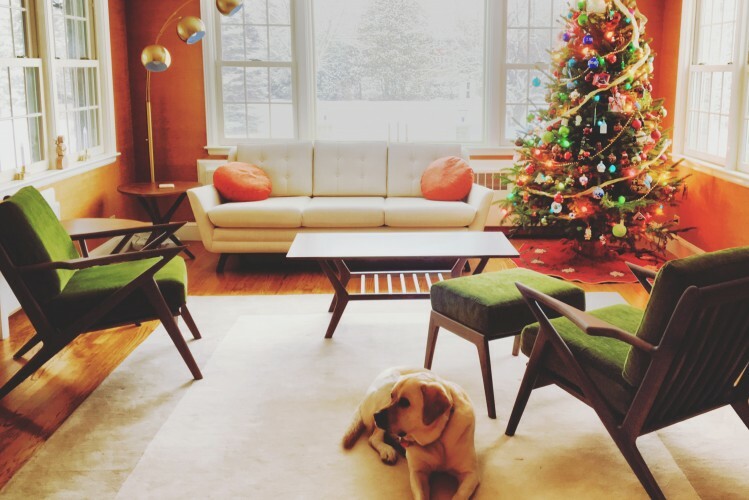 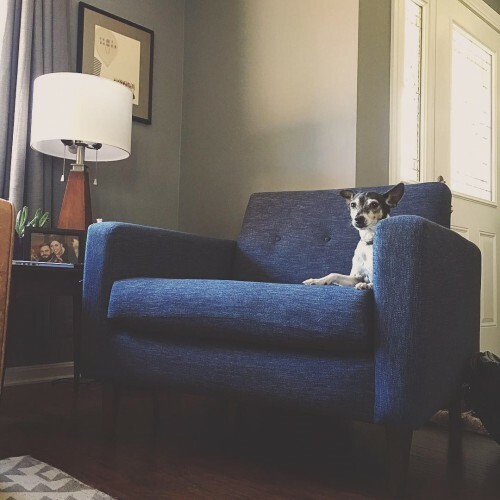 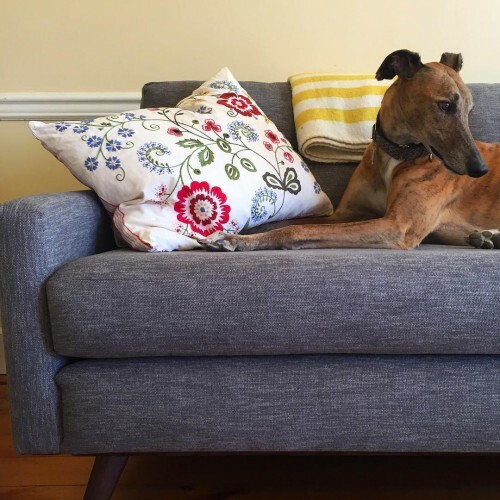 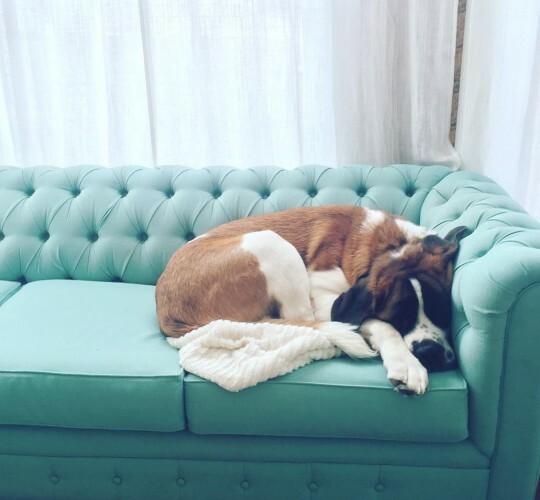 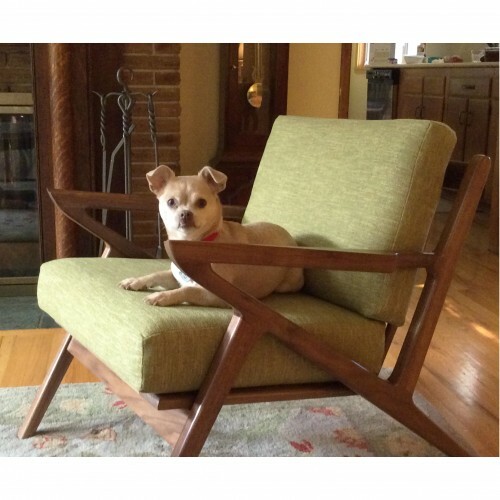 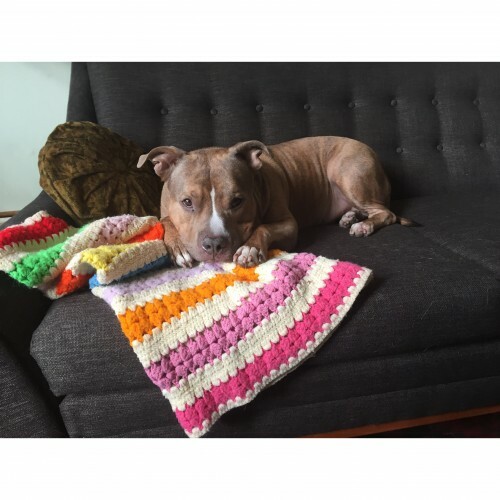 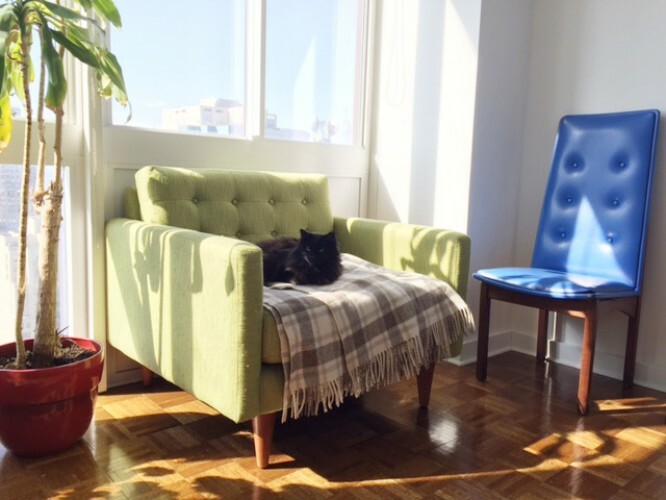 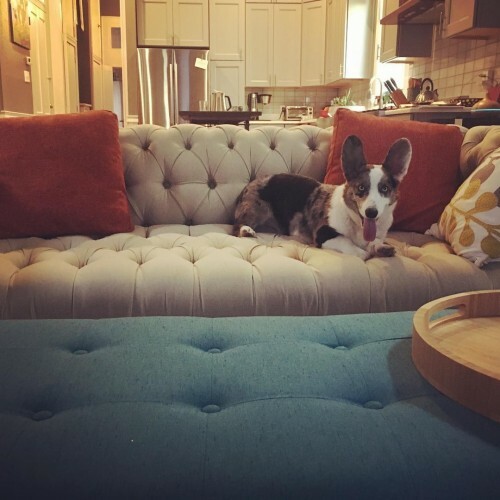 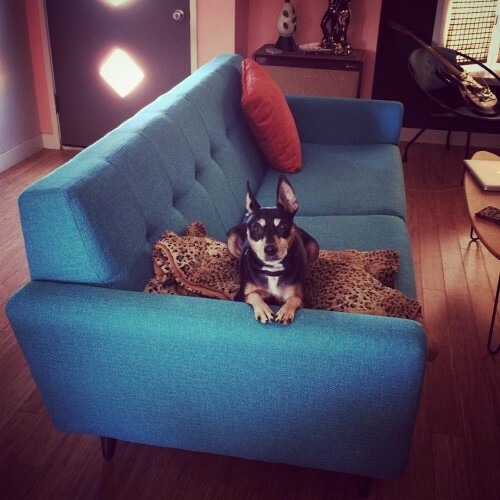 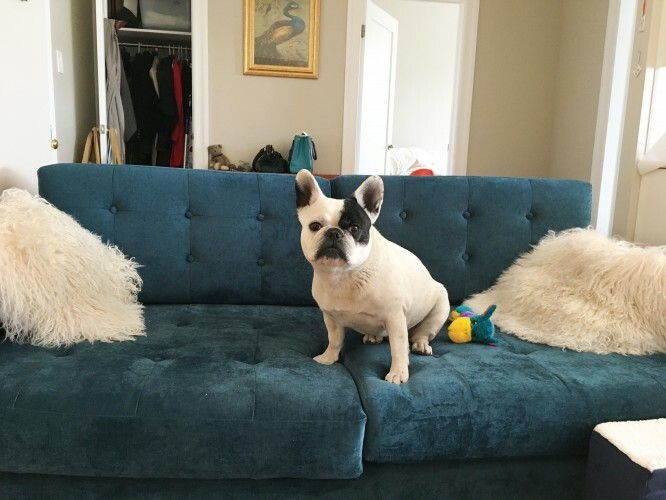 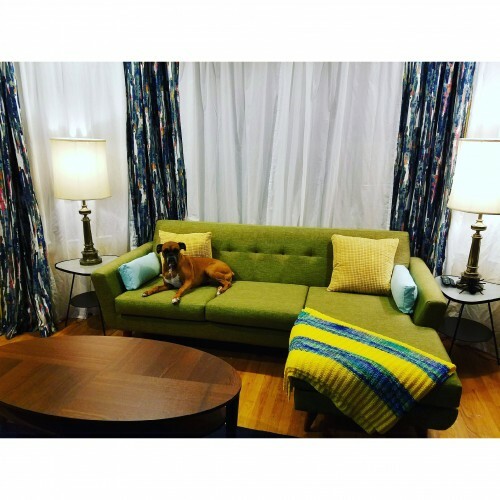 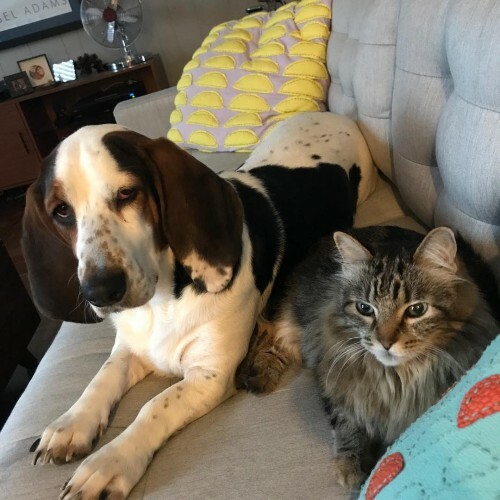 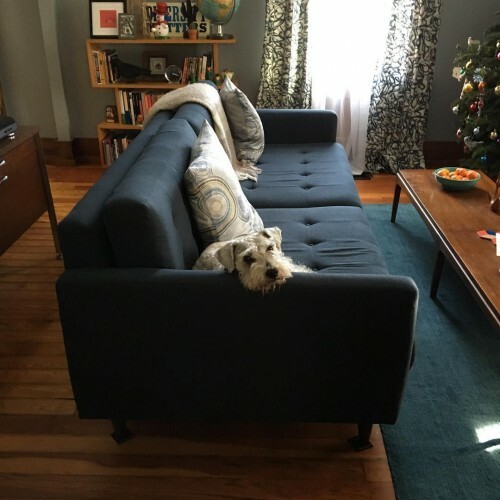 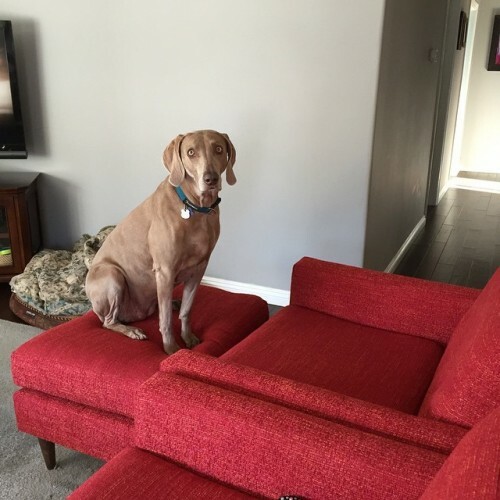 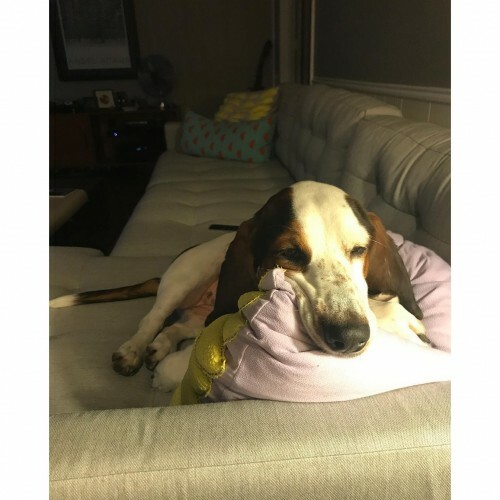 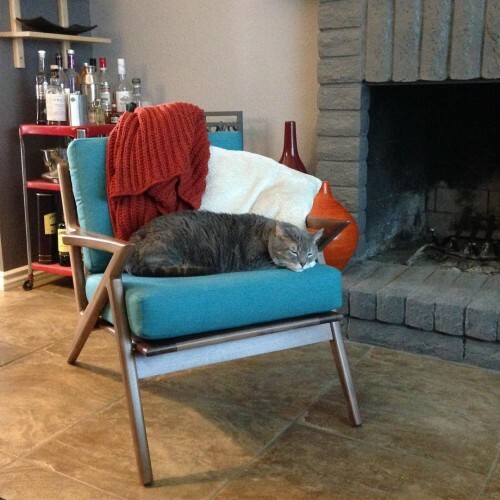 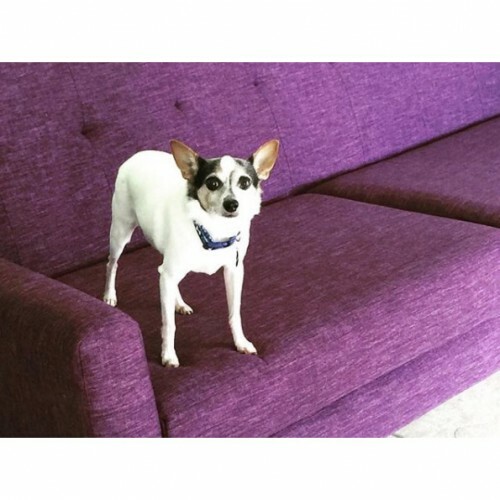 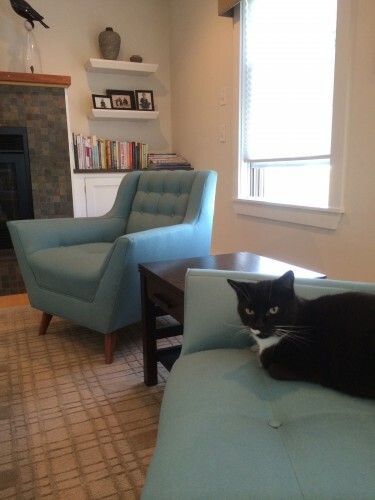 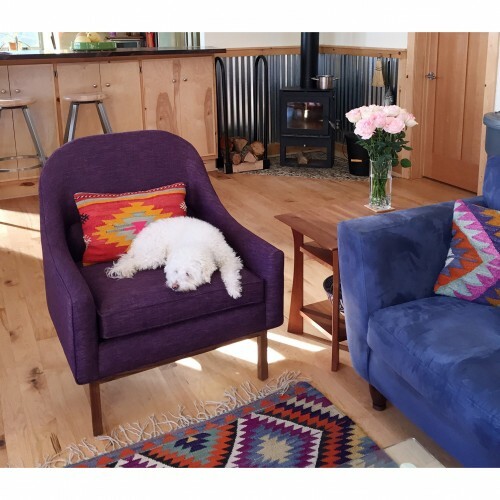 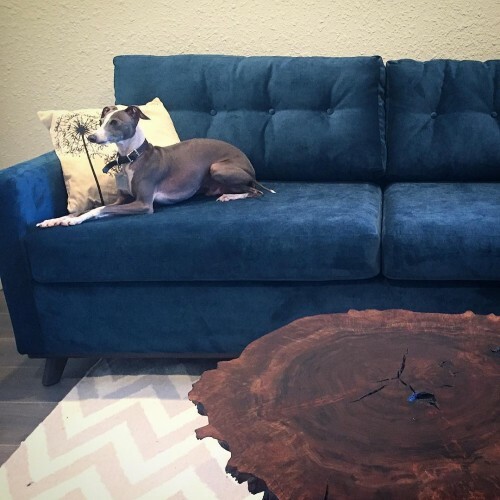 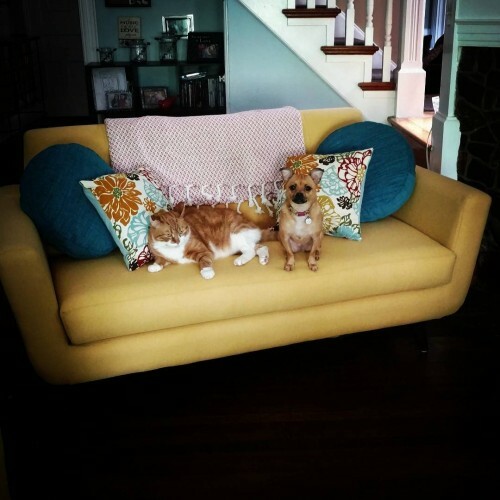 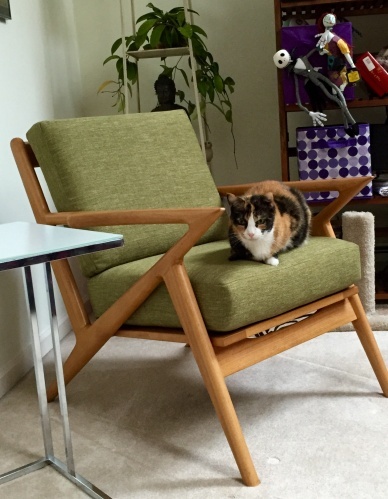 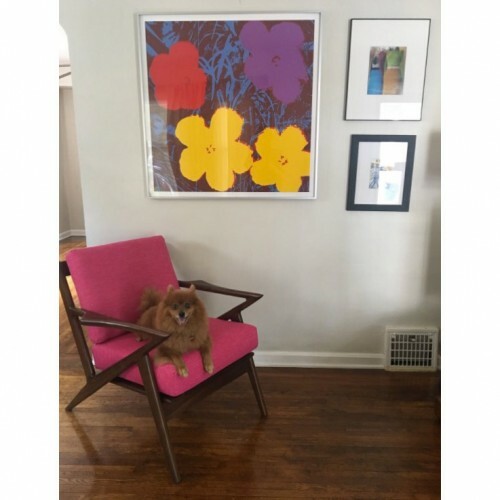 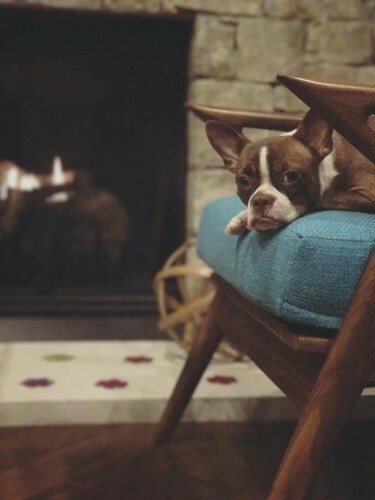 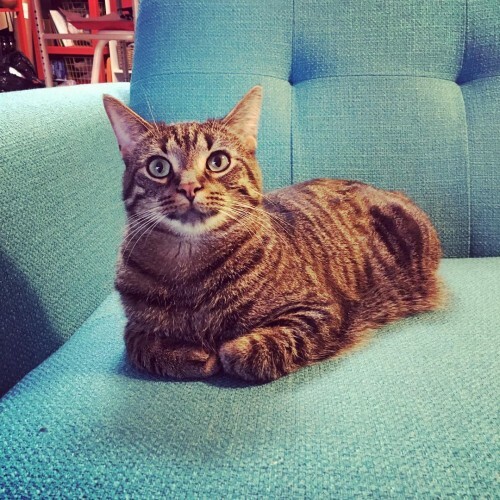 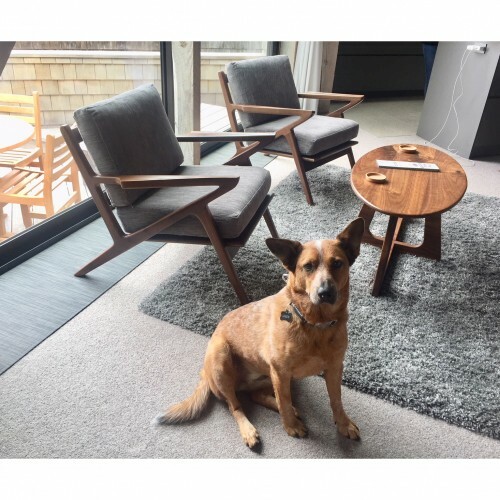 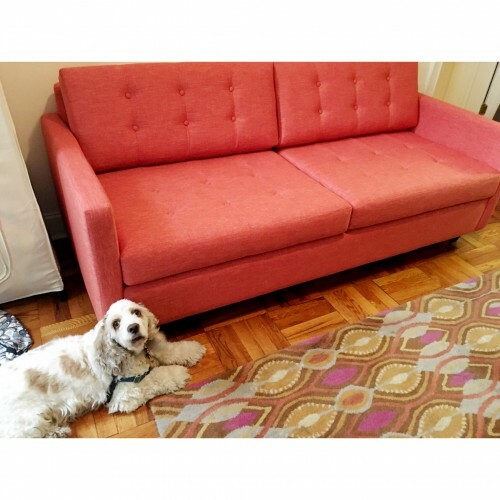 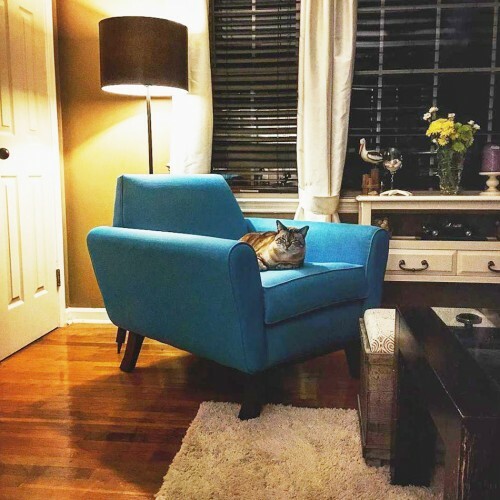 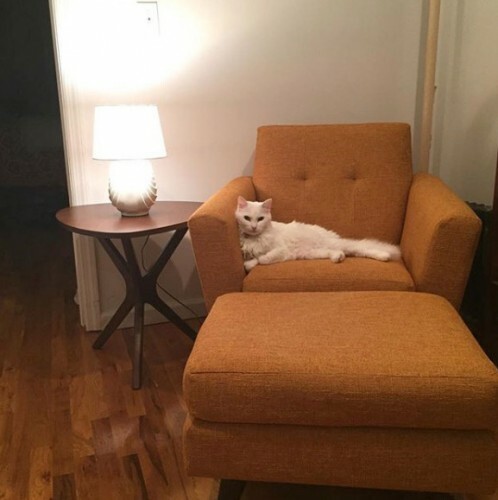 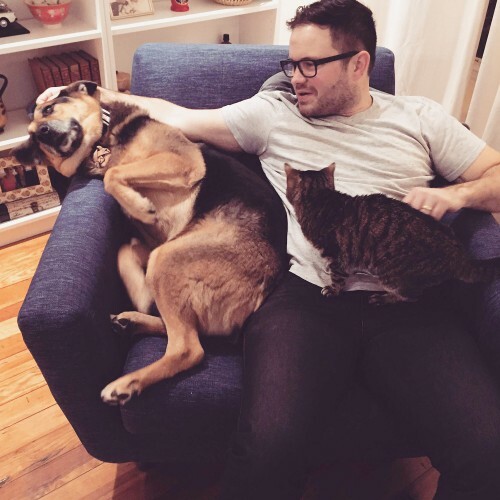 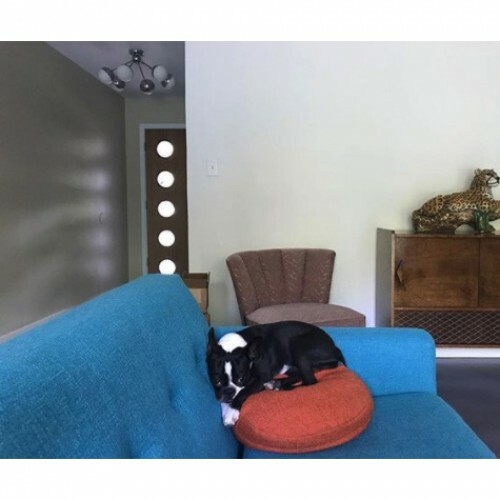 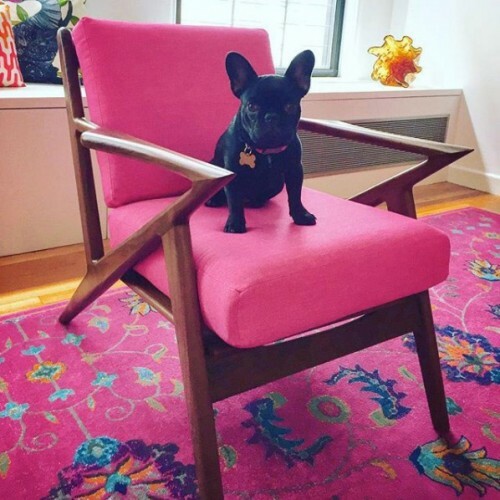 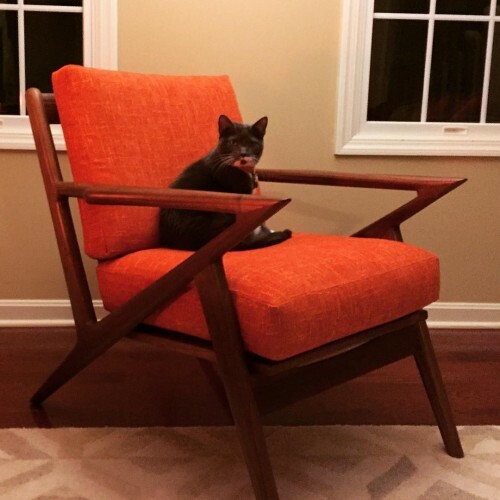 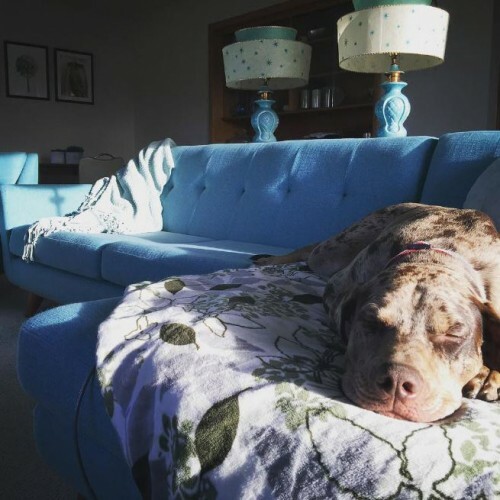 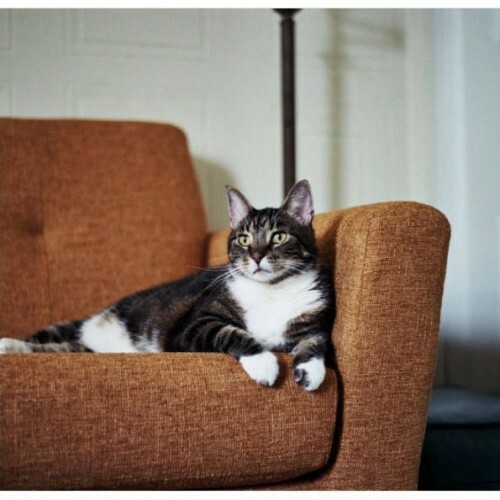 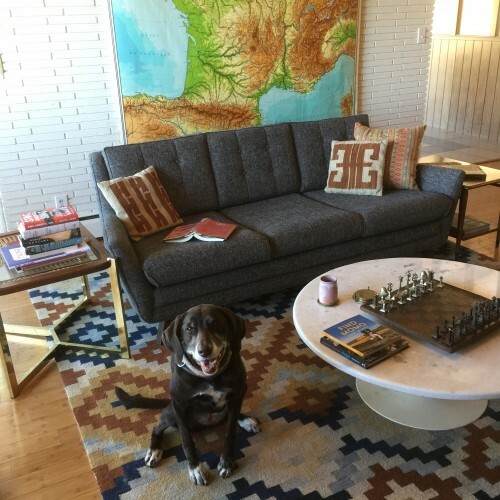 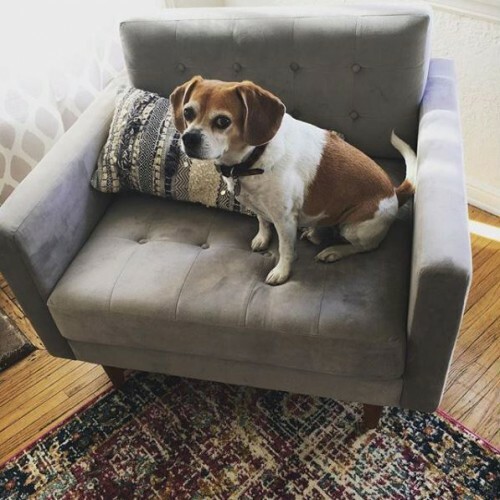 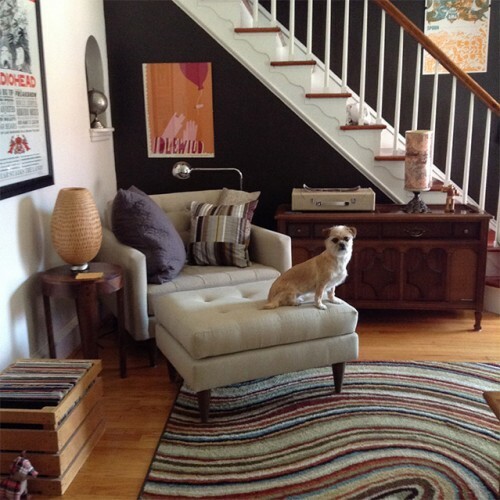 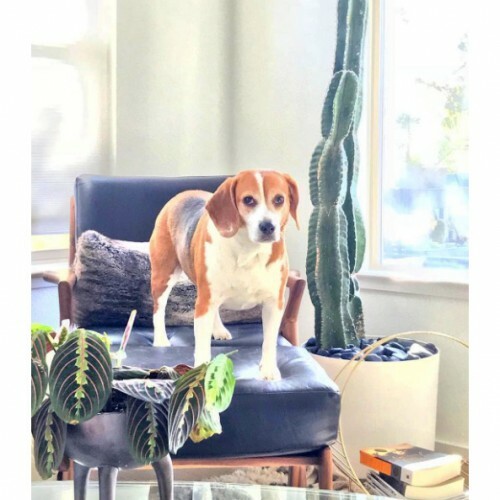 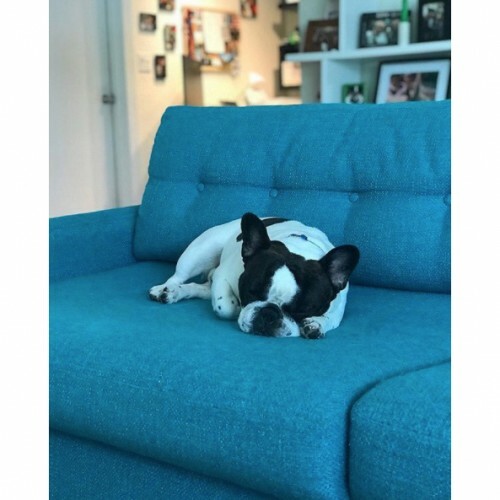 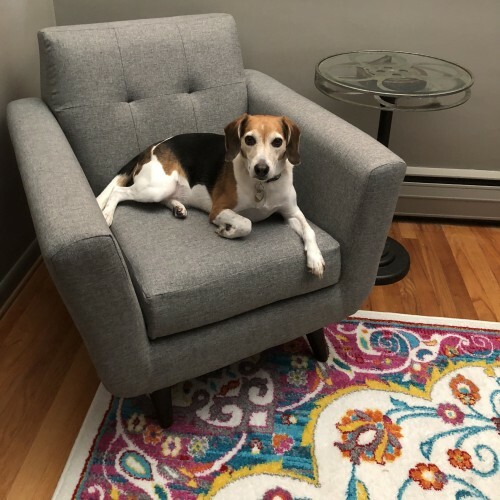 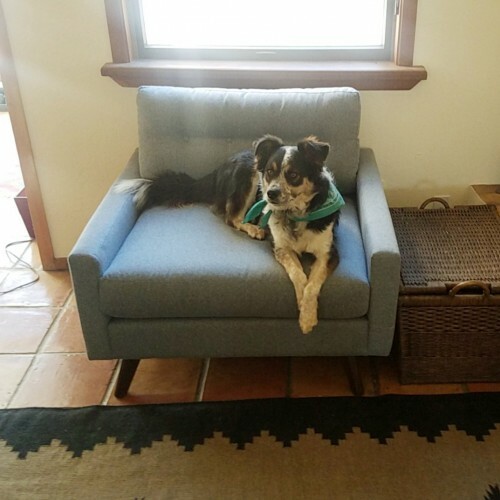 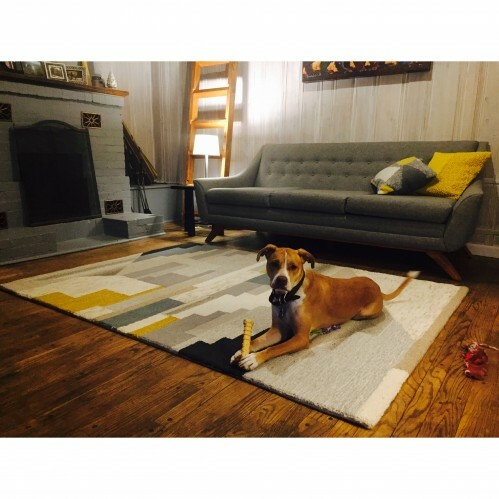 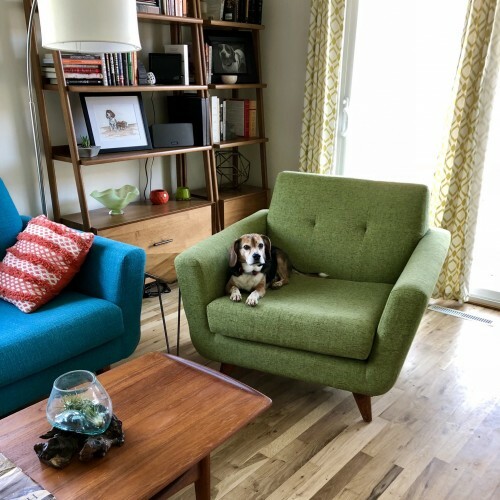 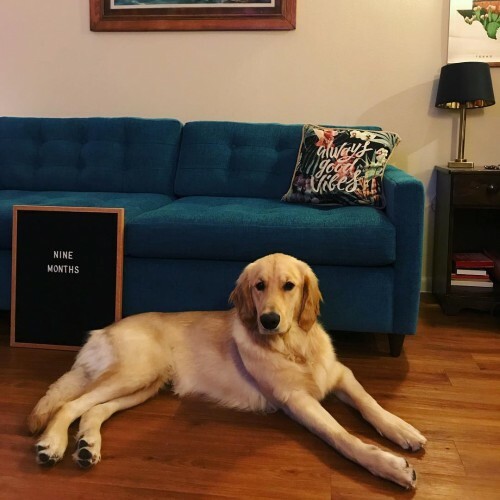 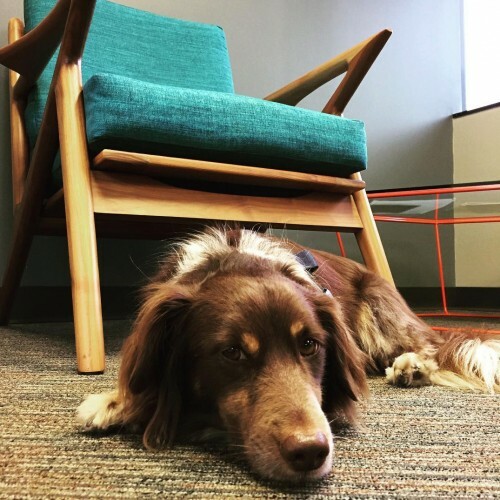 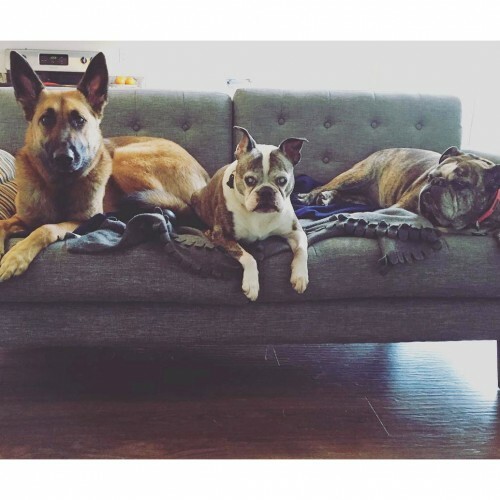 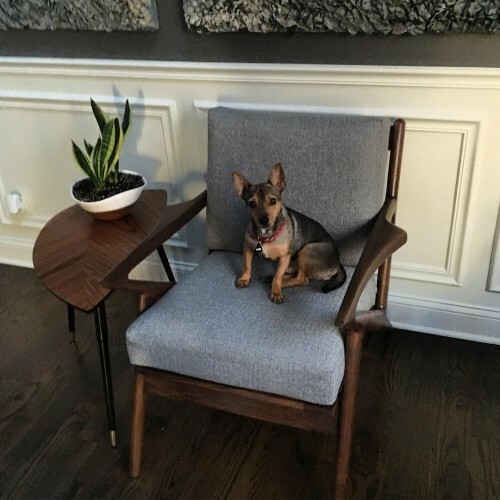 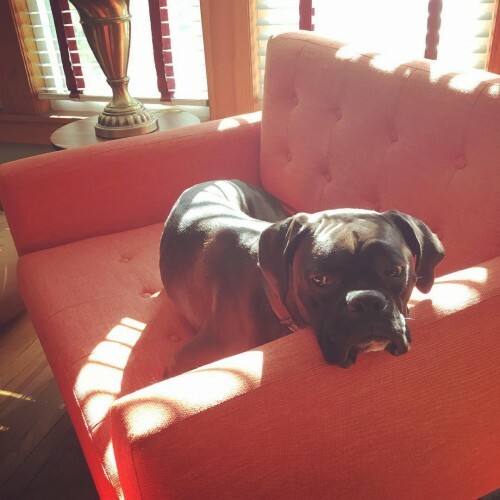 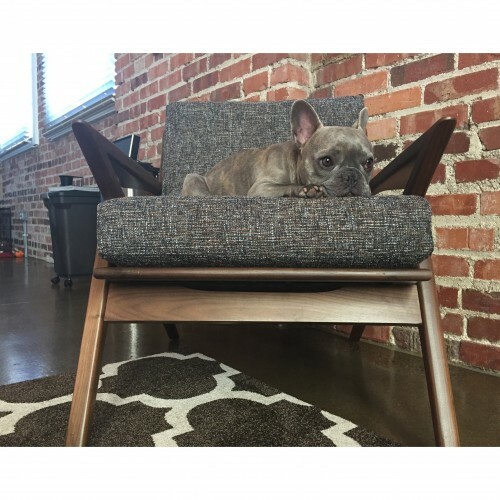 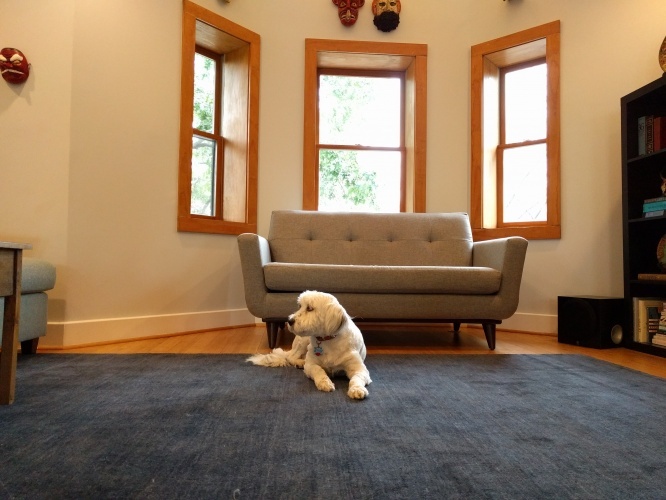 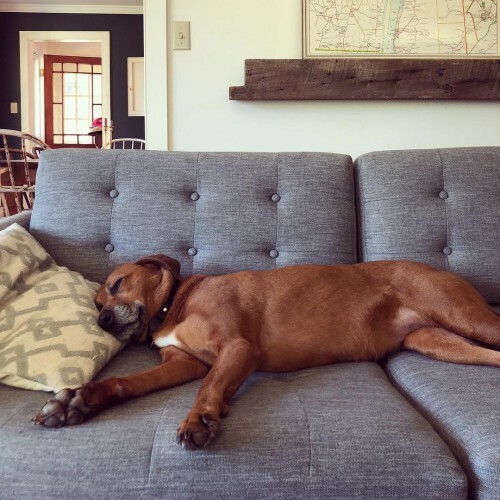 What’s Kid and Pet-friendly about our furniture and fabrics? 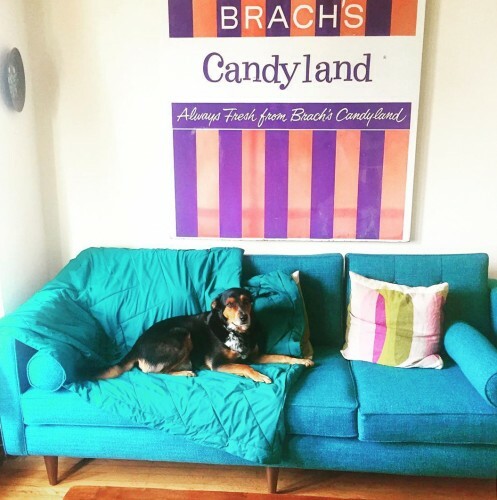 We believe you can have your cake and eat it too. 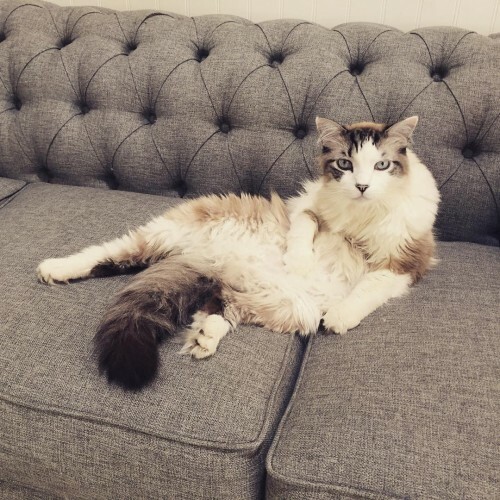 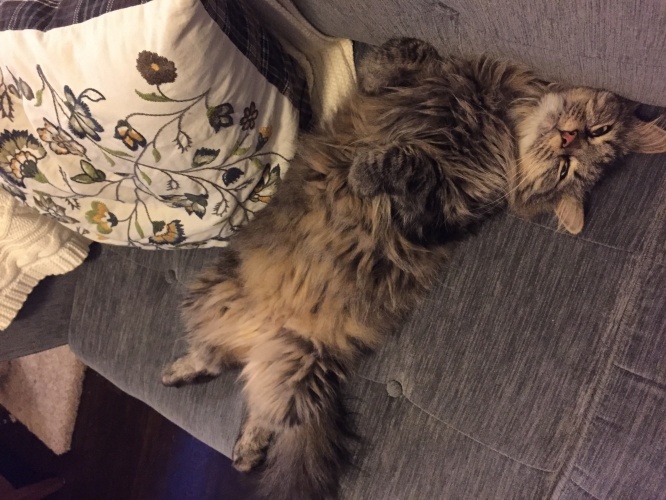 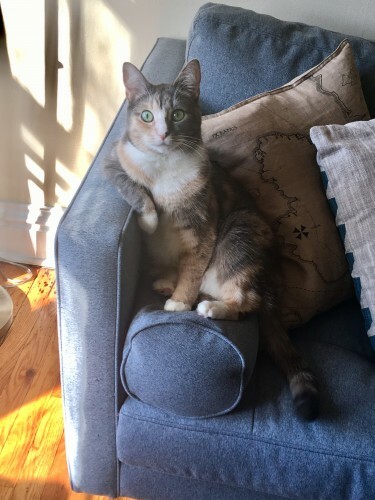 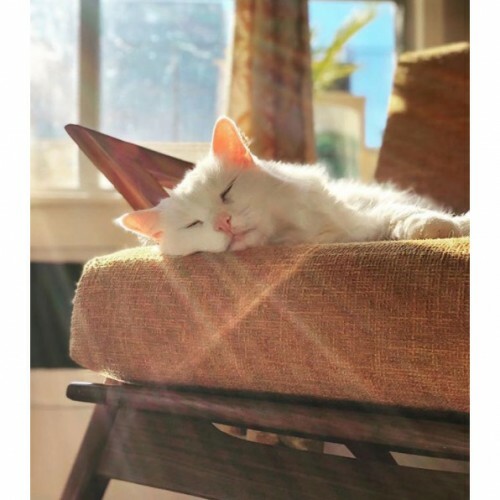 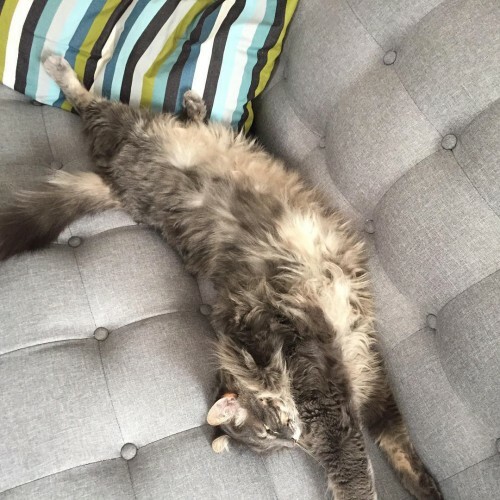 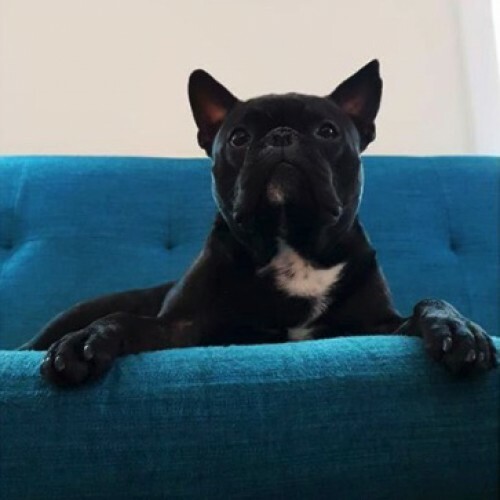 Right on the sofa, if you like. 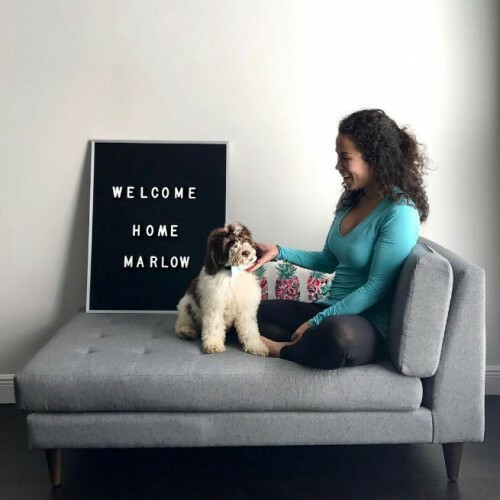 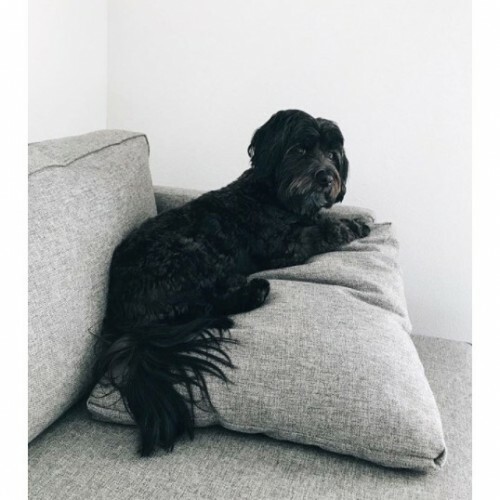 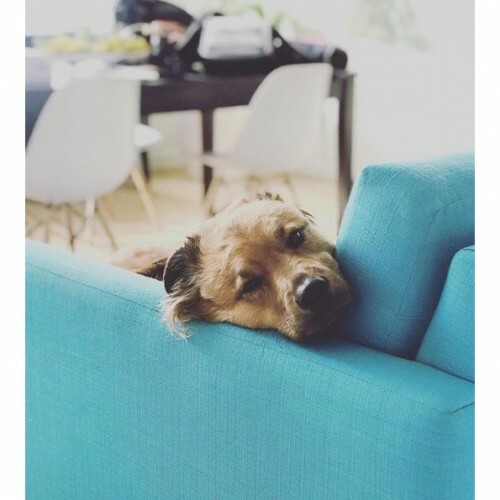 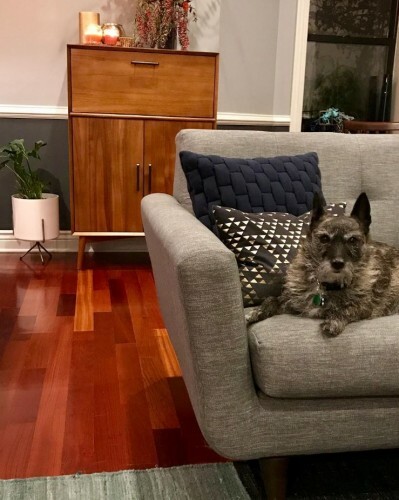 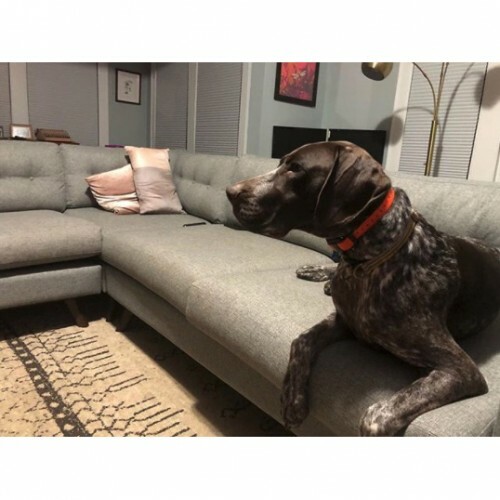 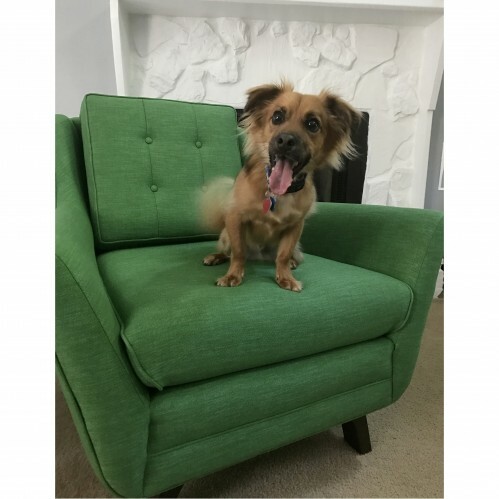 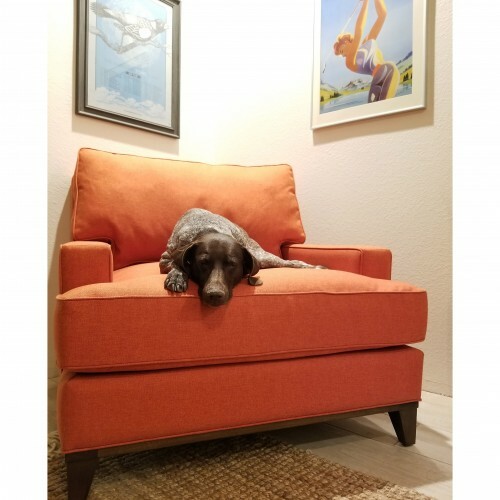 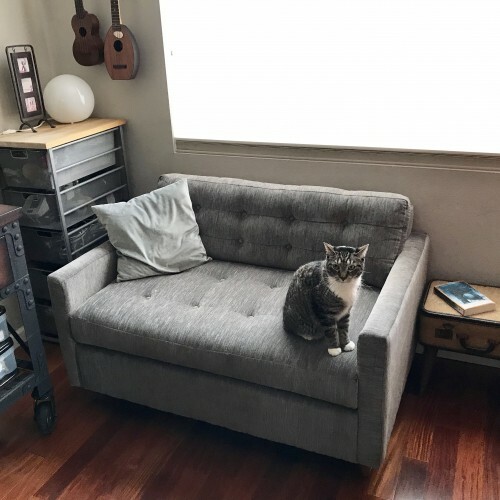 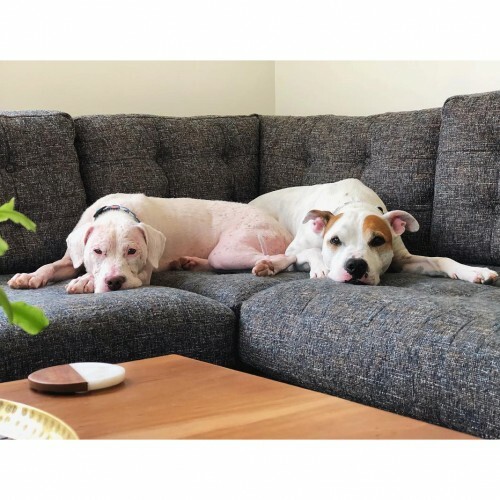 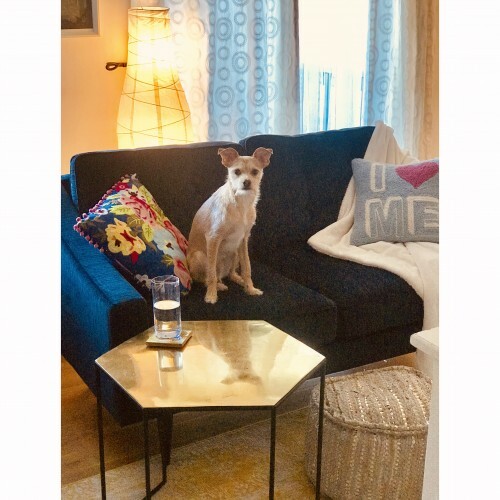 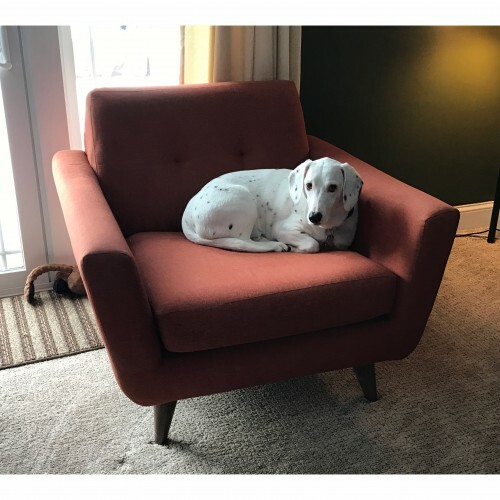 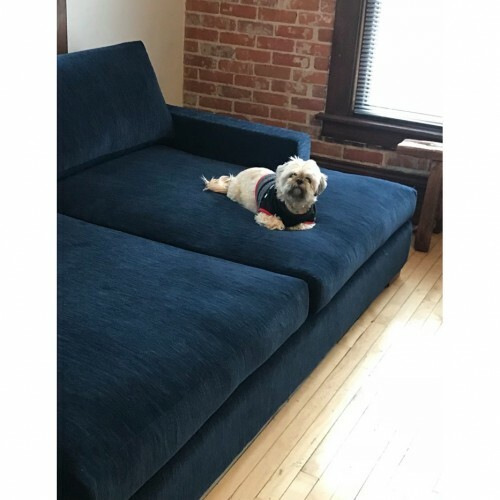 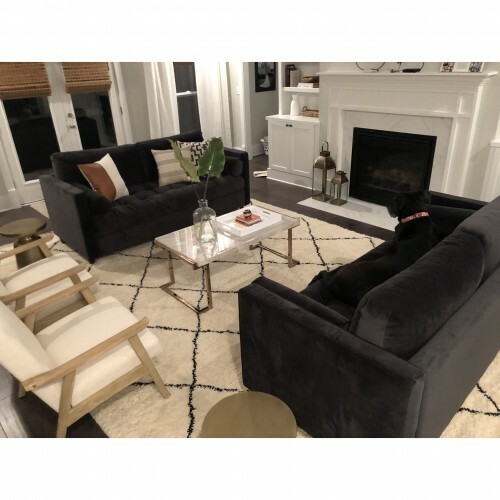 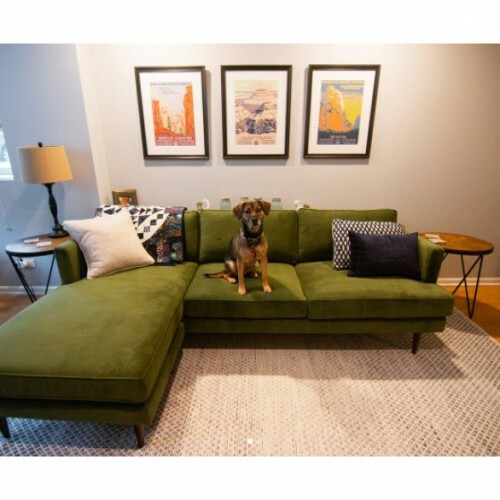 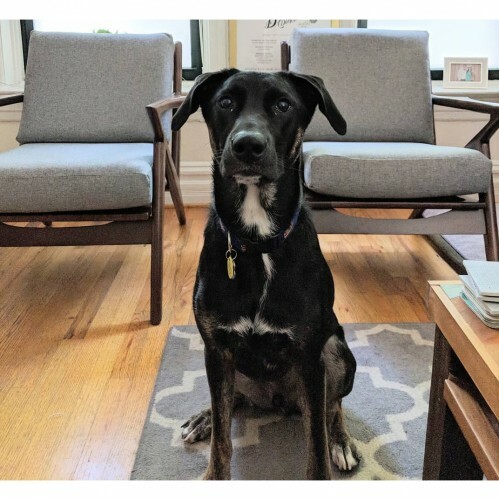 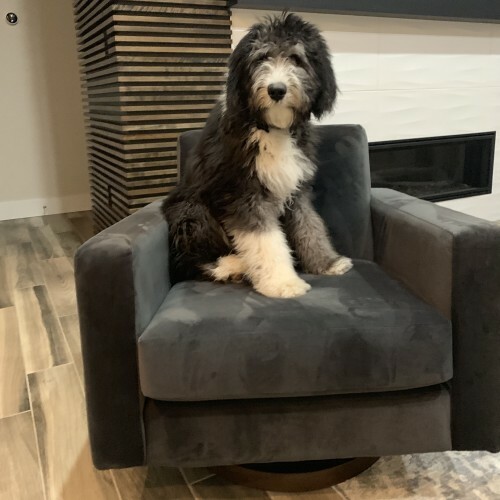 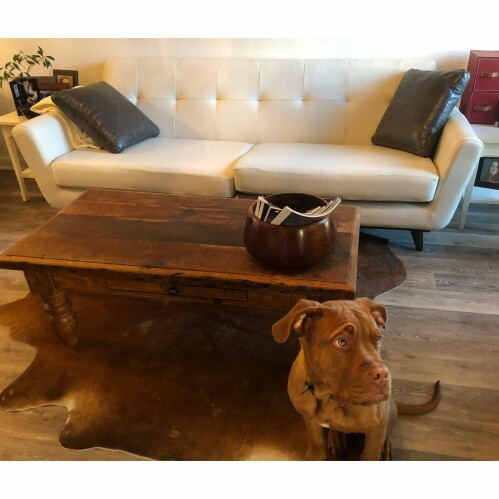 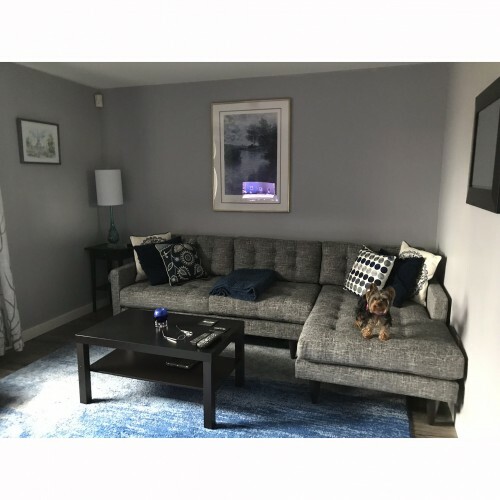 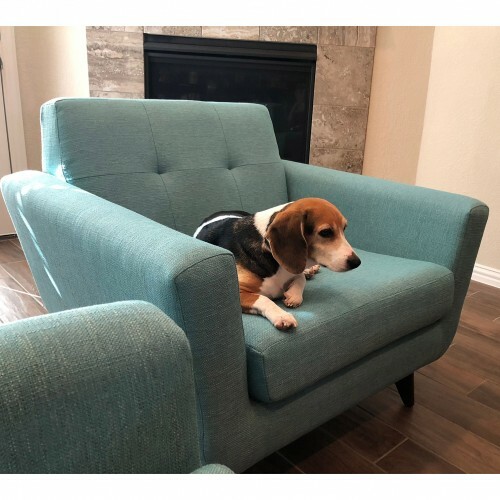 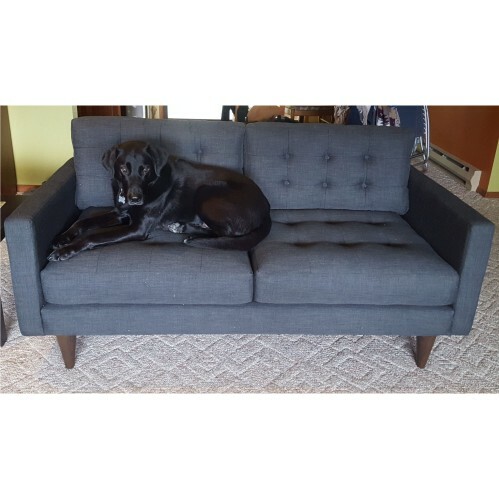 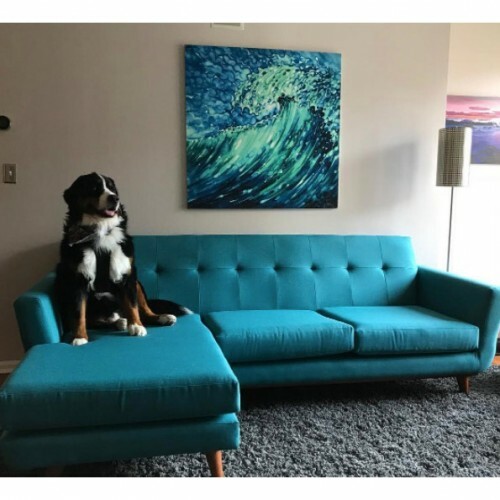 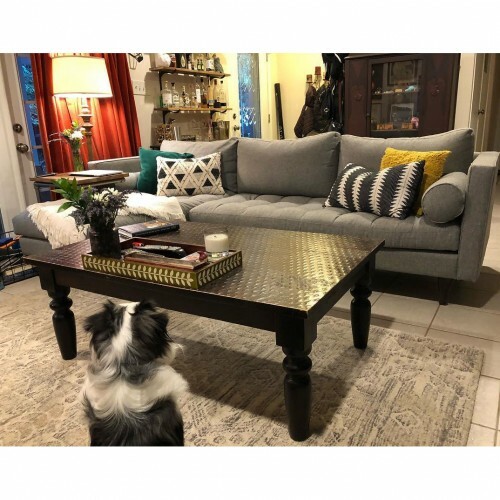 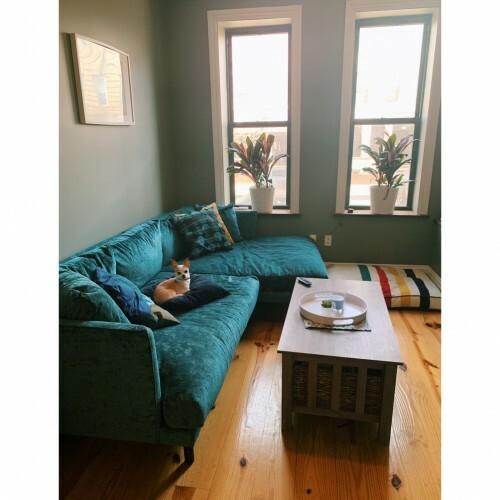 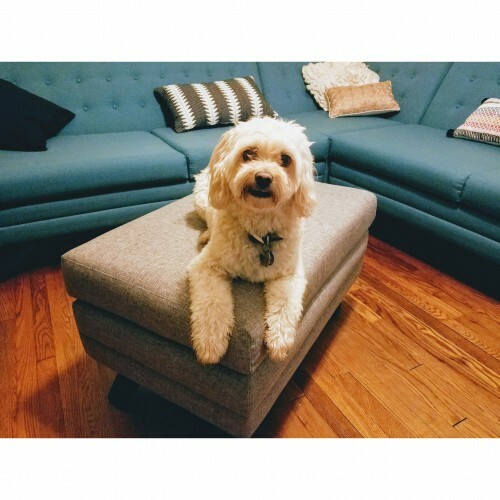 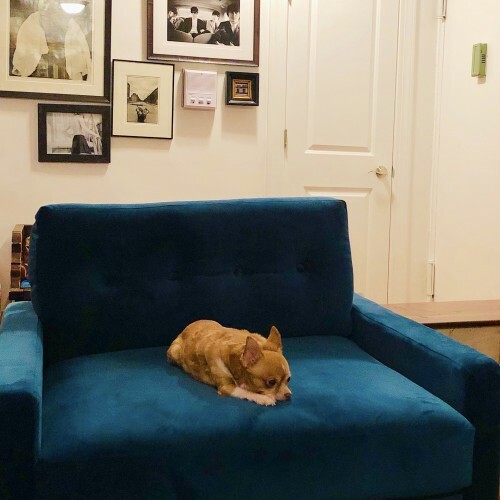 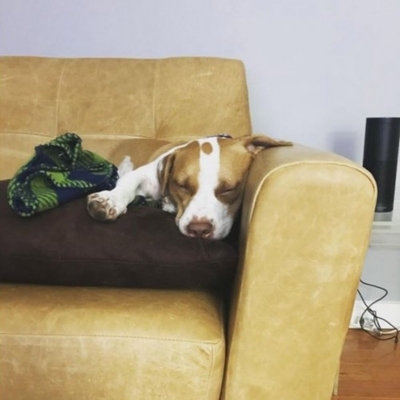 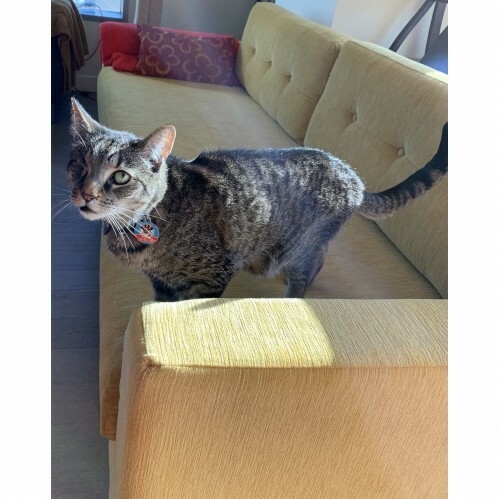 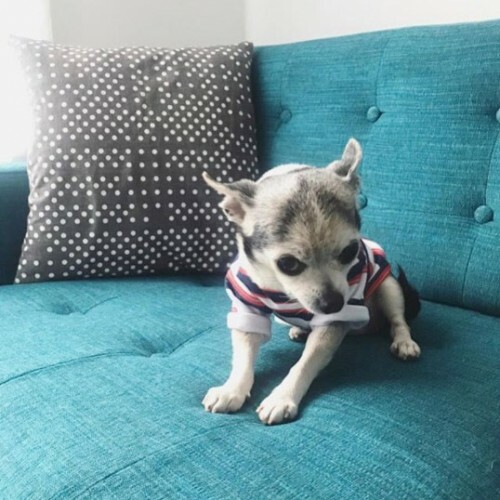 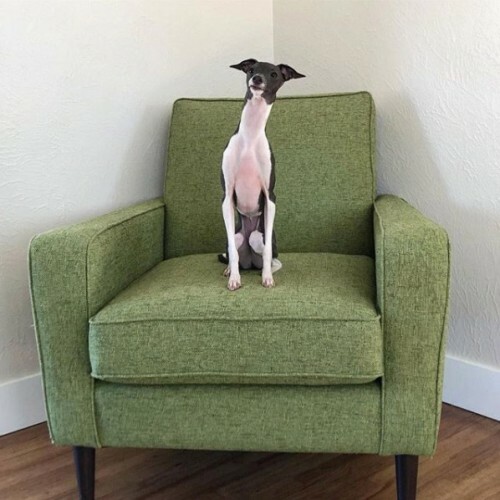 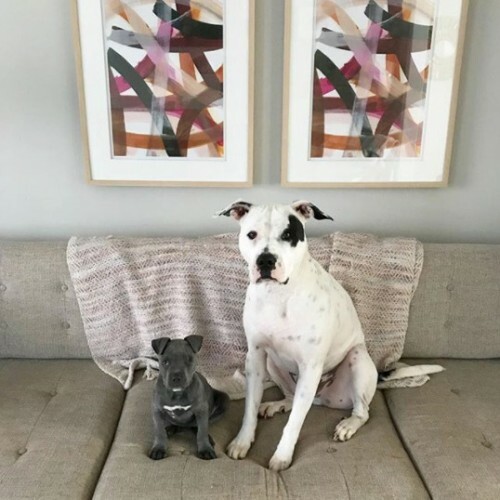 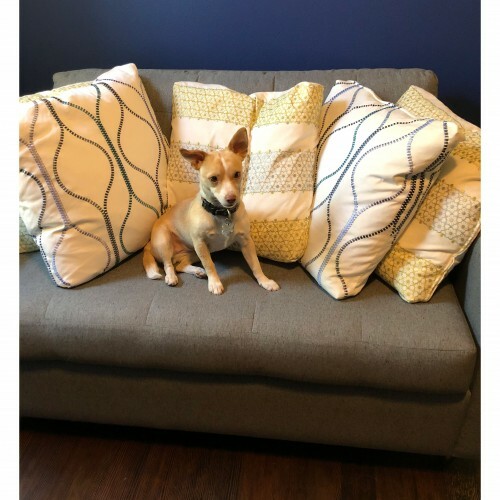 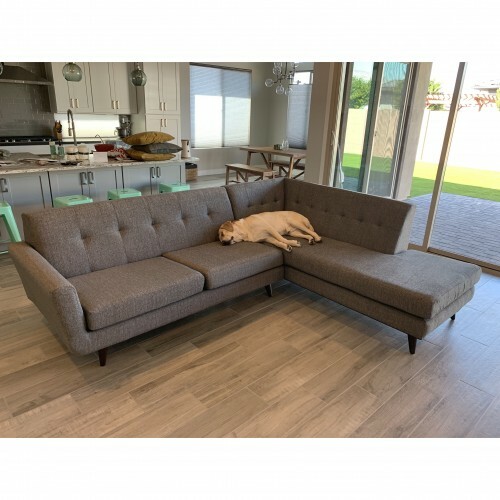 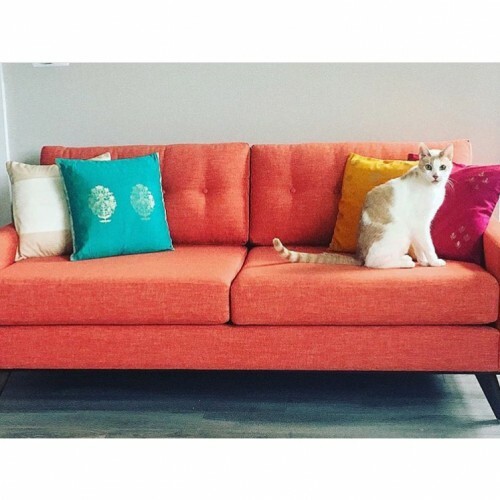 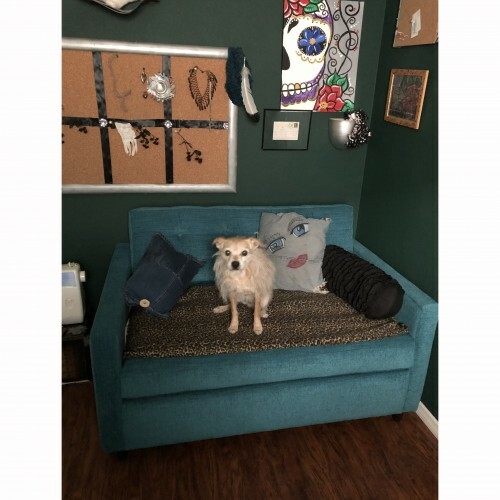 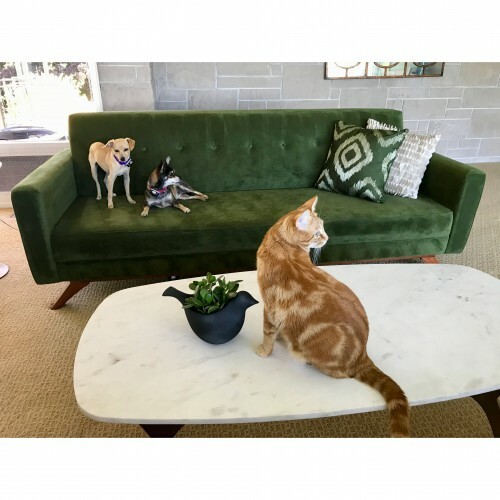 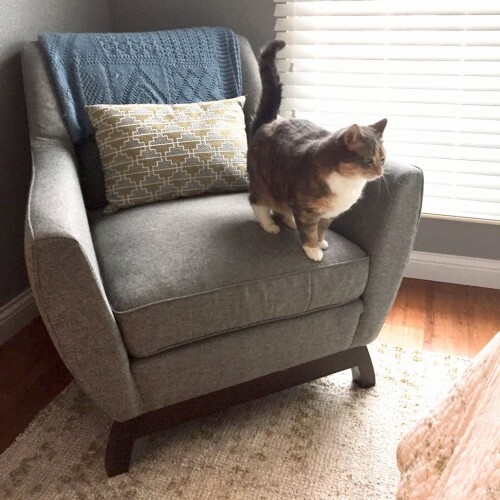 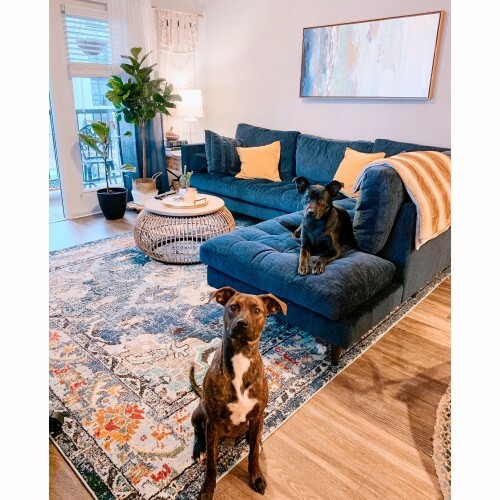 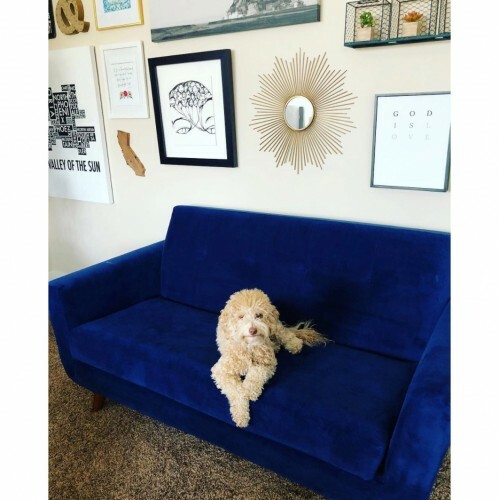 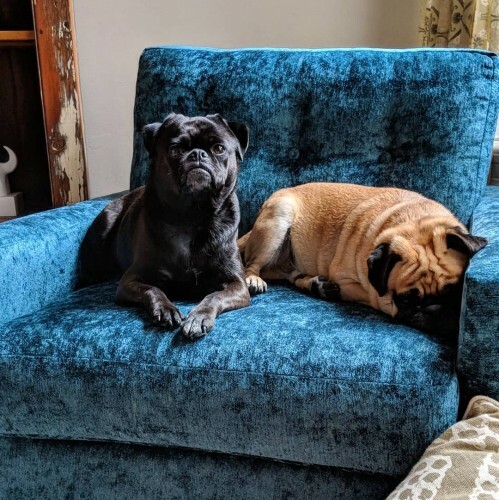 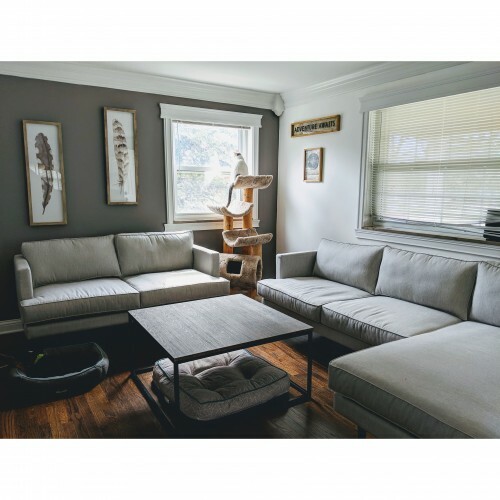 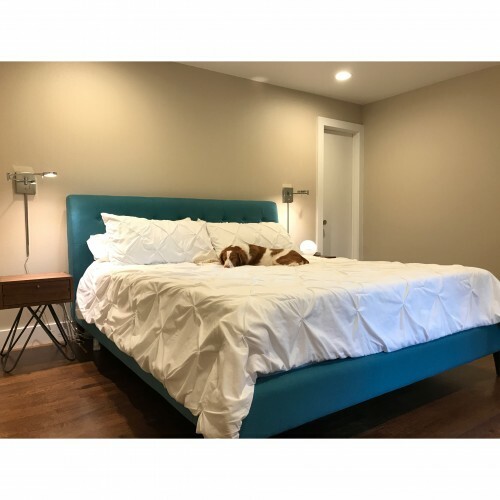 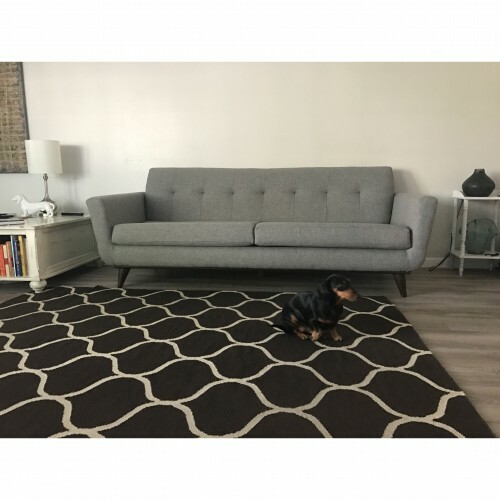 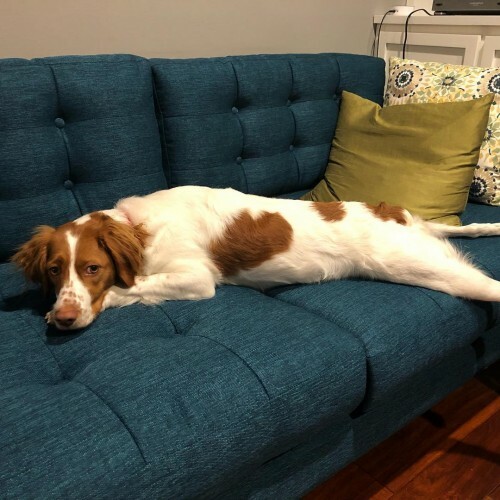 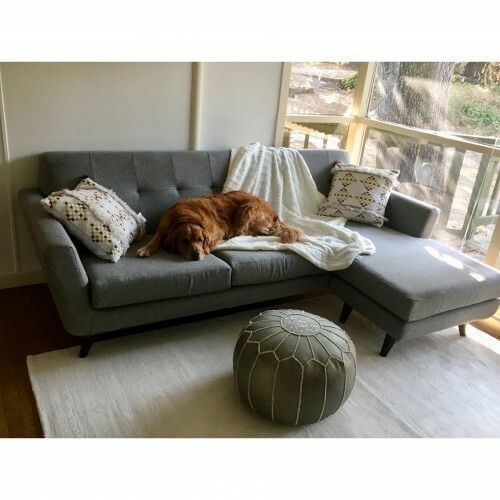 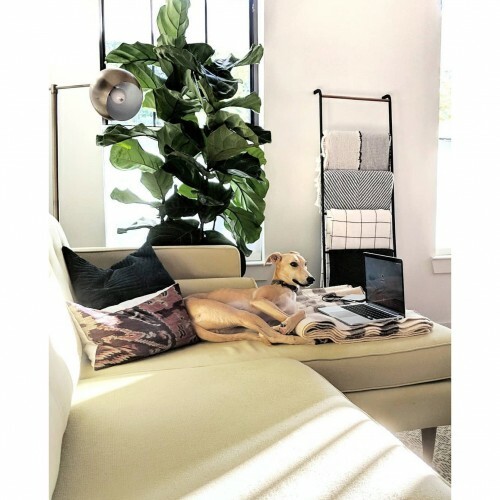 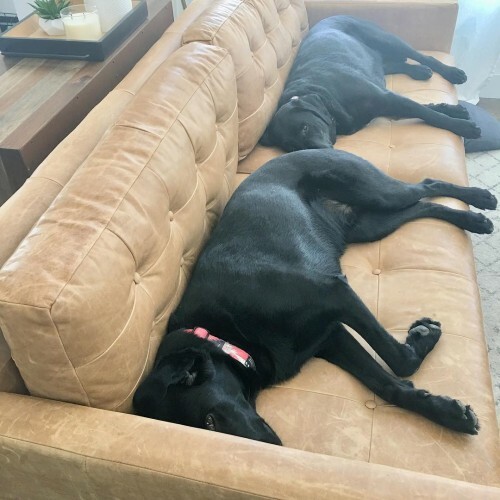 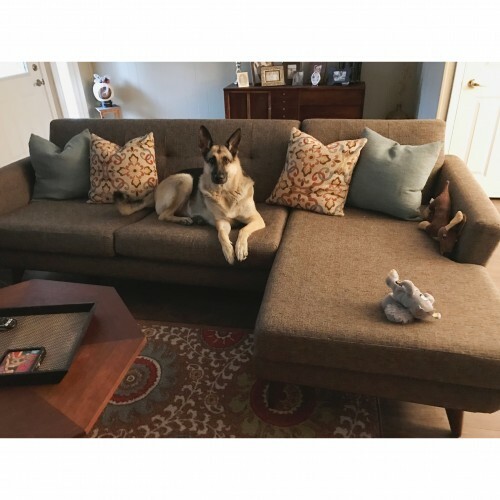 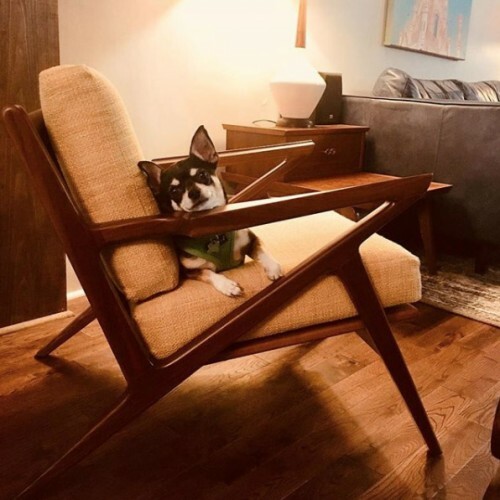 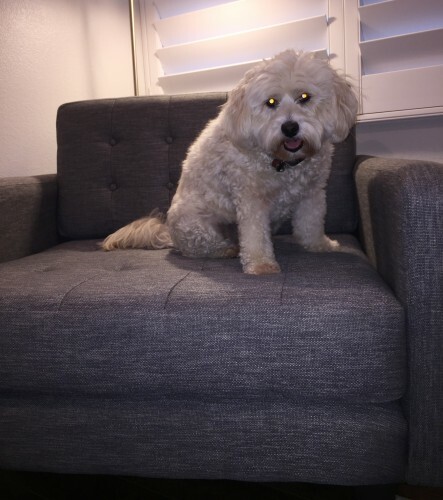 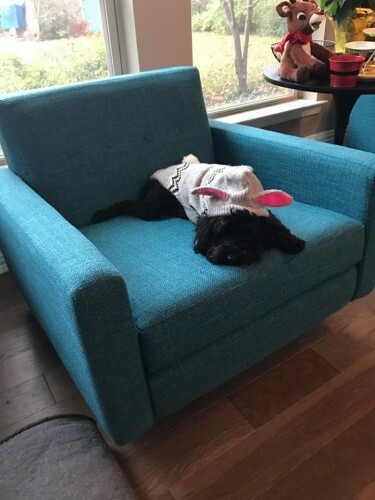 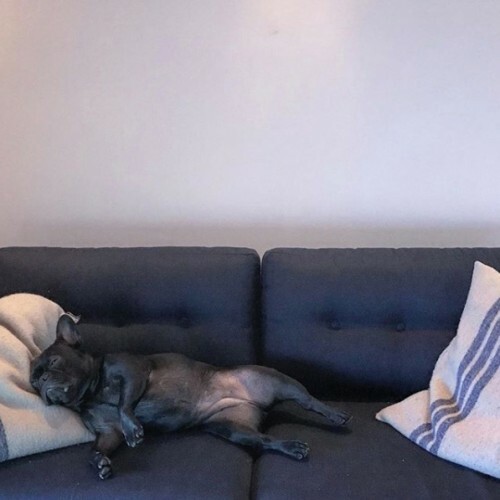 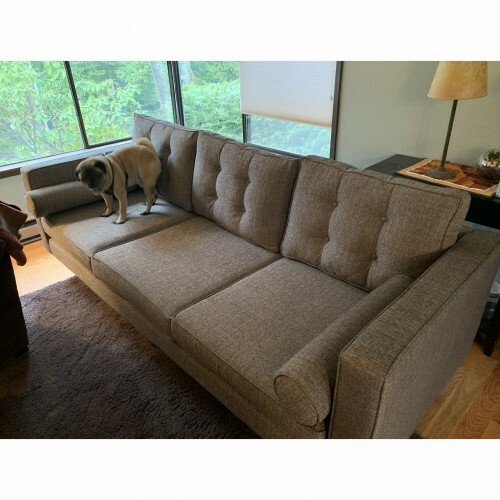 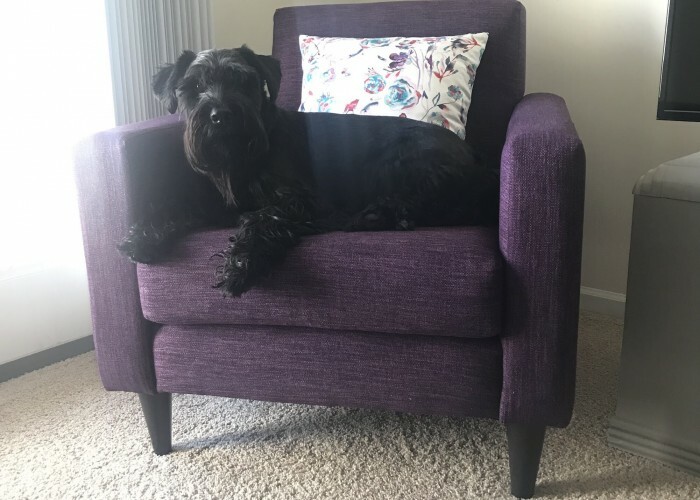 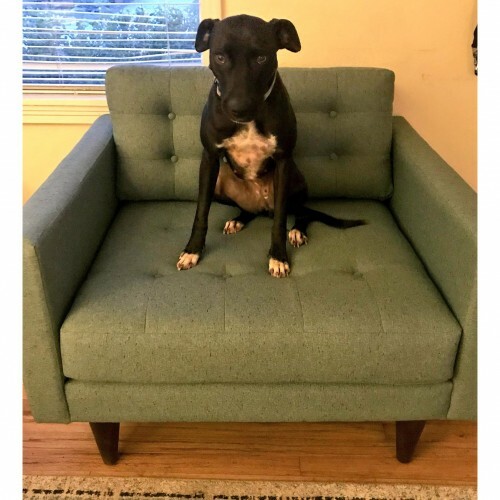 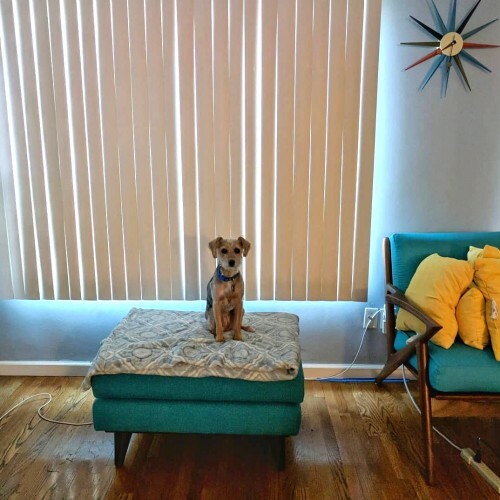 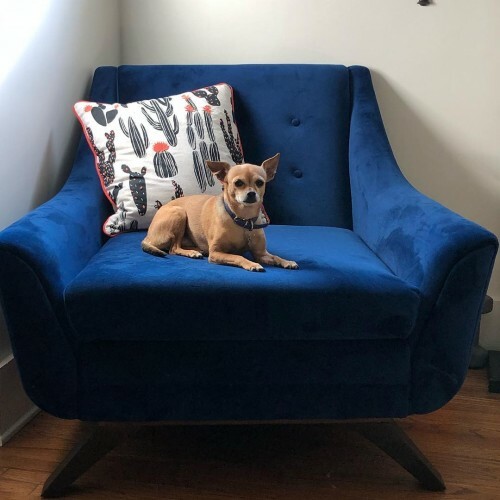 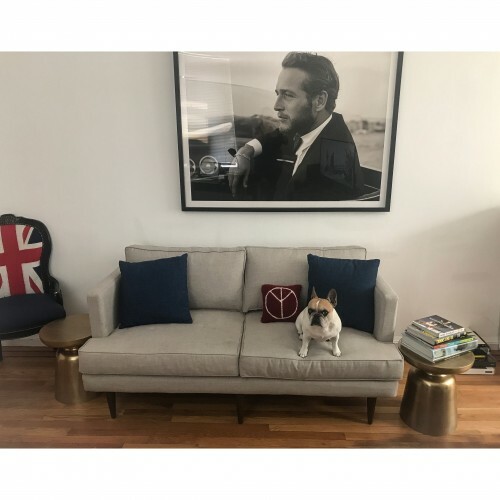 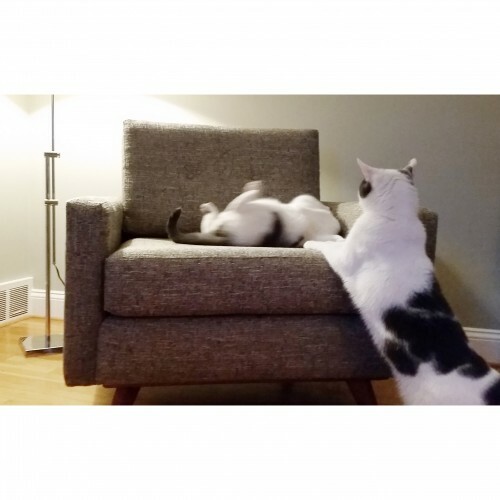 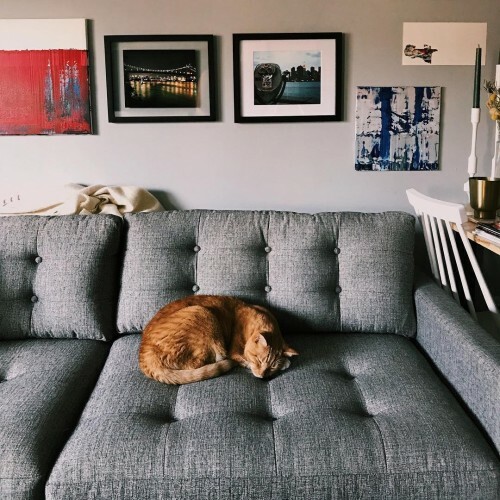 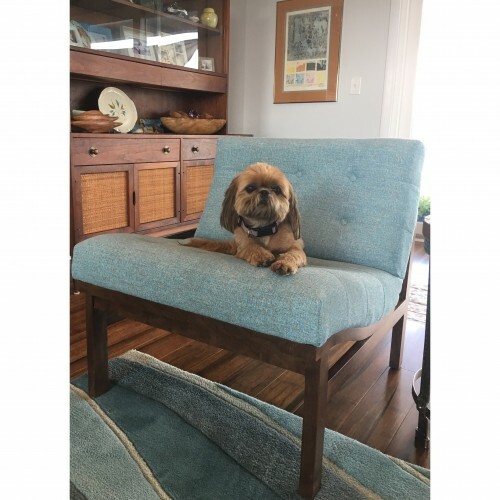 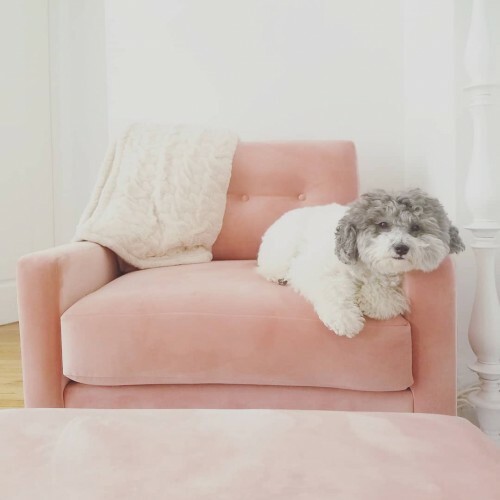 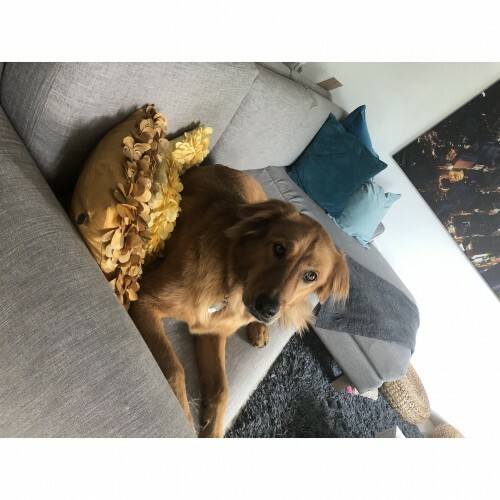 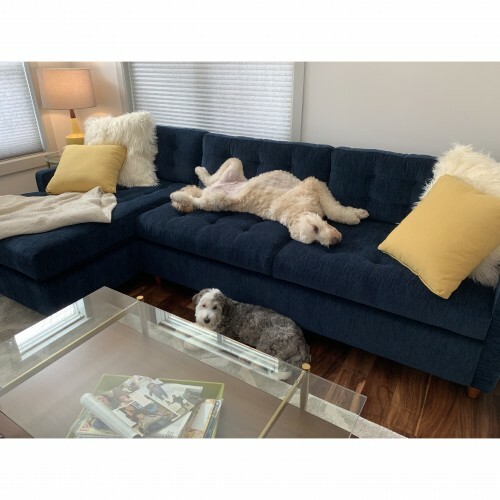 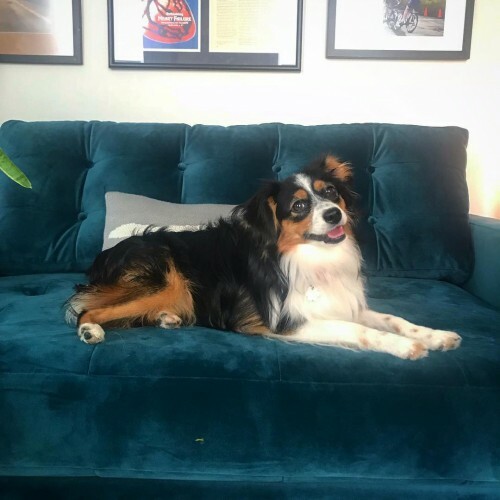 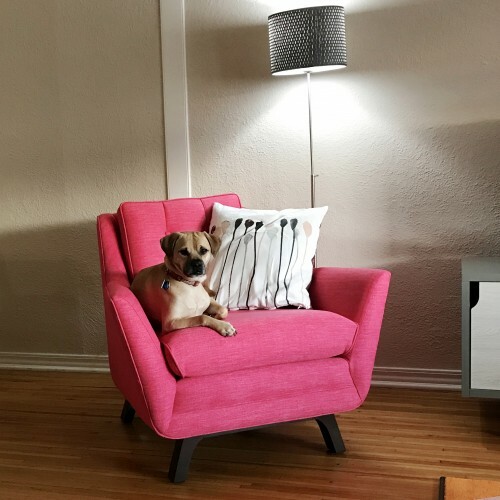 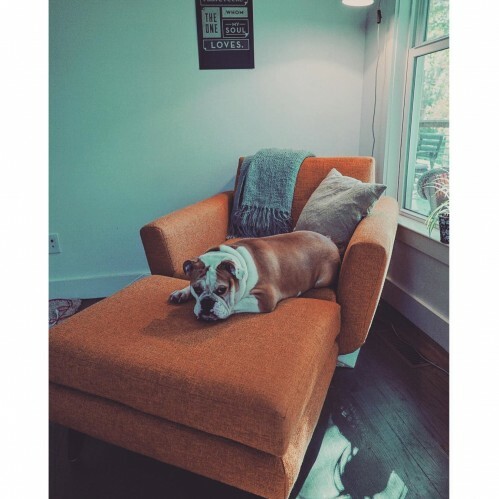 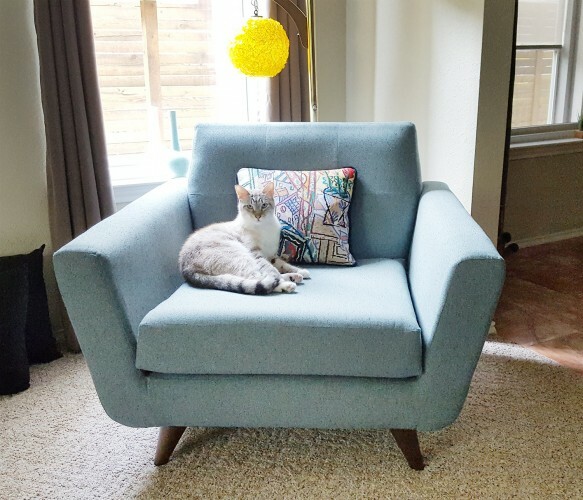 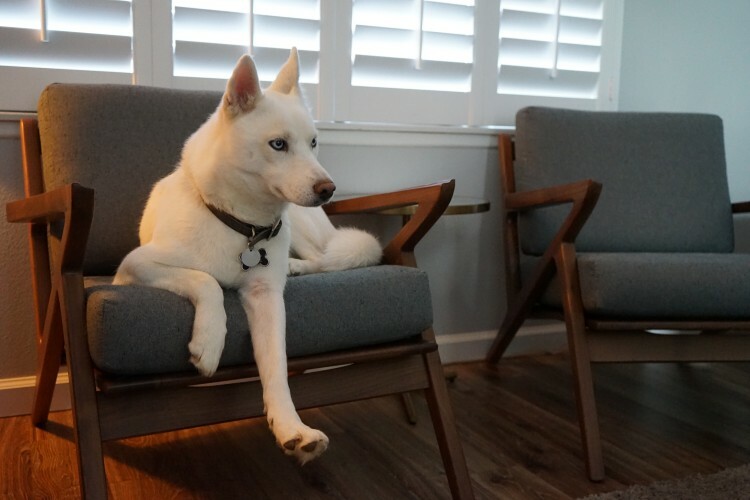 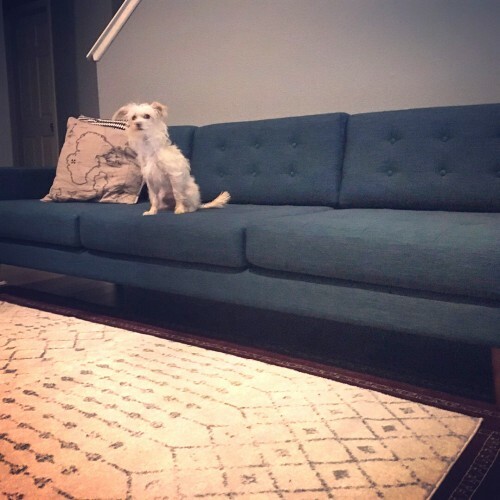 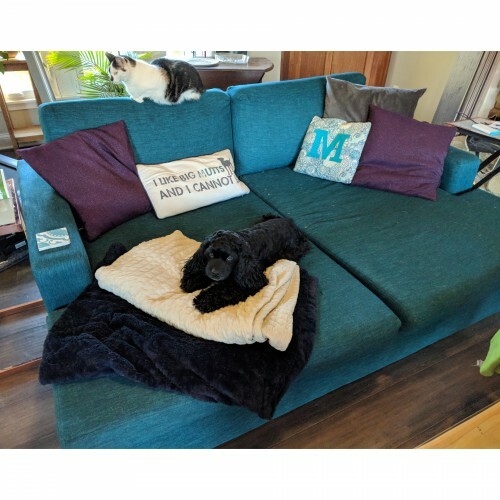 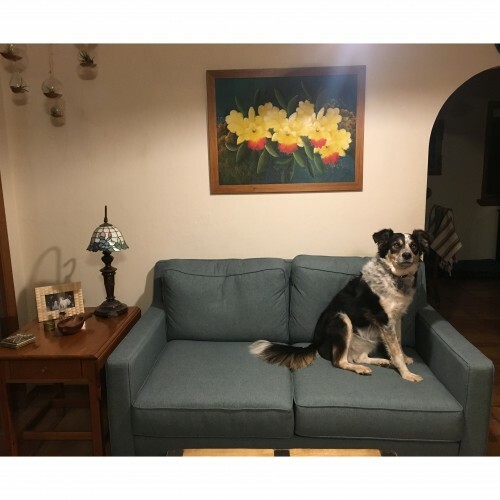 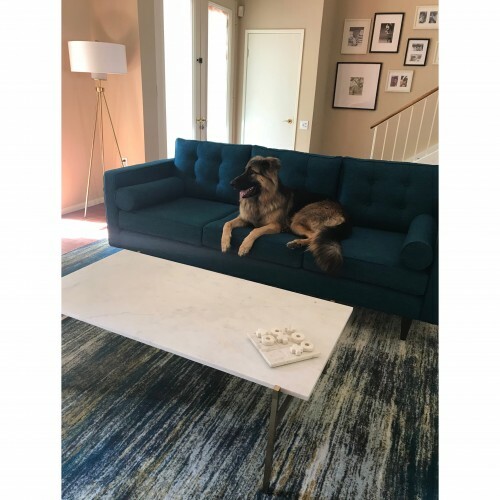 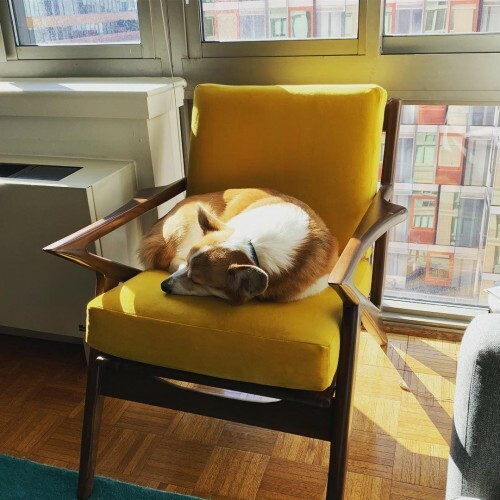 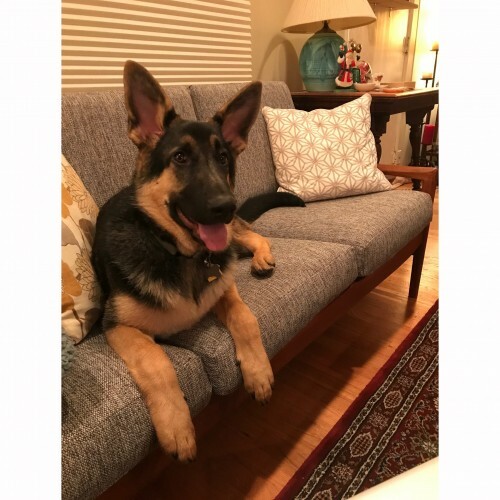 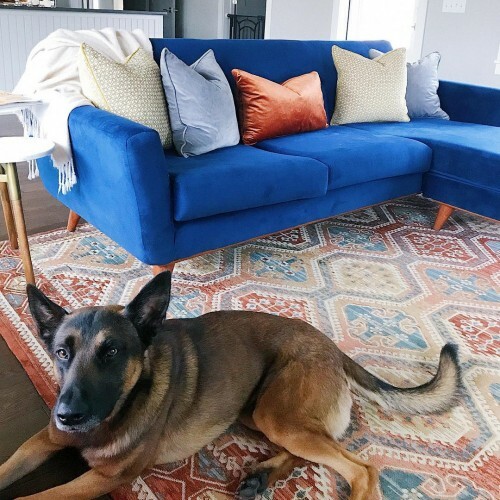 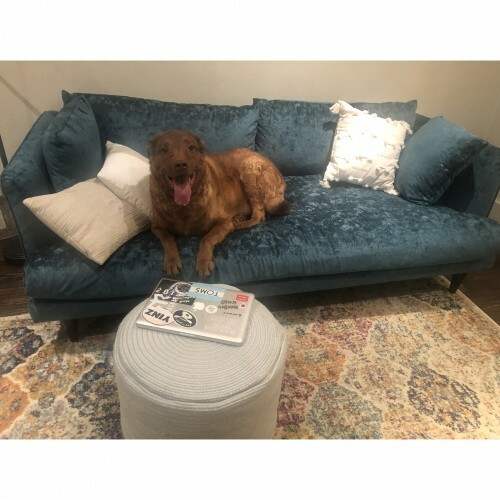 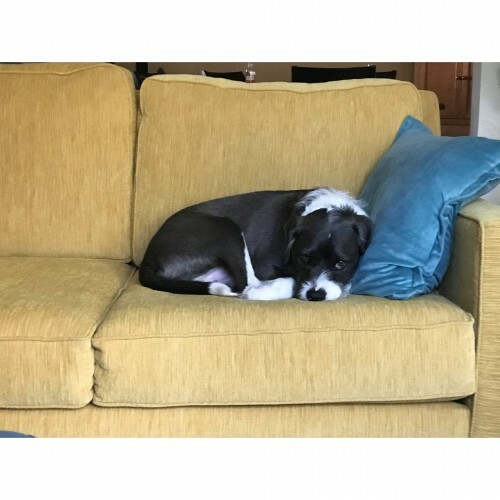 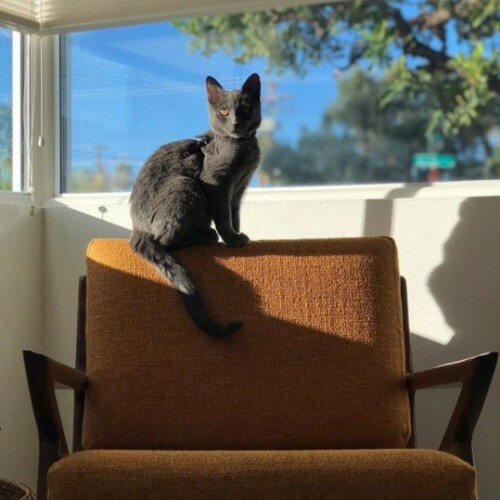 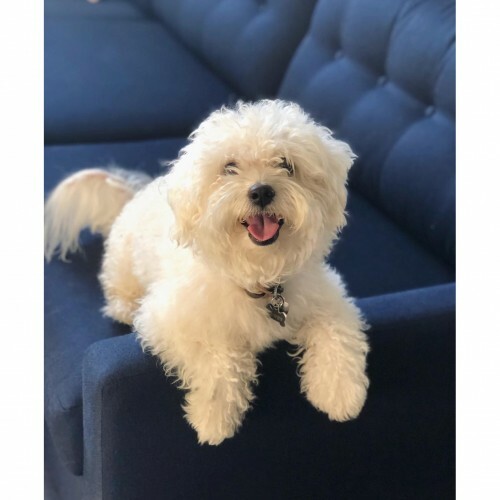 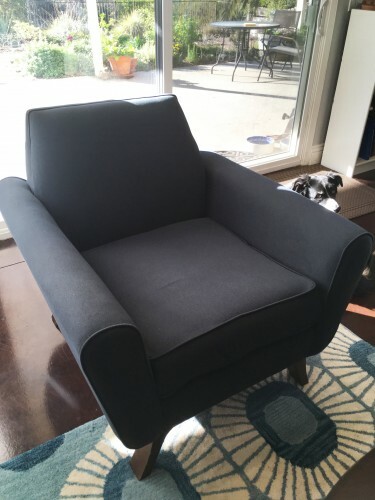 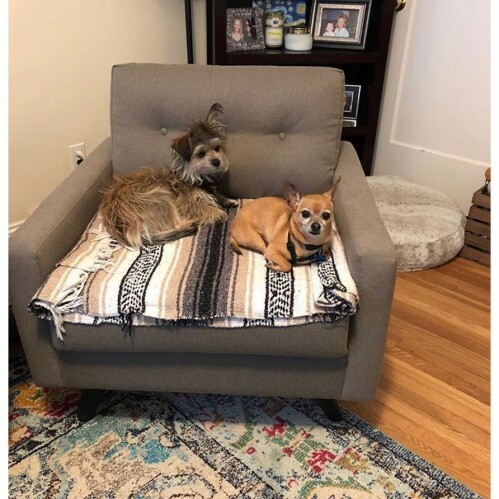 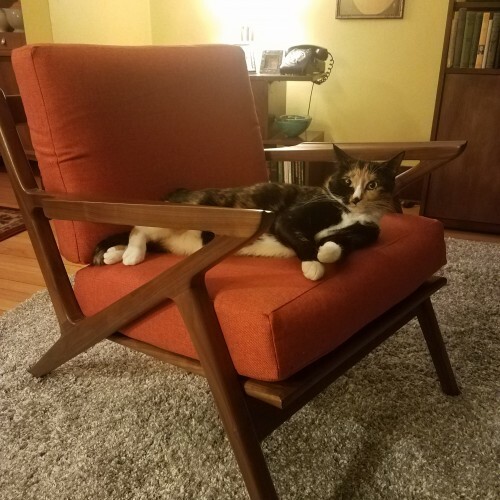 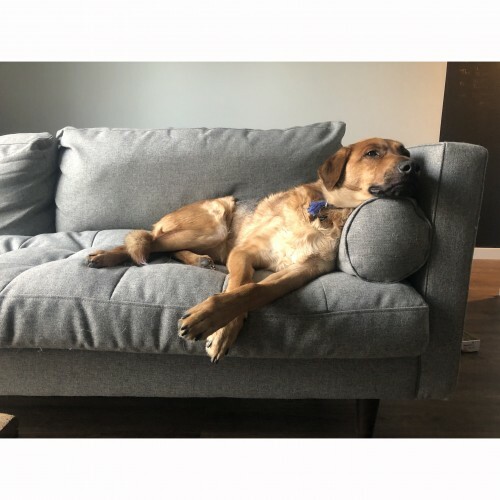 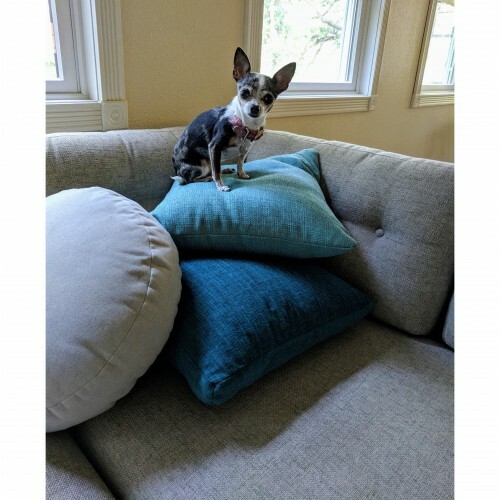 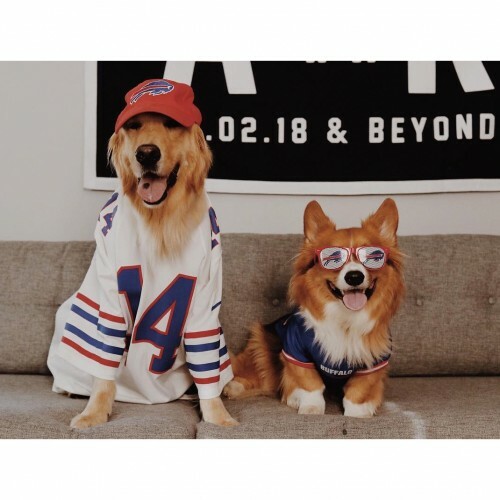 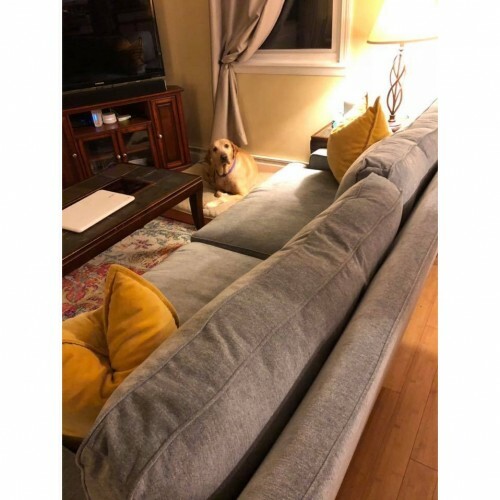 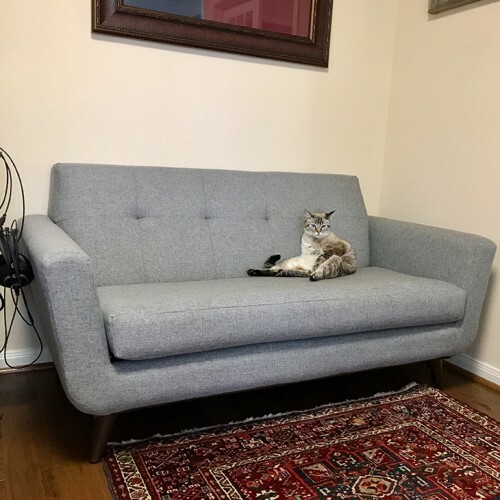 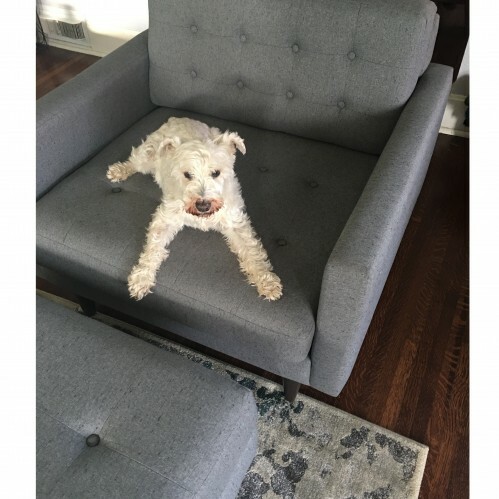 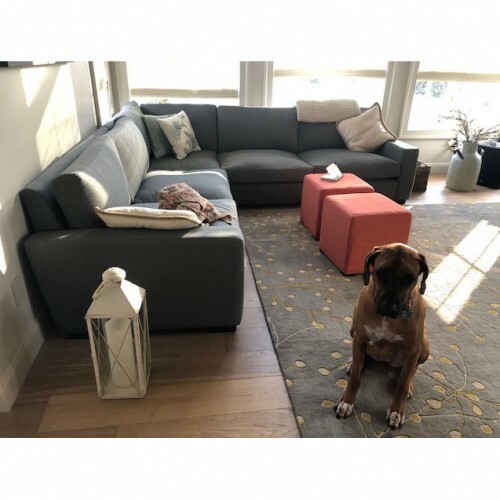 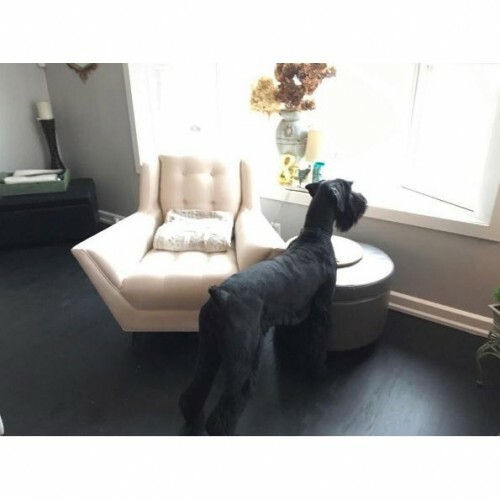 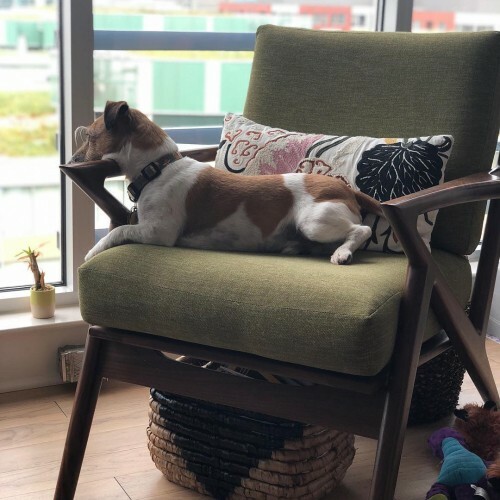 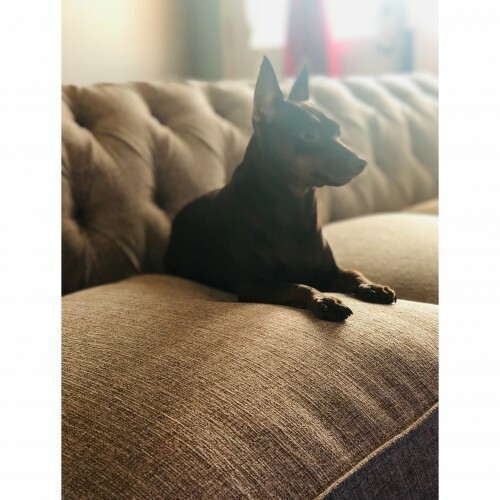 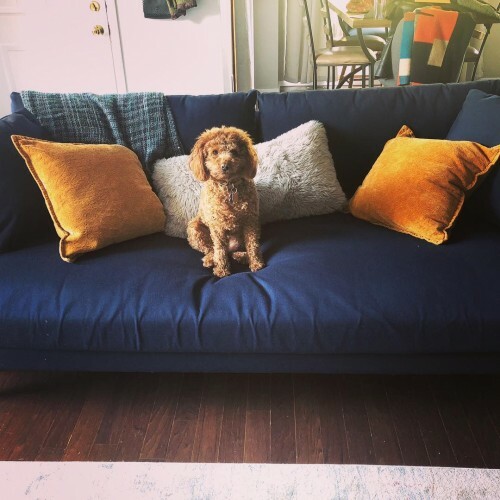 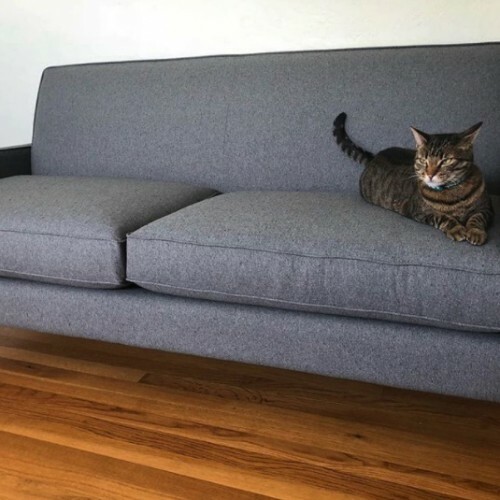 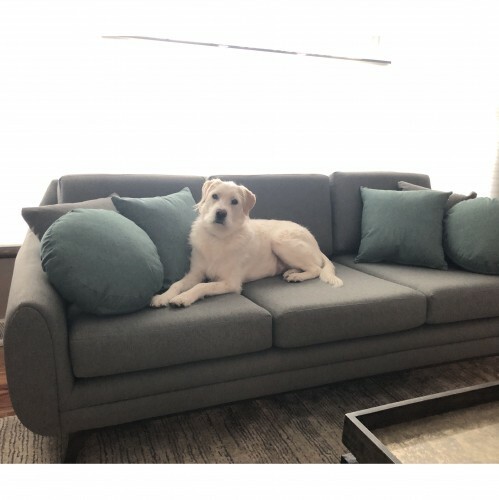 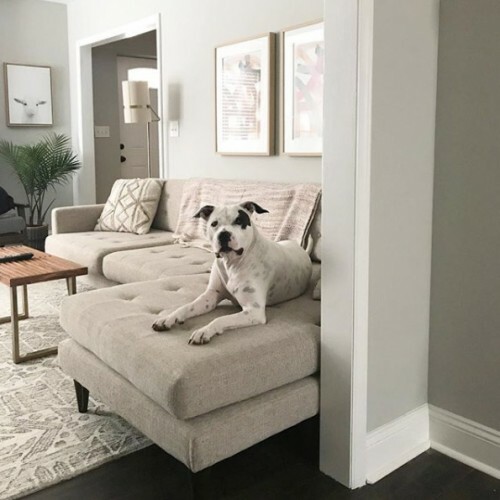 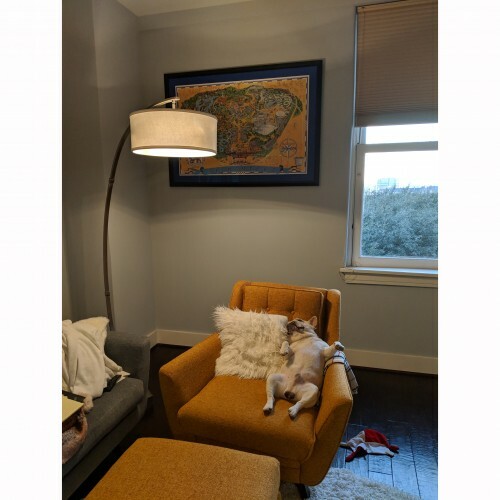 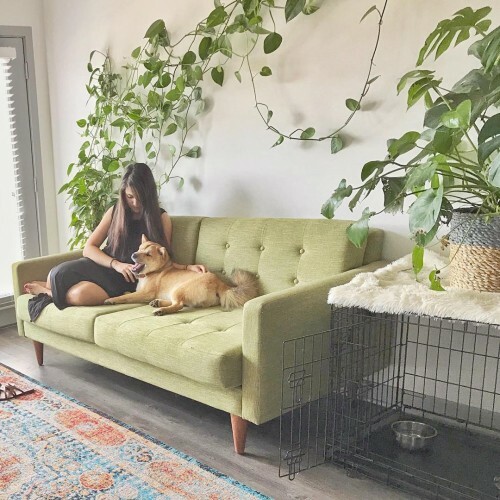 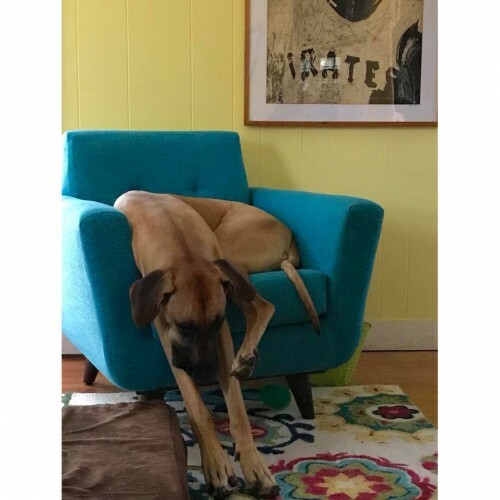 That’s why we created a huge selection custom kid-friendly and pet-friendly furniture options that are hard-wearing, easy-to-clean fabrics and as stunning as they are strong. 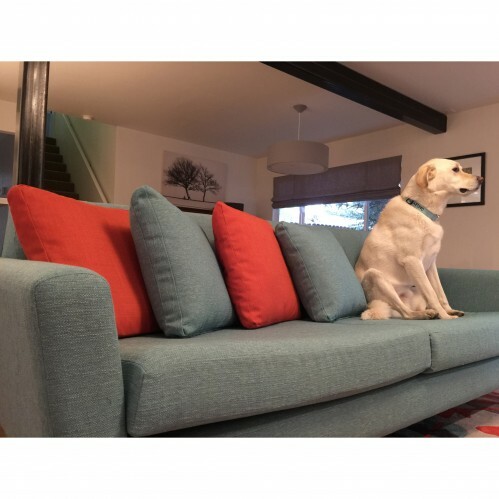 Although we’re quite proud of the durability of all our upholstery, we have some standouts that are especially resilient. 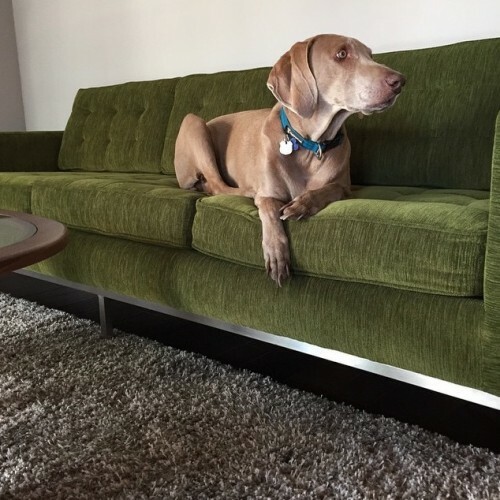 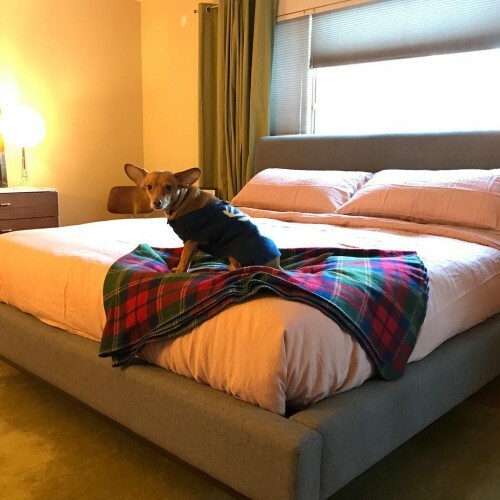 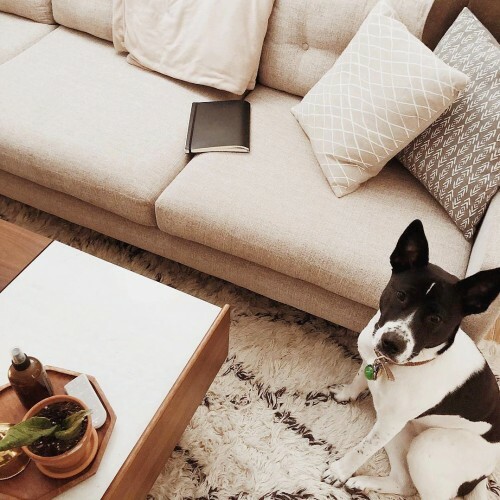 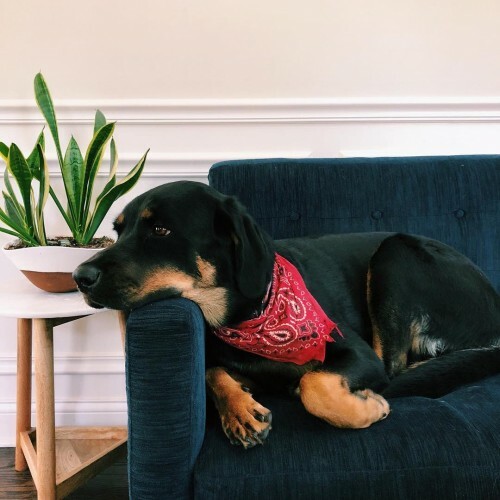 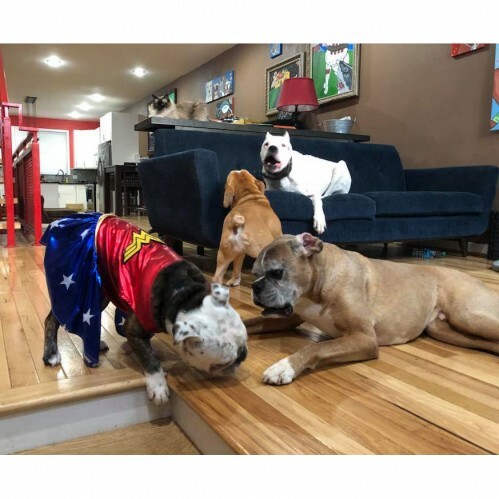 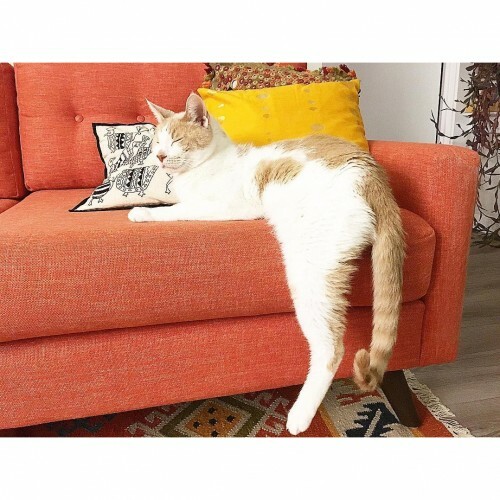 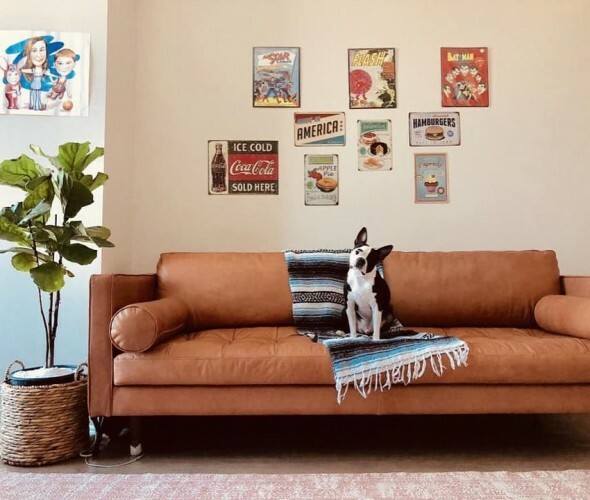 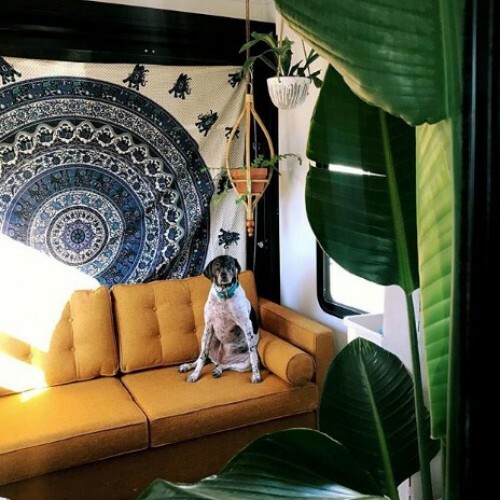 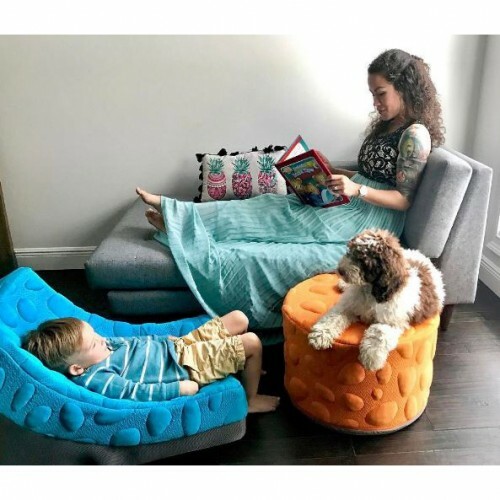 Designed for the most active of homes, these pet and kid-friendly fabrics don’t flinch at the sight of crumbs, fur, spills and stains. 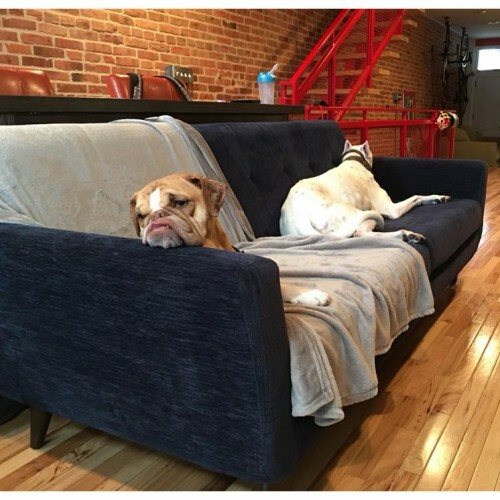 However, don’t let that toughness fool you. 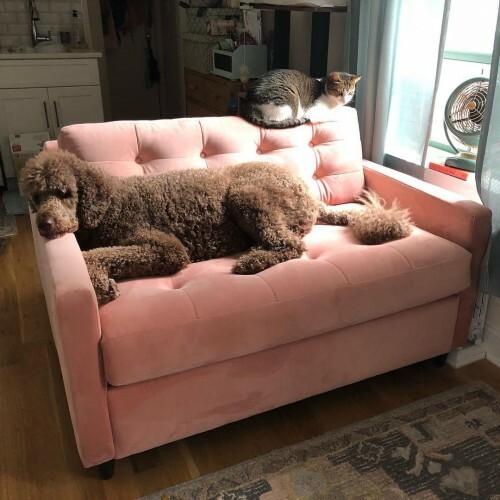 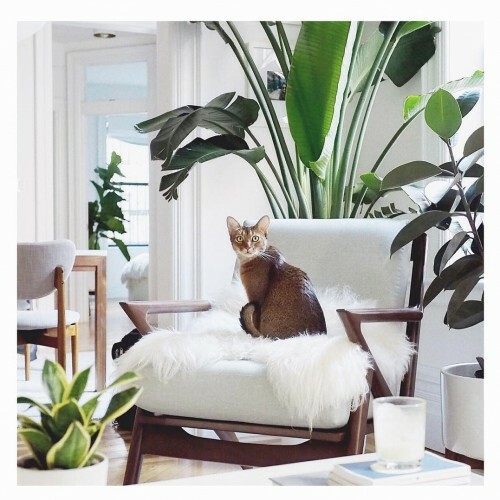 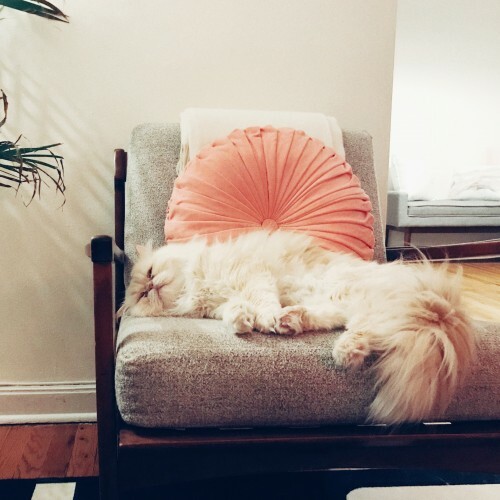 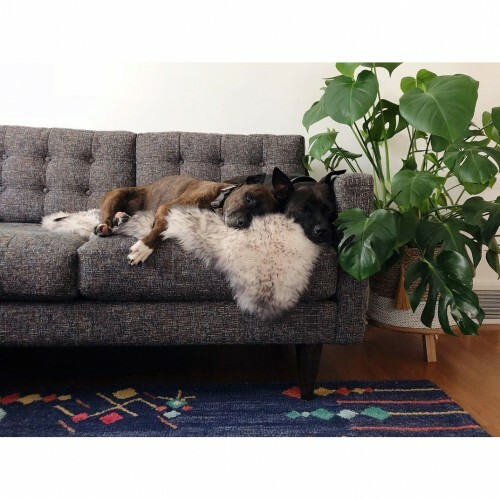 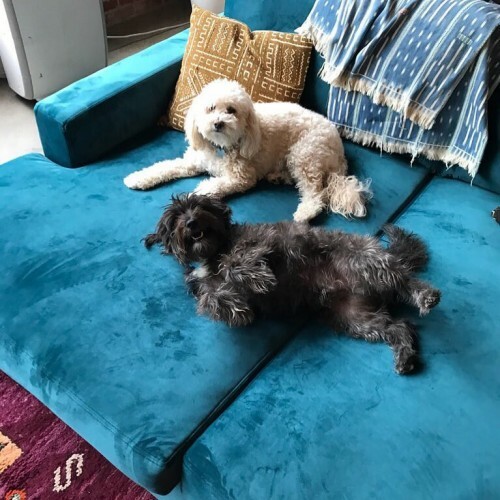 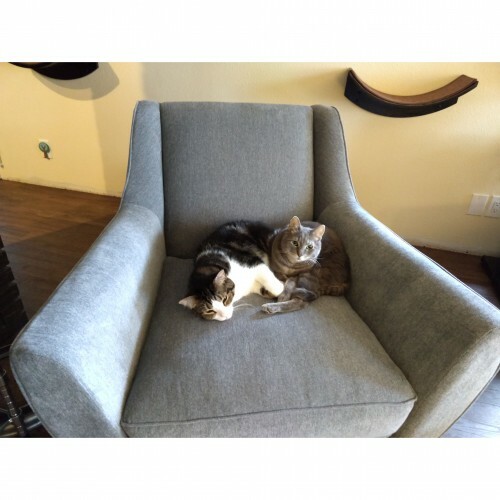 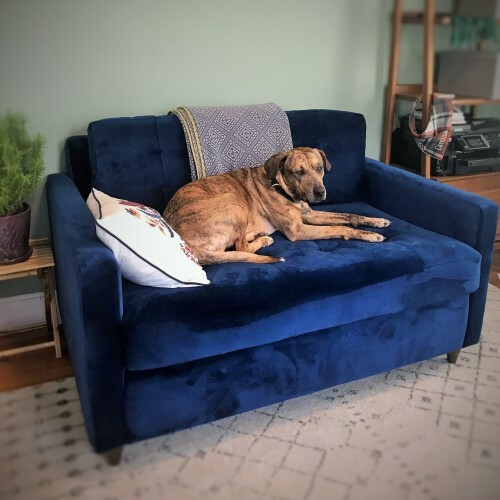 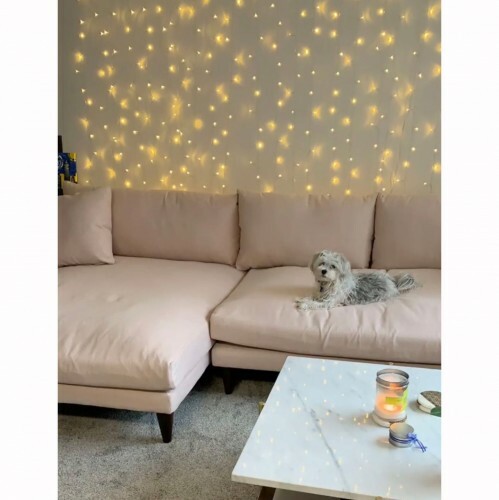 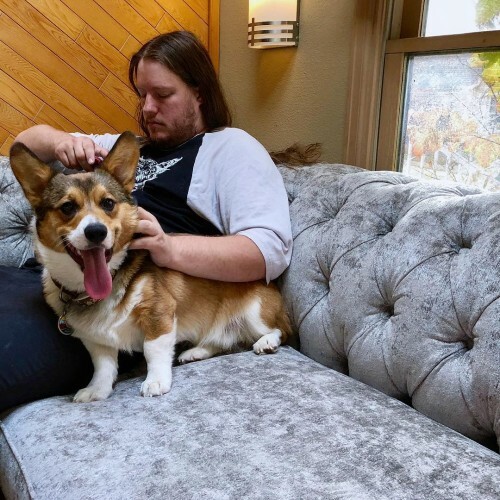 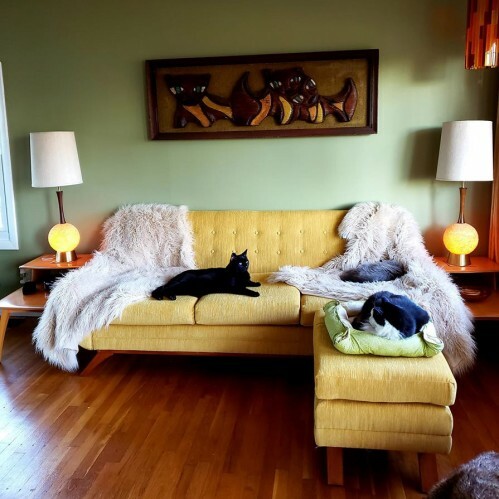 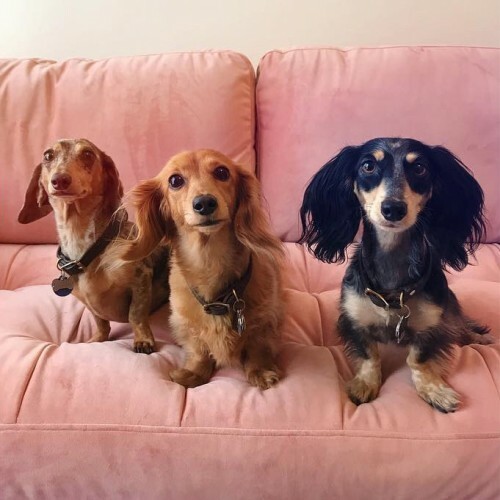 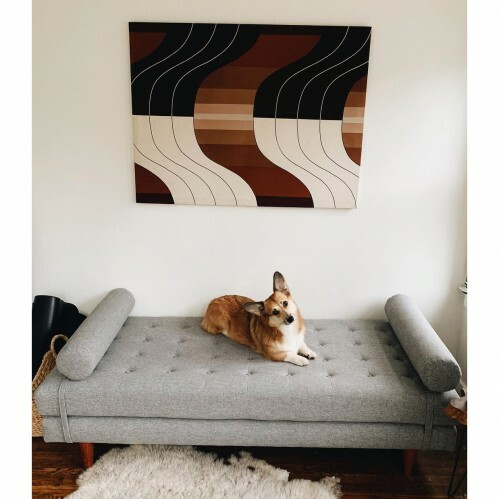 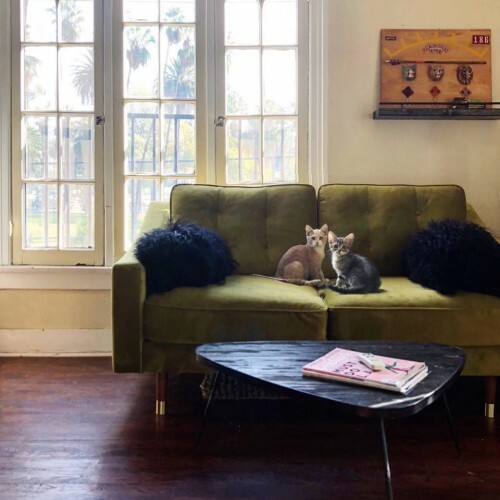 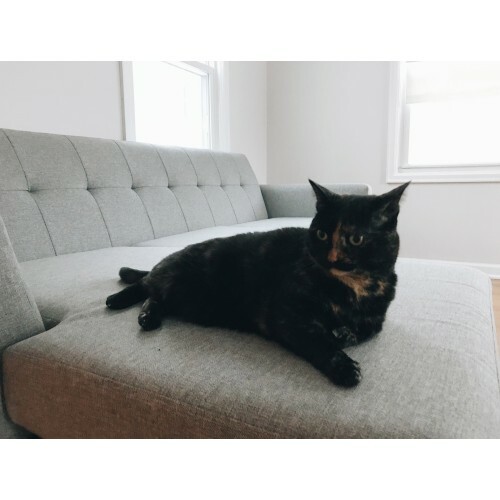 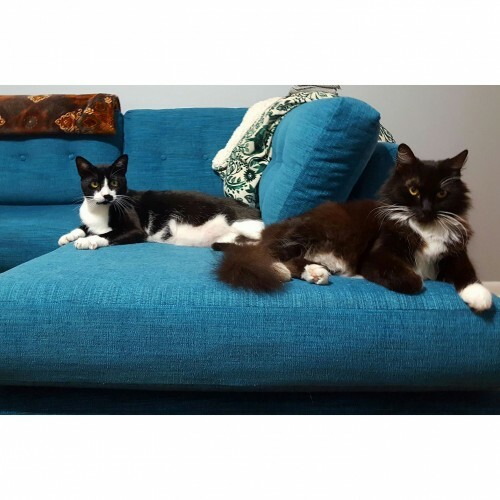 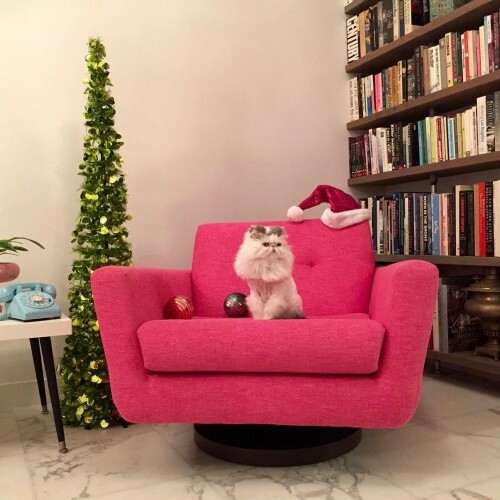 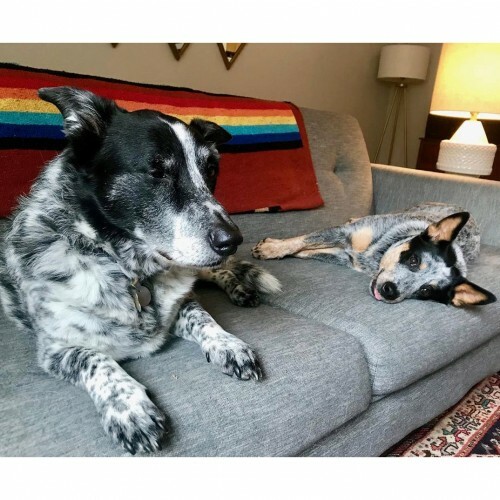 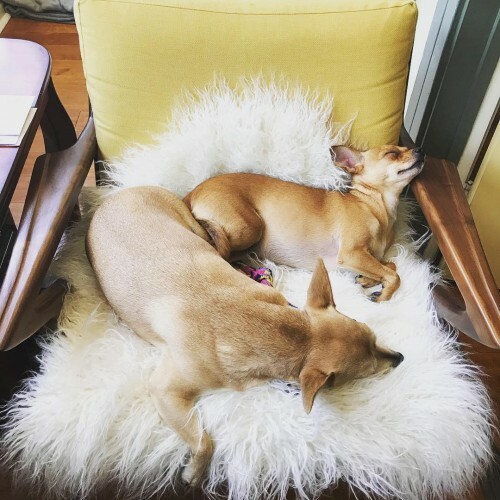 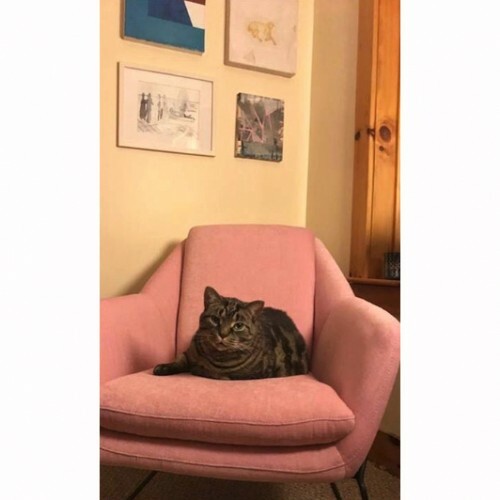 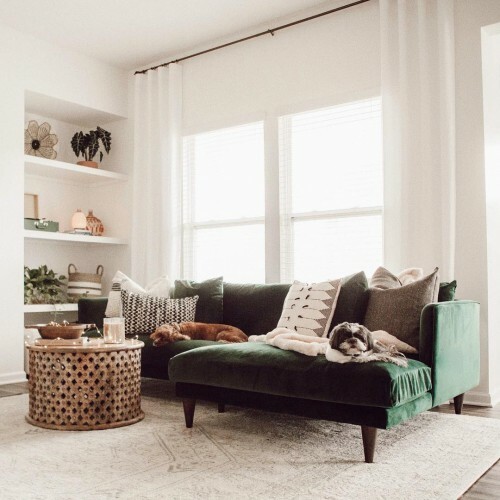 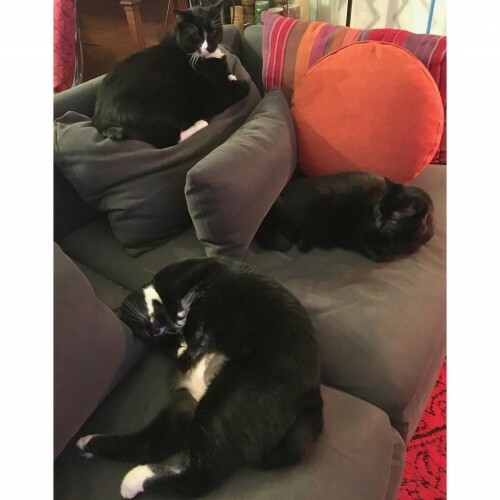 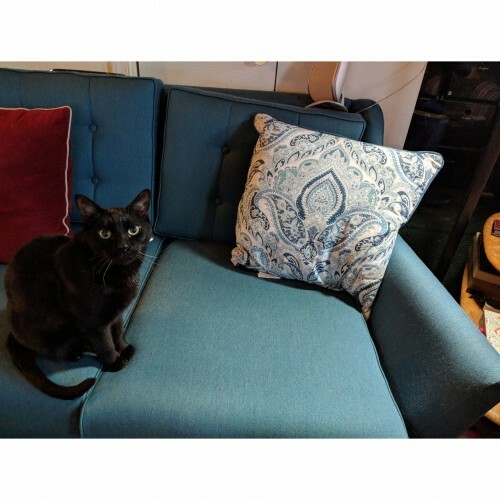 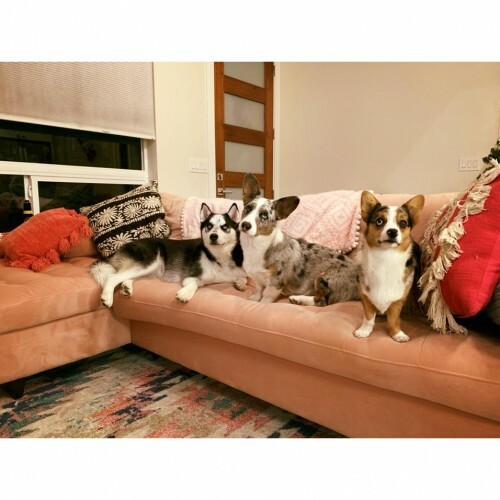 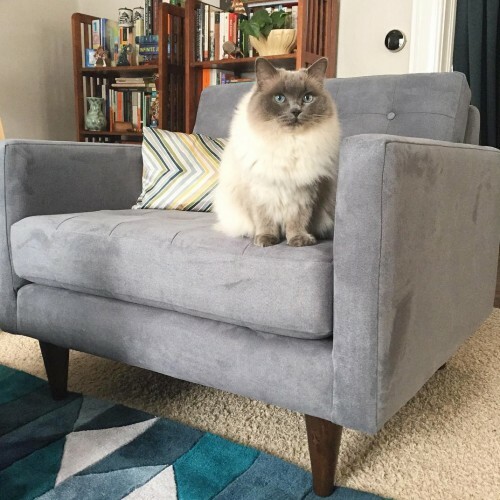 They’re still the soft, cozy upholstery your shedding pets, sticky children, and clutziest houseguests deserve to lounge on. 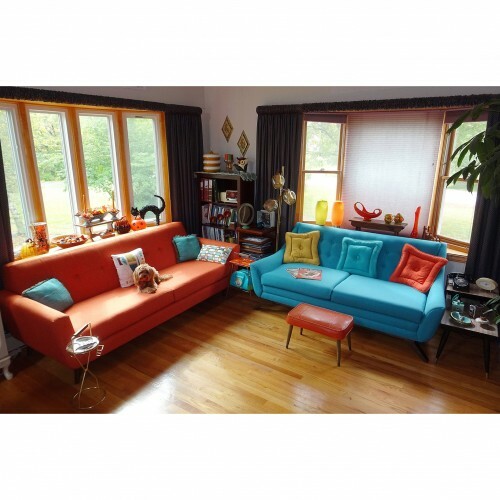 And, we offer them in an array of colors to match your wildest decorating ideas. 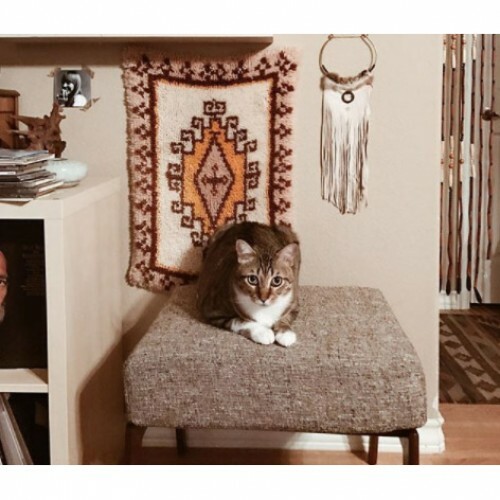 So, go ahead and get creative. 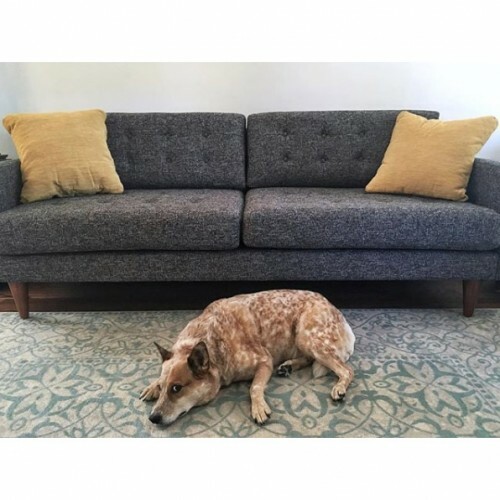 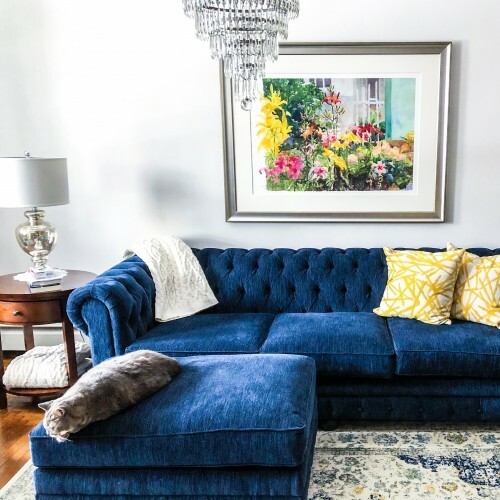 While we have yet to create a completely indestructible fabric, these options are your best bet for helping your furniture hold up extraordinarily well under pressure. 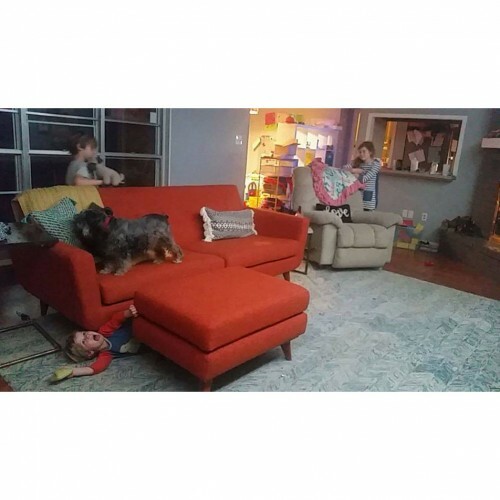 We understand that life gets messy sometimes. 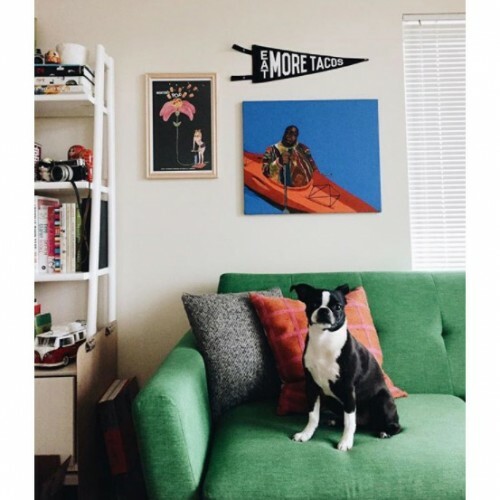 But that doesn’t mean you can’t have nice things. 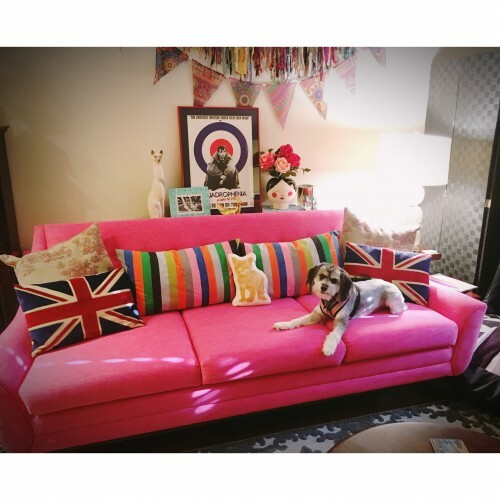 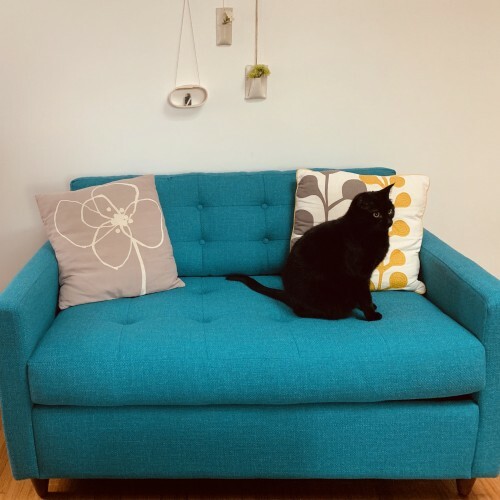 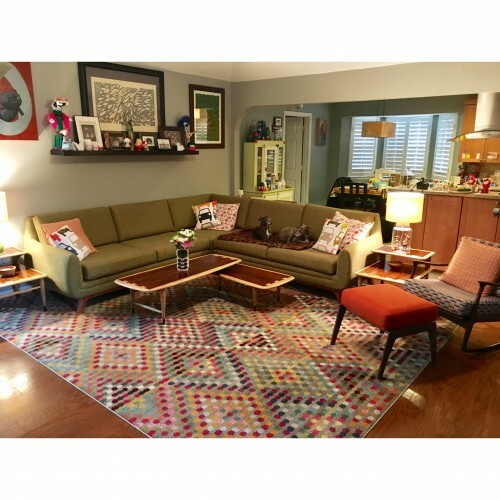 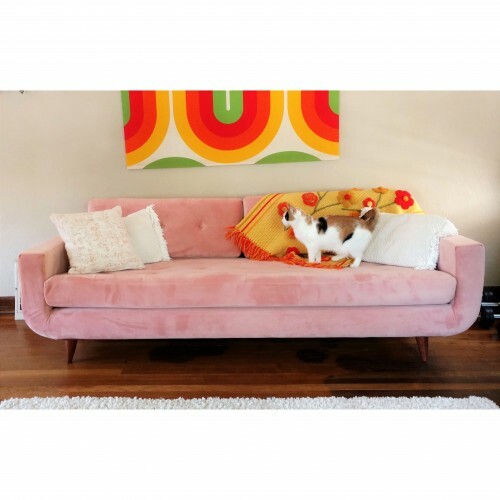 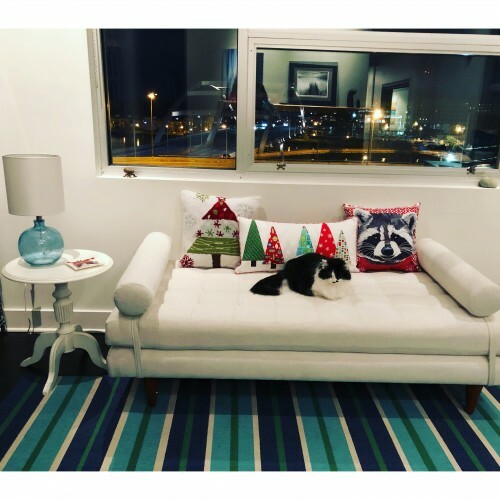 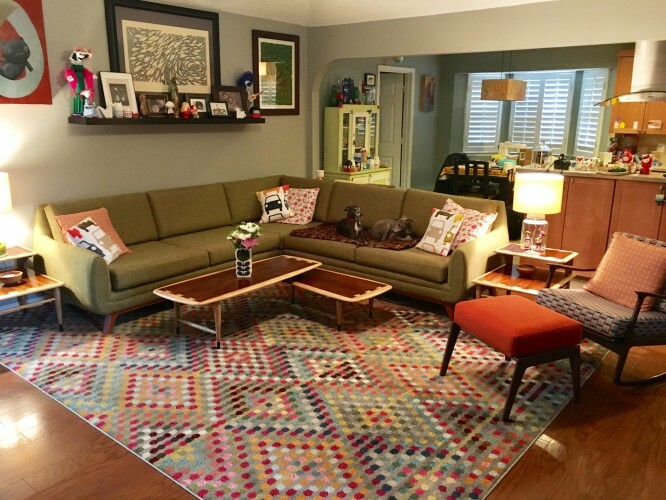 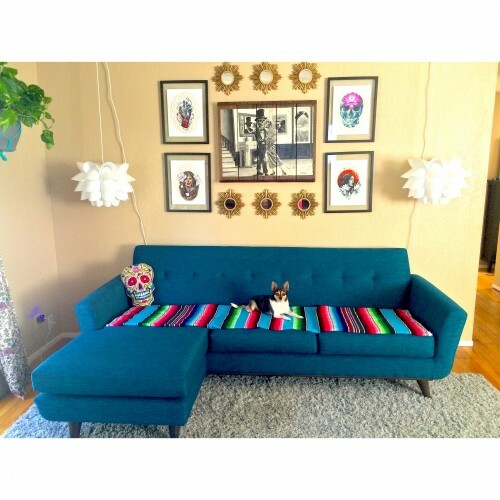 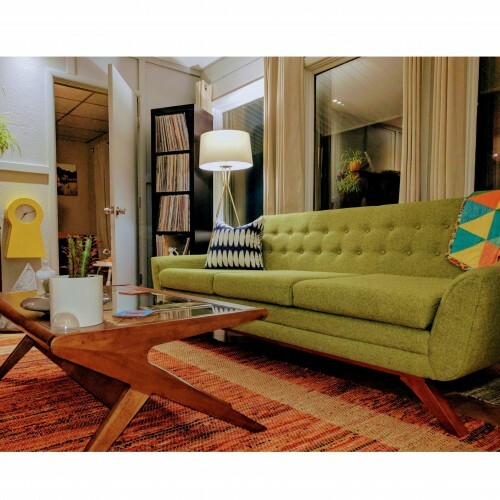 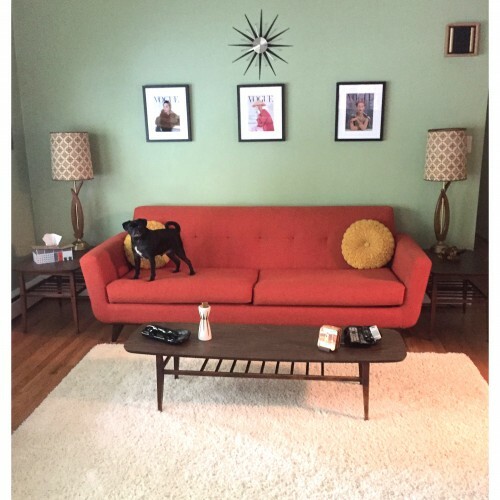 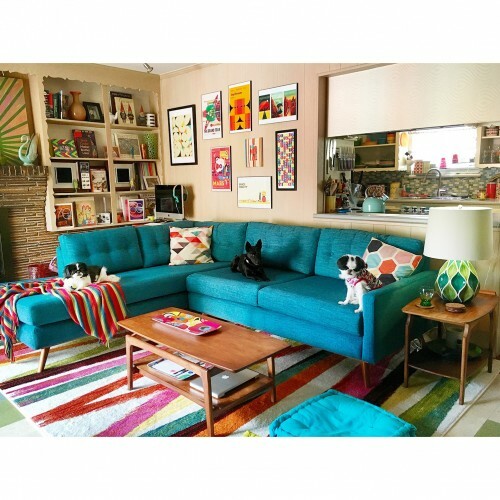 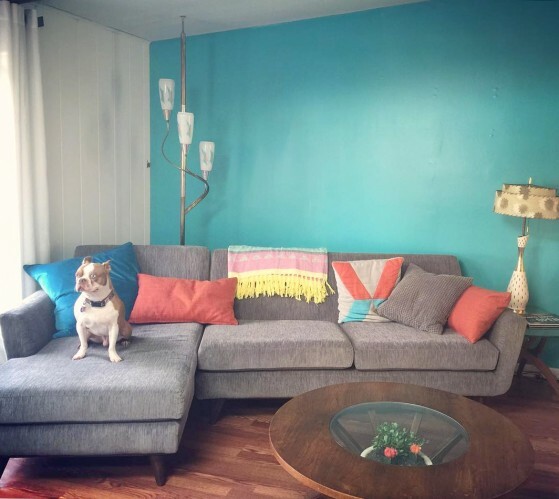 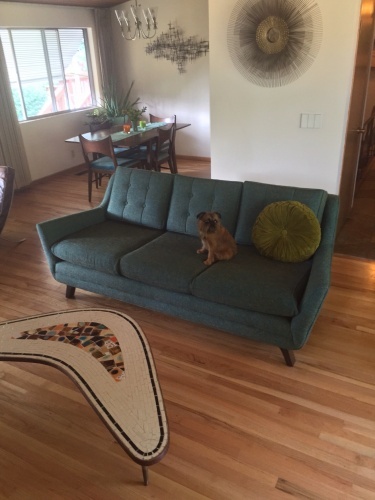 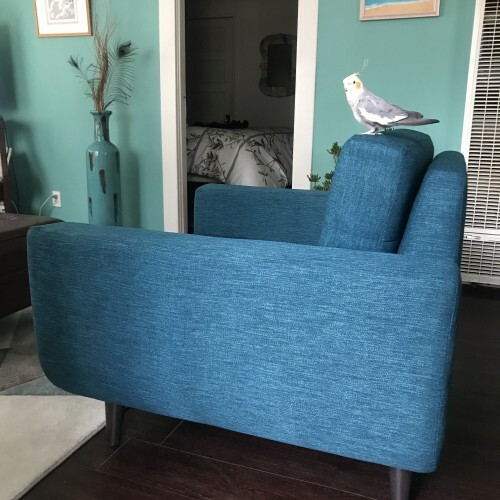 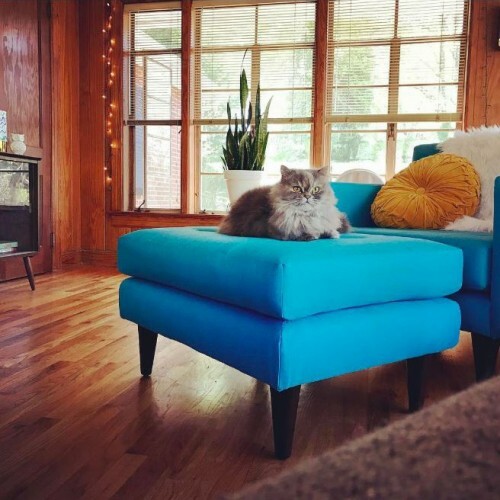 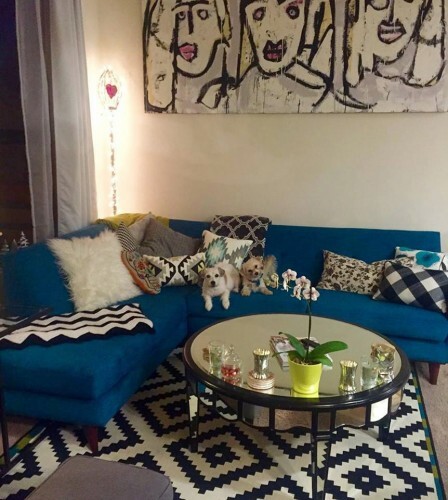 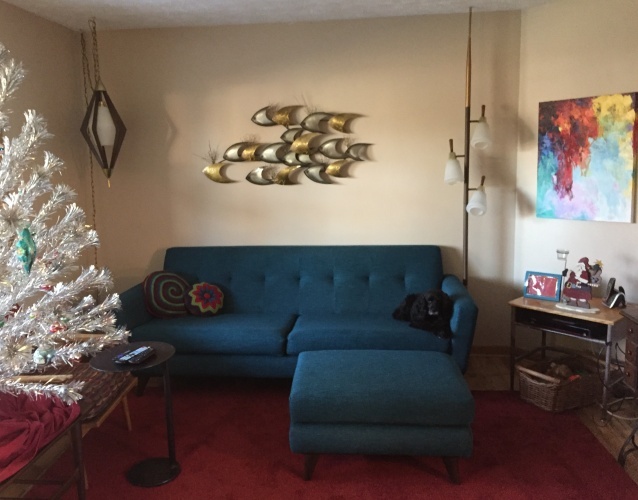 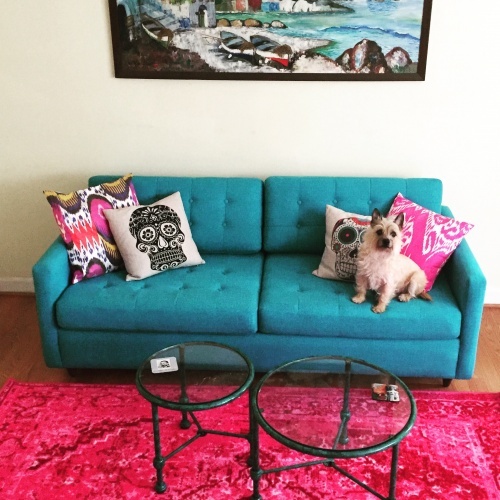 Love love love my Joybird couch! 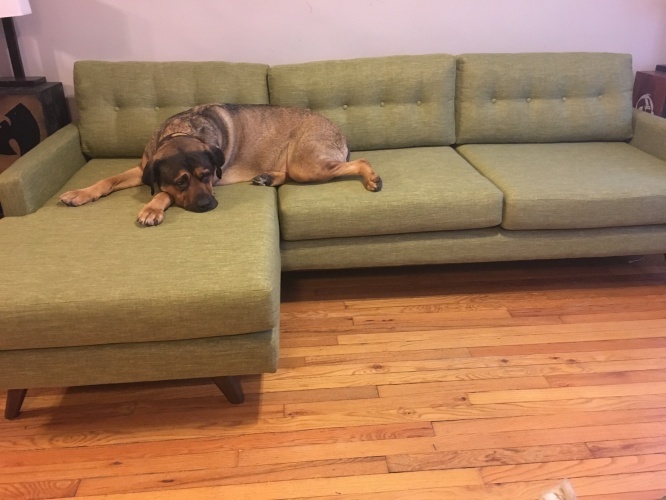 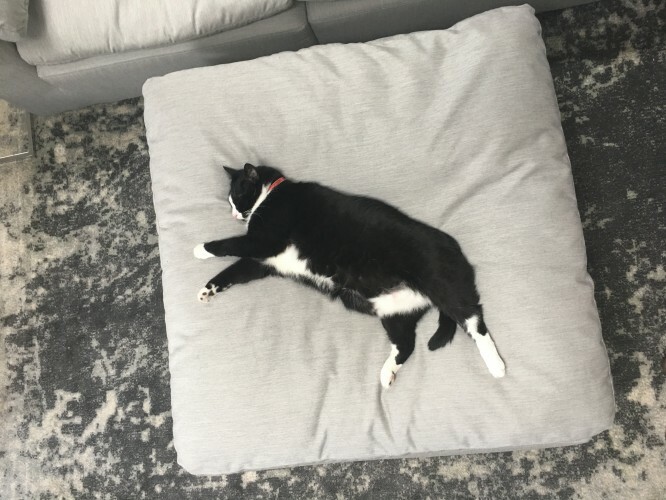 Material is durable, big enough for my giant dog, and comfy. 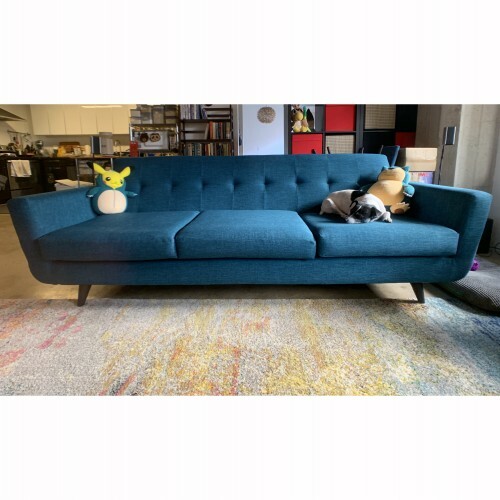 The shipping company in my area had incredibly inconvenient delivery times, but Joybird uses a third party so just be ready to negotiate less than convenient delivery. 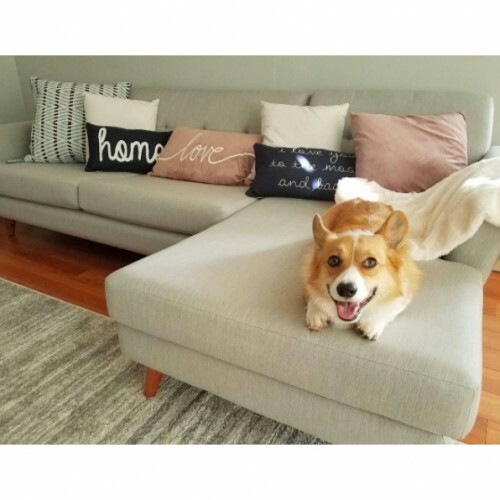 Worth it though! 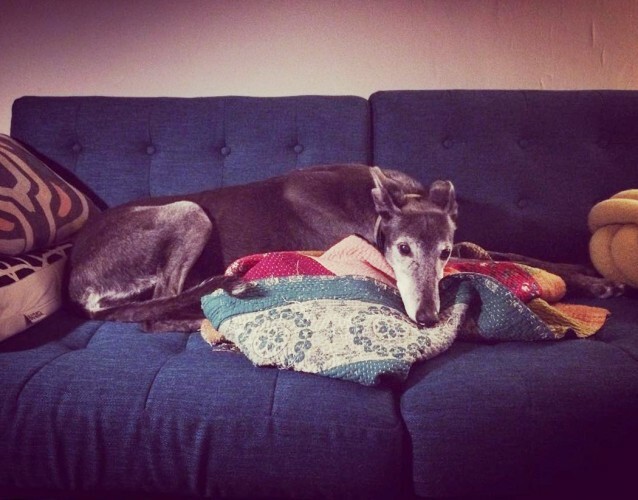 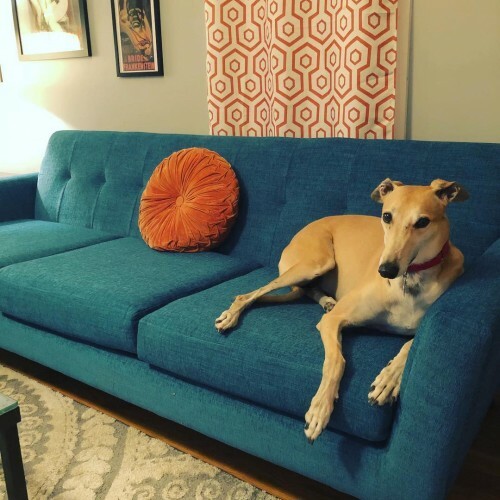 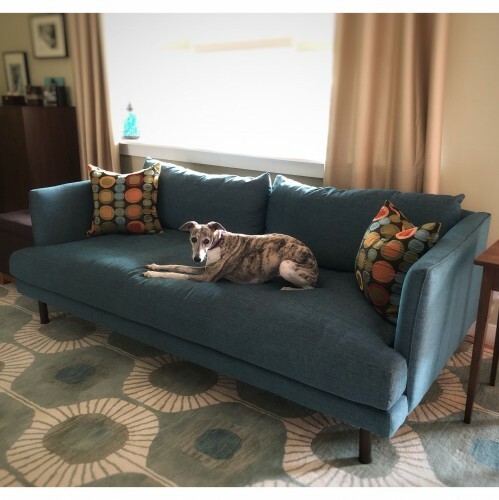 Joise the whippet LOVES her new sofa. 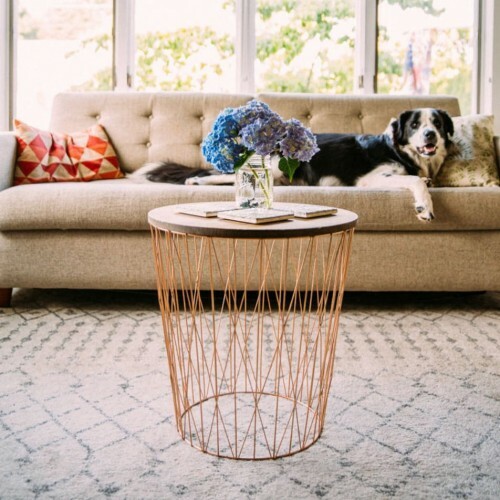 Love the pattern and softness of this rug. 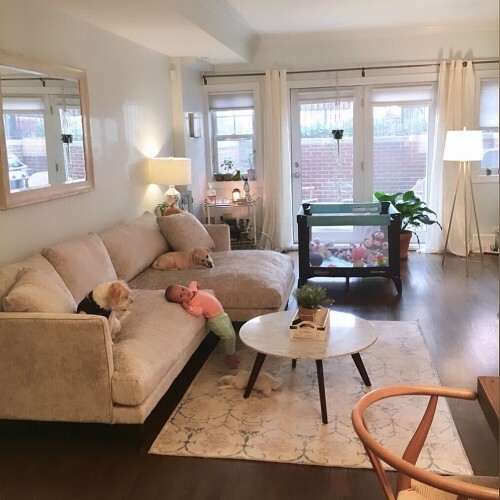 Fits the room well and good for our baby to play on. 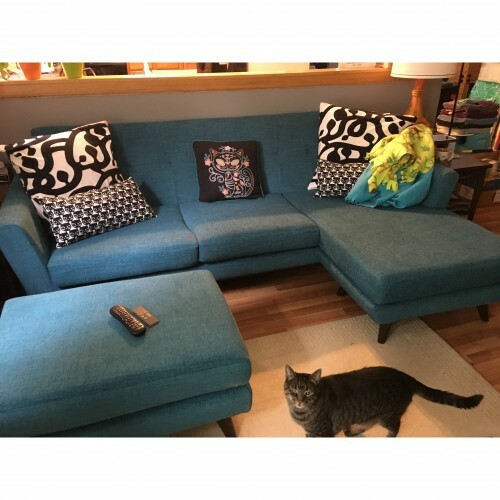 Absolutely love my new Joybird Anton U-Bumper Sectional. 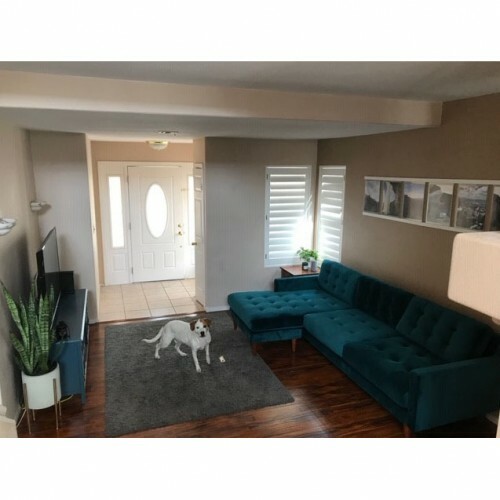 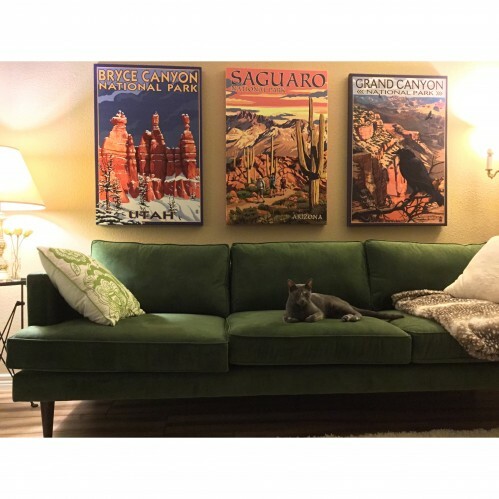 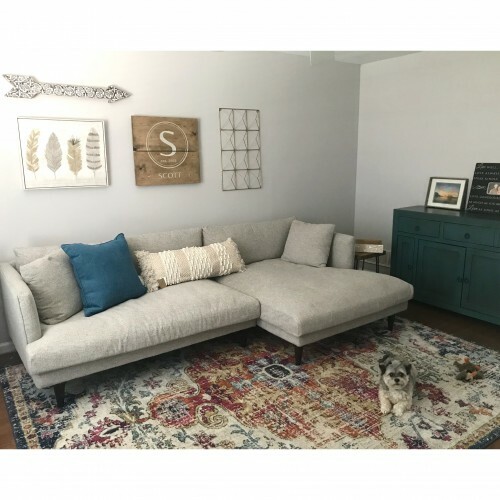 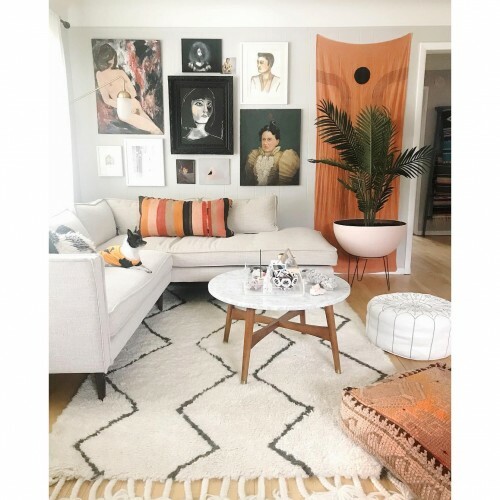 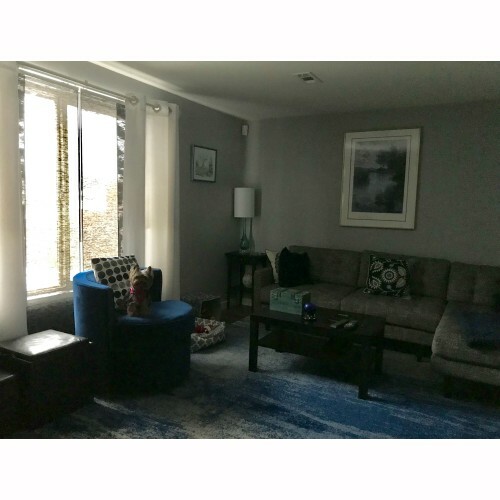 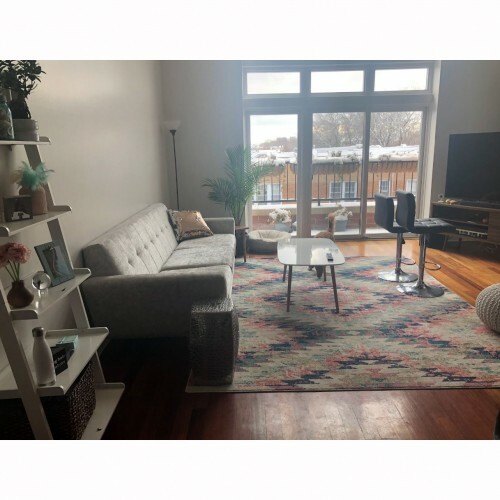 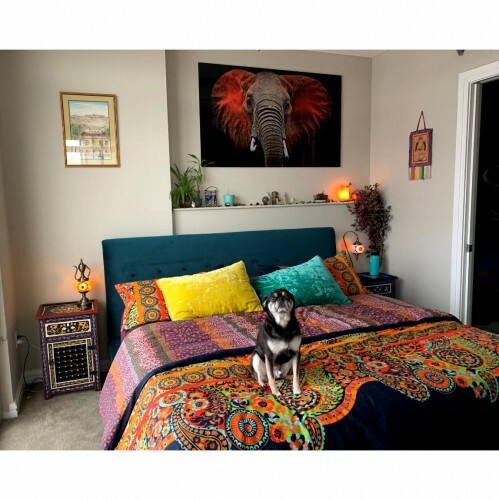 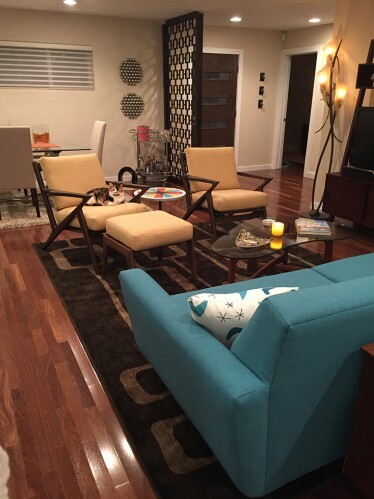 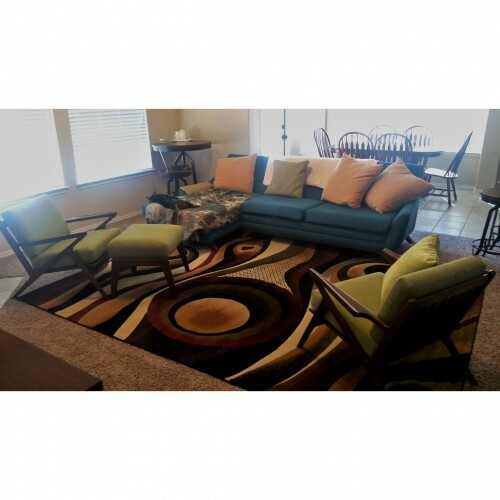 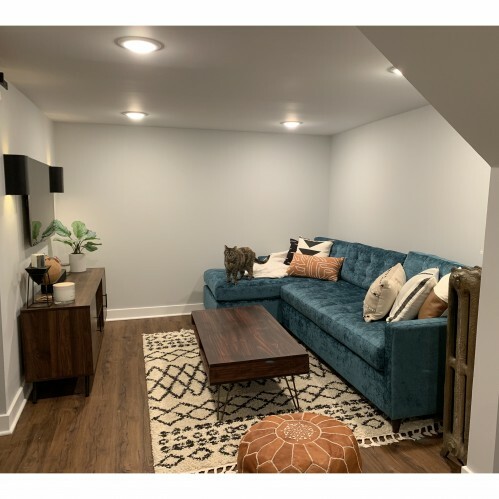 It fits the space perfectly and adds a fresh new vibe to the room. 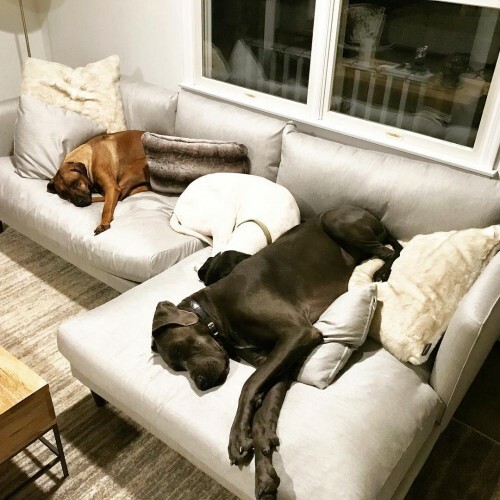 The dogs and hubby love it too. 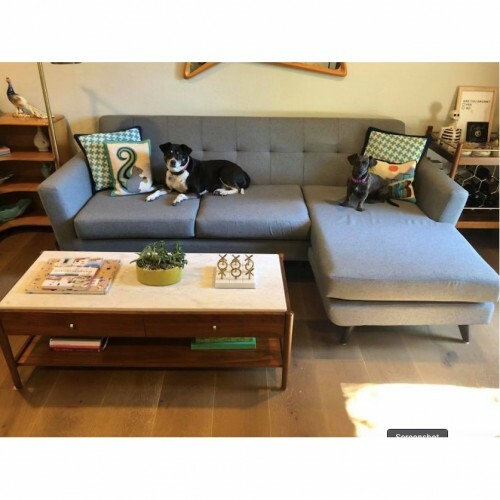 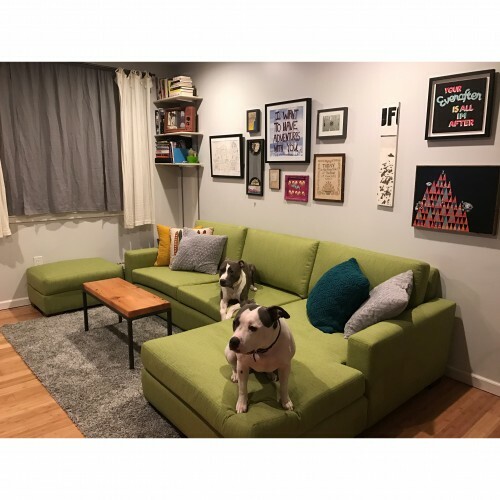 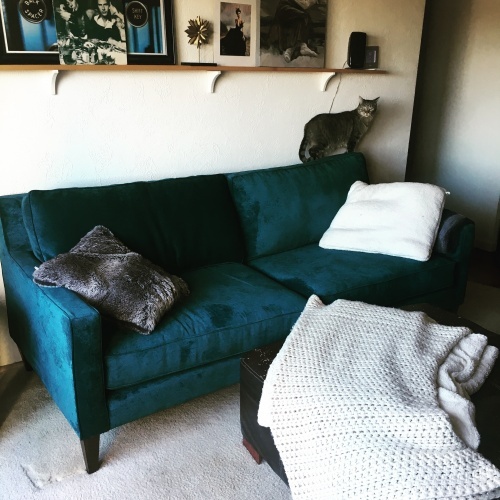 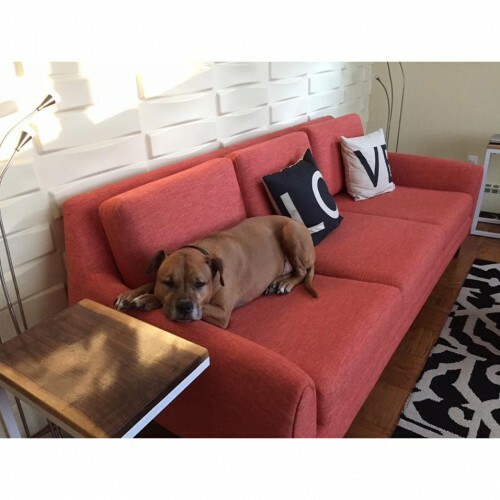 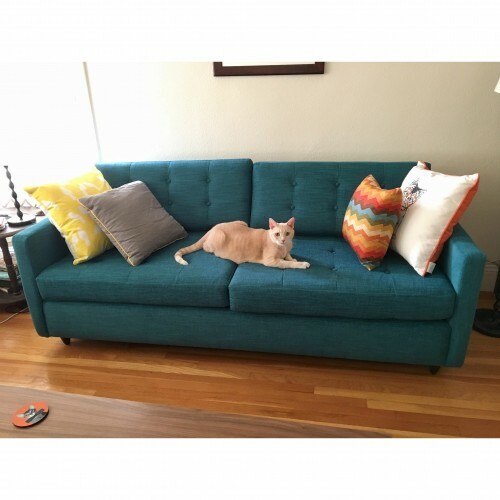 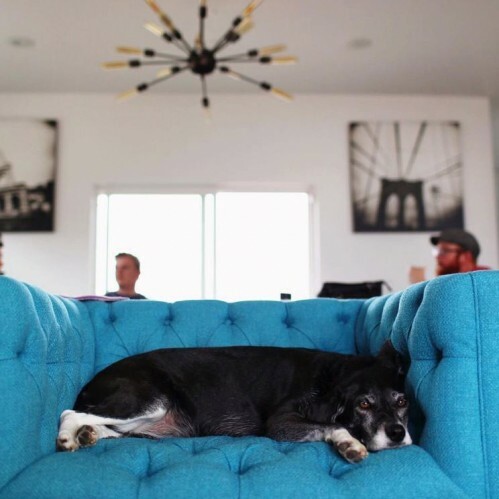 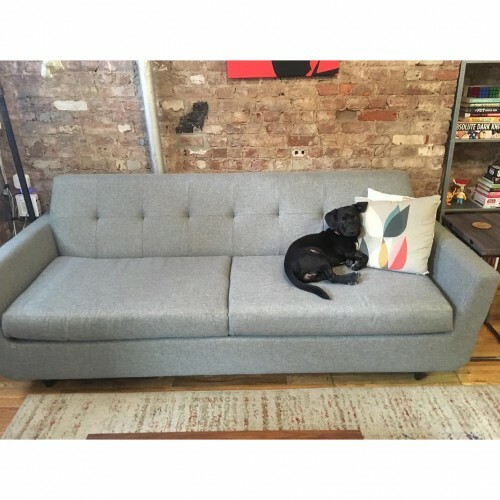 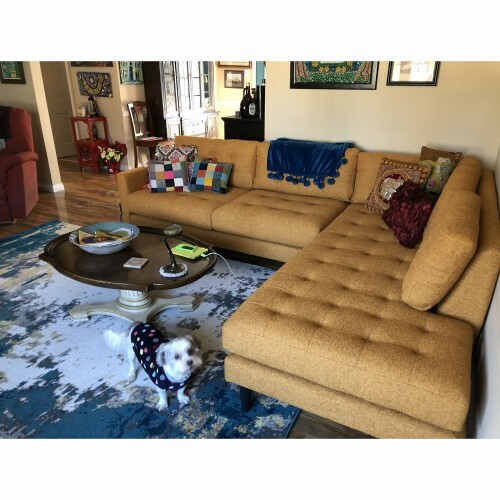 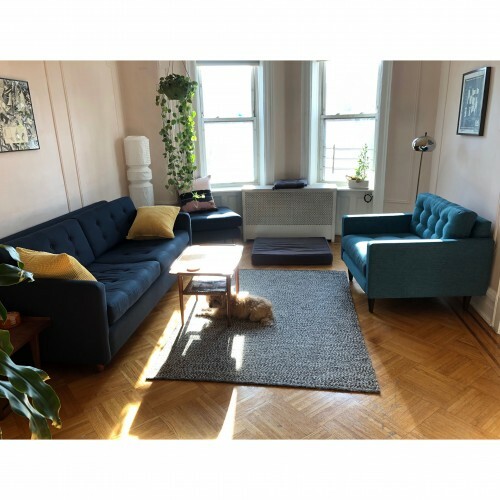 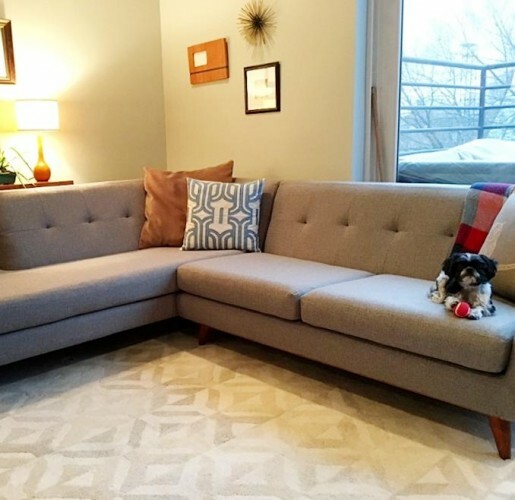 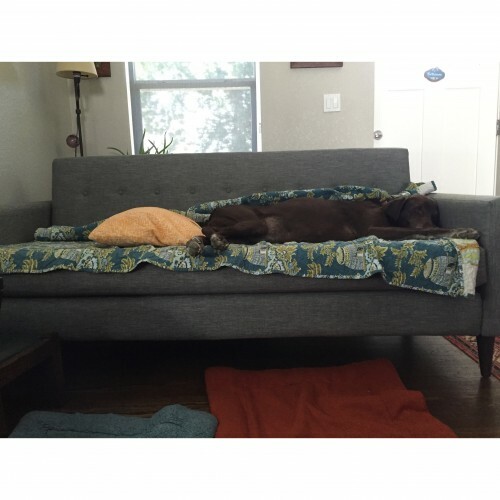 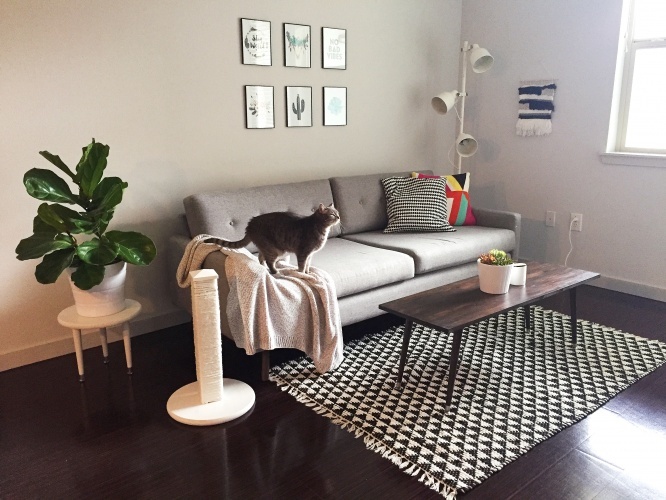 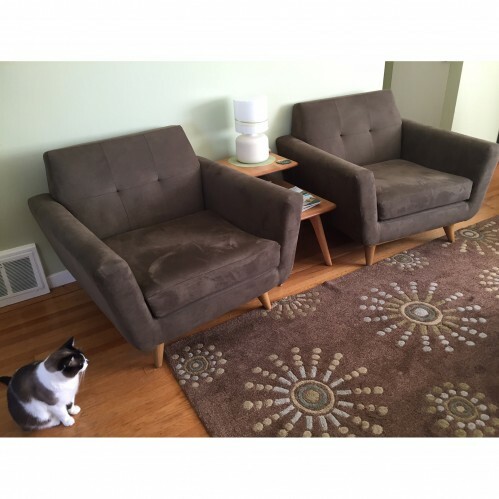 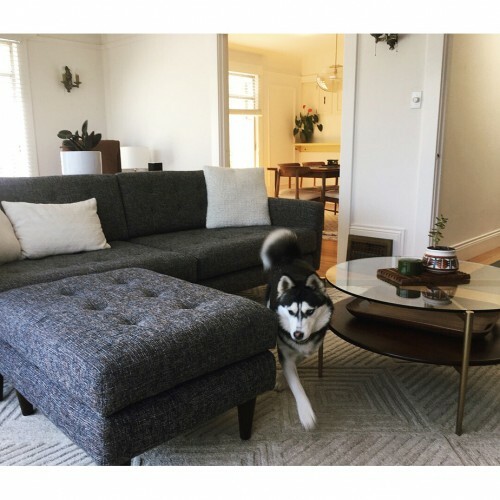 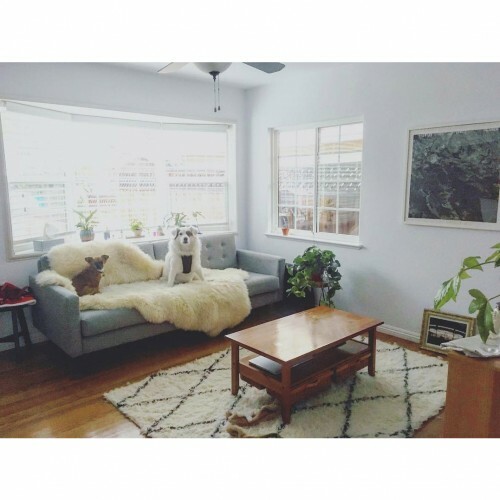 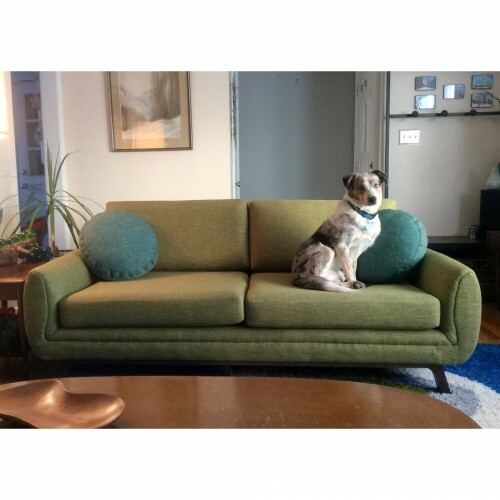 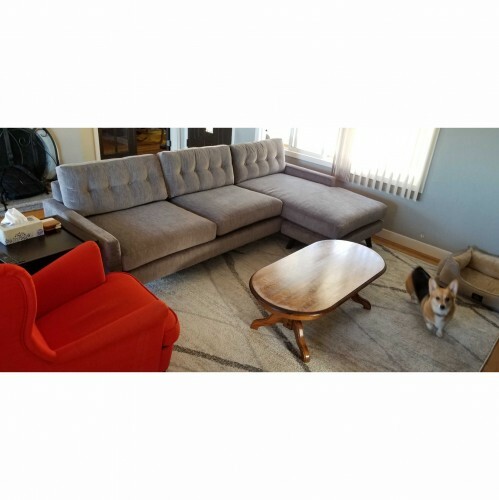 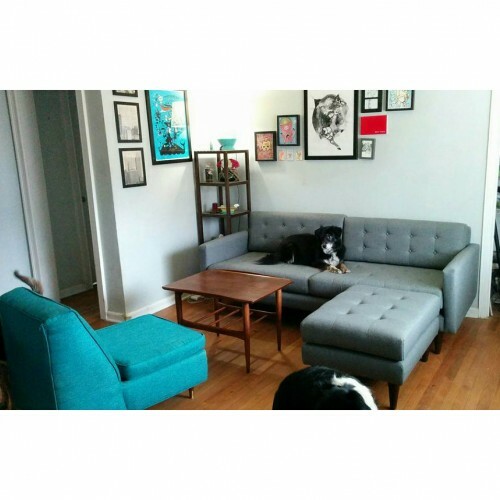 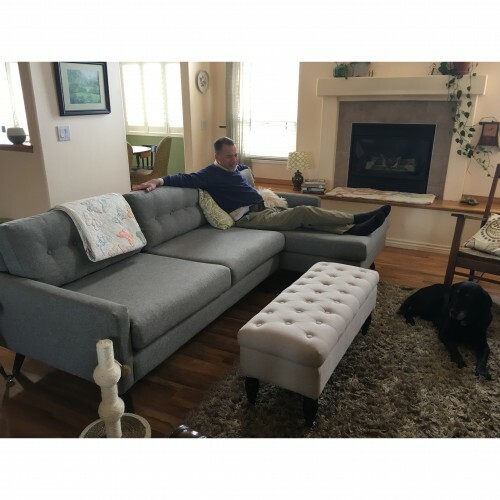 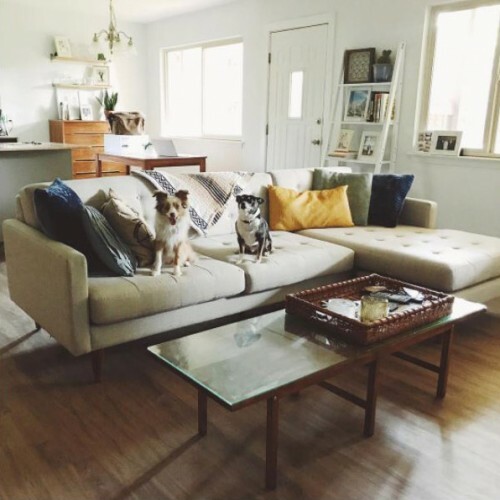 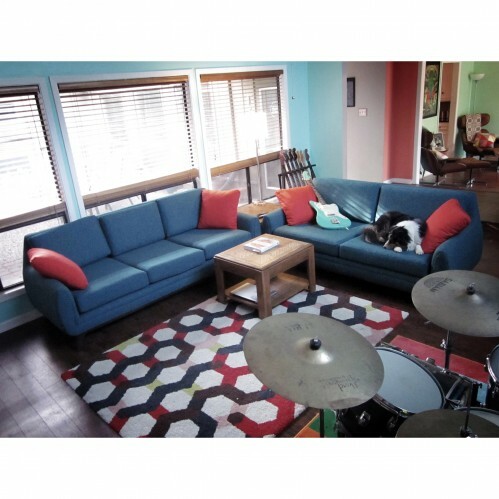 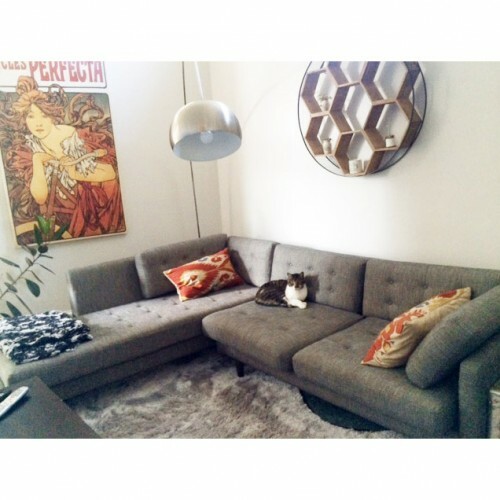 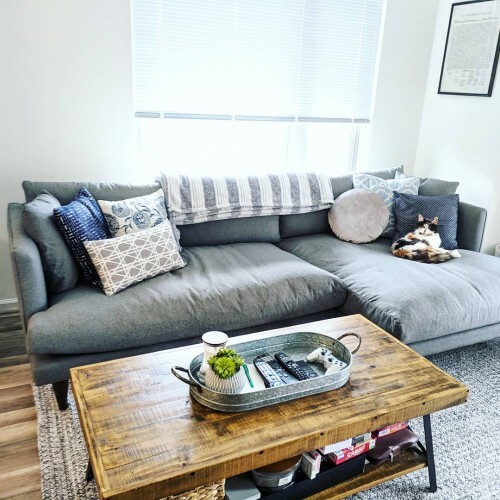 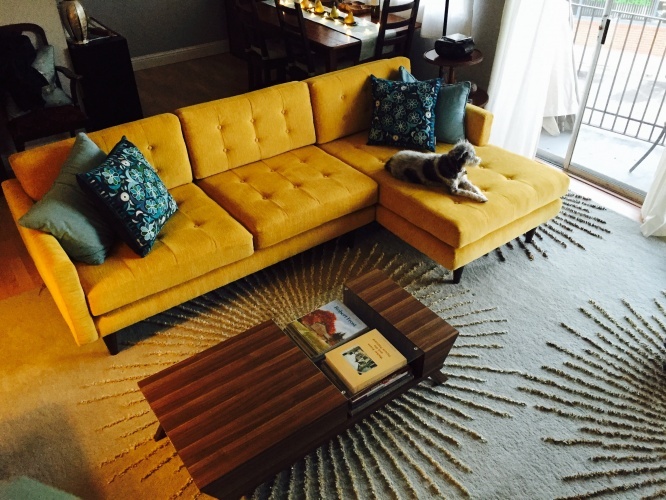 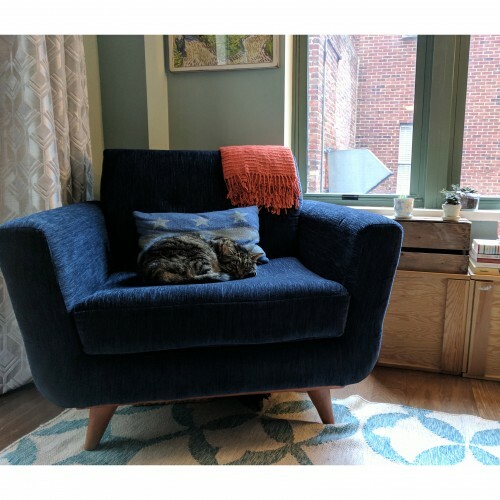 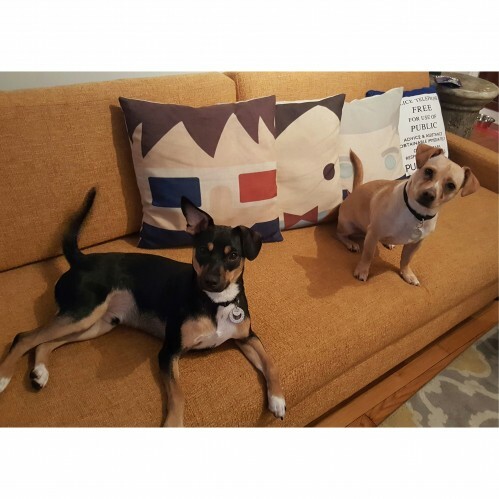 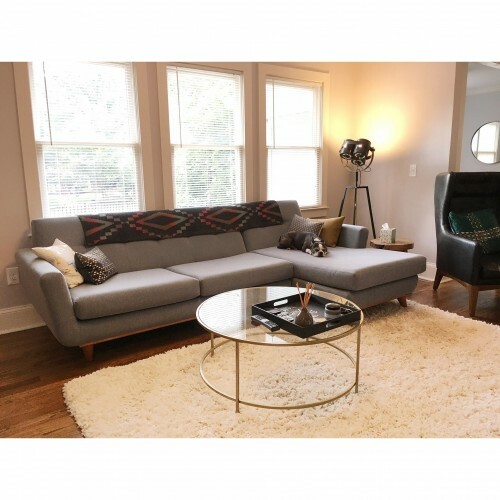 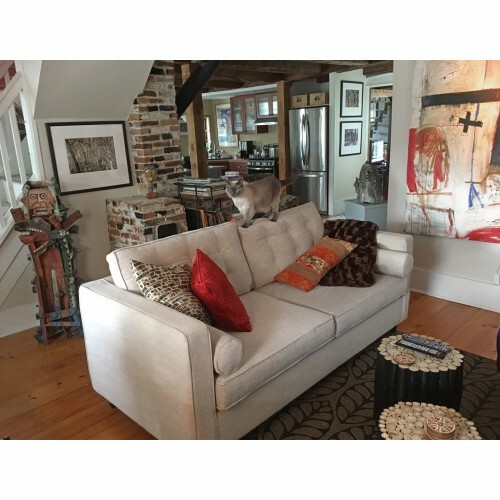 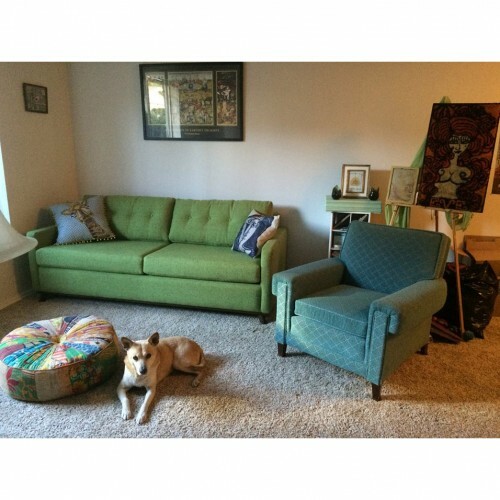 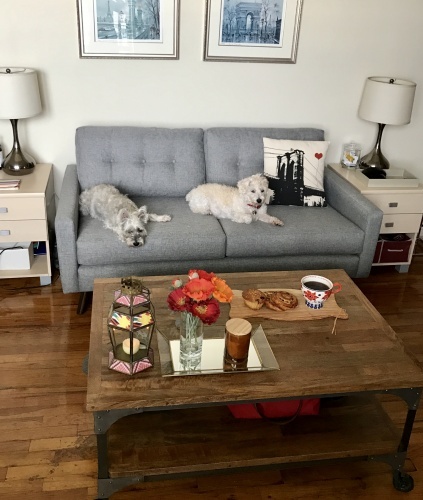 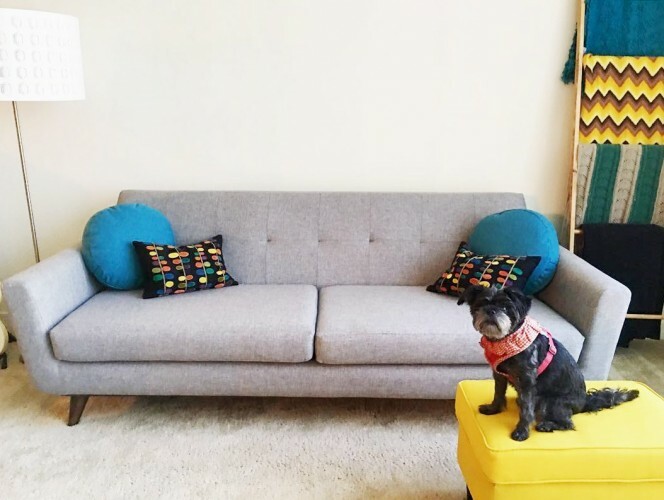 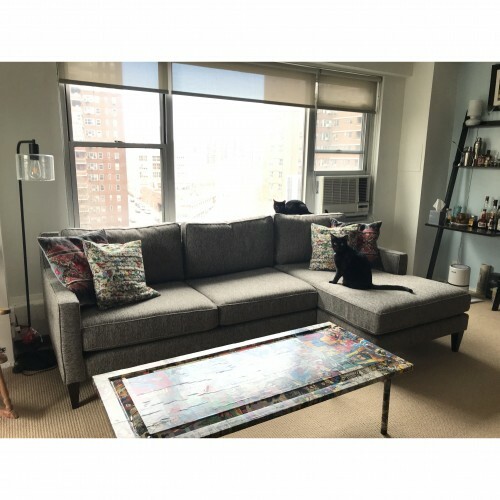 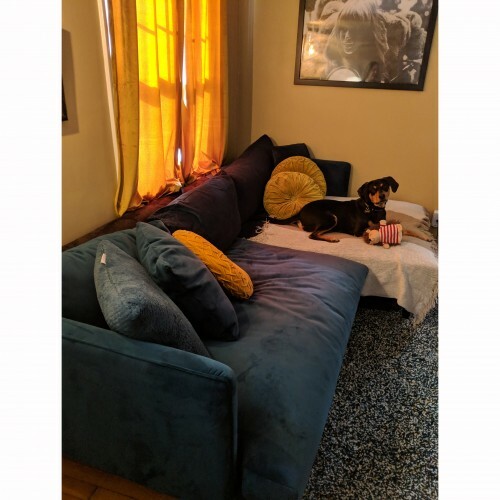 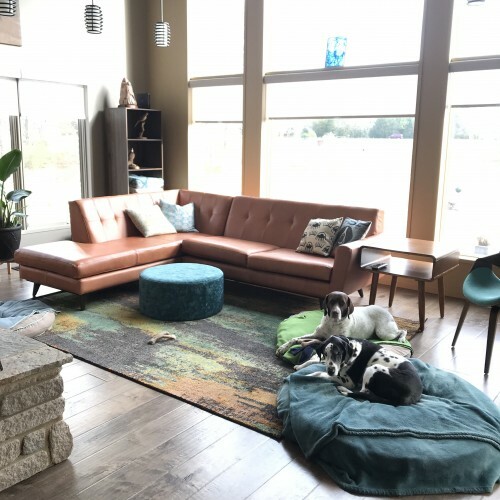 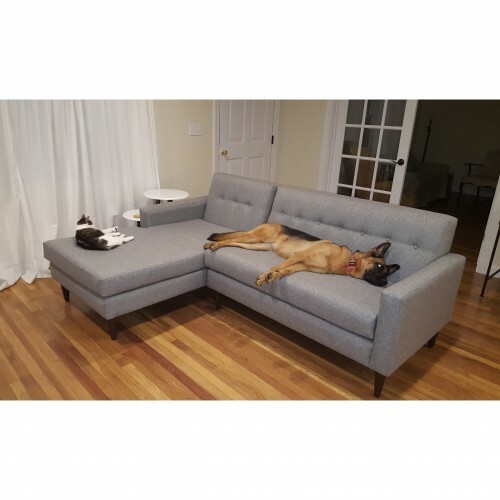 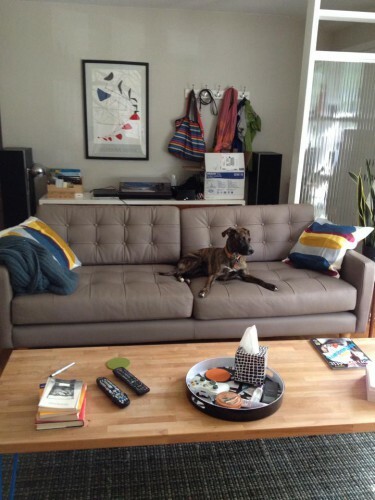 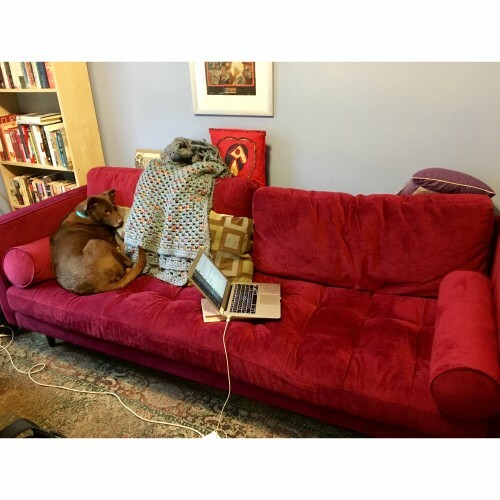 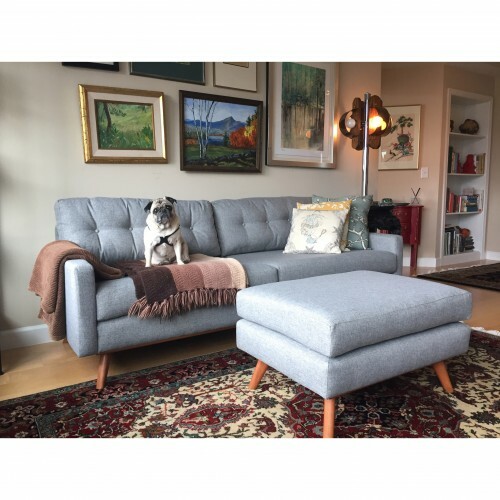 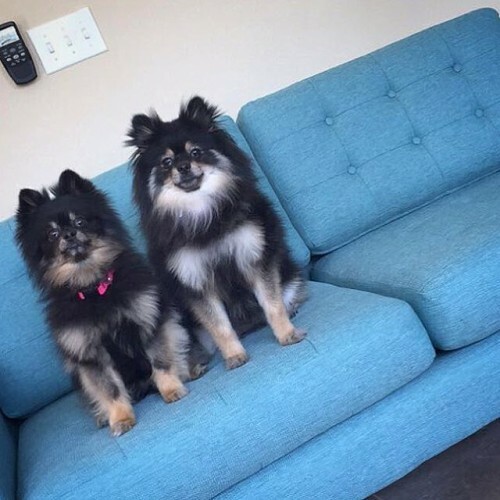 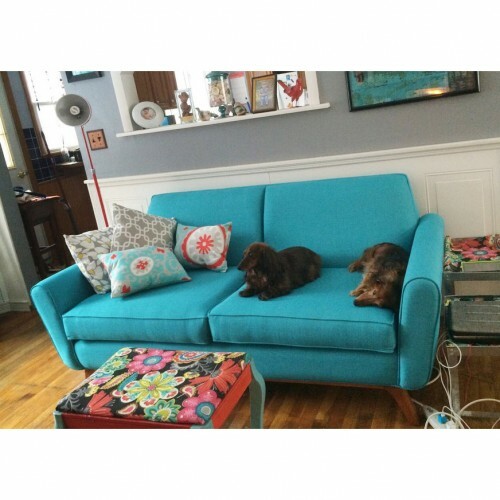 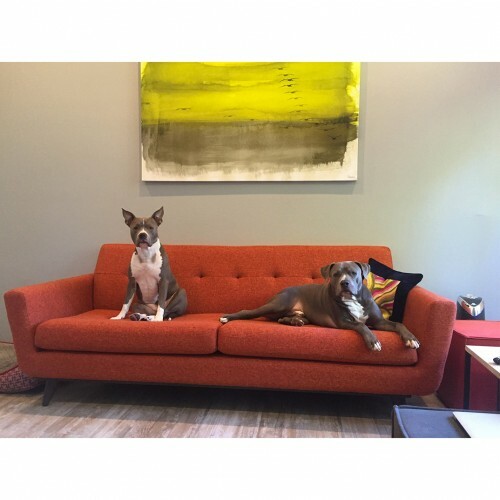 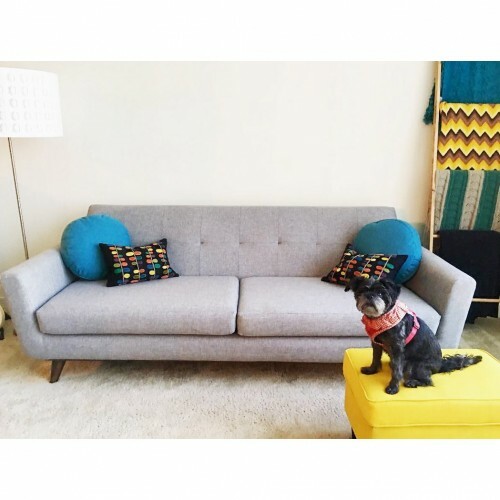 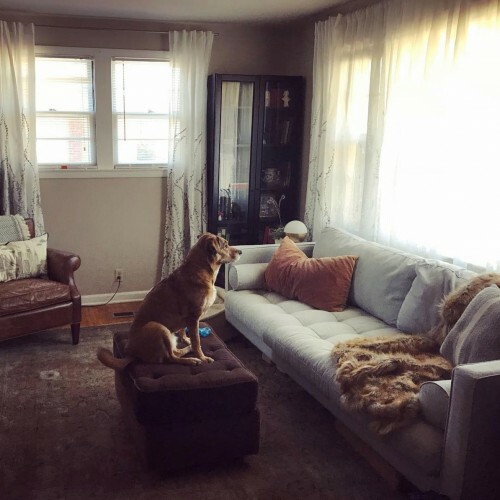 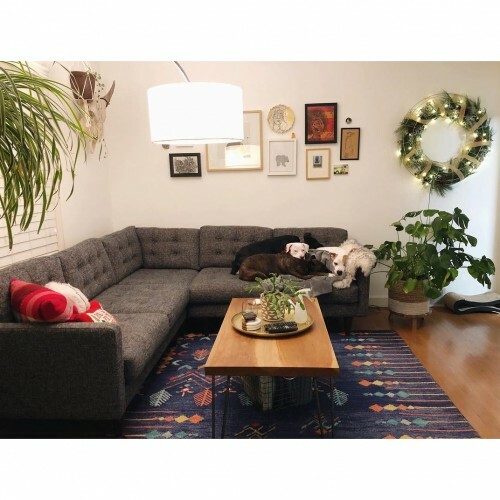 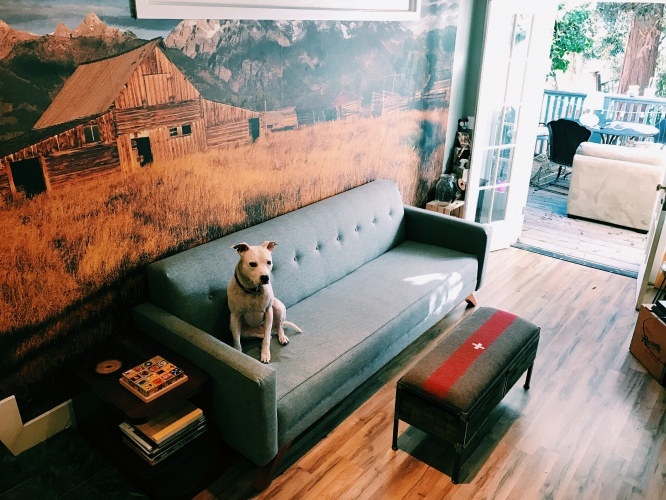 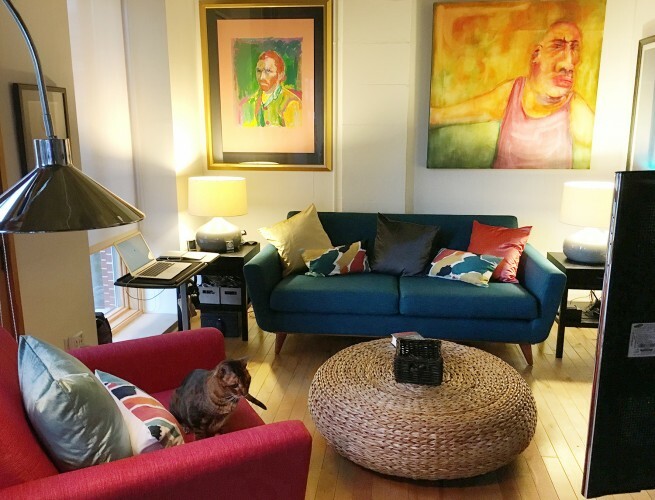 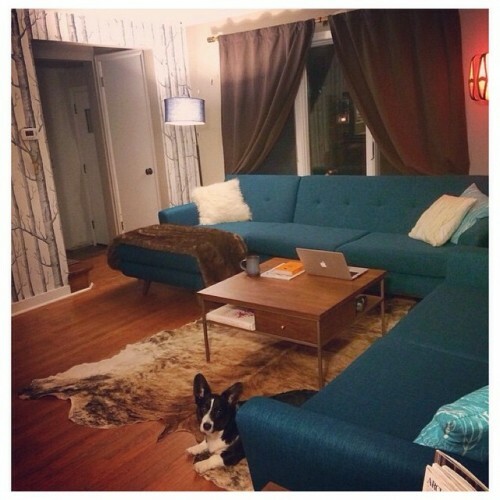 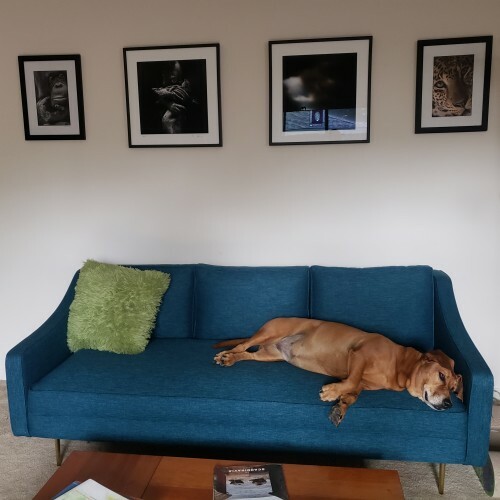 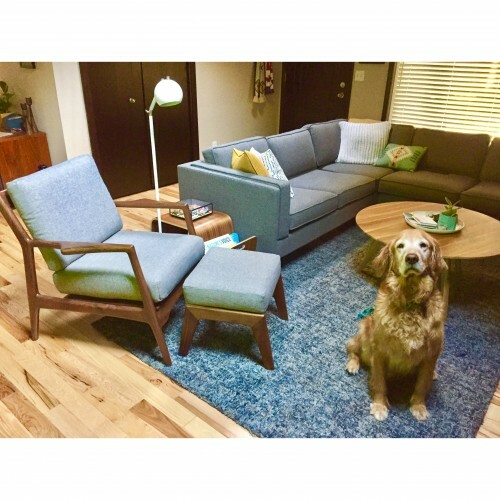 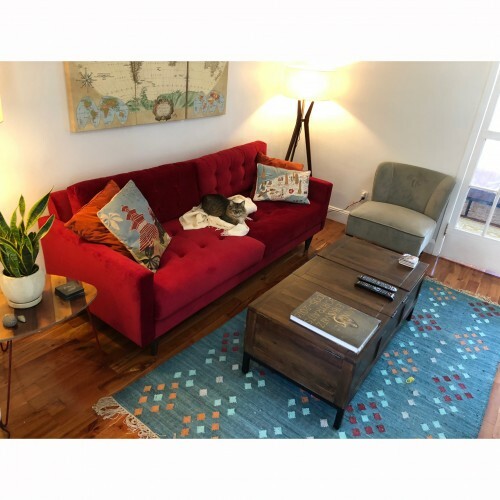 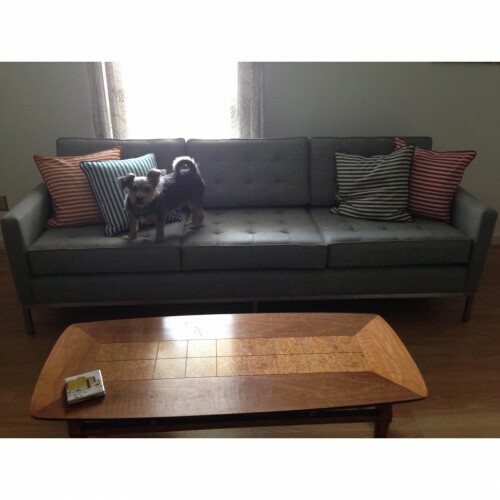 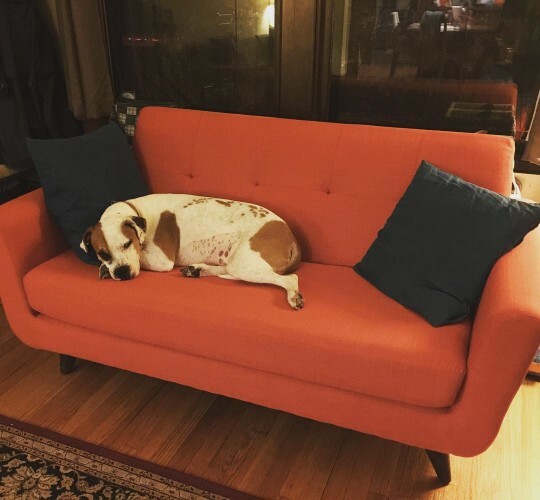 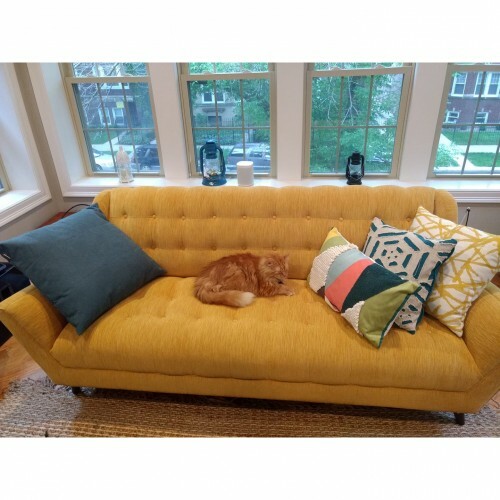 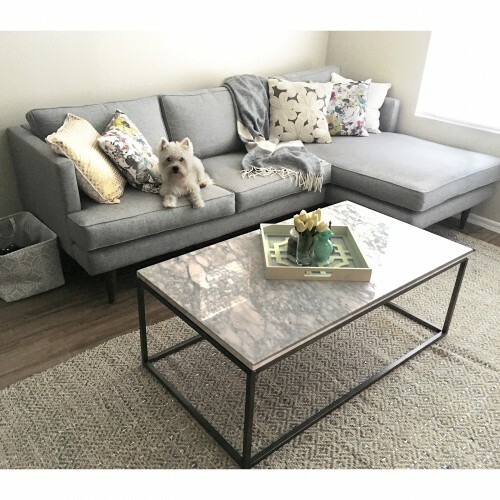 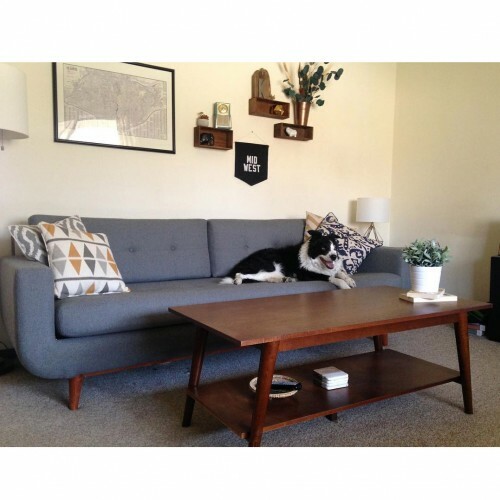 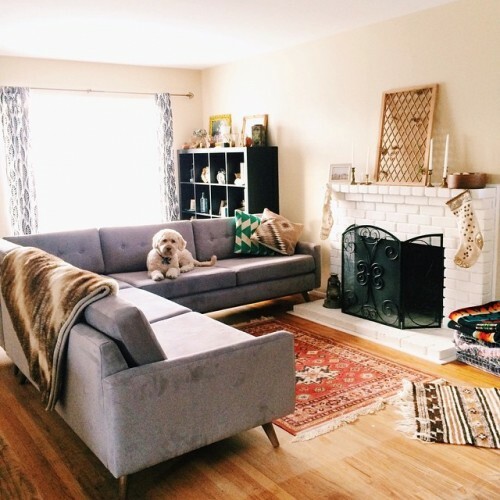 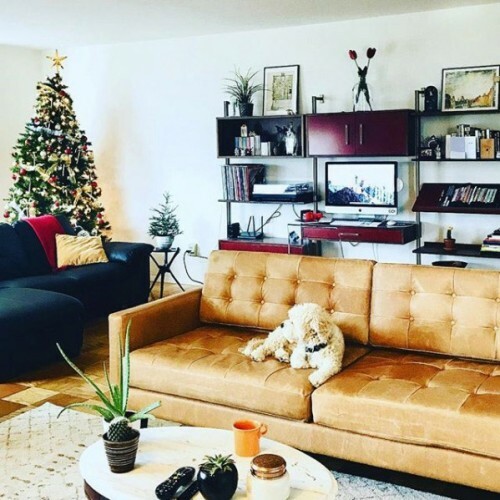 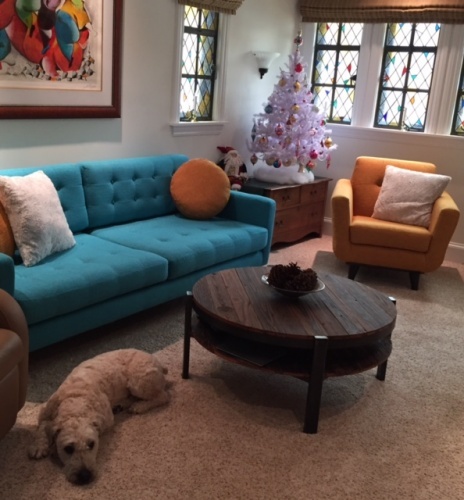 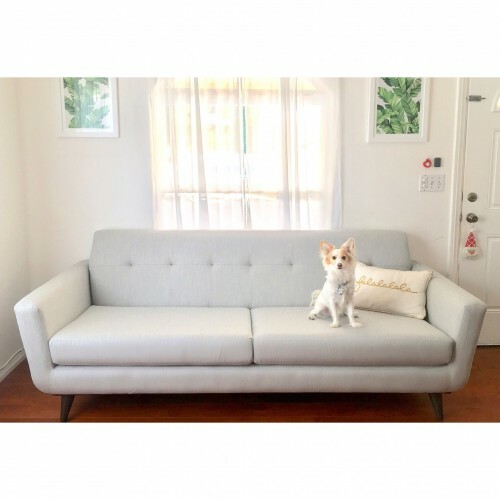 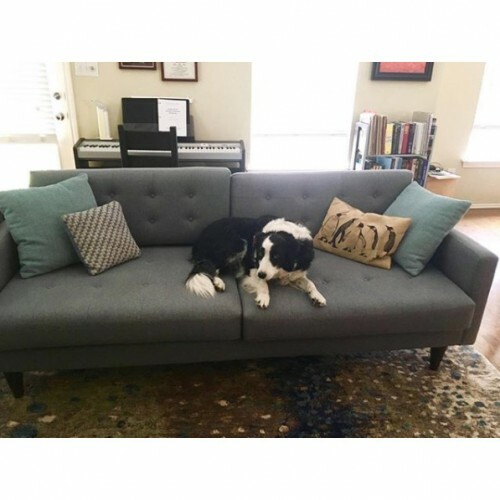 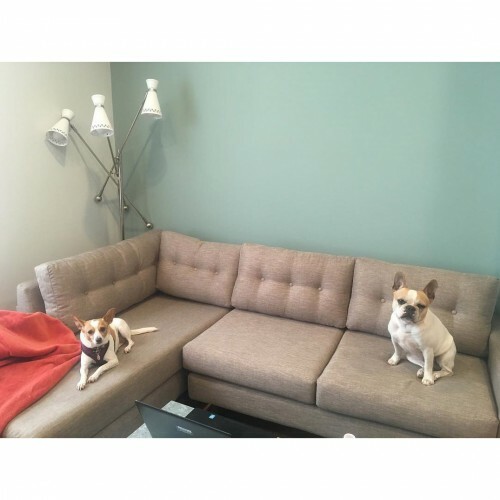 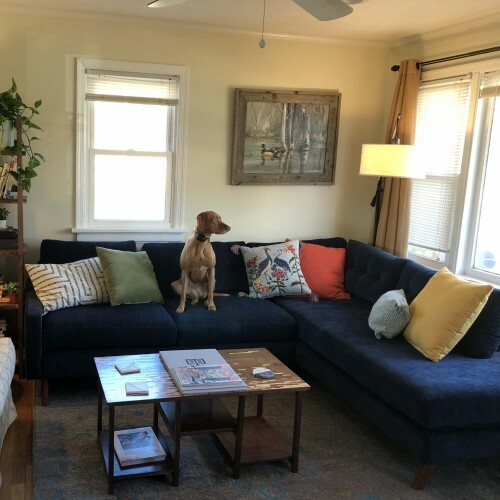 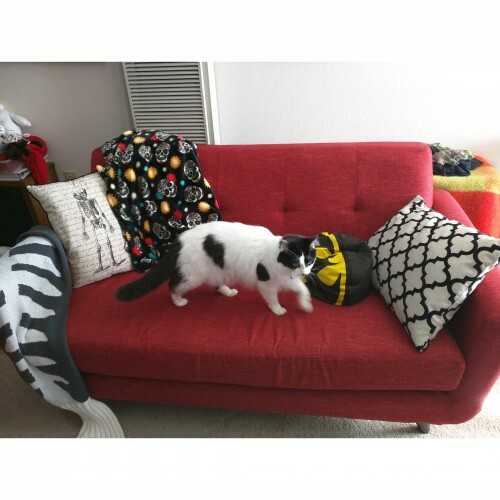 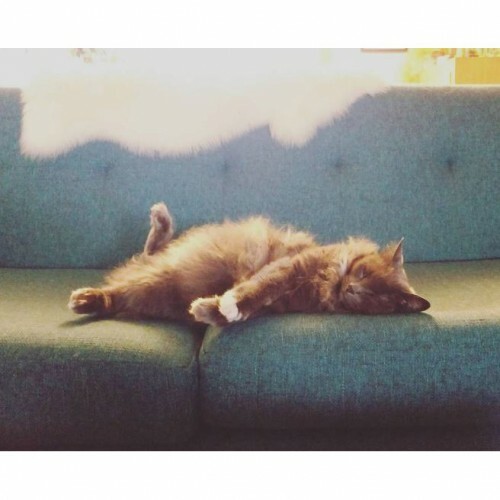 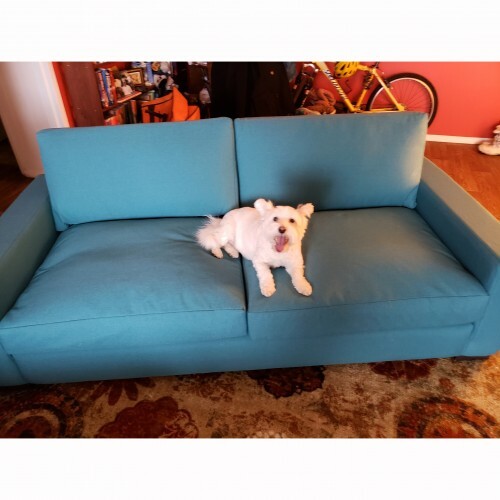 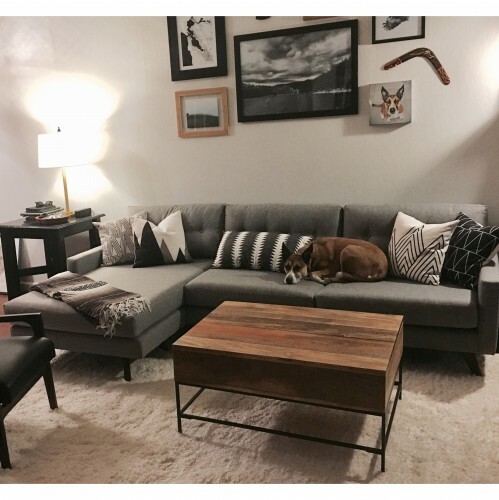 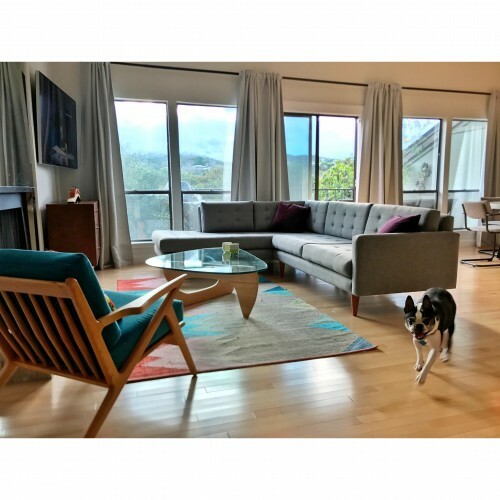 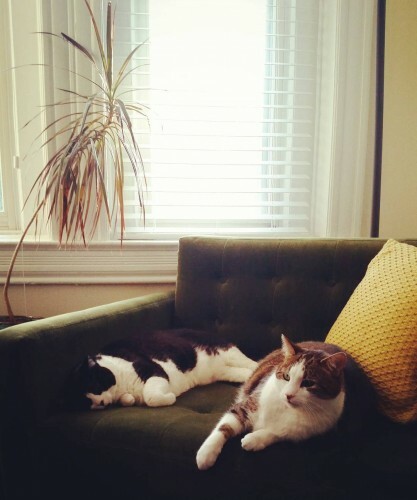 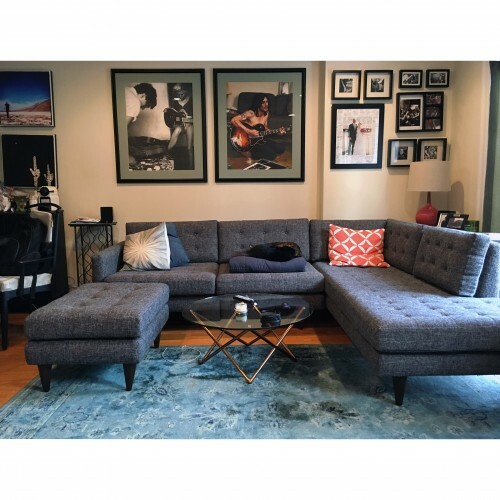 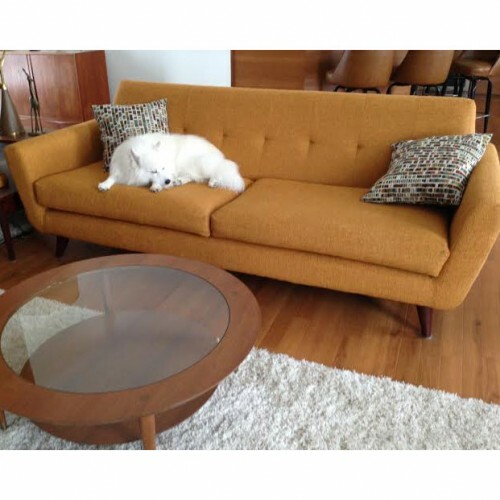 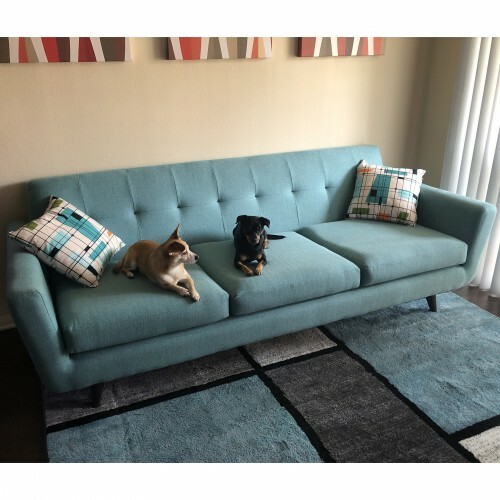 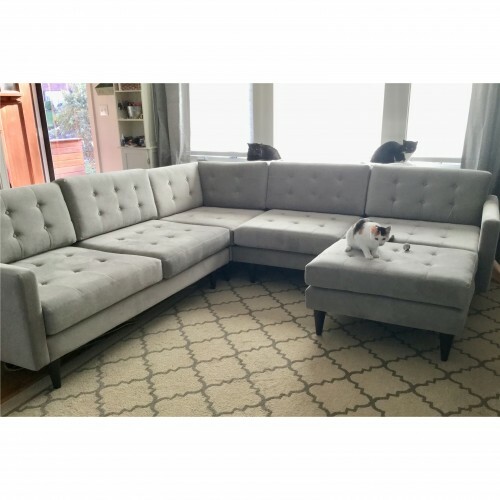 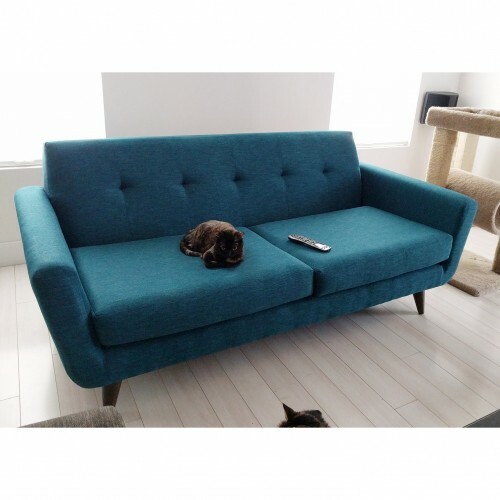 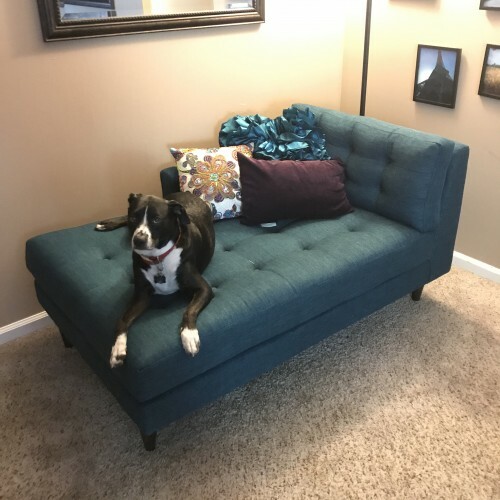 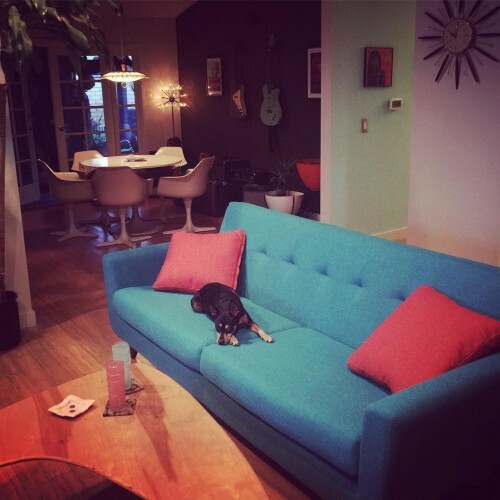 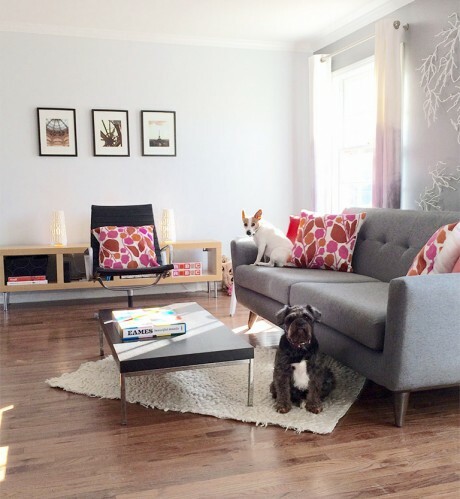 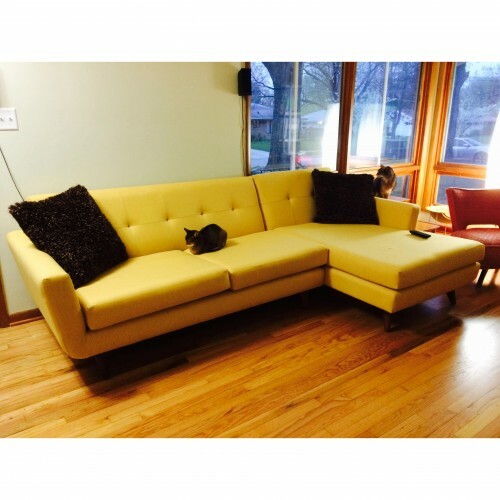 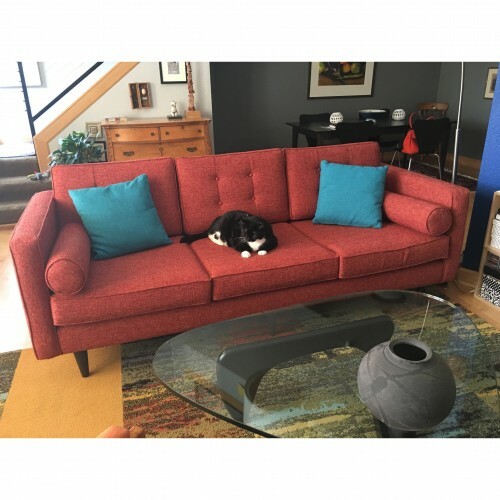 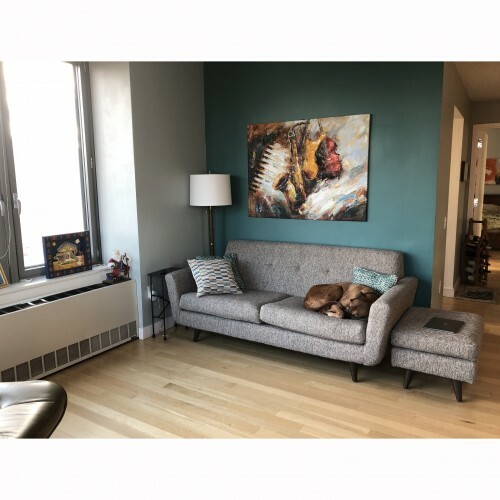 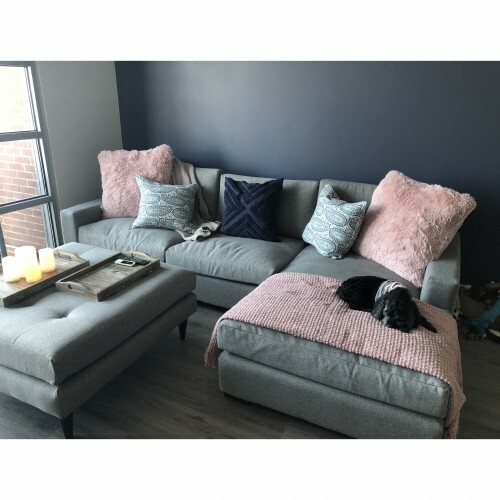 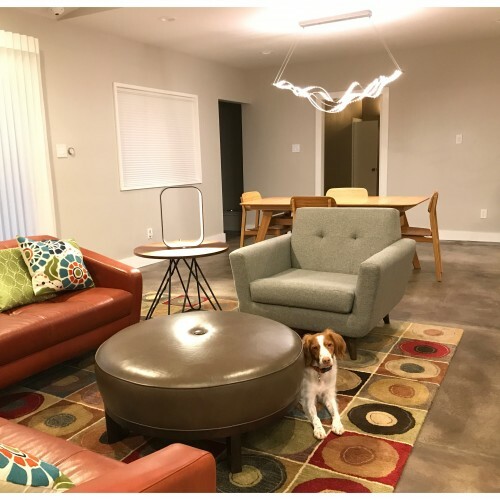 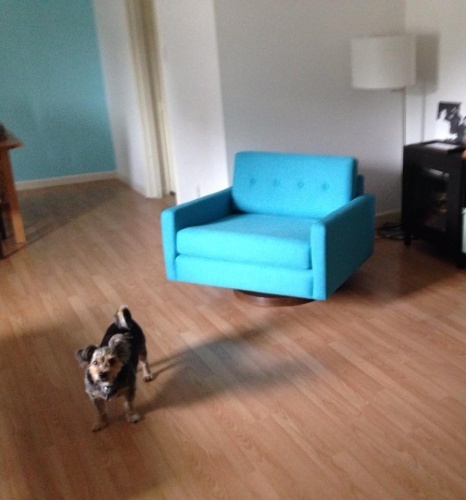 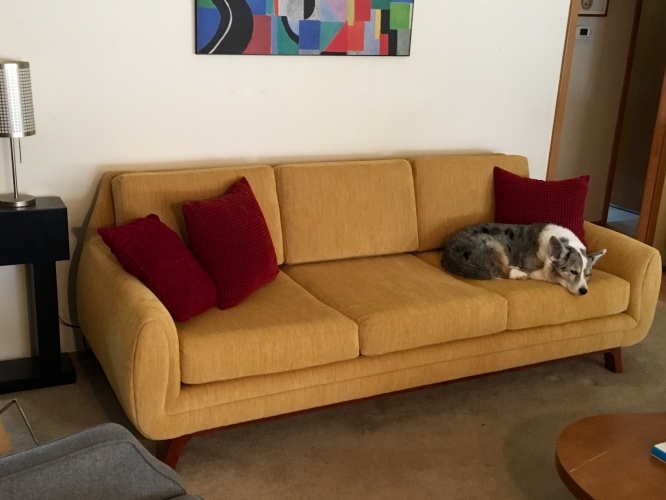 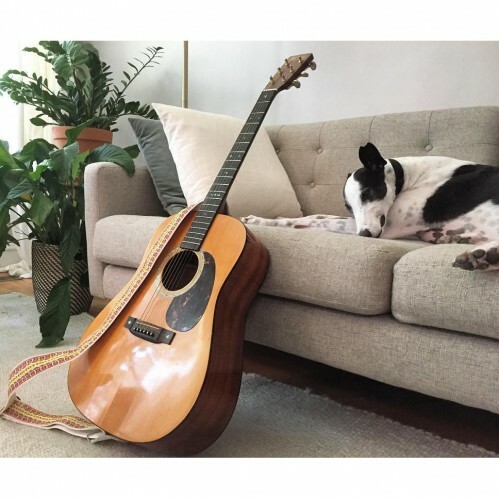 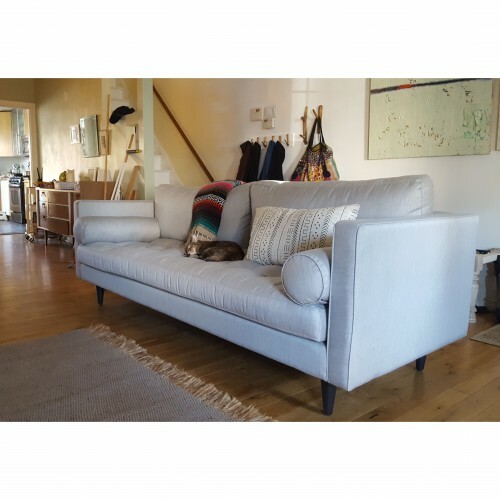 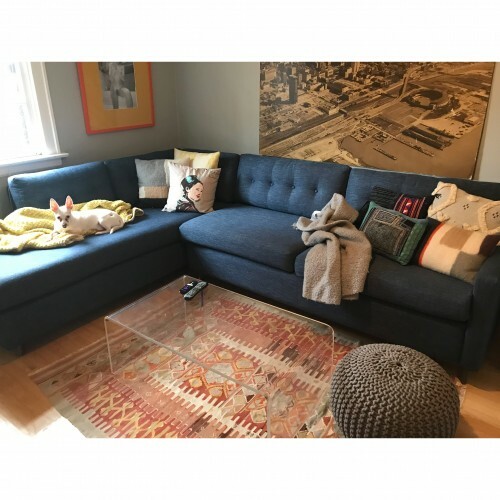 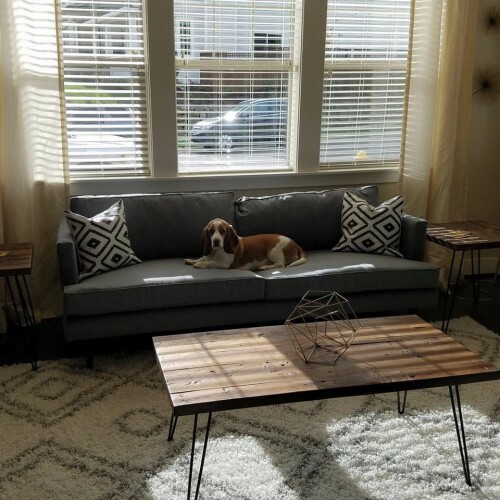 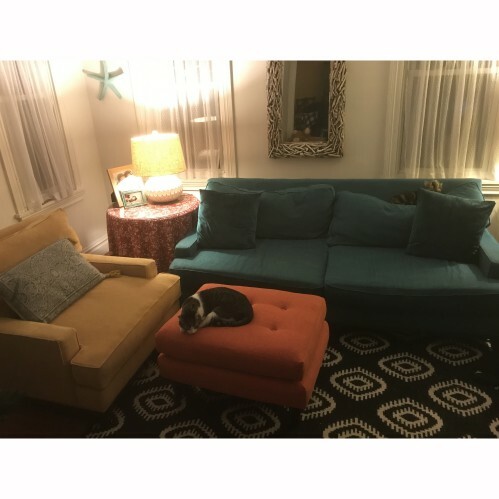 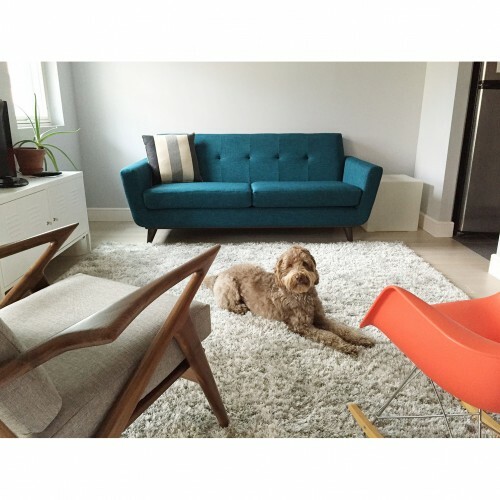 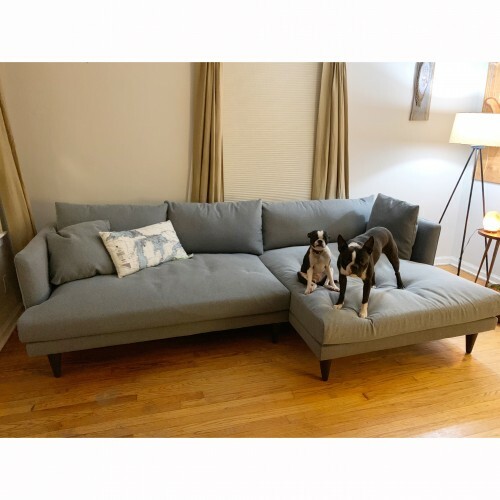 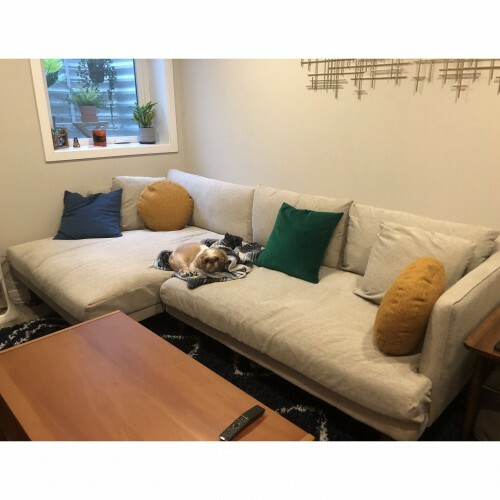 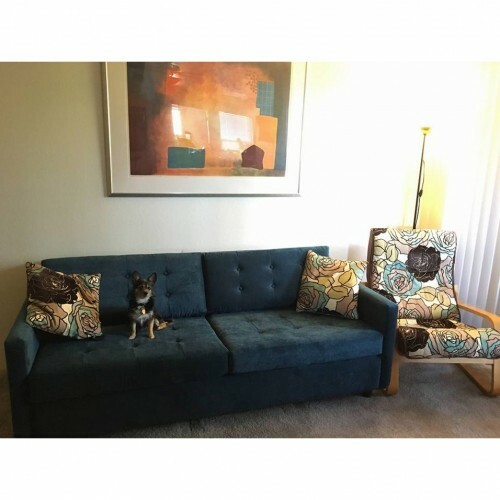 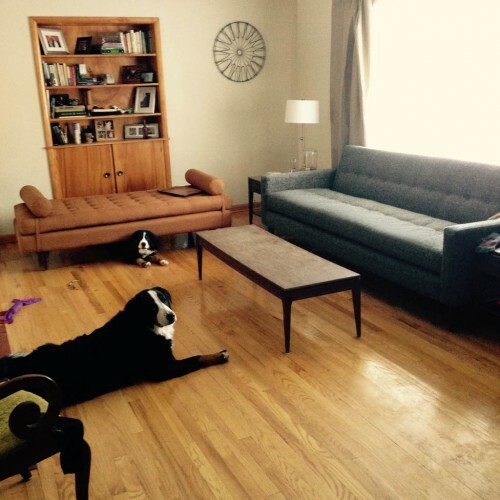 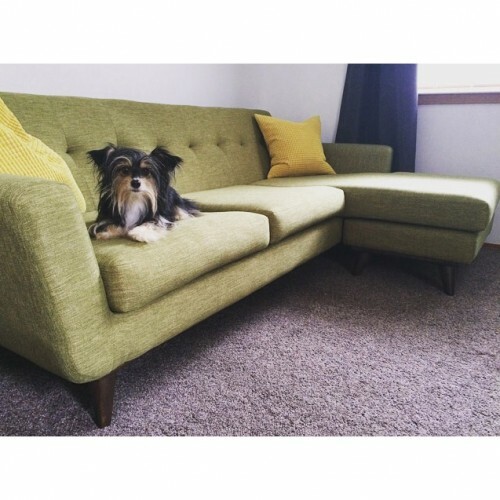 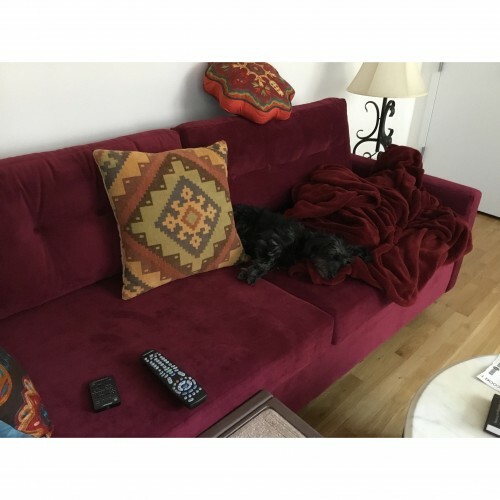 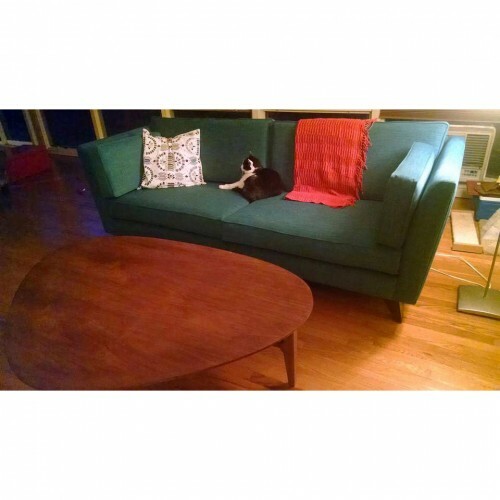 Overall we had a great experience with joybird & love our Levi Sectional. 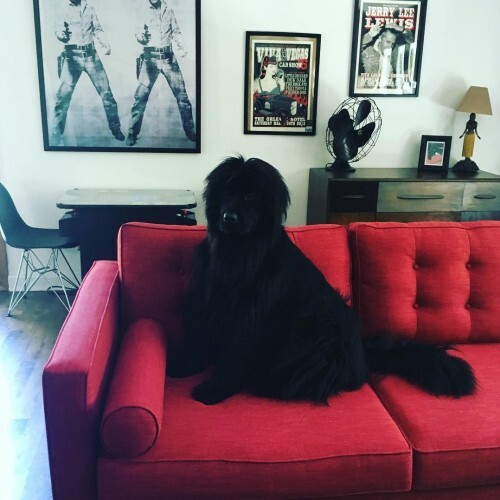 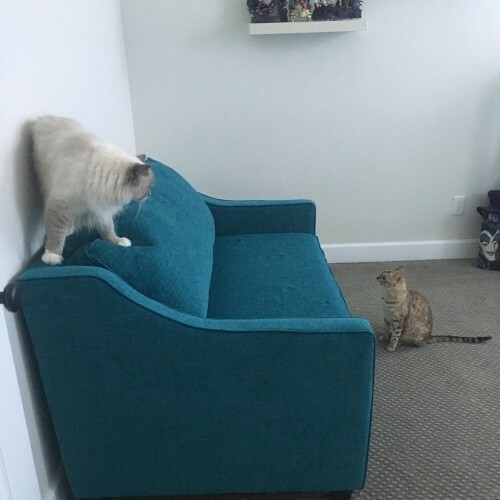 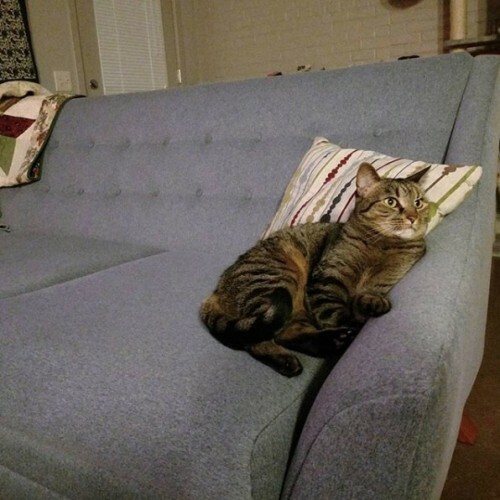 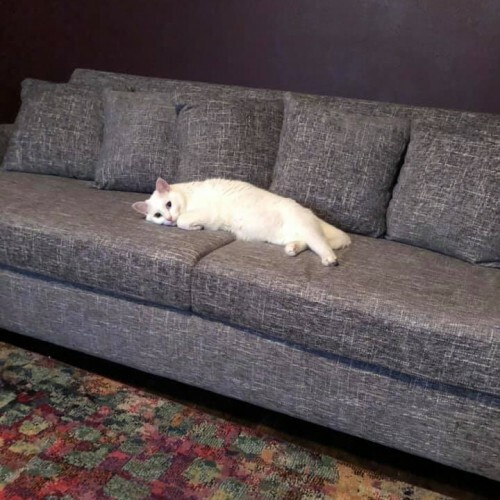 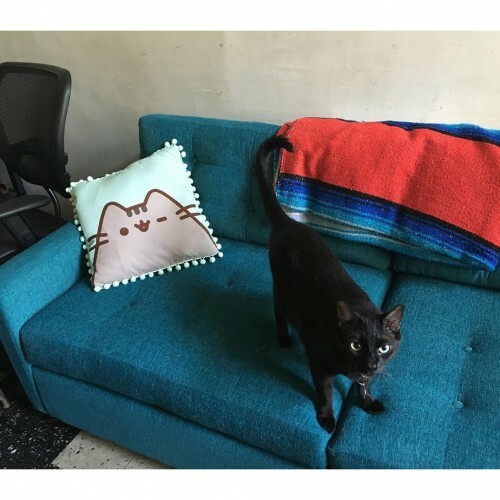 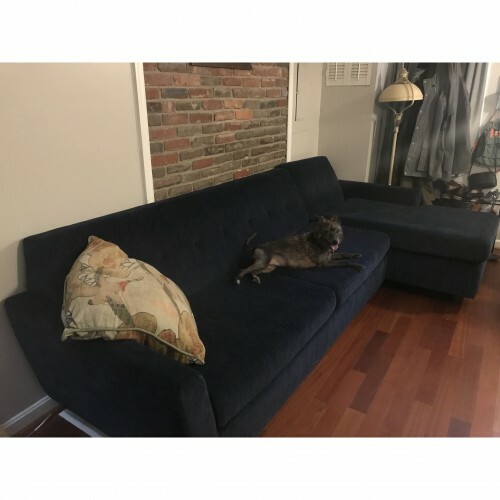 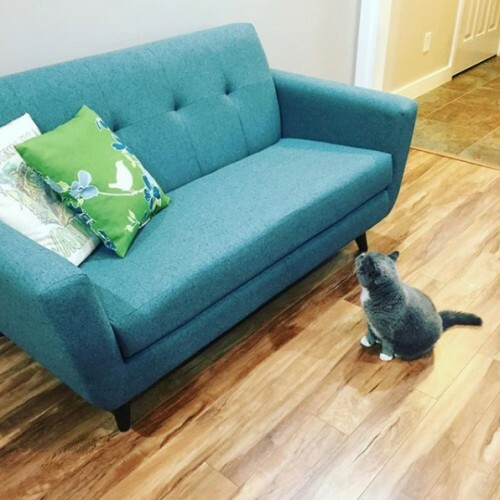 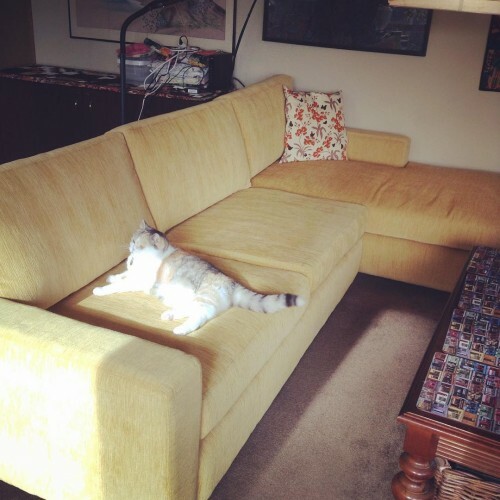 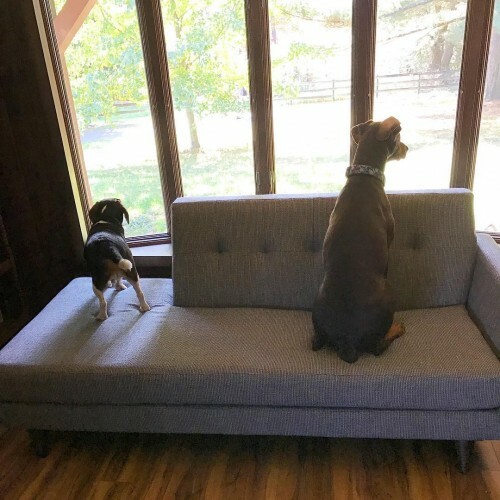 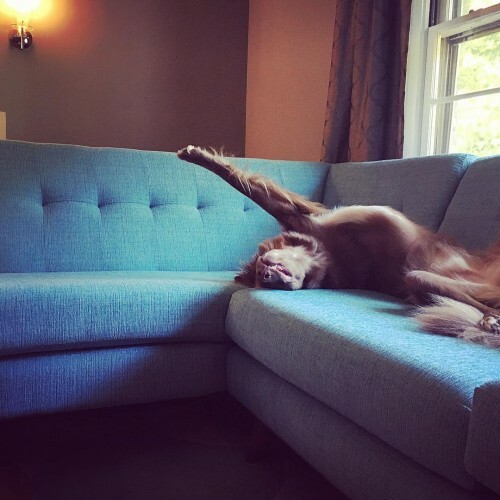 I'm so excited the couch is here! 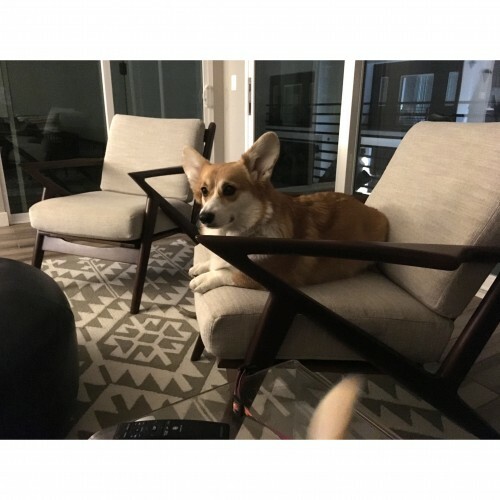 It's comfortable with plenty of support. 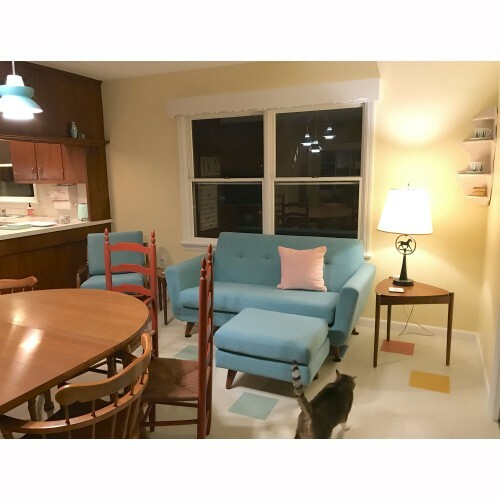 I'm thrilled with the color. 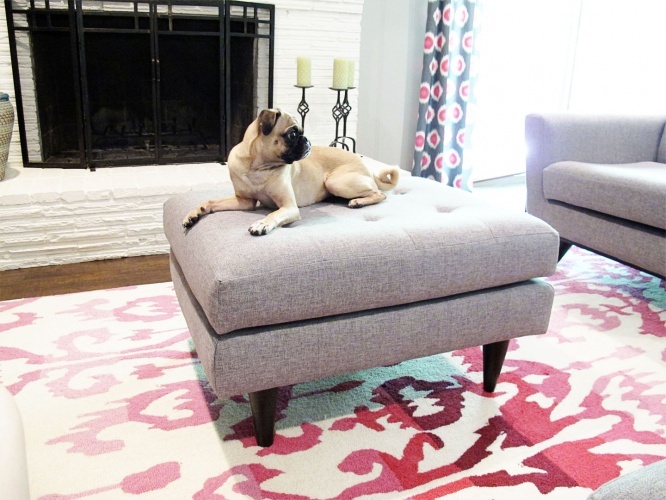 We love this rug. 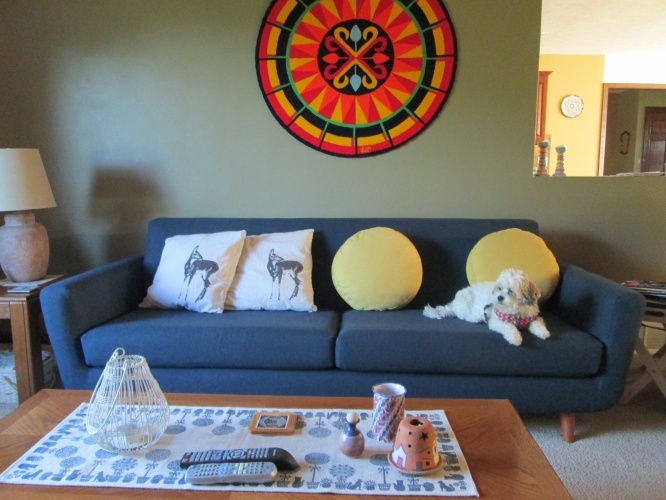 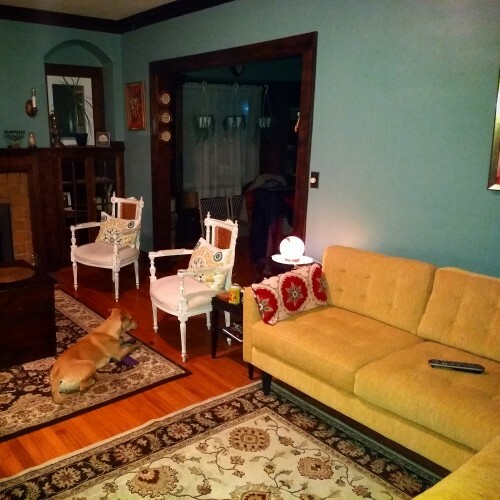 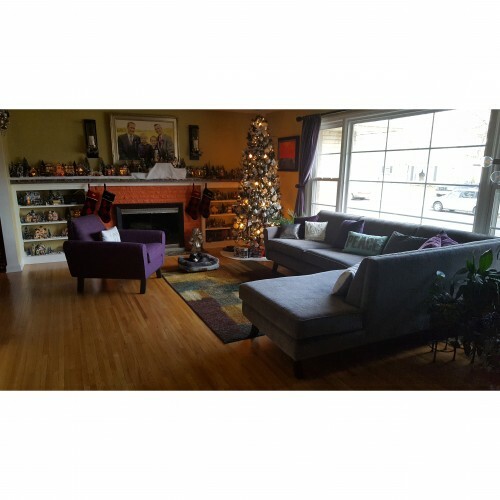 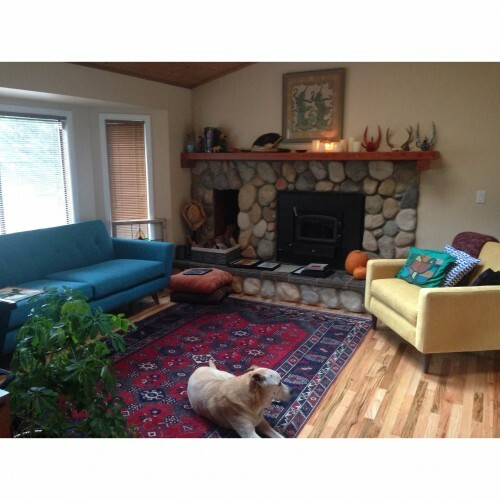 It looks bright and welcoming in our living room and the colors are great. 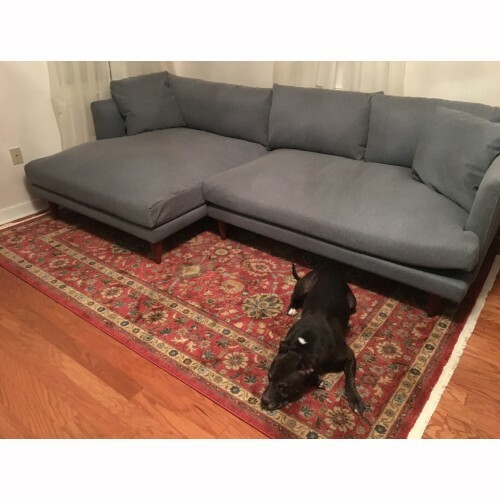 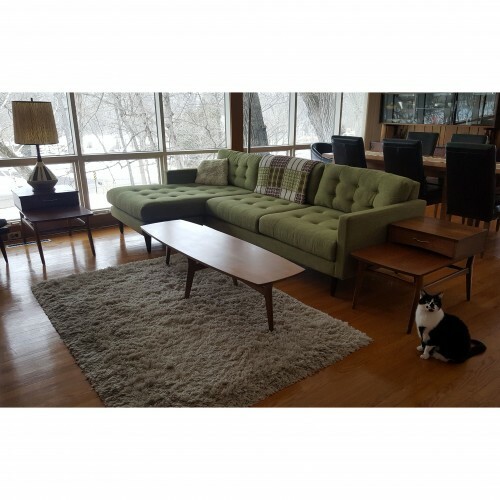 It also goes great with the Hughes Grand Sofa! 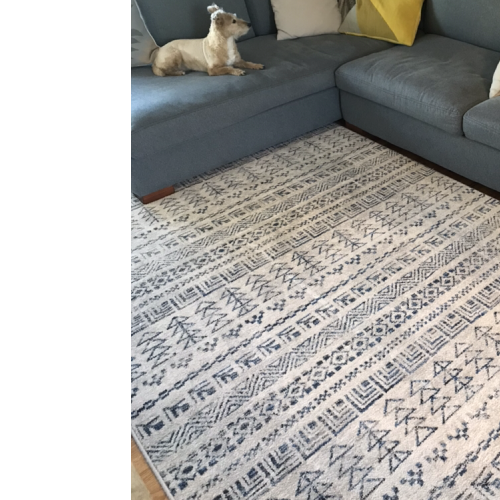 So far we have had a delivery man's dirty boots leave a black footprint on the rug AND one of my dogs vomited on it in 3 places BUT all the stains came out and the rug still looks brand new! 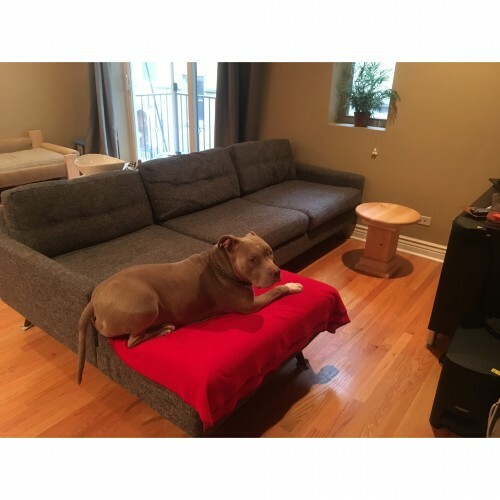 Cleans well and is durable! 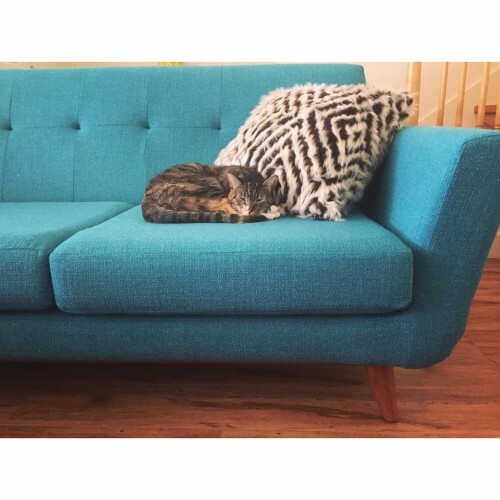 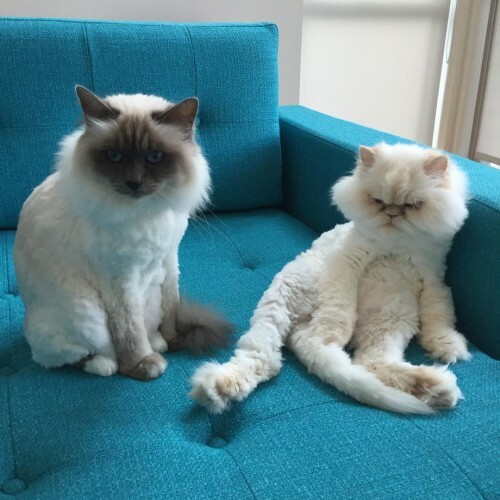 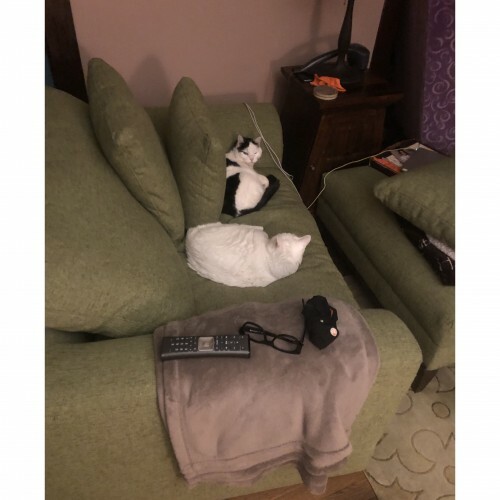 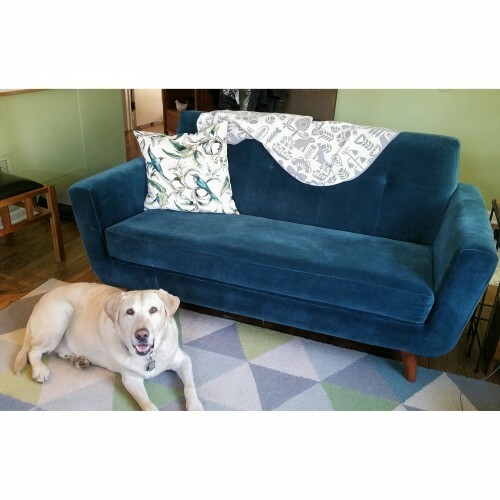 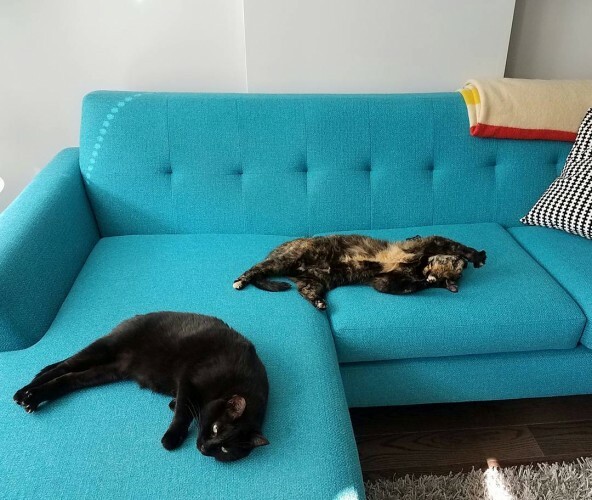 We’re so delighted with our sofa! 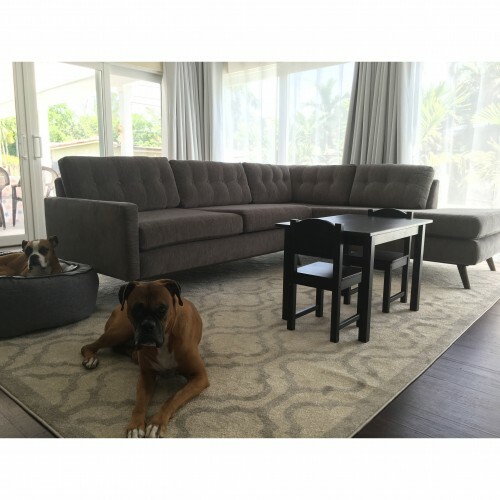 It’s the essence of comfort and seats two teens and an adult very comfortably. 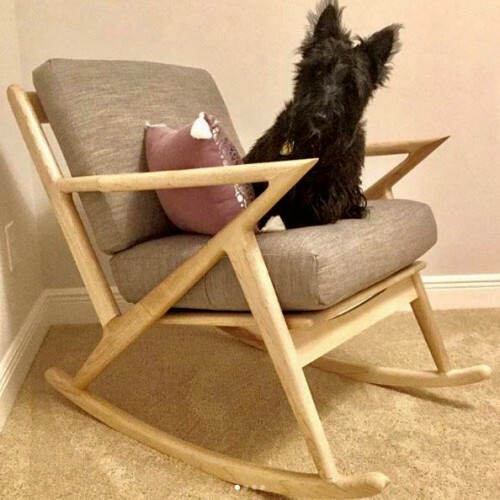 The workmanship is excellent - thank you so much! 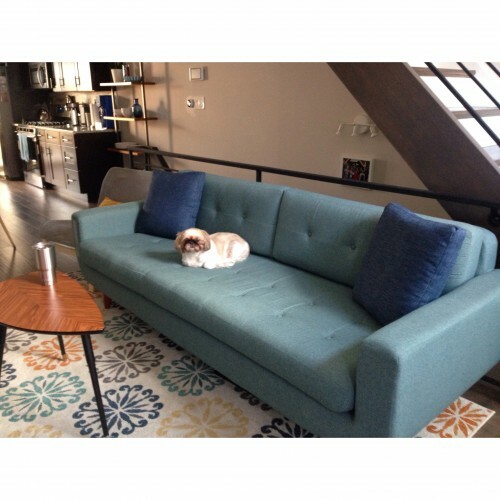 Getting comfy with Joybird in Chicago. 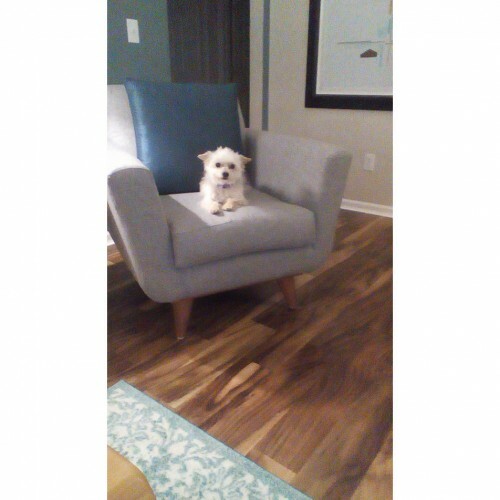 You've heard of elf on a shelf, now get ready for puka on a pouf! 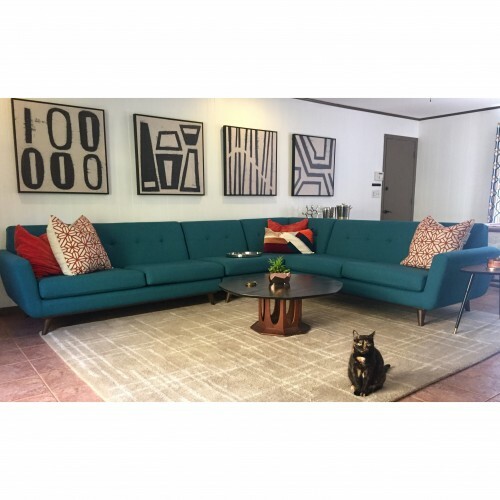 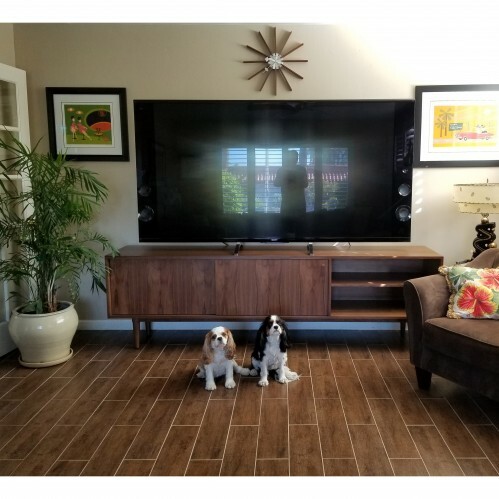 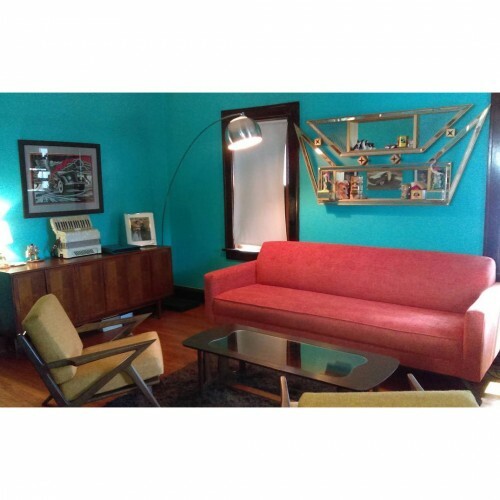 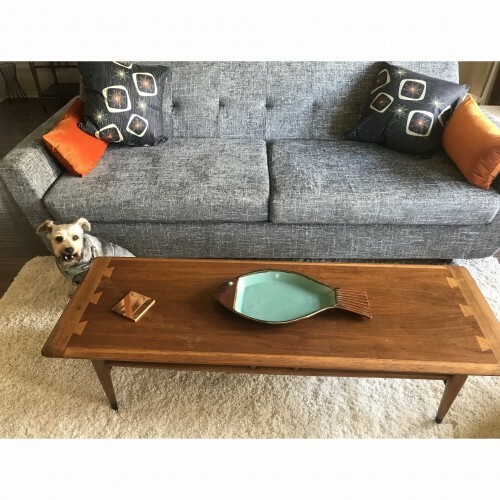 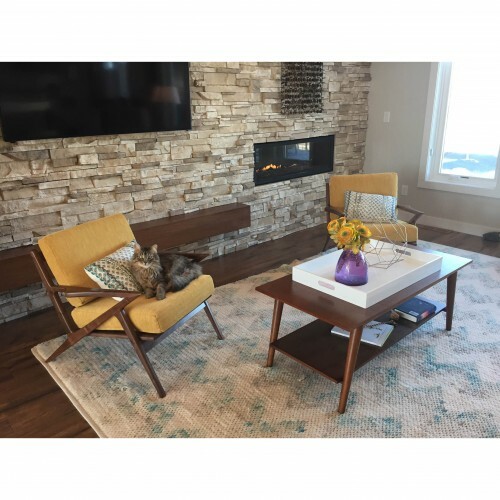 We have been looking for the perfect console to hold our 81" TV and blend into our mid century modern decor .We found our gem and it blends in seamlessly but yet makes a bold statement! 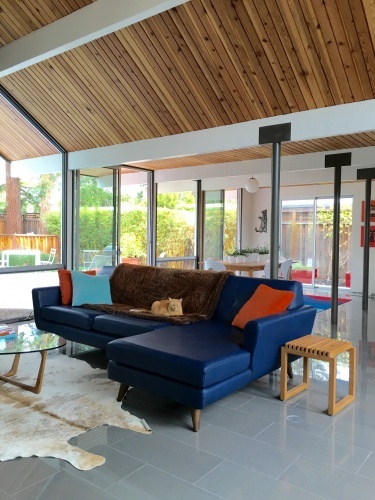 The design and construction are impeccable. 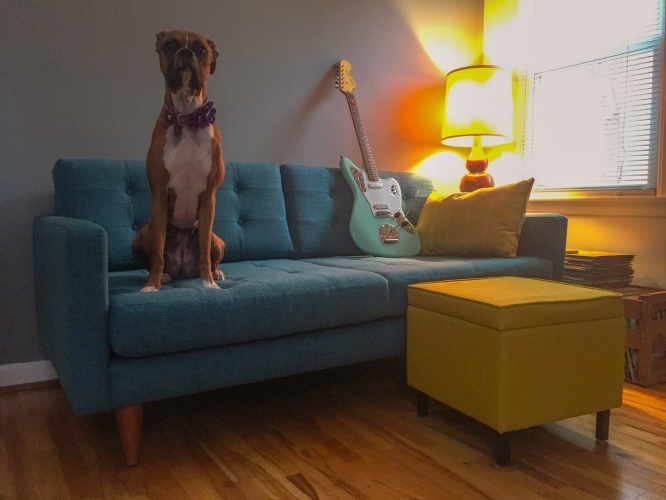 Joybird rocks! 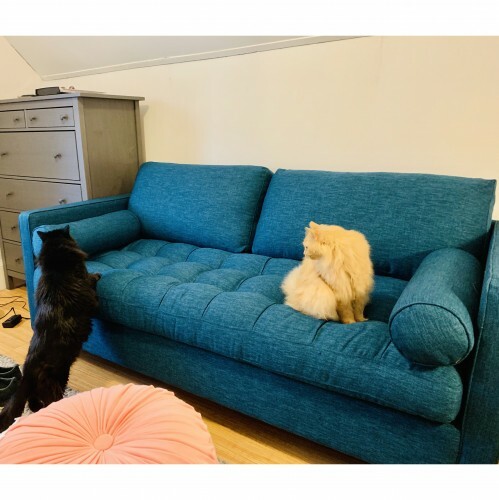 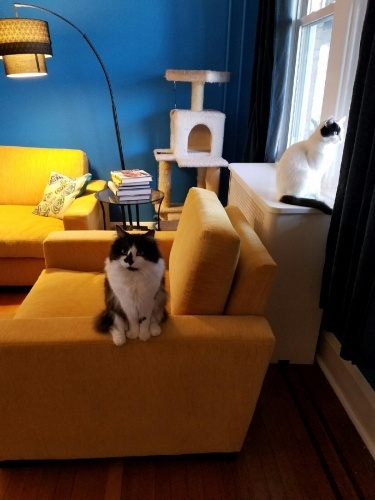 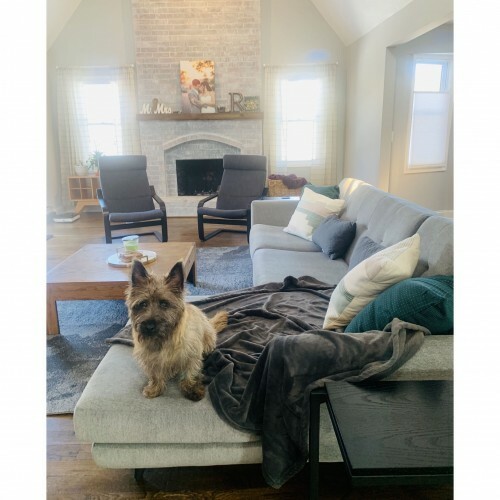 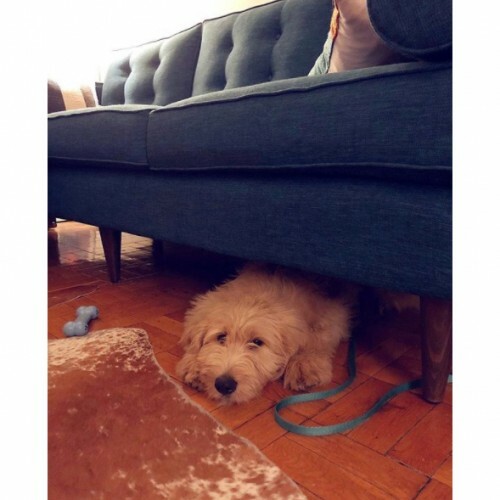 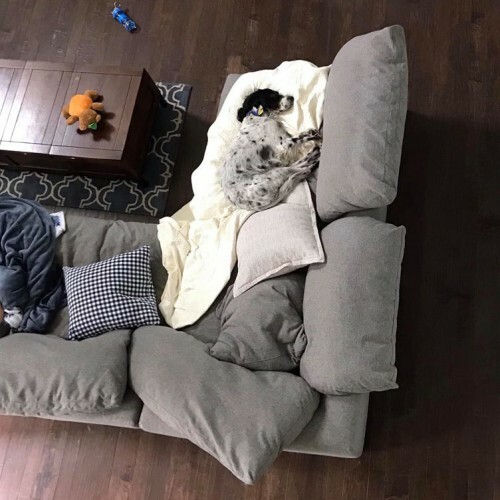 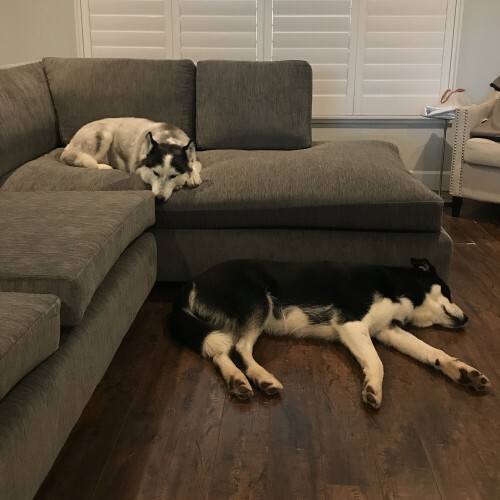 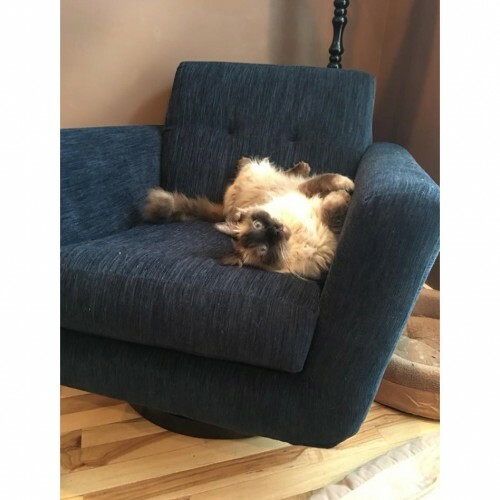 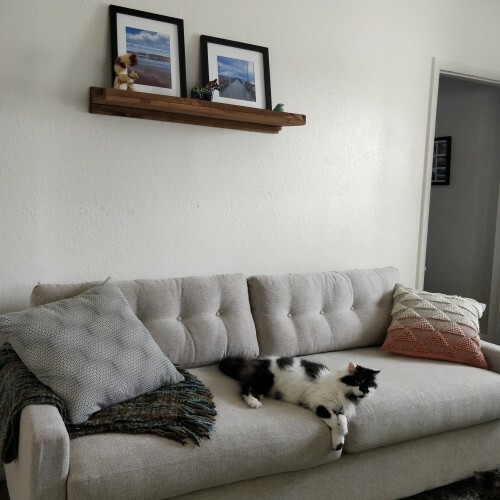 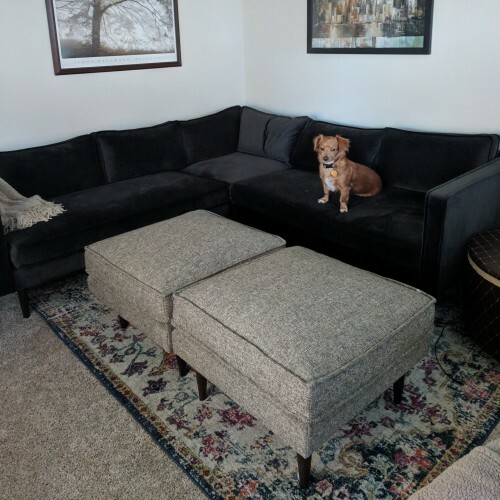 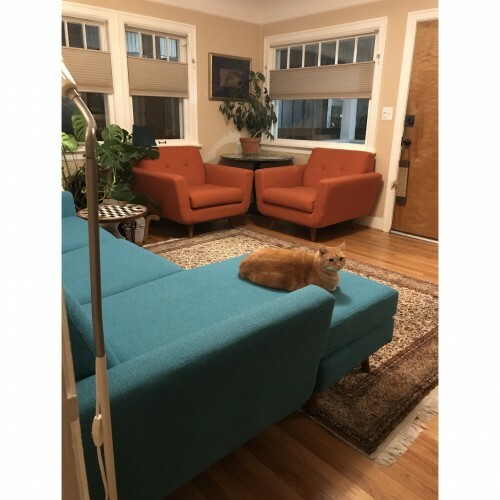 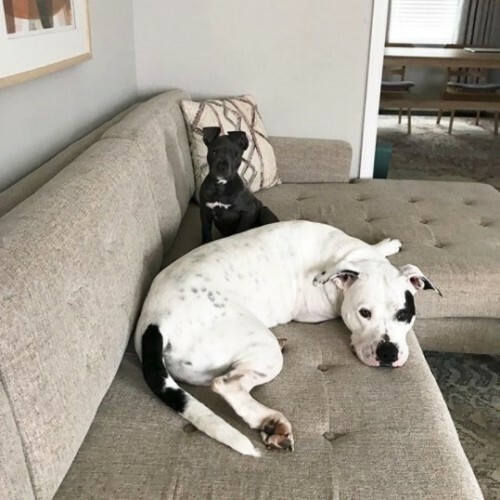 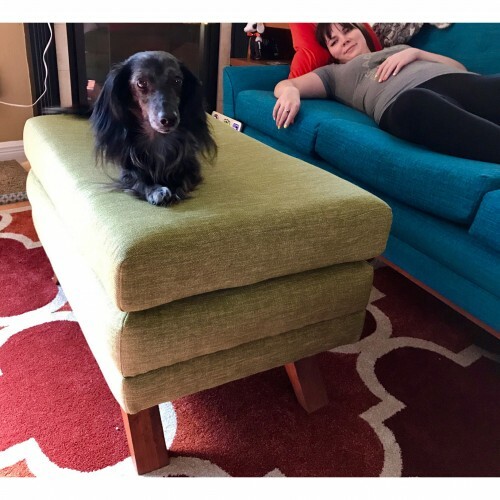 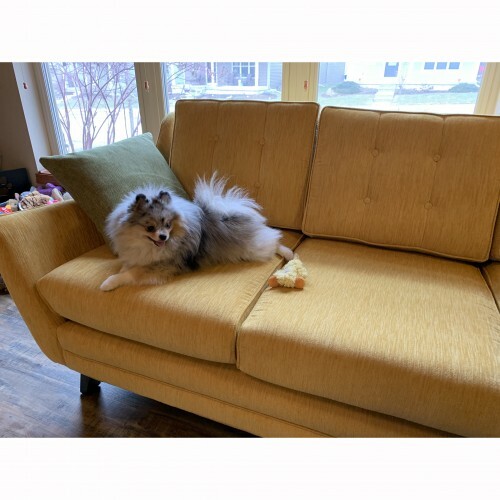 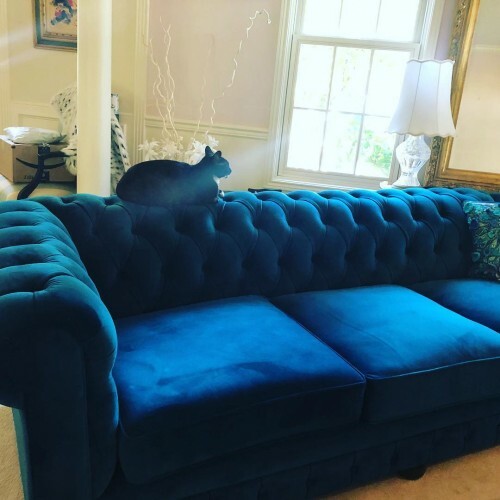 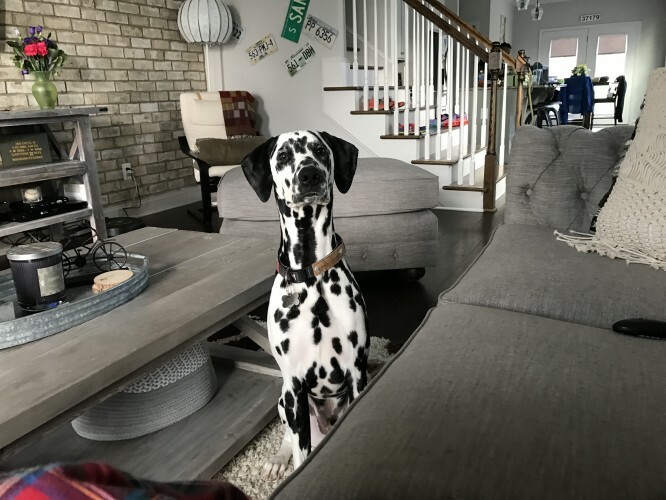 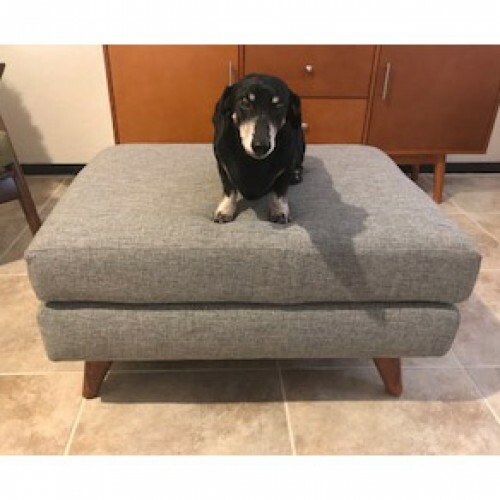 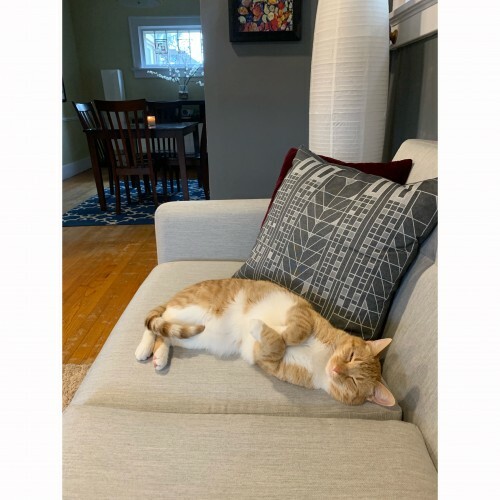 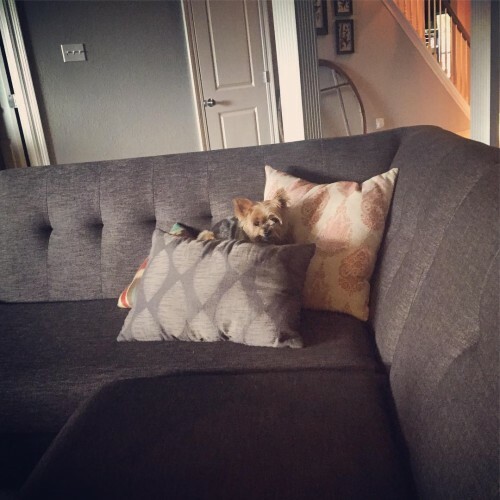 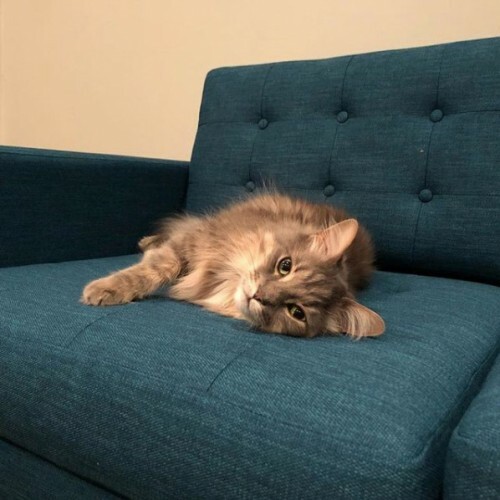 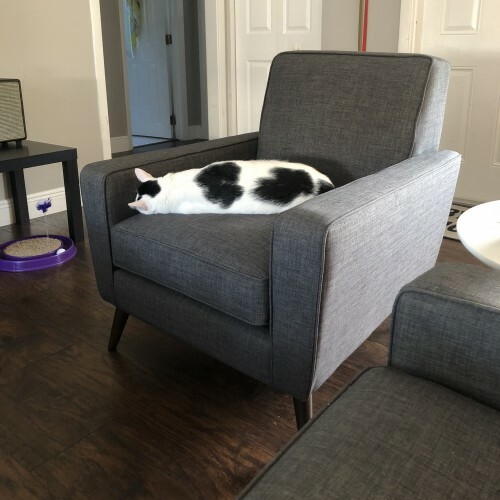 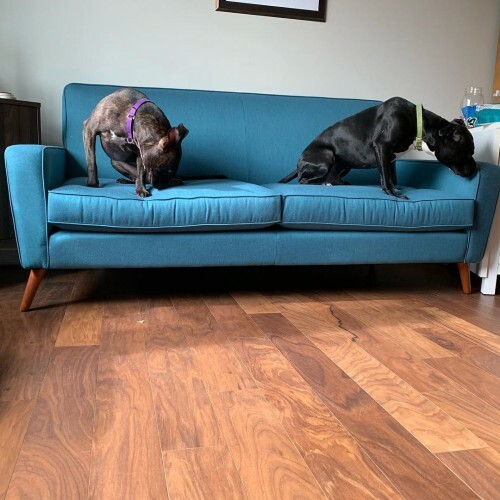 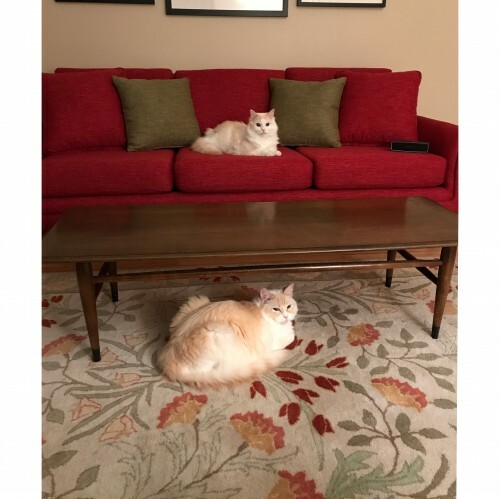 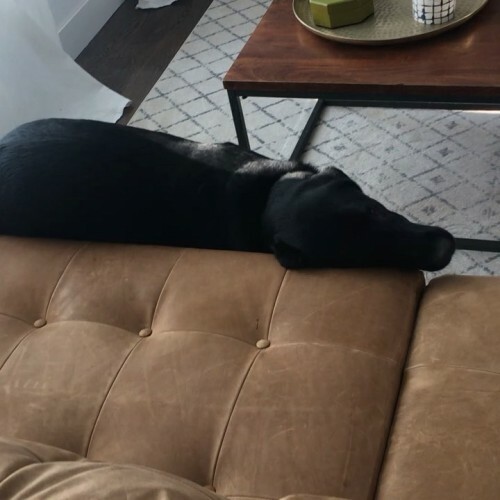 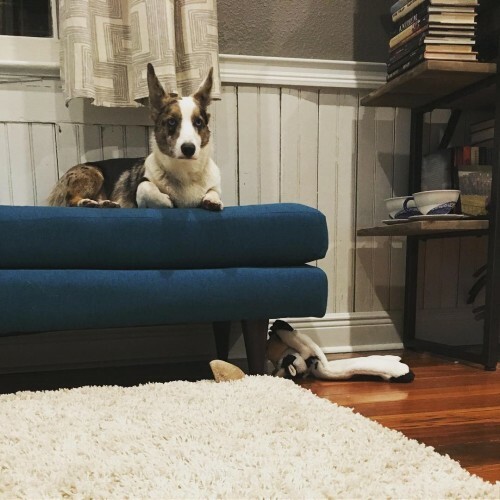 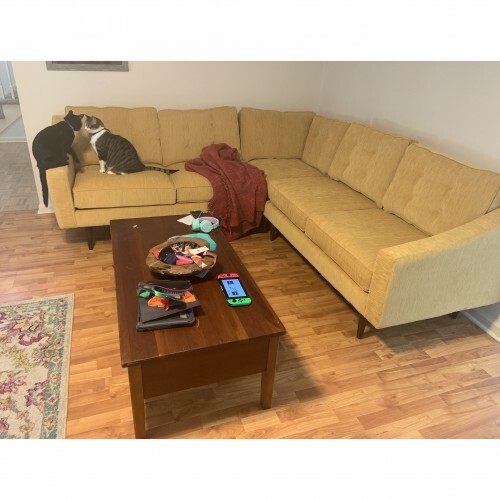 I'm just going to rest up here for a moment. .
We are loving the front room furniture, however, who is going to break it to Augie that he won't fit under there much longer! 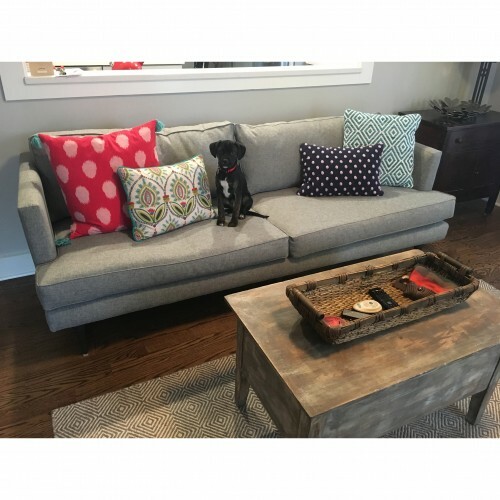 His favorite hiding place...thanks again Joybird and Hank for helping with the details of our order. 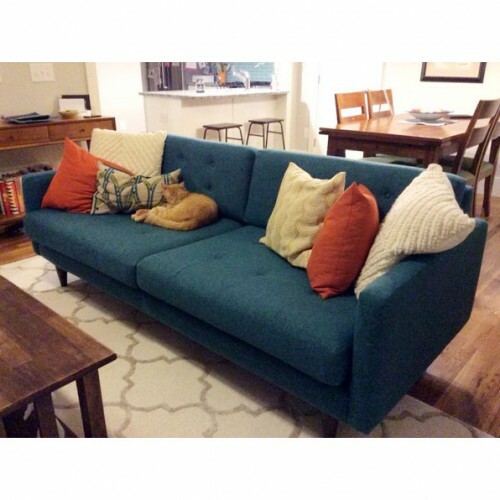 A longtime industry standard in the fabric world, woven fabric is easy to maintain, extra durable, and wears well. 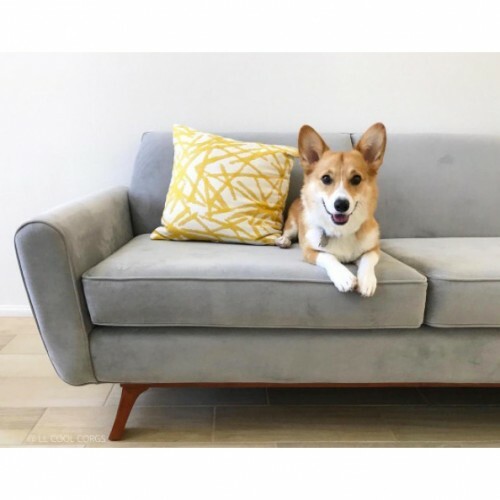 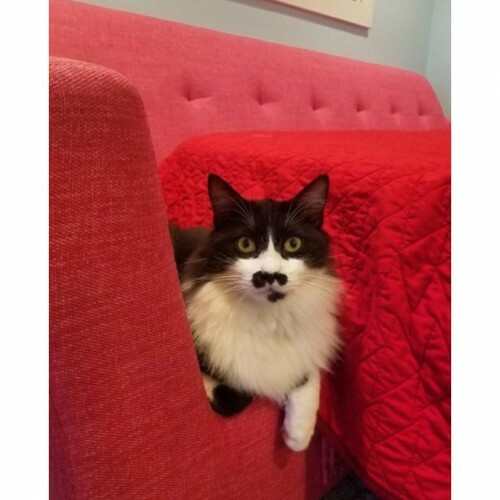 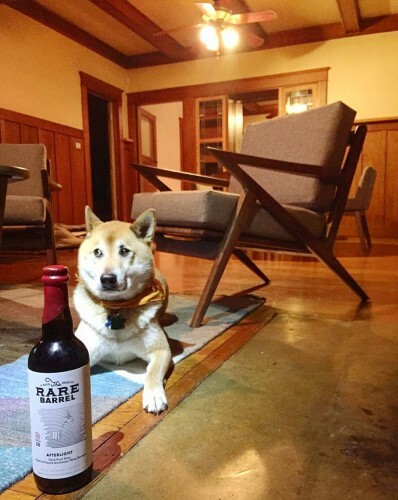 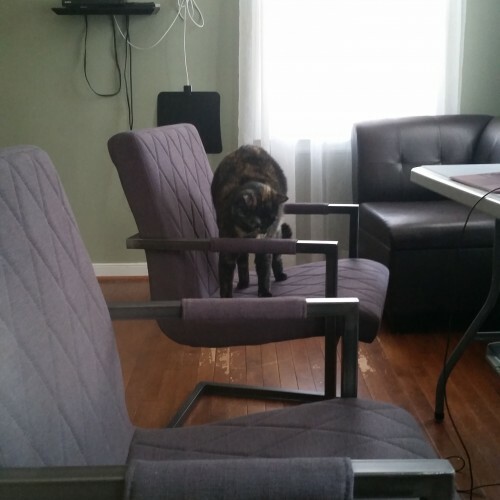 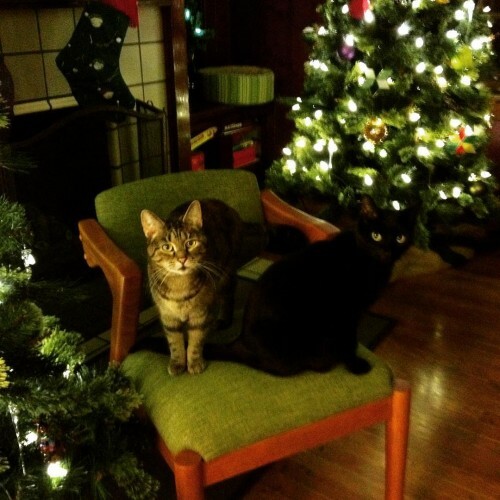 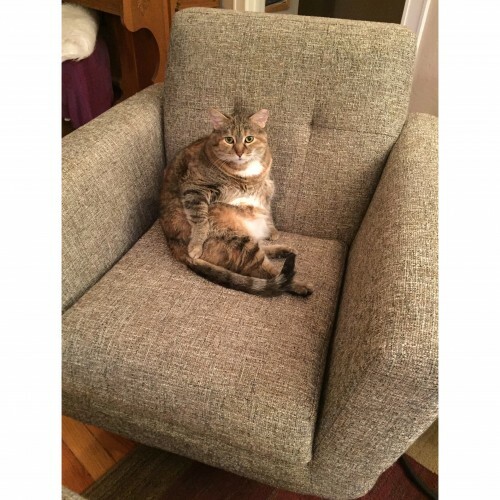 Stains wipe away easily, and pet hair won't get trapped. 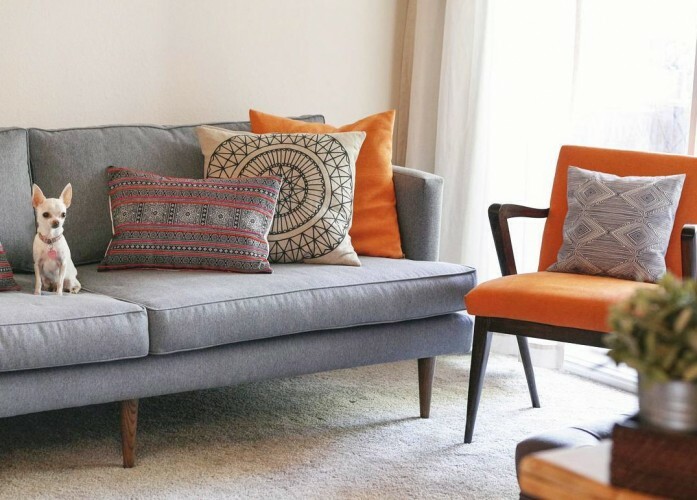 Stay away from harsh cleaners or wet towels - instead, follow care instructions to avoid damaging your fabric. 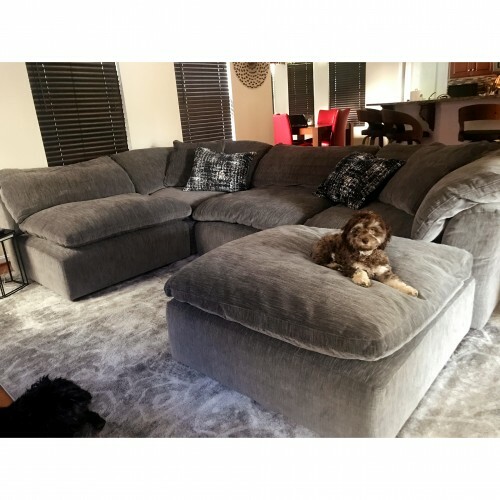 Synergy Pewter Synergy is our soft, heathered chenille which takes on a casual velvet appearance. 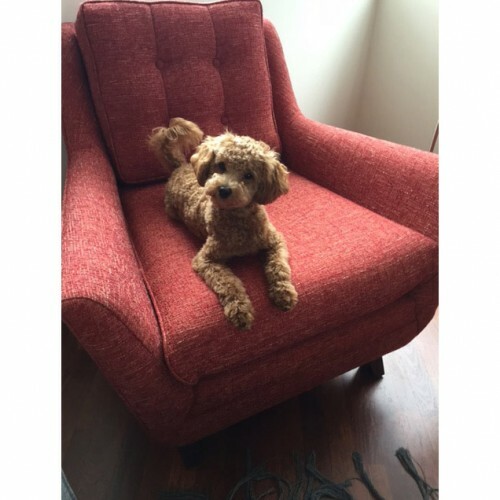 It is a yarn dyed micro-denier polyester, which allows the yarn to blossom. 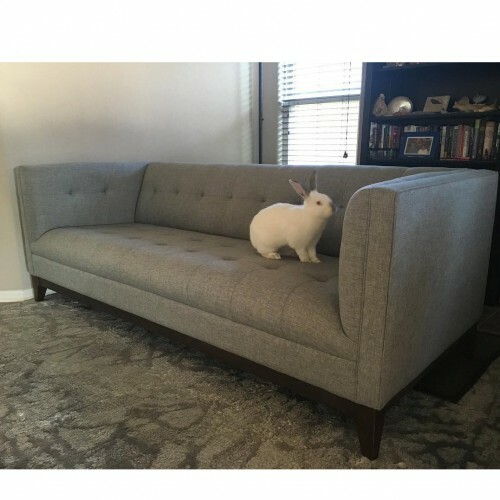 It's softness doesn't take away from it's durability. 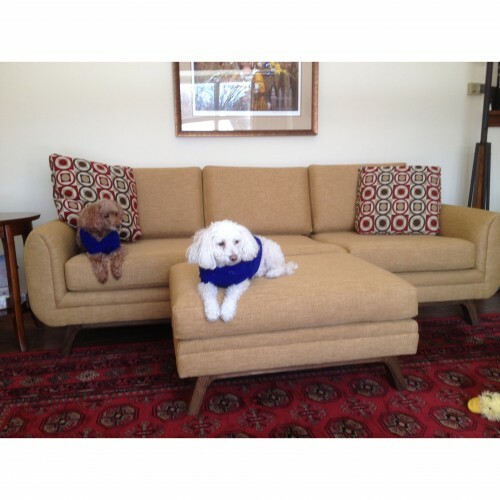 It doesn't get much plusher or tougher than our velvet-textured and chenille microfiber fabrics. 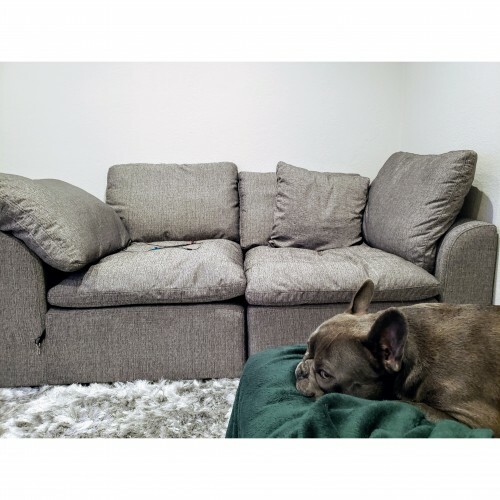 With a low pile, they're less likely to show wear and tear. 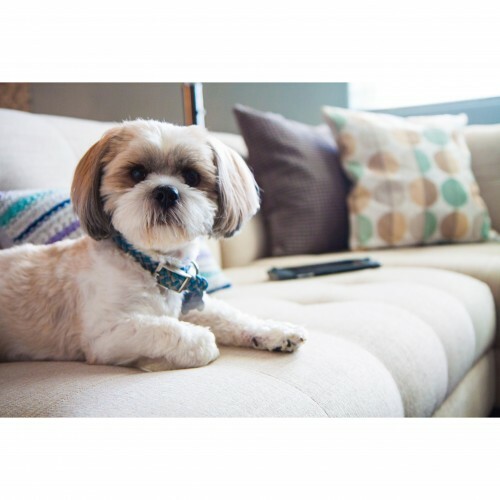 Meanwhile, dirt, hair, or crumbs are easily wiped away with a damp cloth or lint roller. 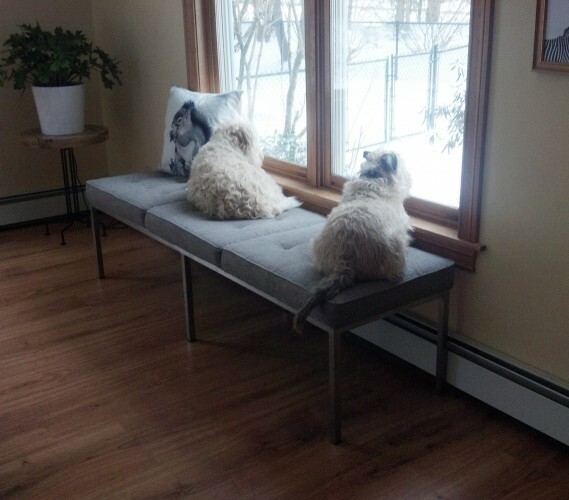 Our Bentley collection, reminiscent of corduroy, is an especially great choice for pet parents. 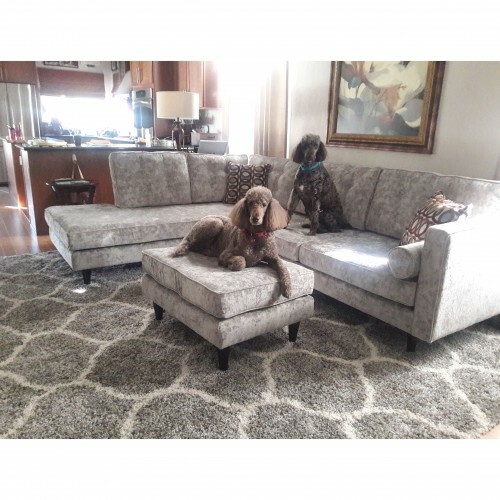 Prime Dove Prime is a woven chenille with a crushed, distressed look and beautifully soft hand. 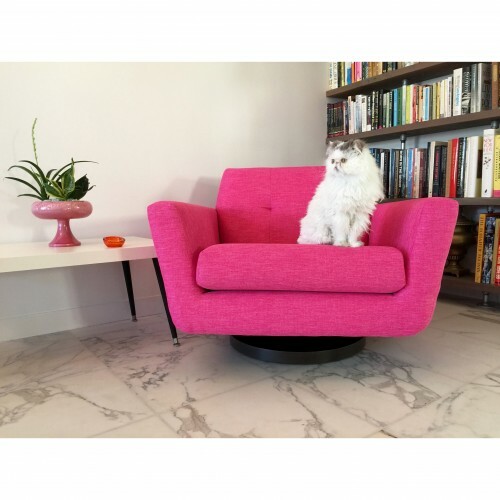 This luxurious chenille is suitable for all settings and styles, and will lend a touch of elegance to any application or backdrop. 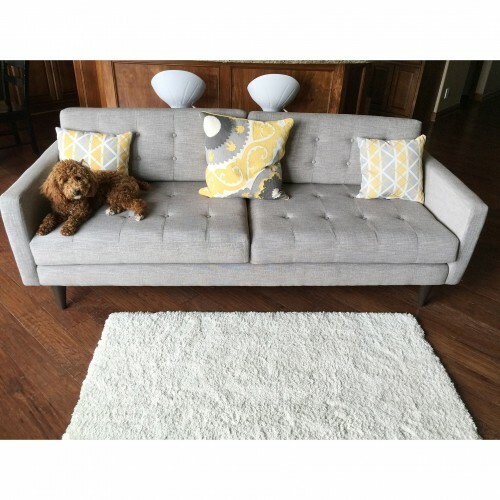 Prime Stone Prime is a woven chenille with a crushed, distressed look and beautifully soft hand. 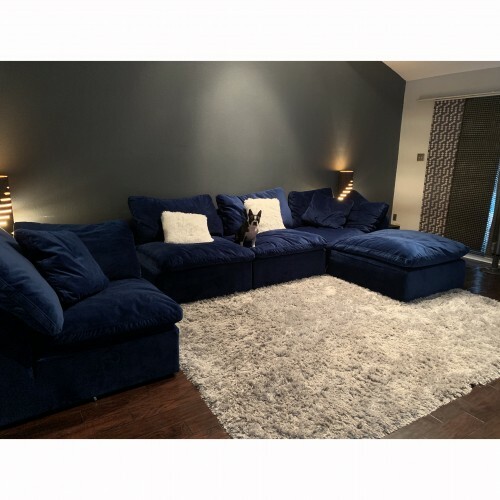 This luxurious chenille is suitable for all settings and styles, and will lend a touch of elegance to any application or backdrop. 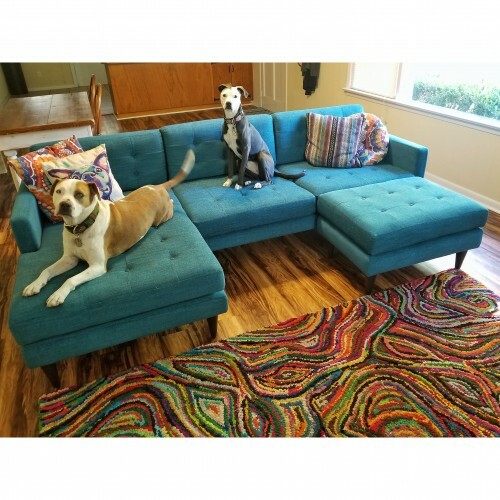 Prime Peacock Prime is a woven chenille with a crushed, distressed look and beautifully soft hand. 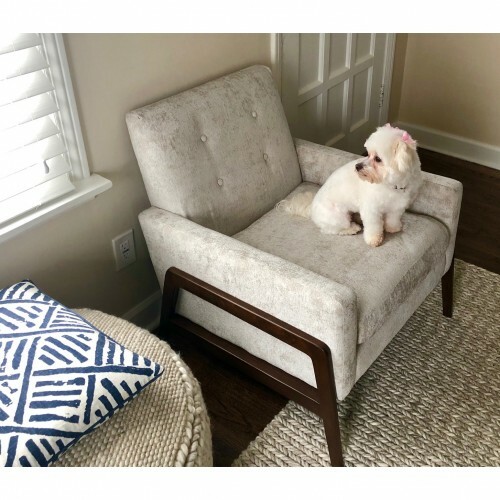 This luxurious chenille is suitable for all settings and styles, and will lend a touch of elegance to any application or backdrop. 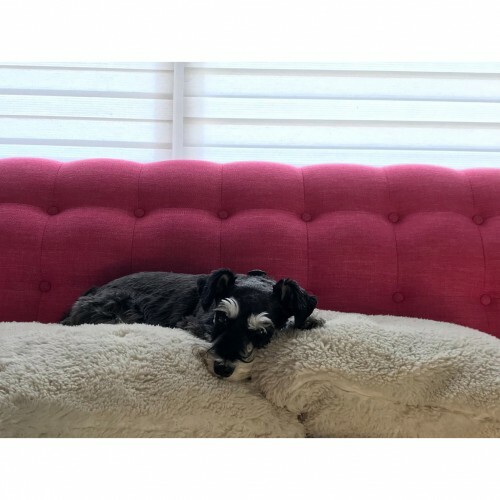 Soft, stain-resistant, durable, and most importantly, easy to clean, we guarantee our Joybird Safeguard fabrics are as long lasting as they are beautiful. 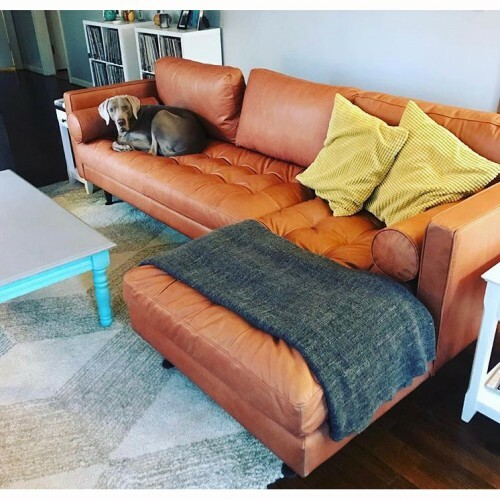 Extremely durable and able to withstand high-traffic areas, kids, and pets, leather’s a timeless choice that only gets better over time. 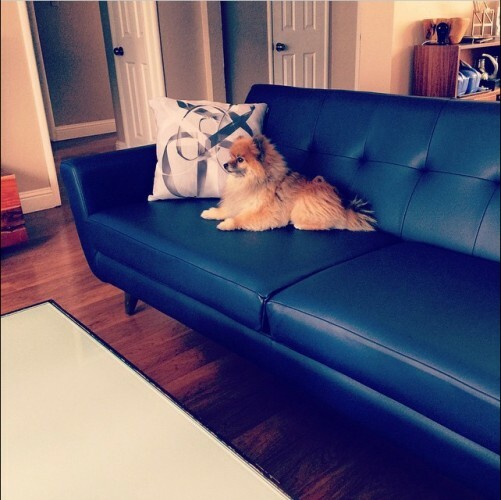 Dirt and spills can be wiped away, and pet fur won’t cling to our leathers. 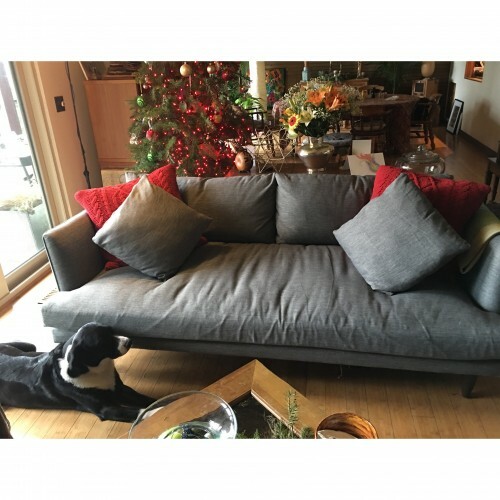 In fact, most cleanup is achieved with a simple damp cloth. 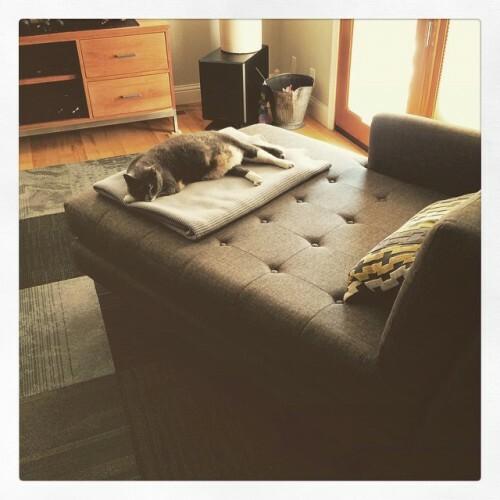 How’s that for elegantly hassle-free maintenance? 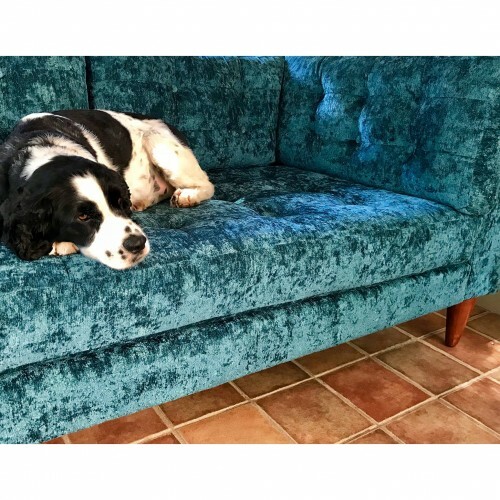 Wondering what all the fuss is about? 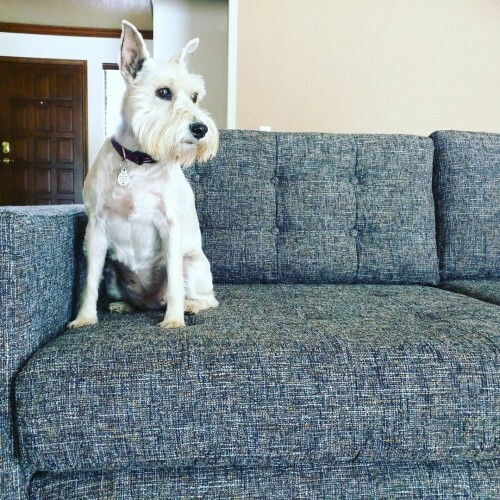 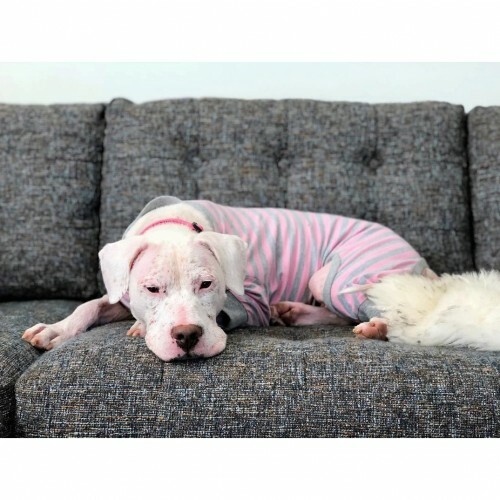 Watch as we navigate you through our pet and kid friendly fabric options. 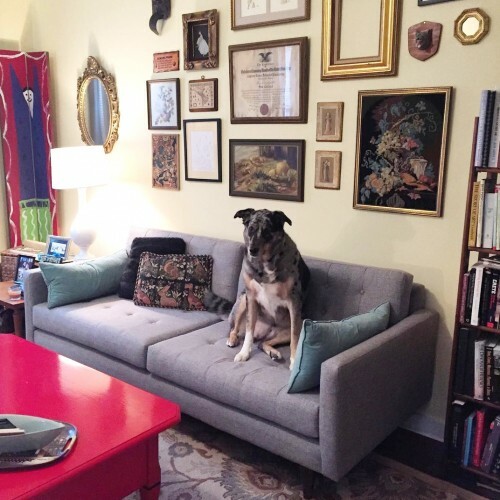 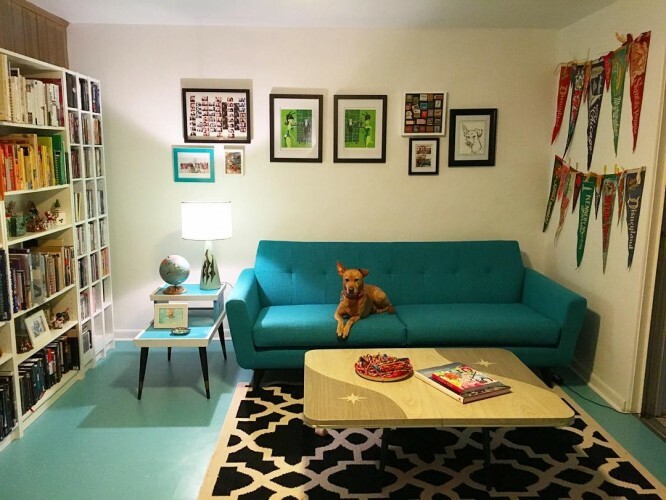 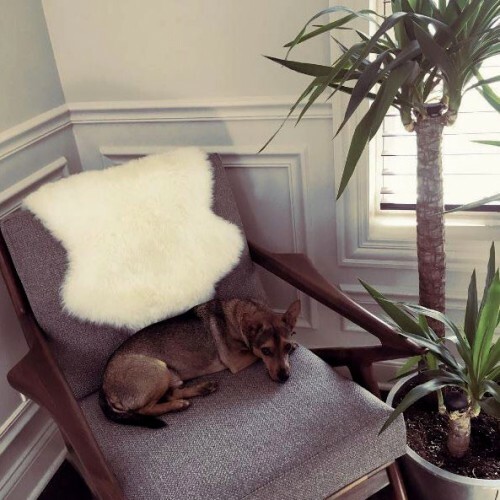 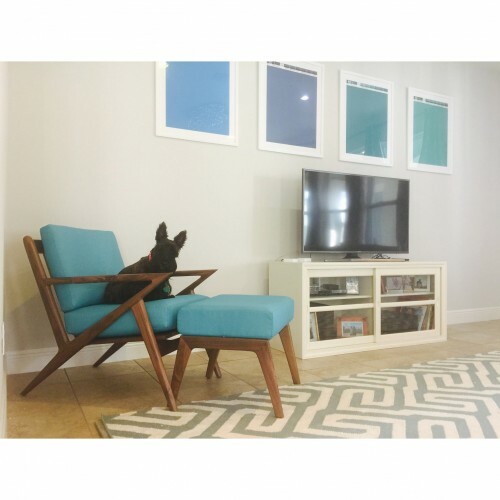 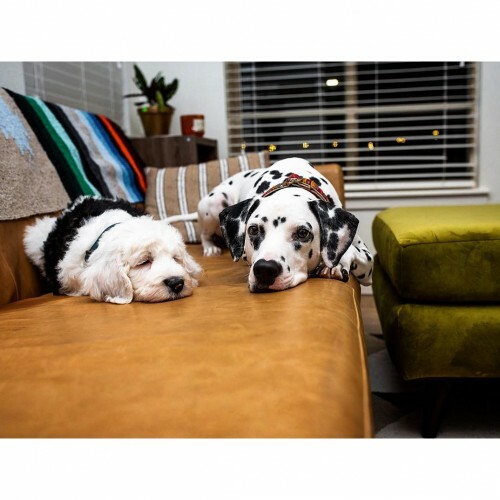 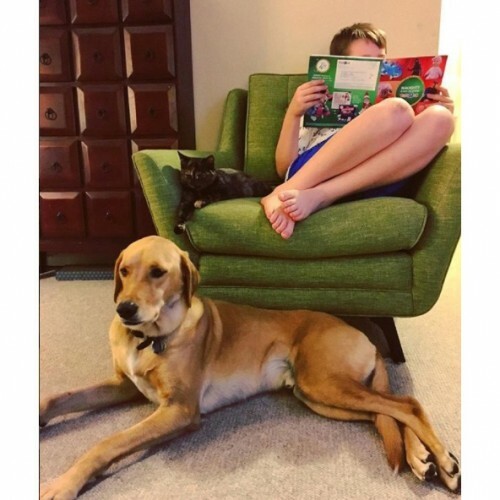 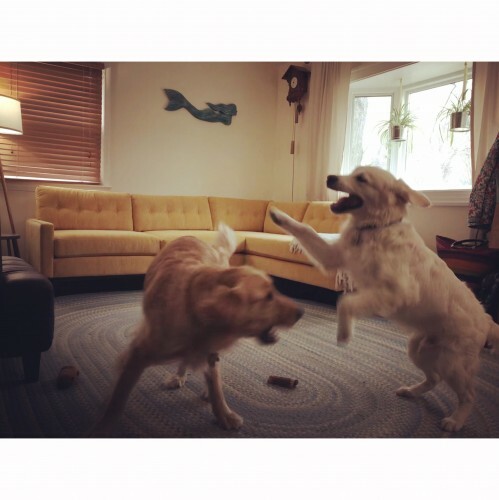 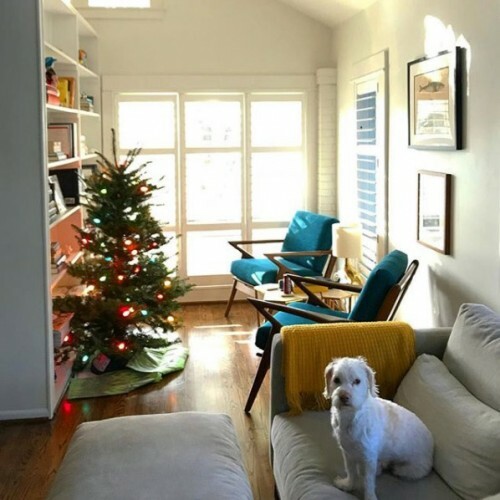 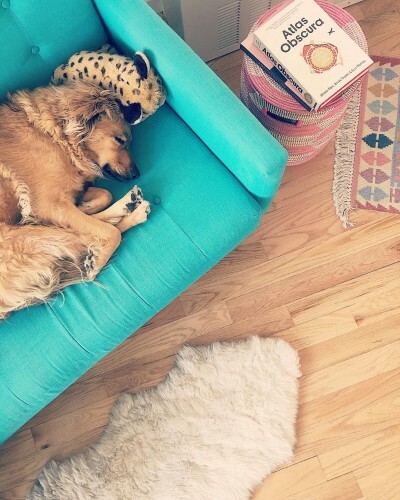 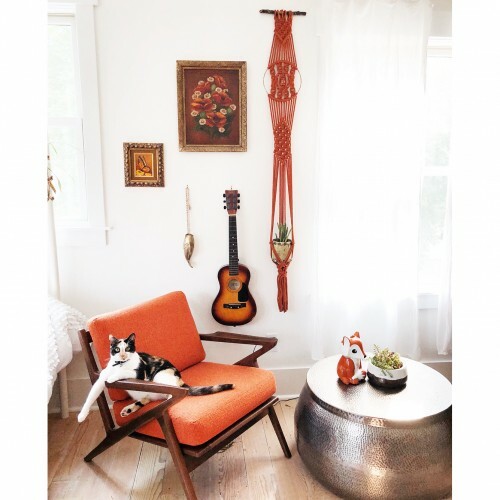 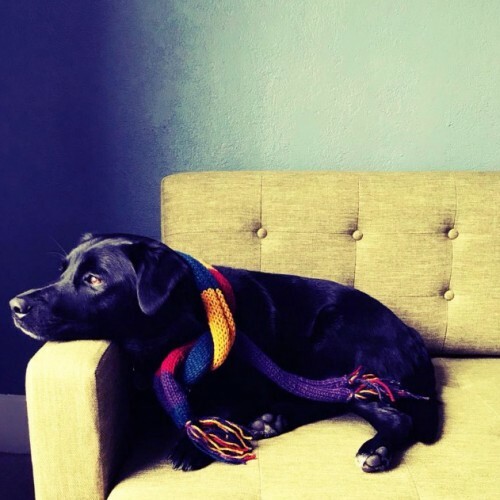 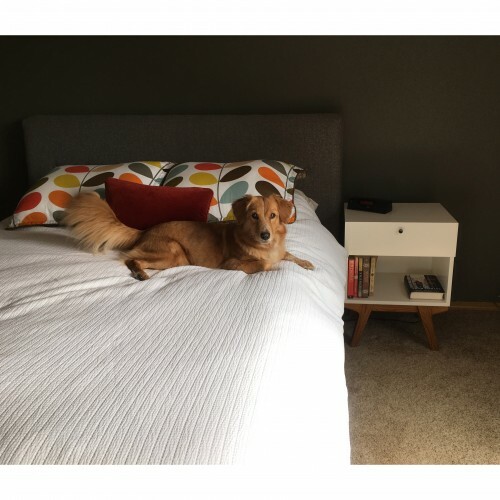 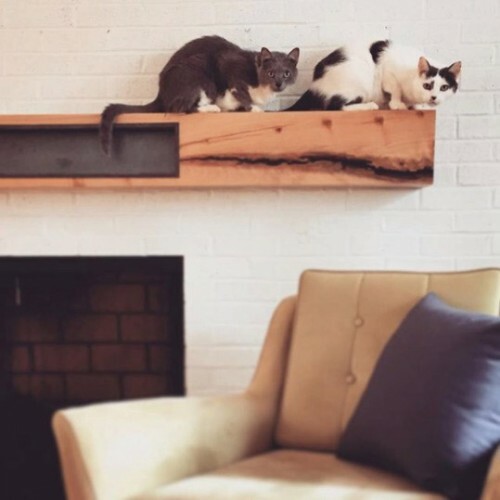 Here are a few extra things to keep in mind to create truly pet and kid-friendly spaces! 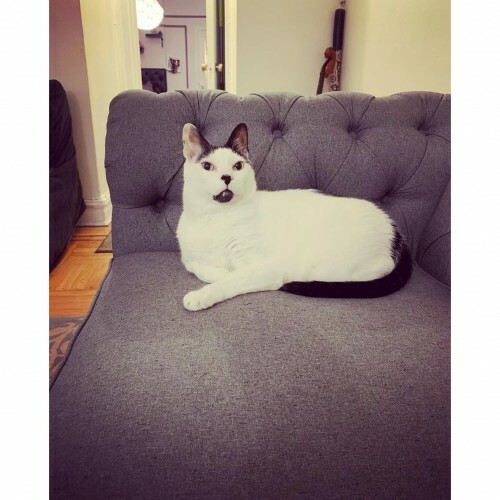 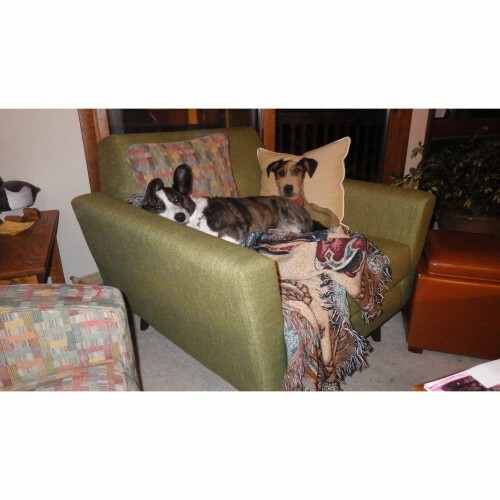 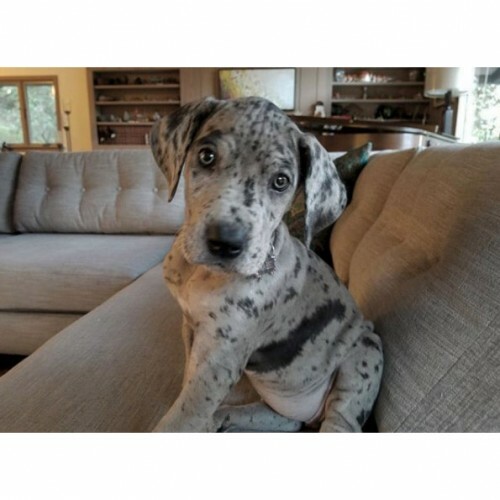 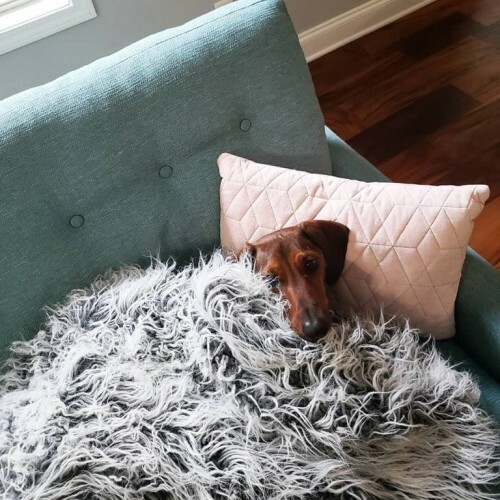 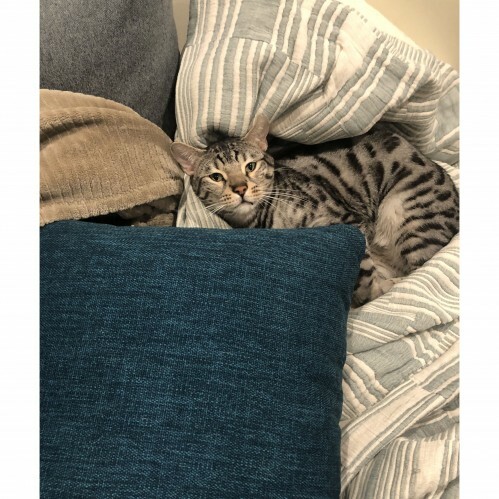 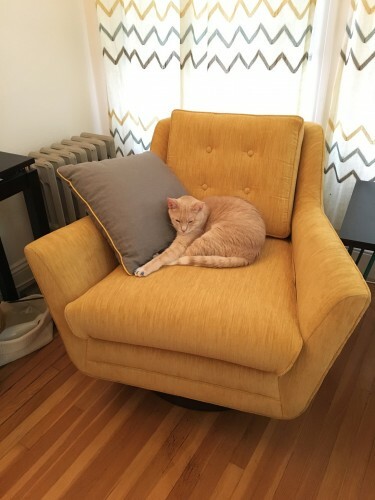 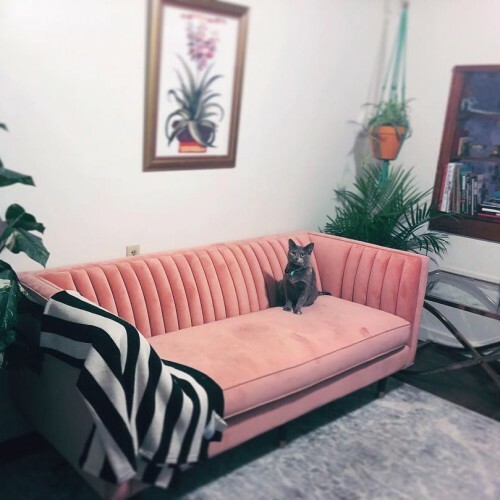 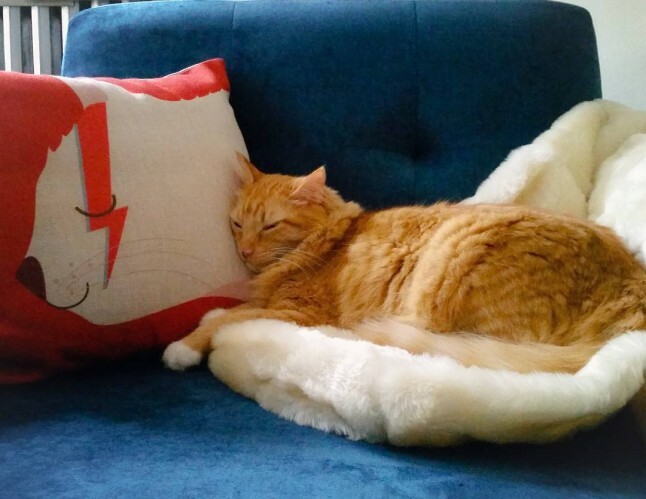 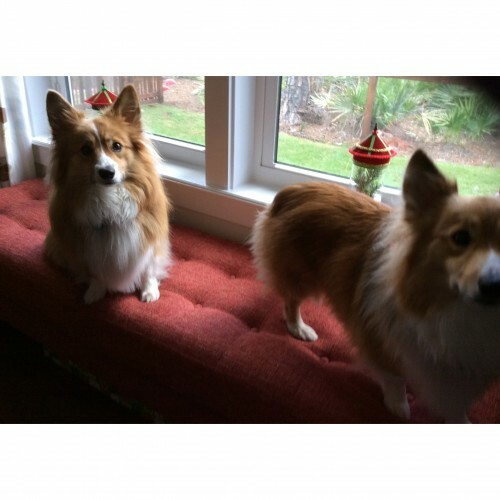 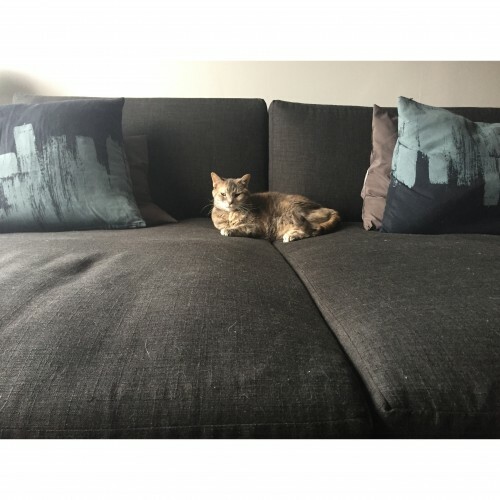 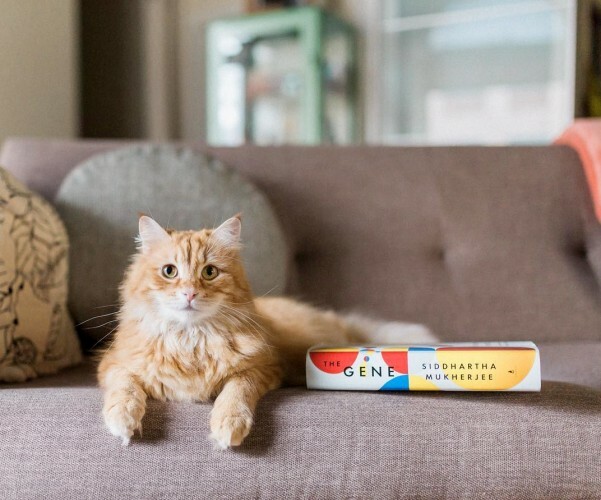 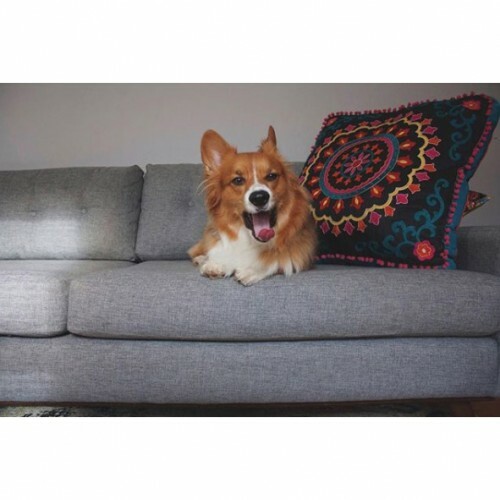 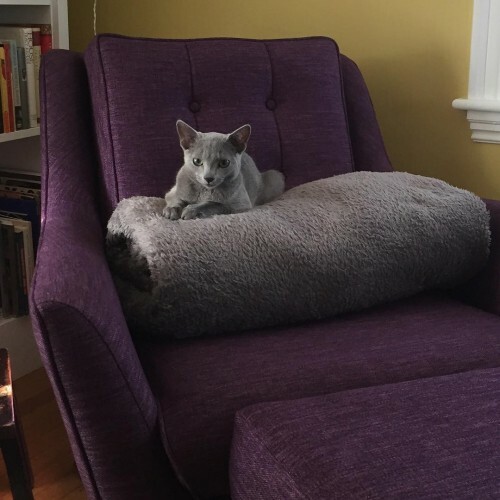 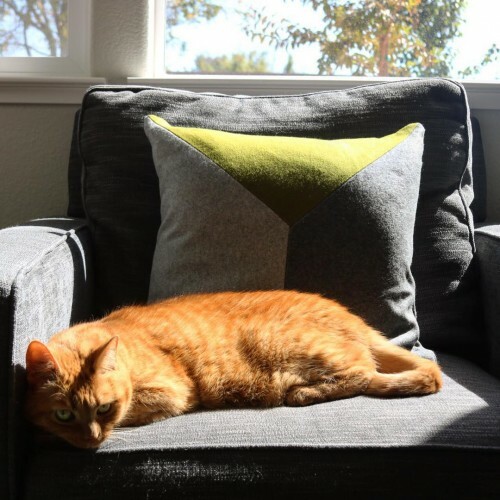 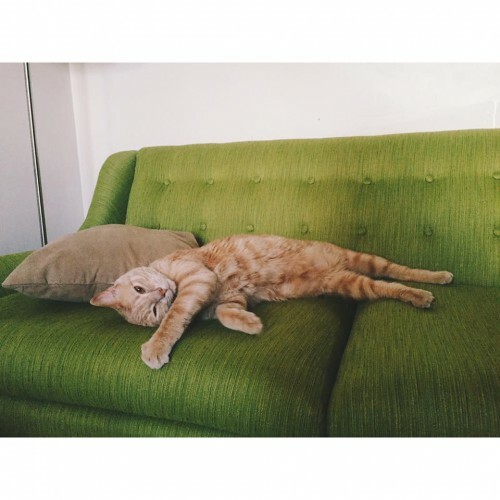 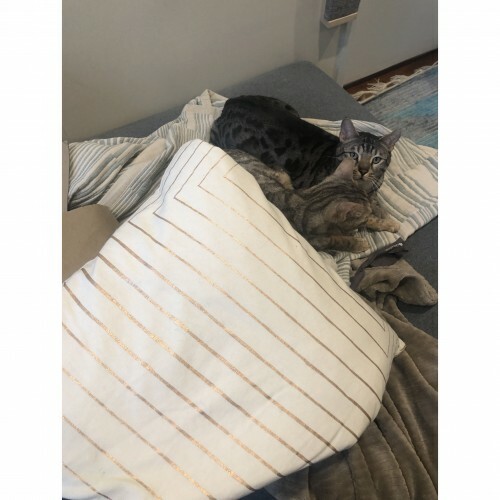 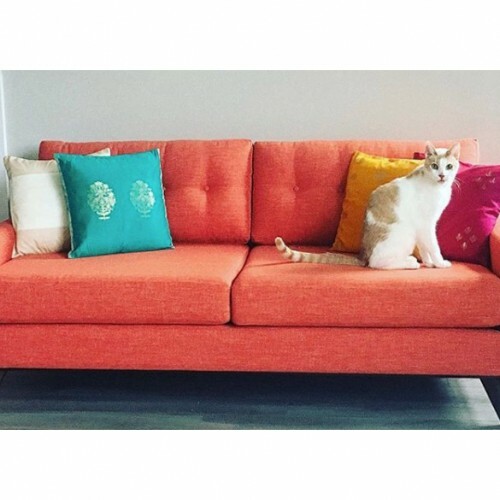 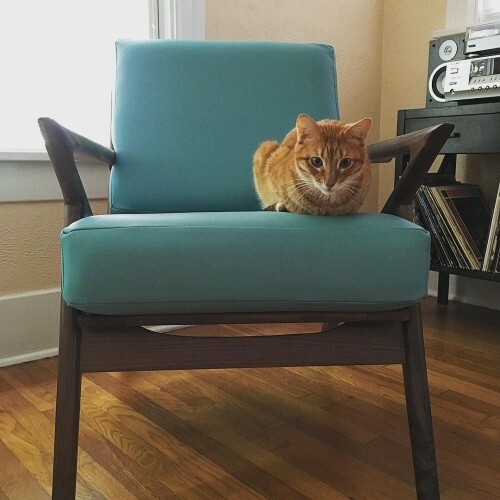 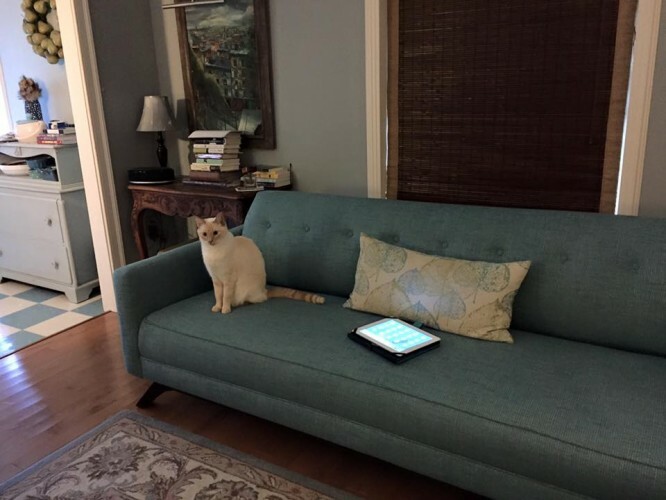 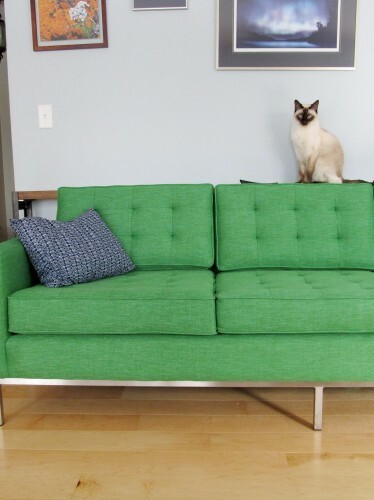 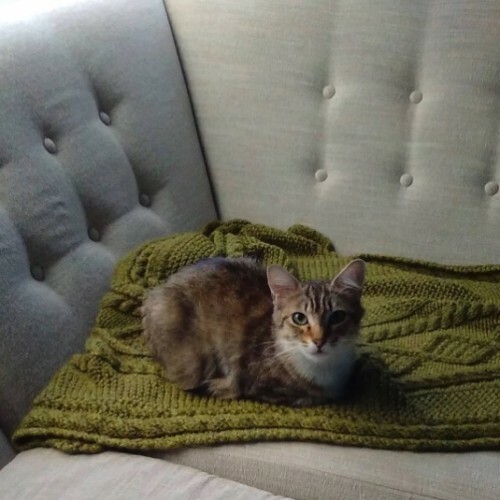 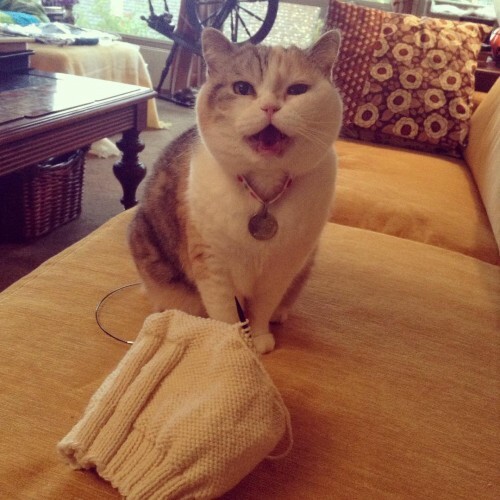 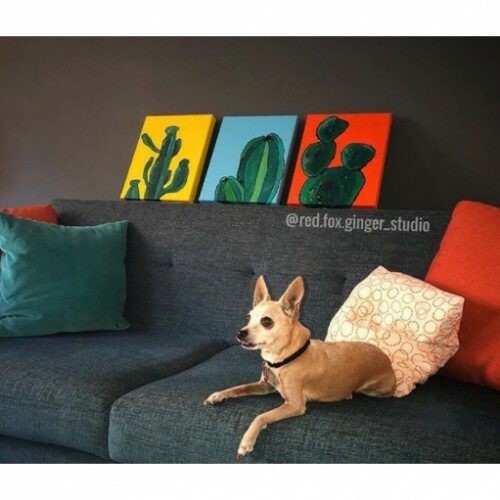 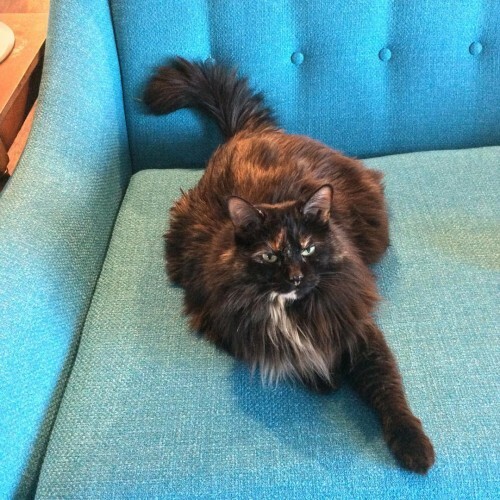 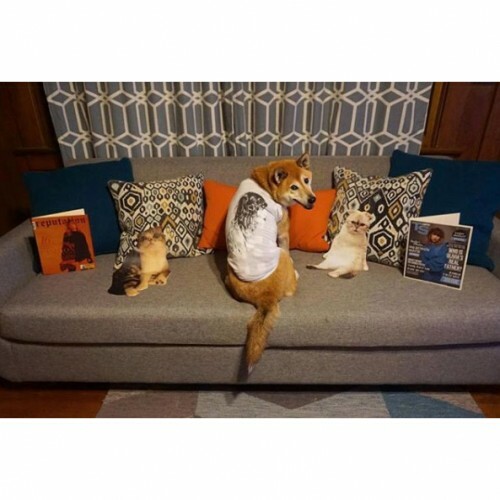 Try to choose a fabric that’s similar in color to your pet’s fur. 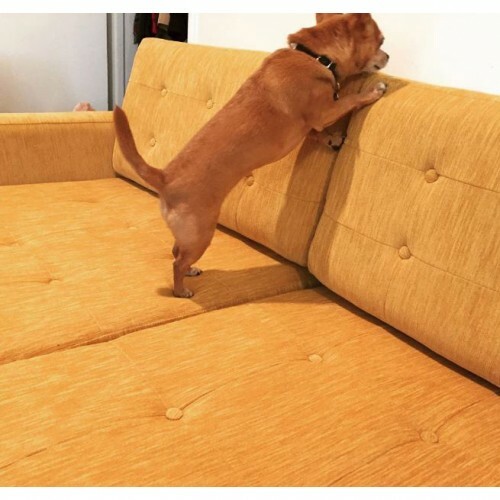 This will help hide hair between vacuumings - and help your pet go incognito. 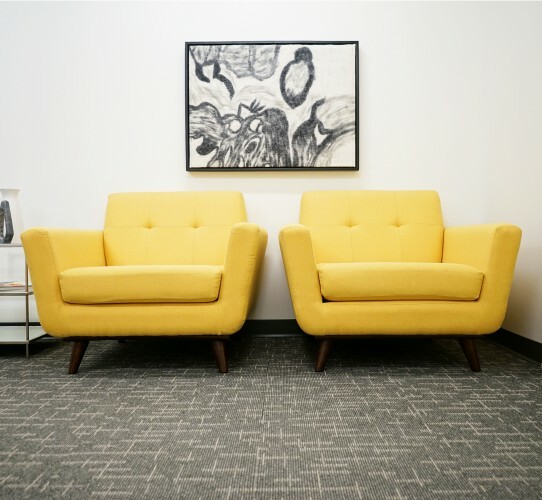 No matter what, light fabric will always show marks and stains faster, especially in high-traffic areas. 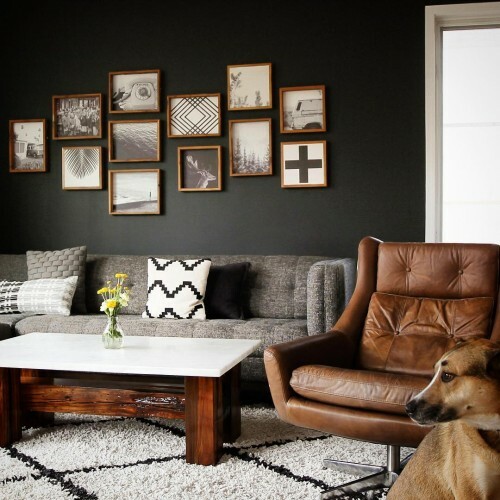 Opt for a darker color instead. 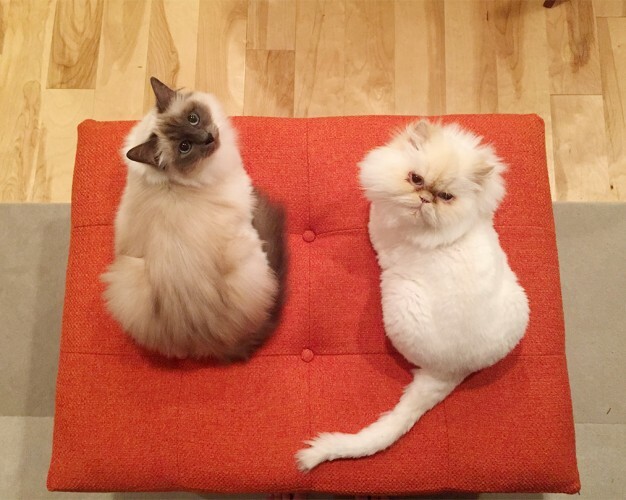 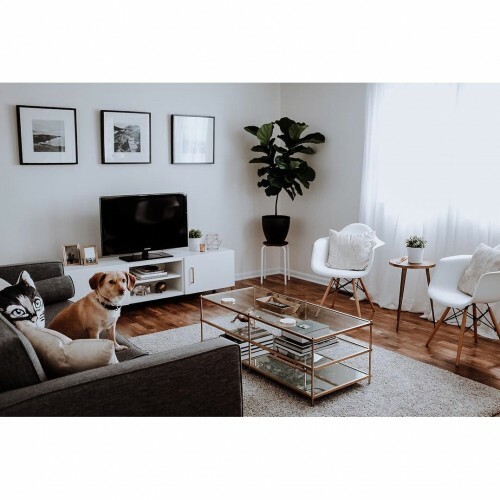 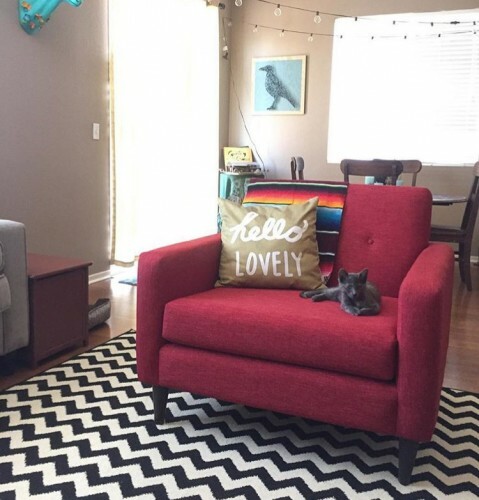 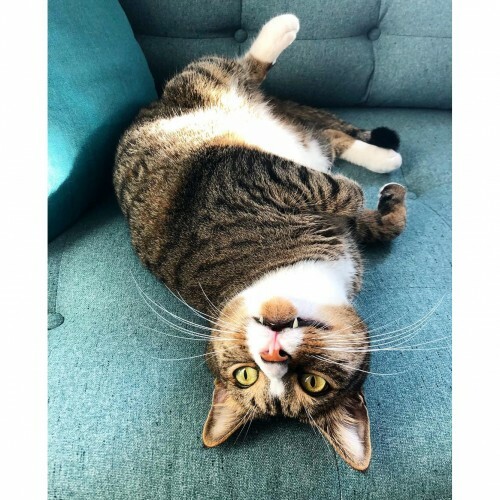 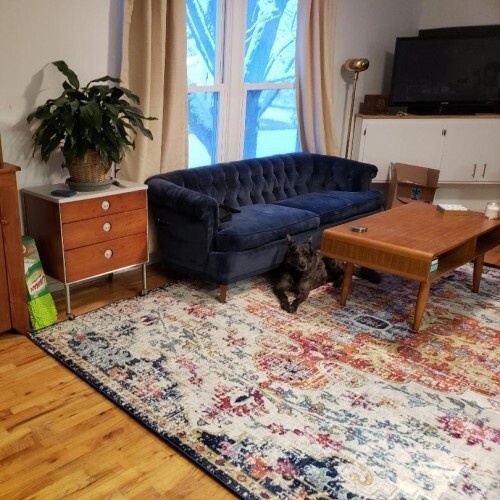 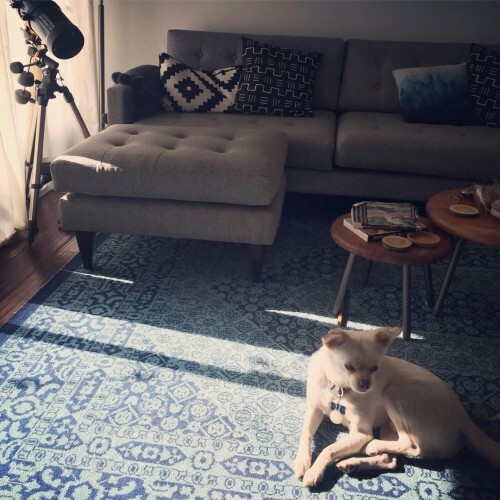 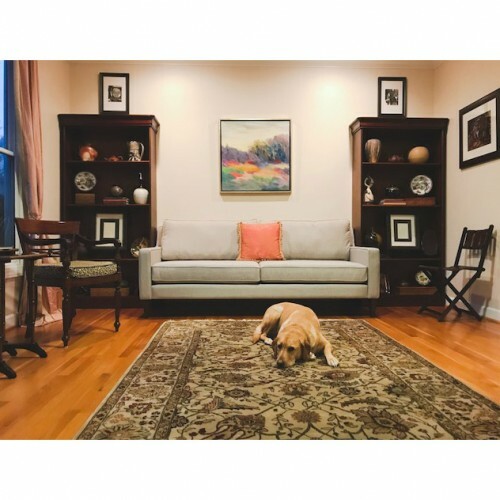 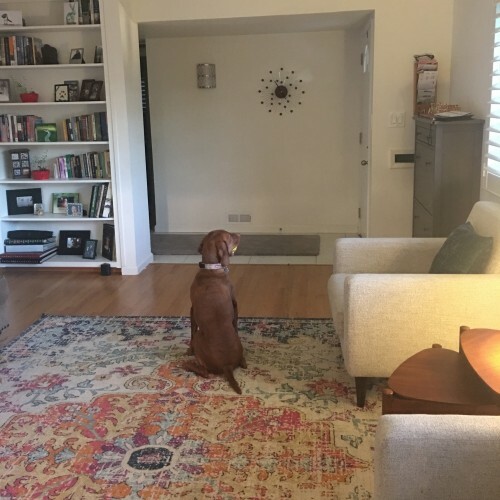 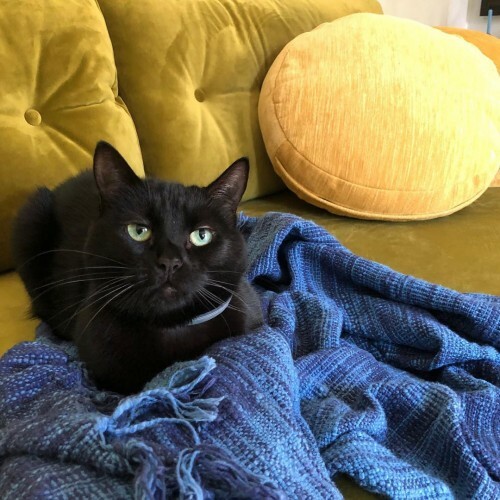 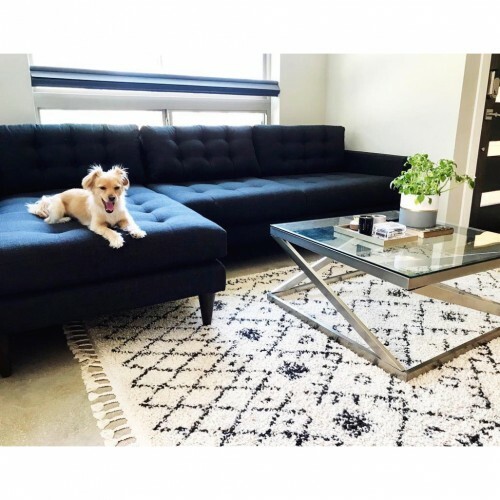 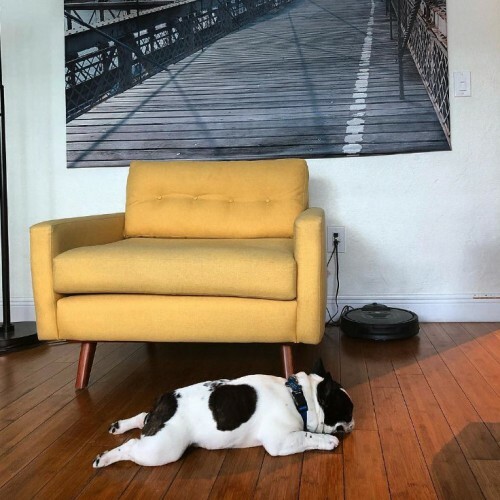 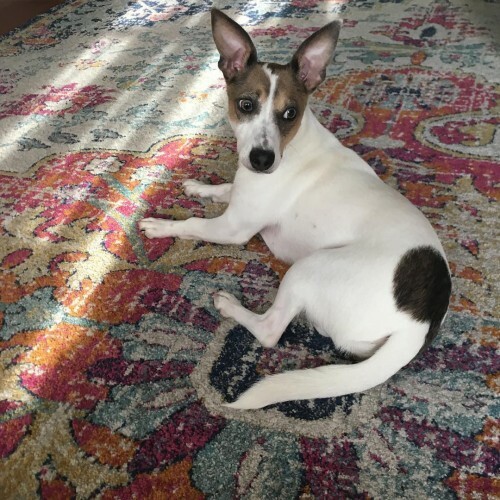 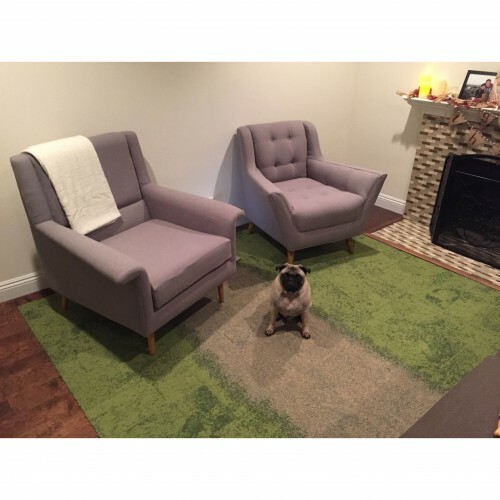 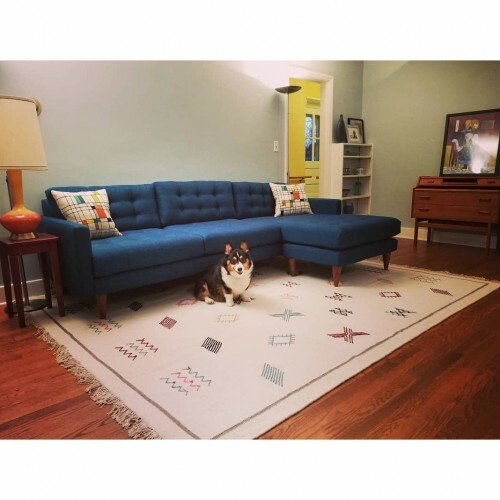 If possible, ditch carpet and rugs (particularly wall-to-wall), since they’re difficult to keep clean, and trap pet hair, which causes odors.